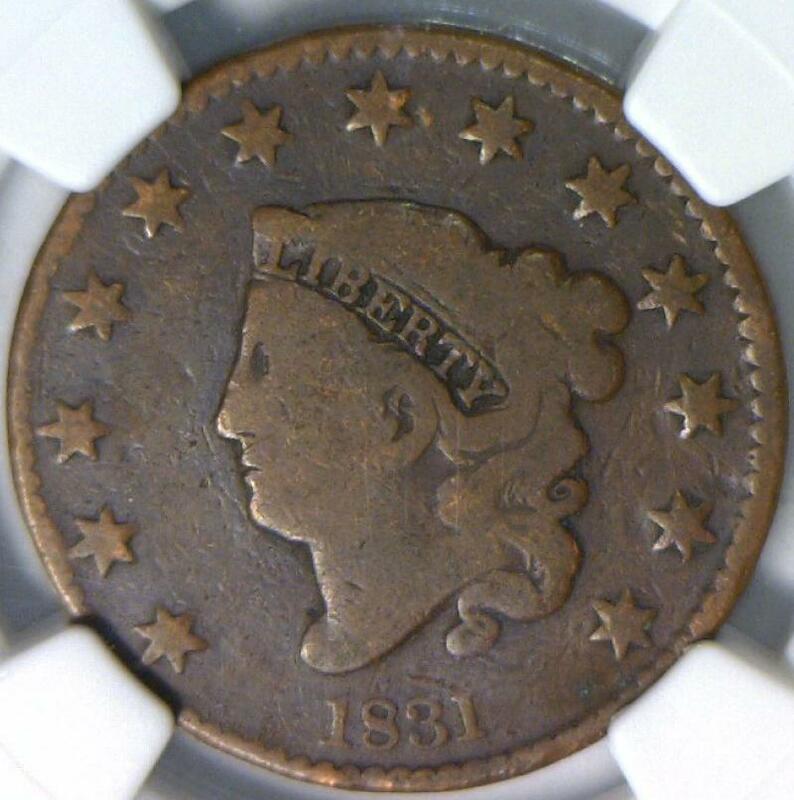 1824/2 Coronet Head Large Cent NGC VG-8; Scarce! 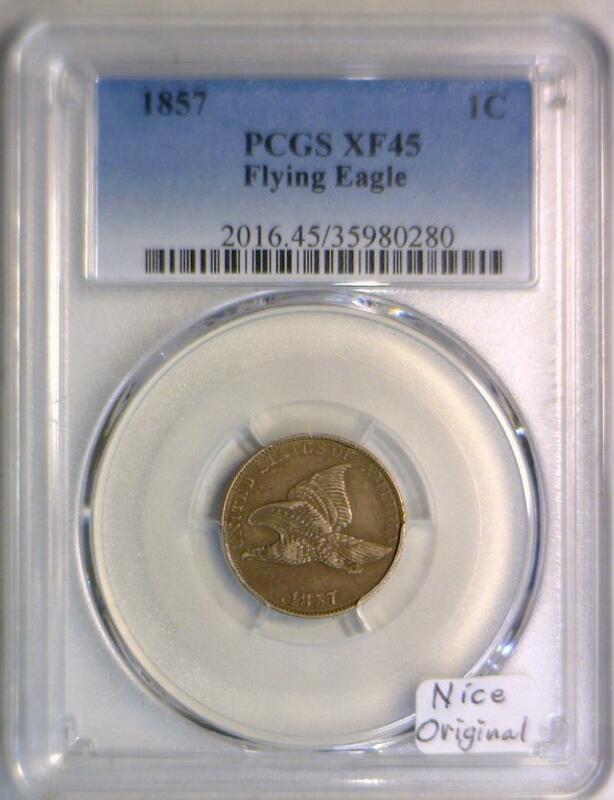 1857 Flying Eagle Cent PCGS XF-45; Nice Original! 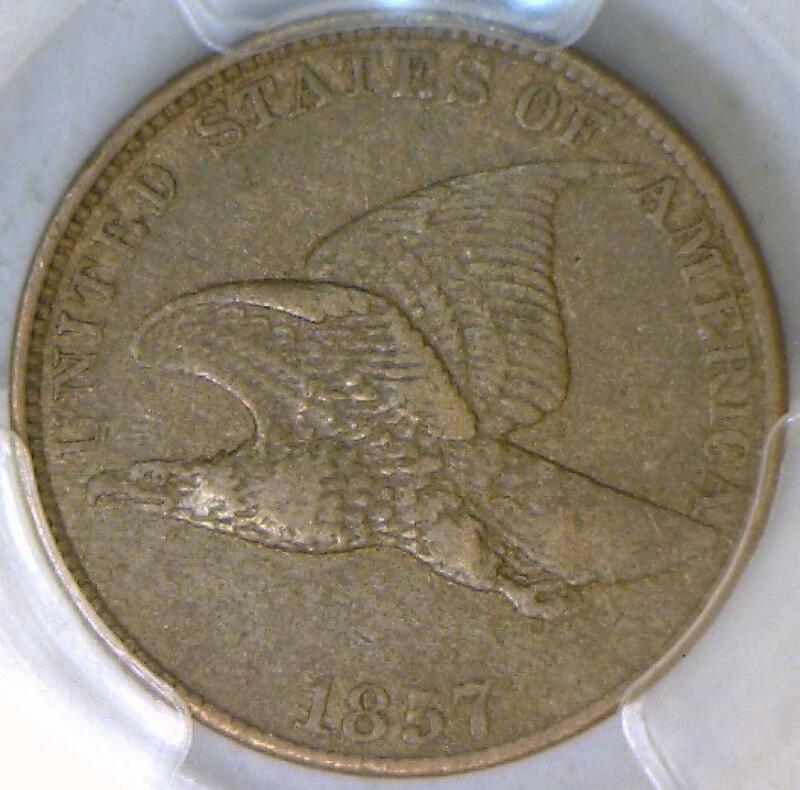 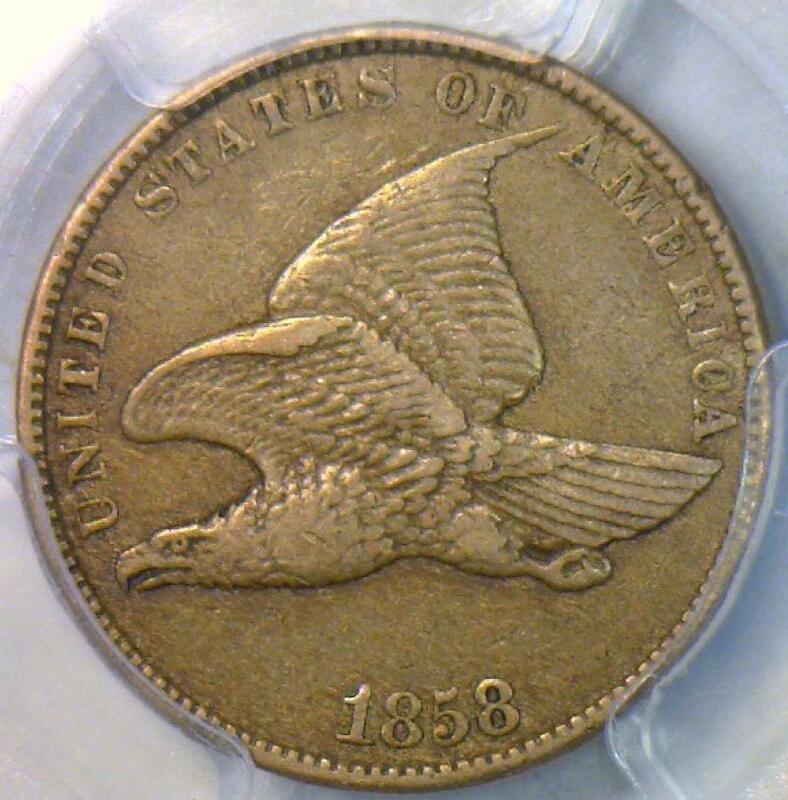 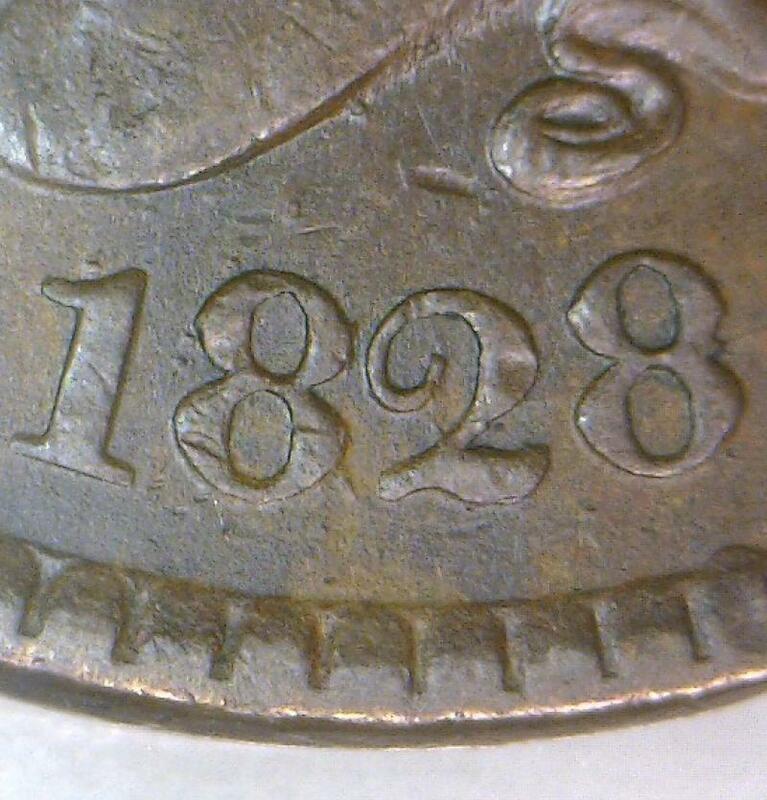 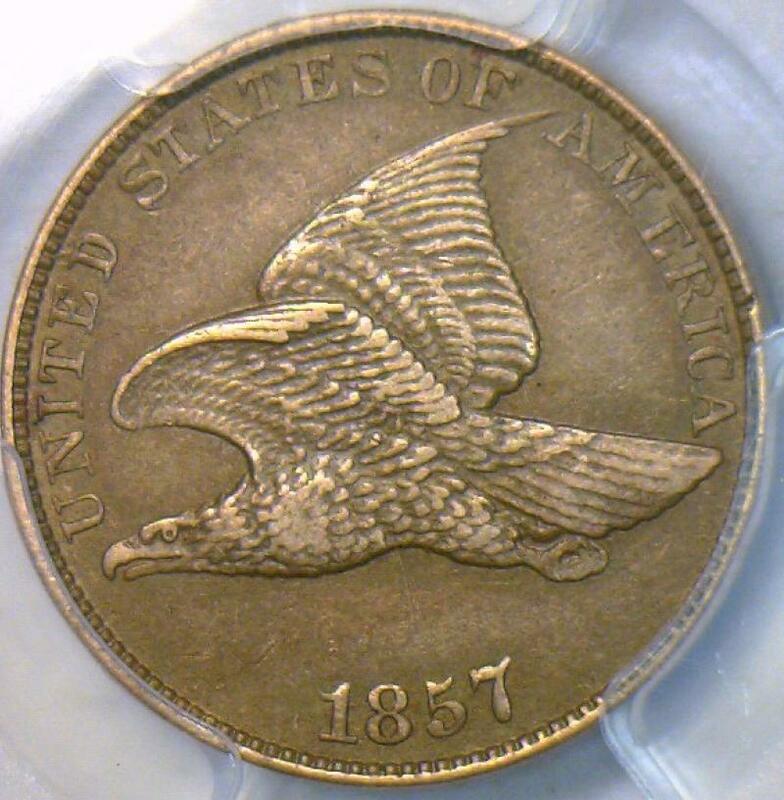 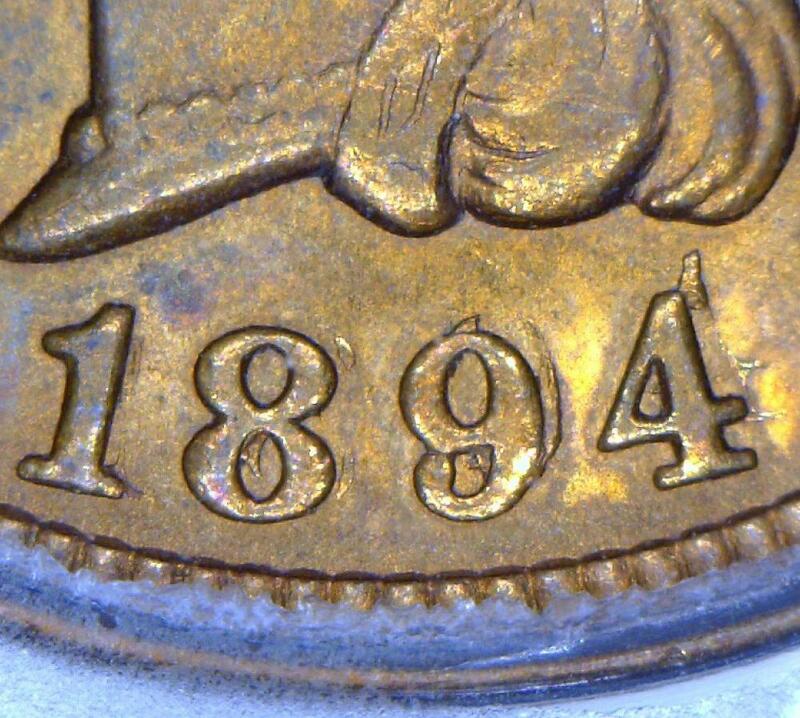 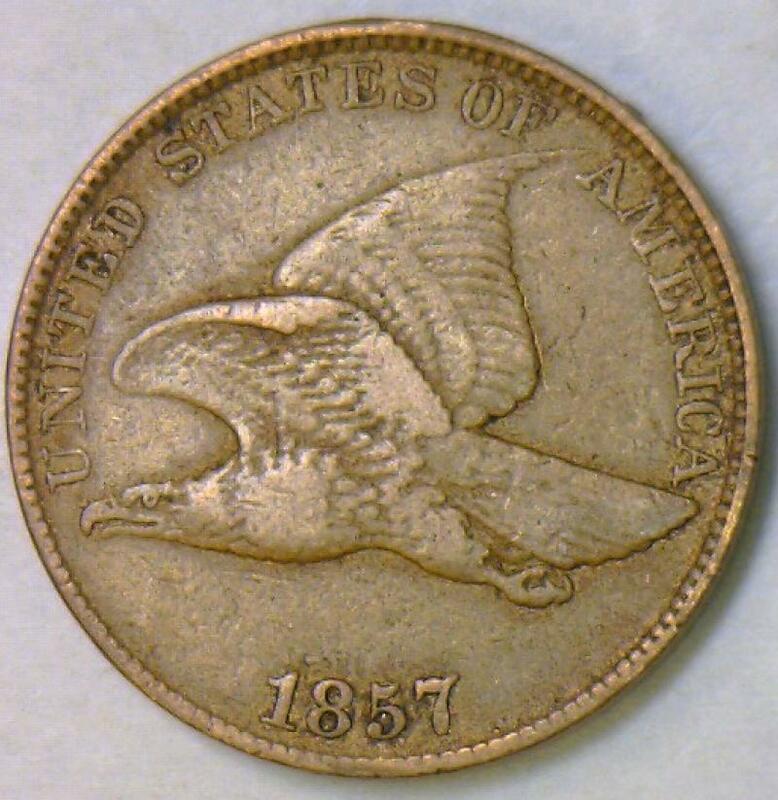 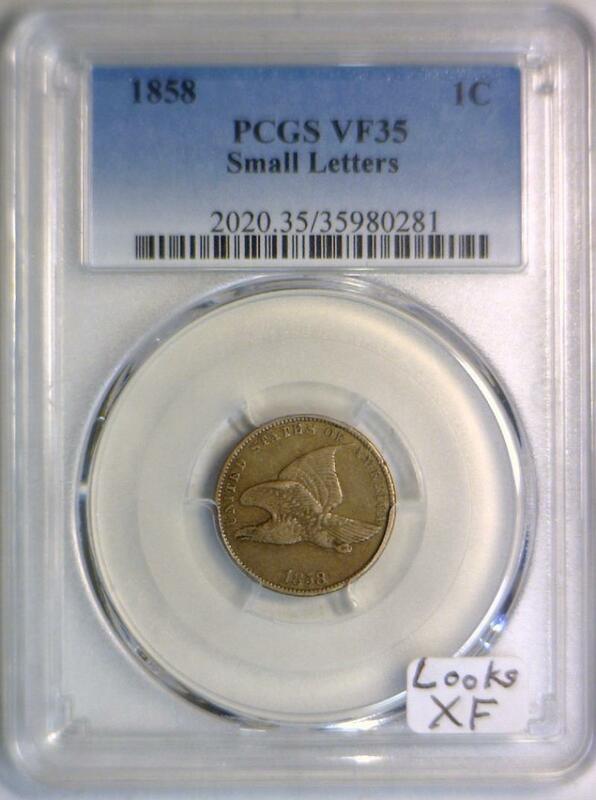 1858 Small Letters Flying Eagle Cent PCGS VF-35; Looks XF; Nice Original Coin! 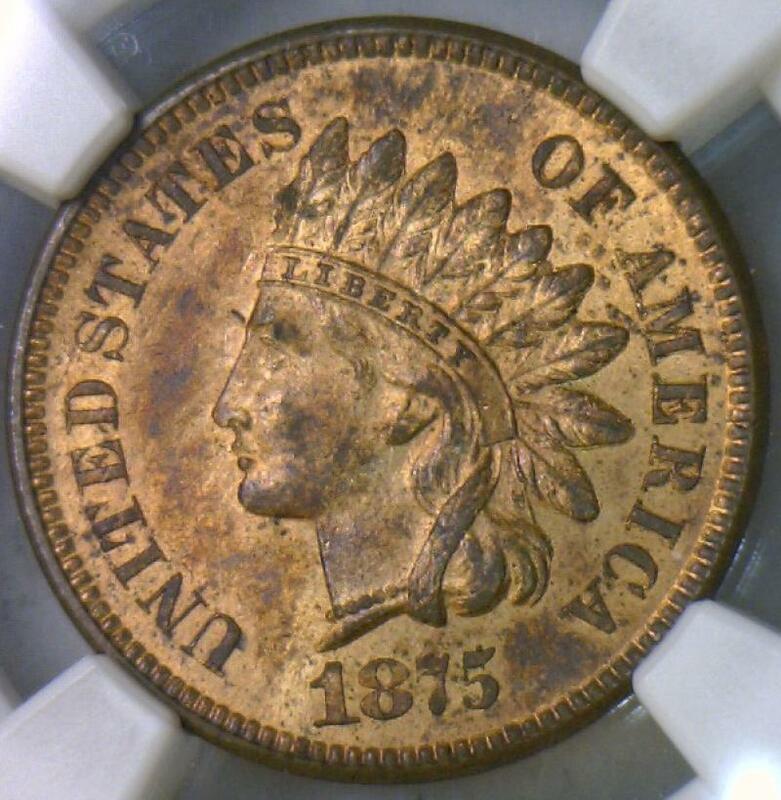 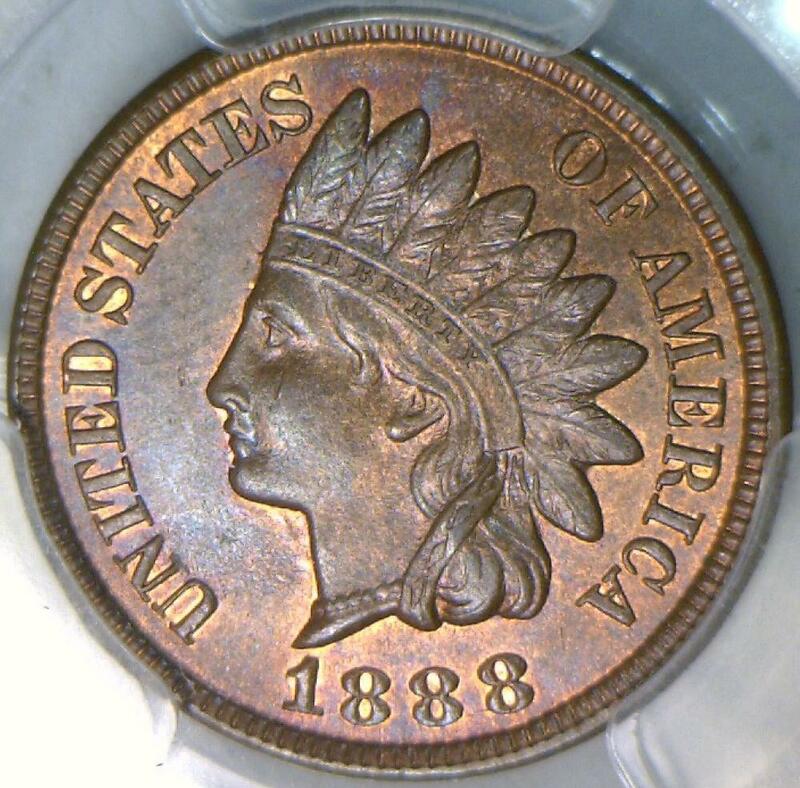 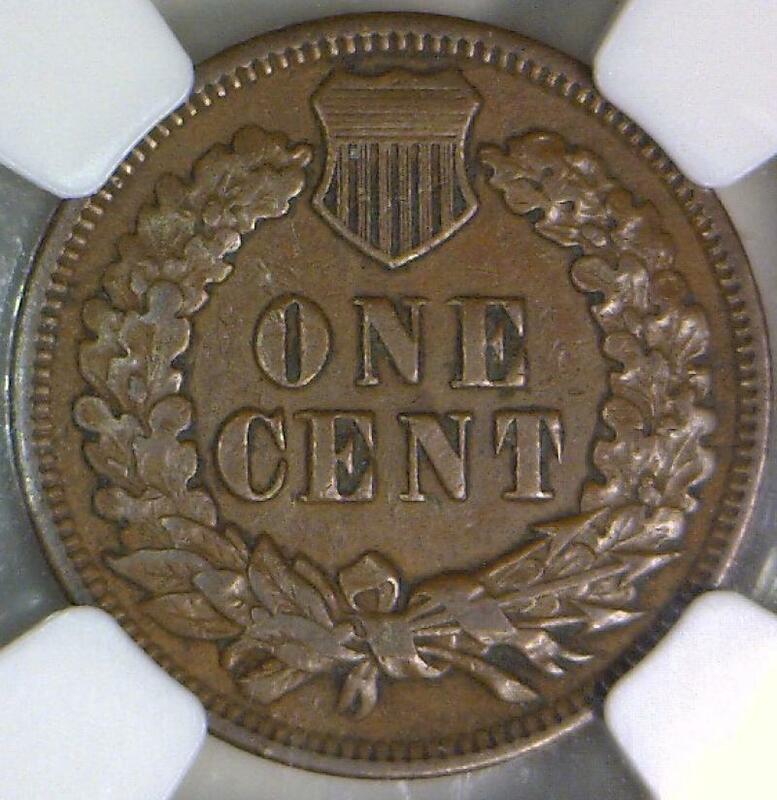 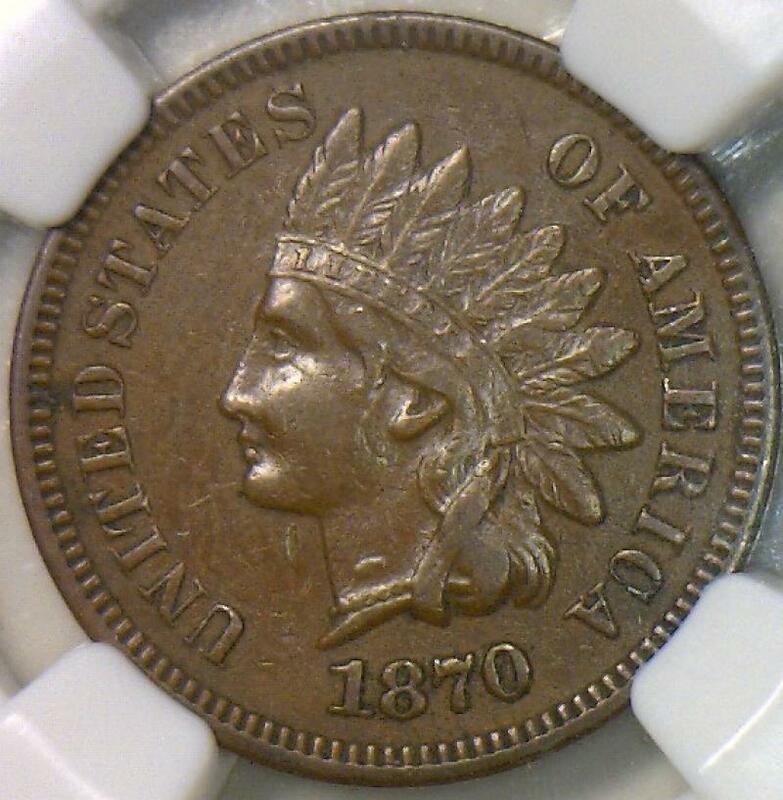 1888 Indian Head Cent NGC MS-66 RB; Very Nice! 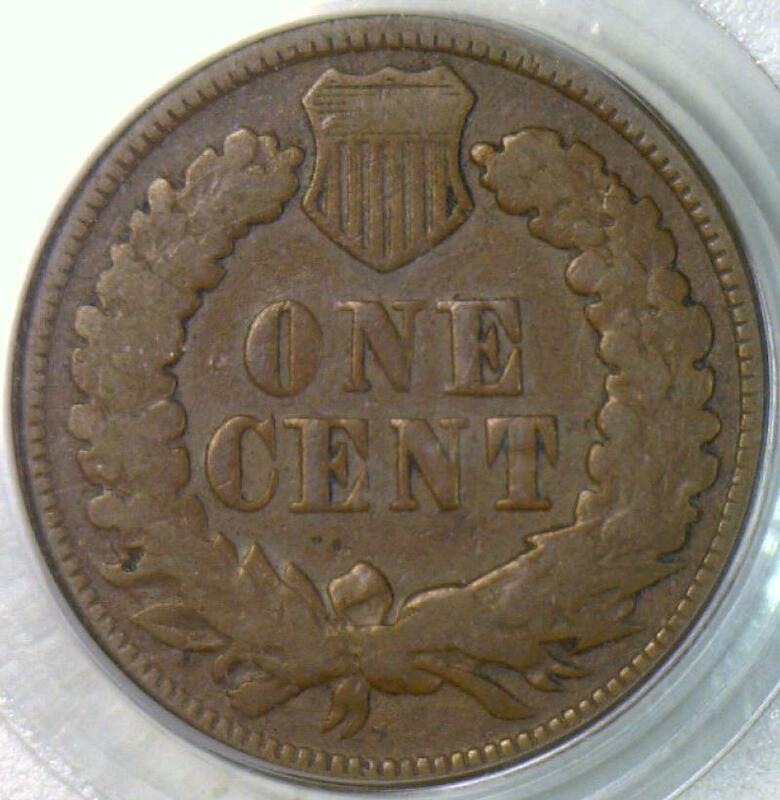 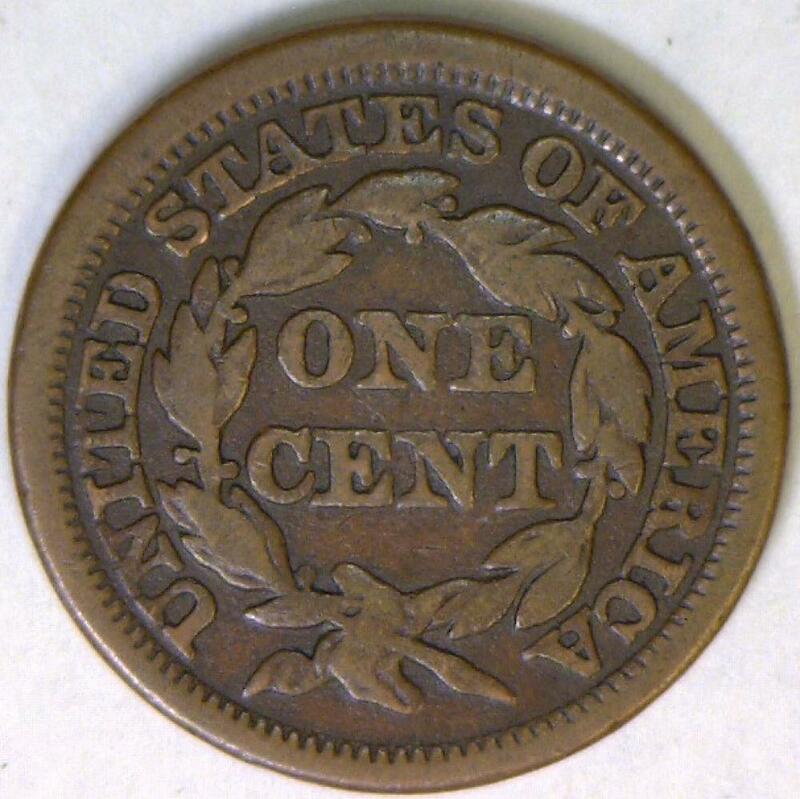 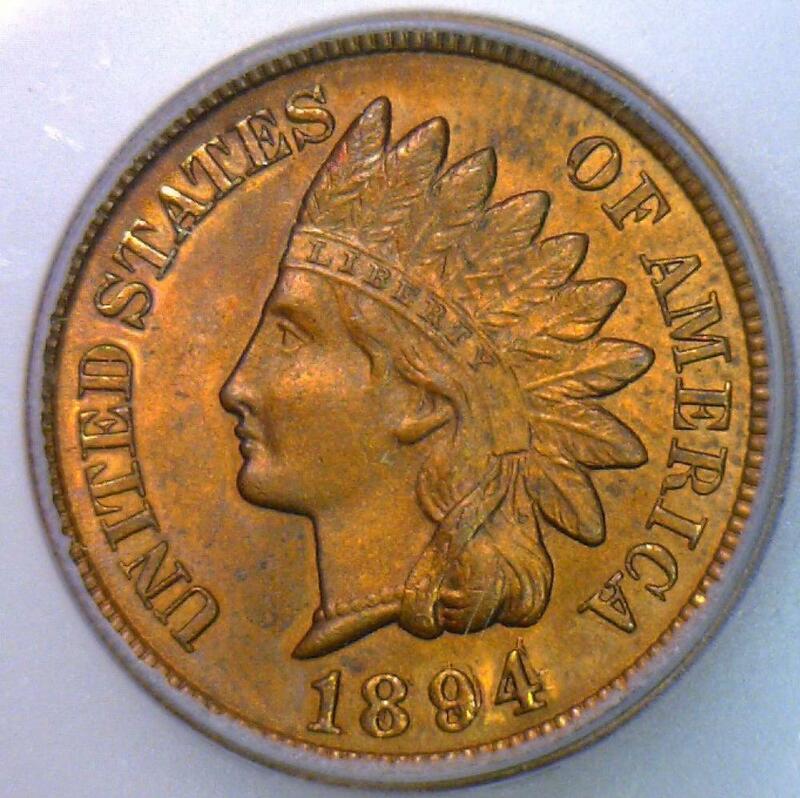 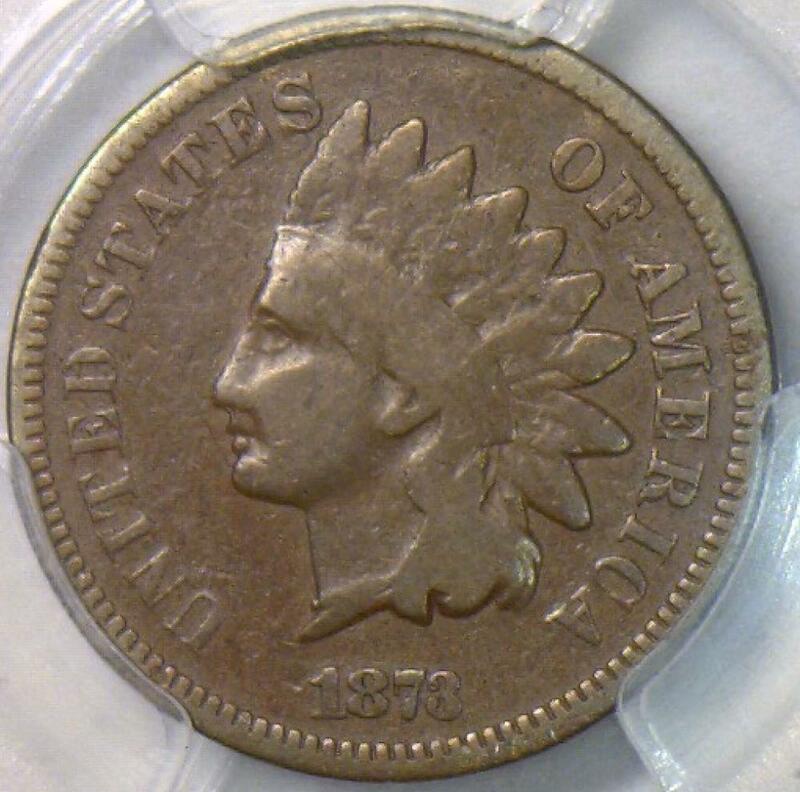 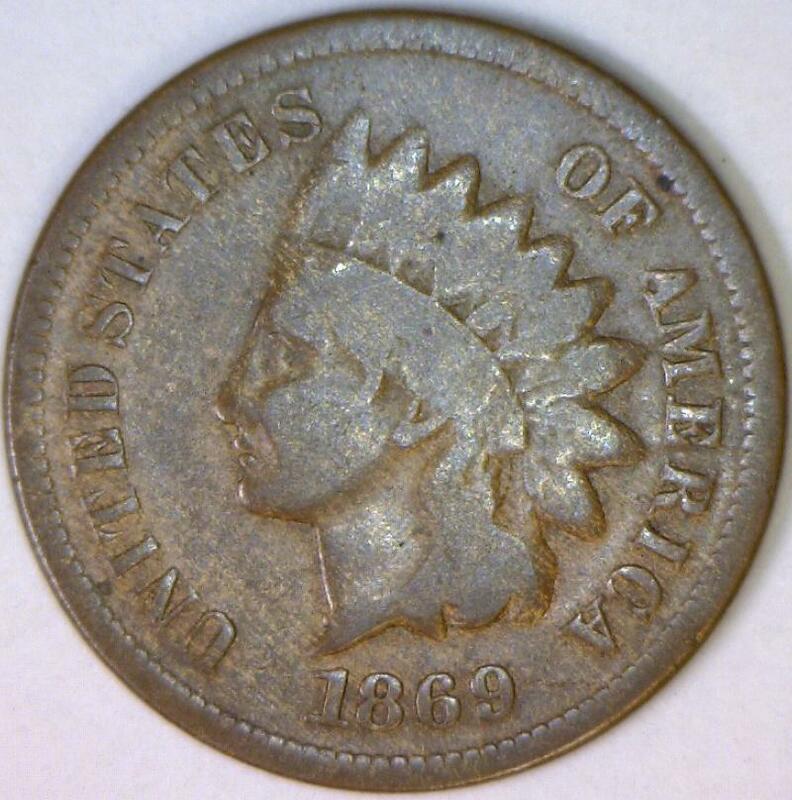 1888 Indian Head Cent; Choice Original AU-Unc. 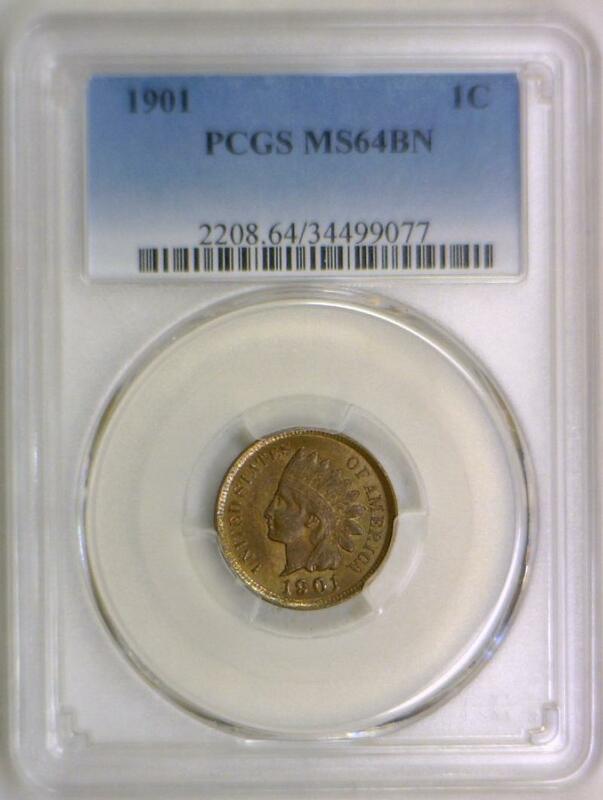 1894 Indian Head Cent PCGS MS-64 RB; Premium Quality! 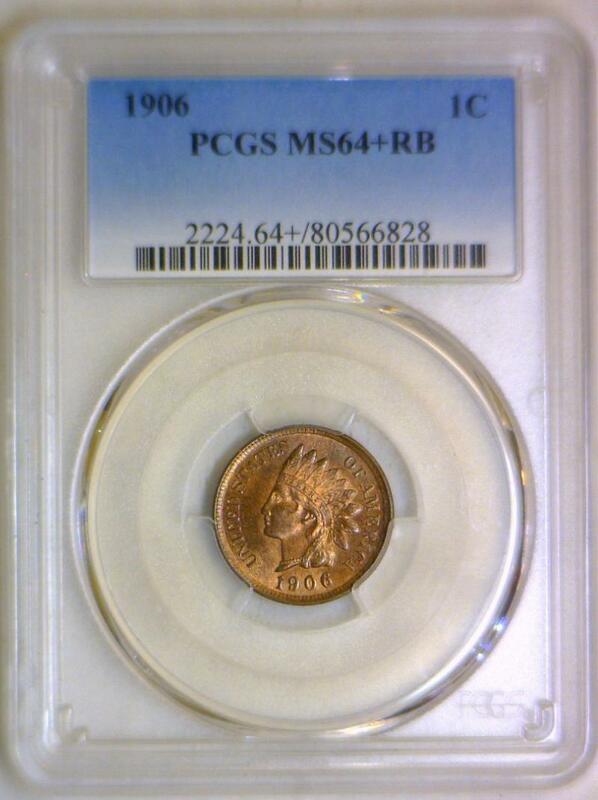 1903 Indian Head Cent NGC MS-64 RD; Nice Original! 1903 Indian Head Cent PCGS MS-64 RB With Photo Seal; Lots Of Red! 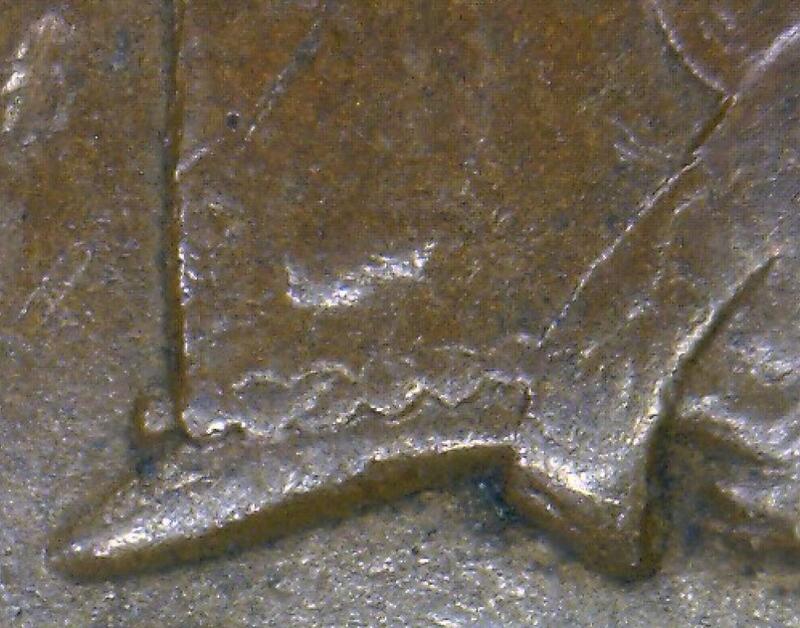 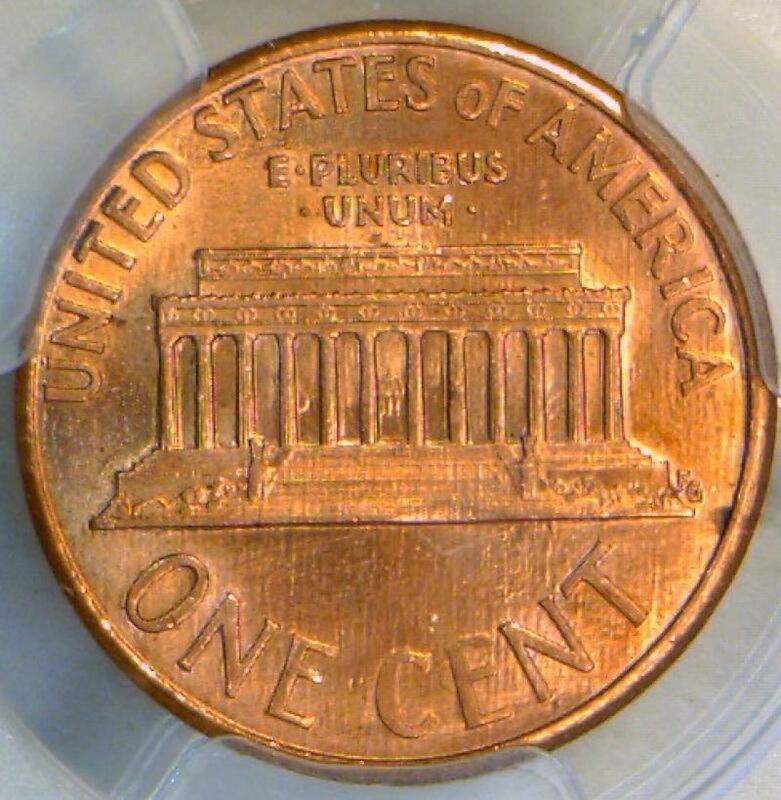 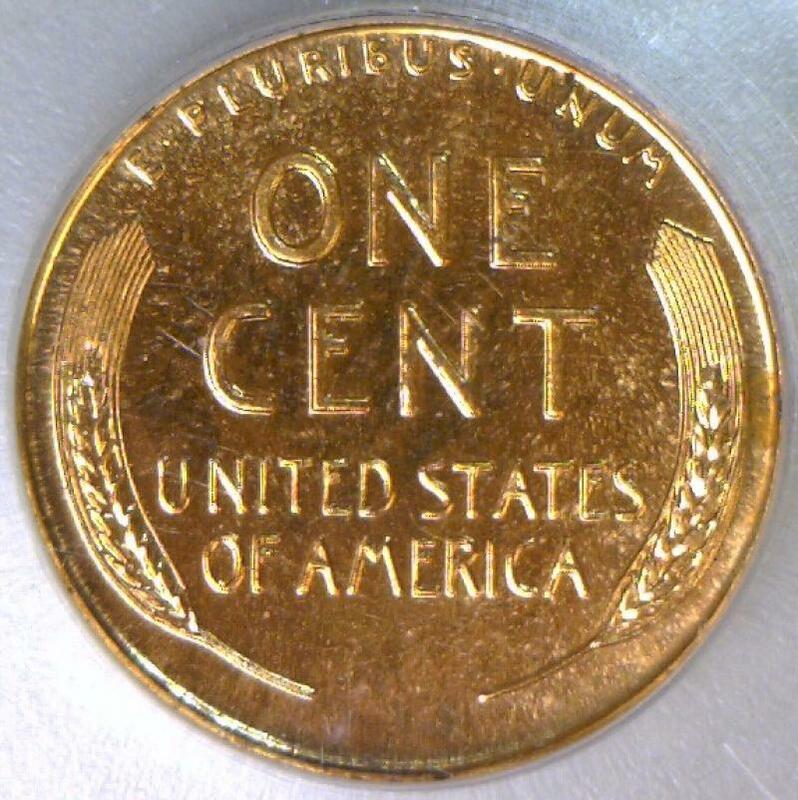 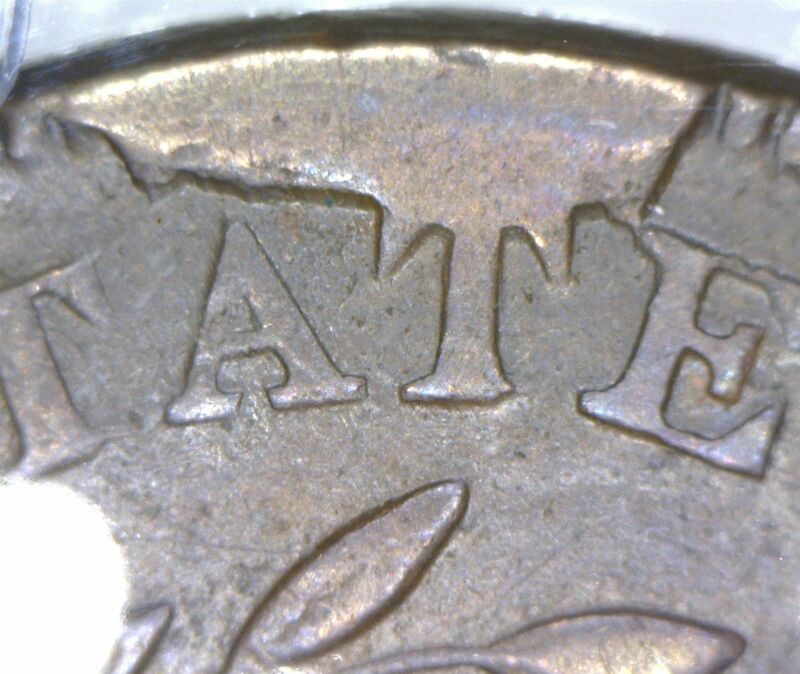 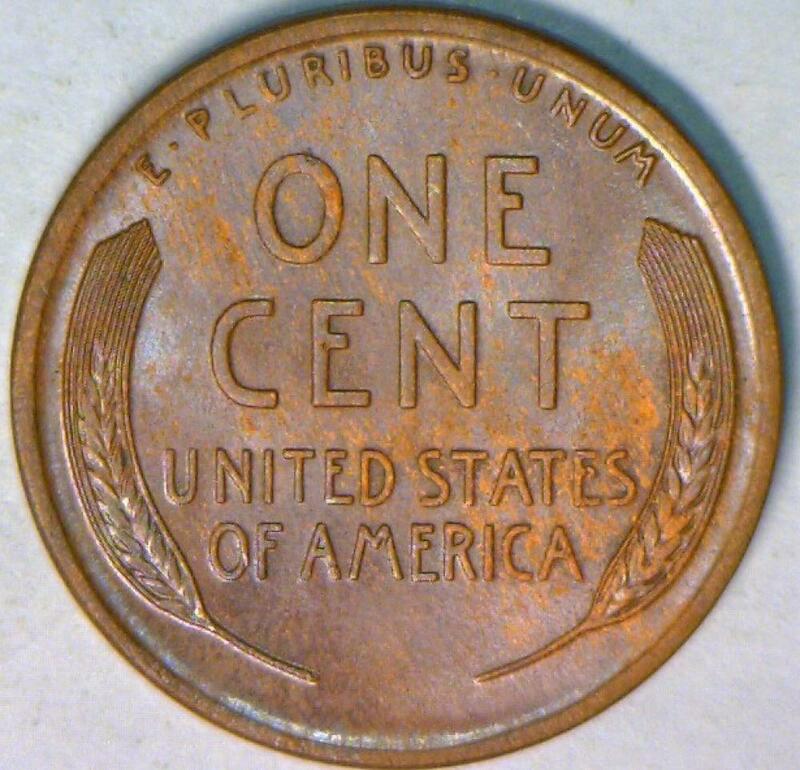 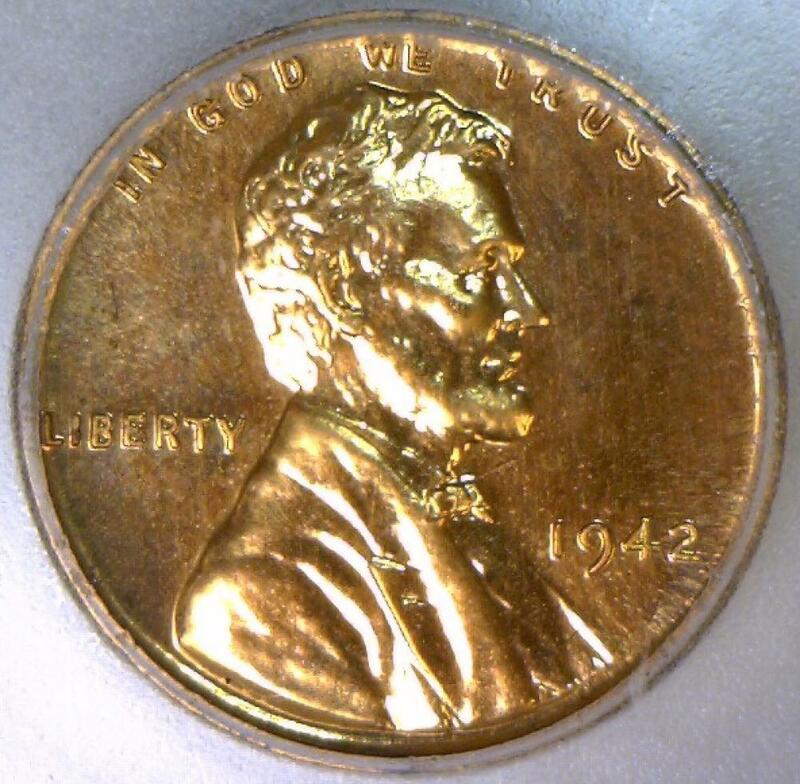 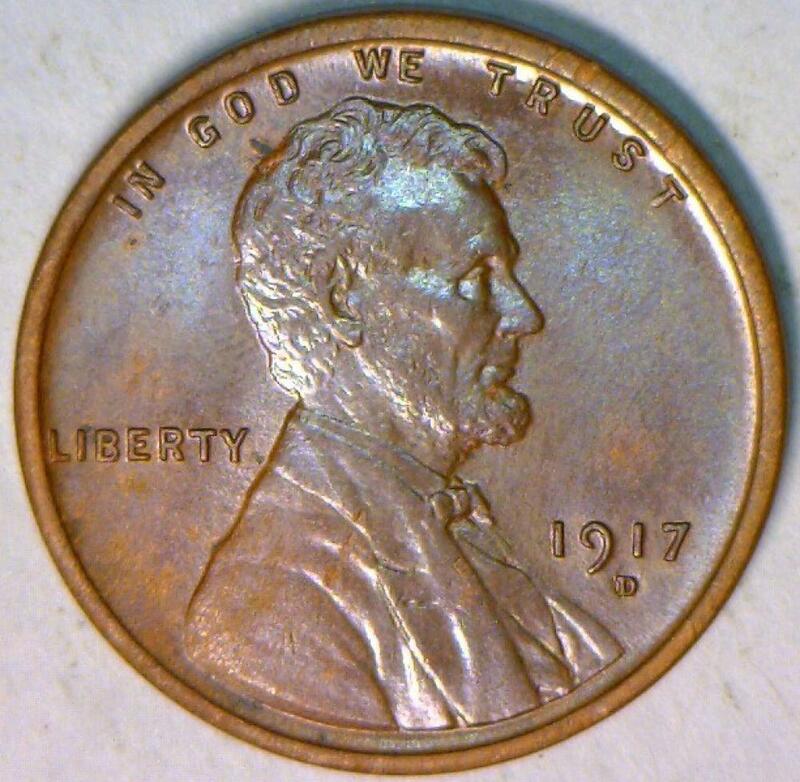 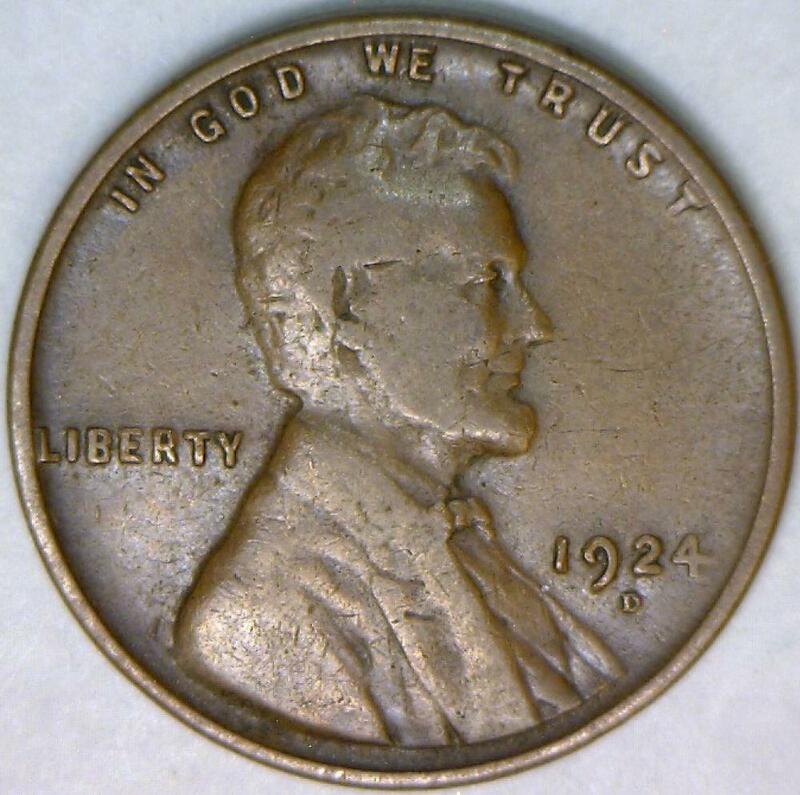 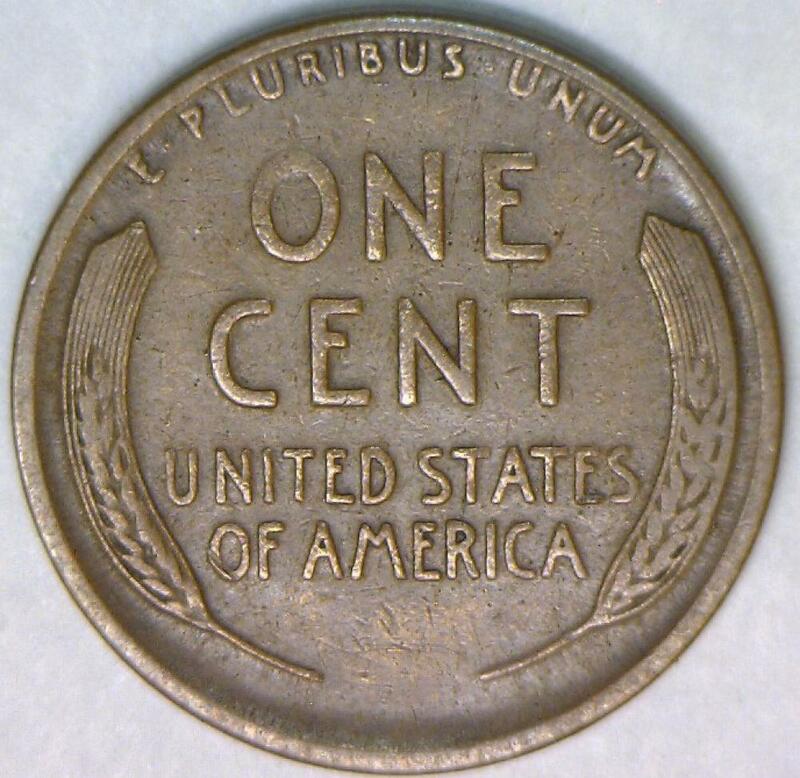 1917-D Lincoln Wheat Cent; Decent Brown Unc. 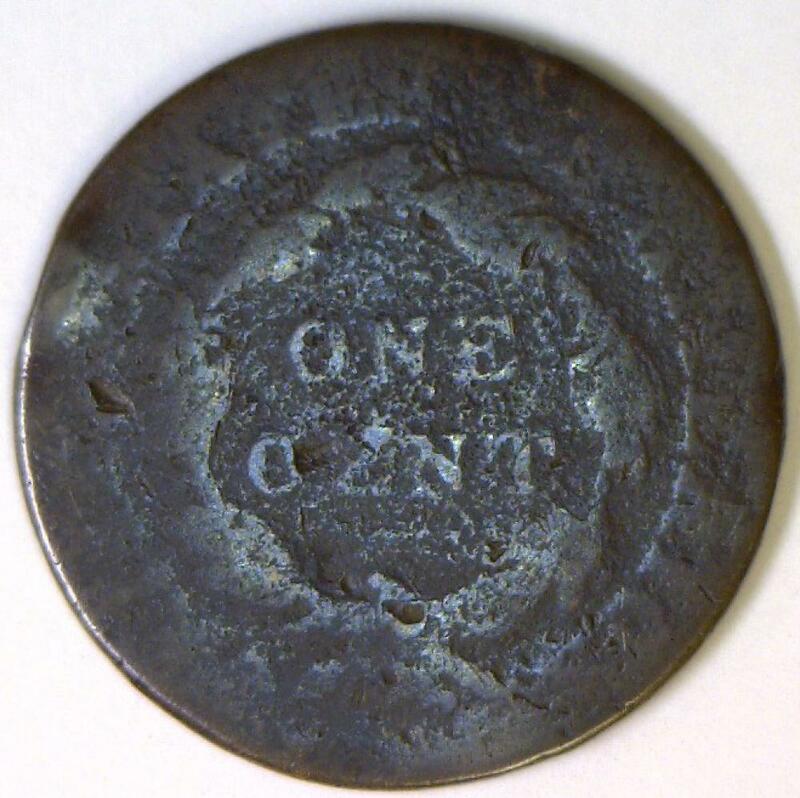 ; Well Struck! 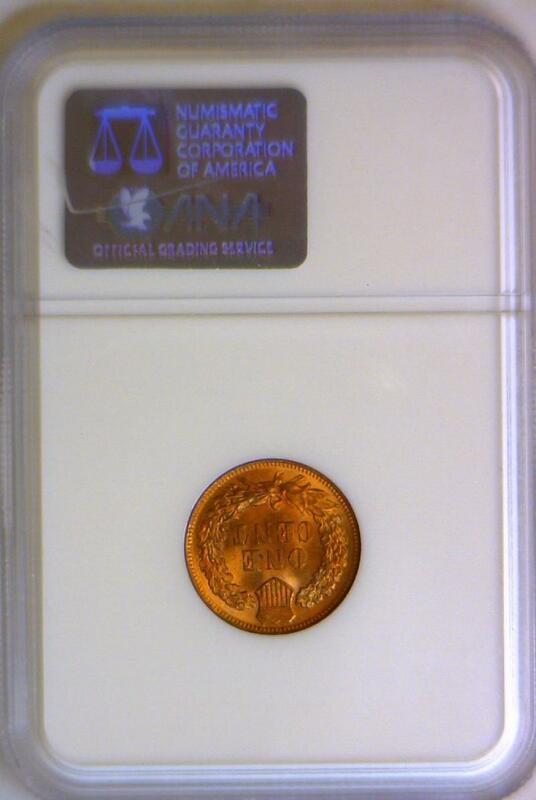 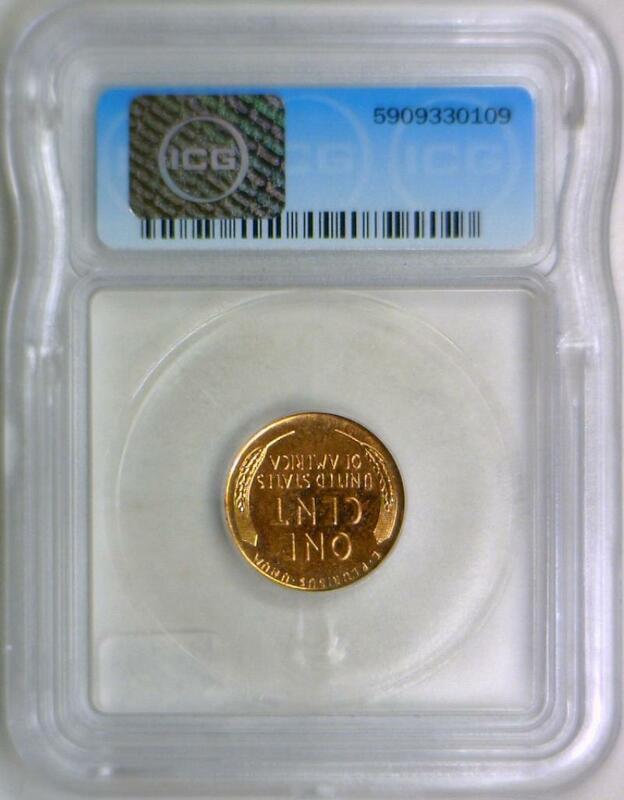 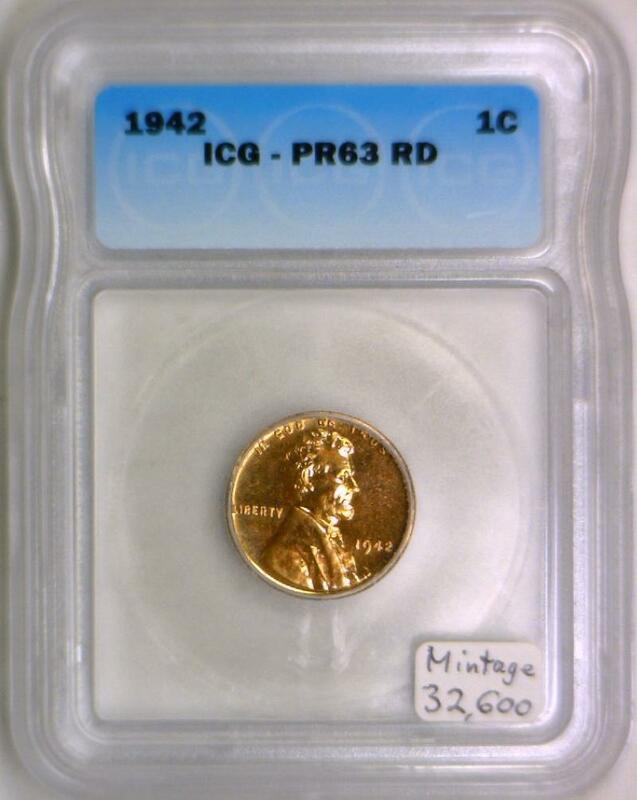 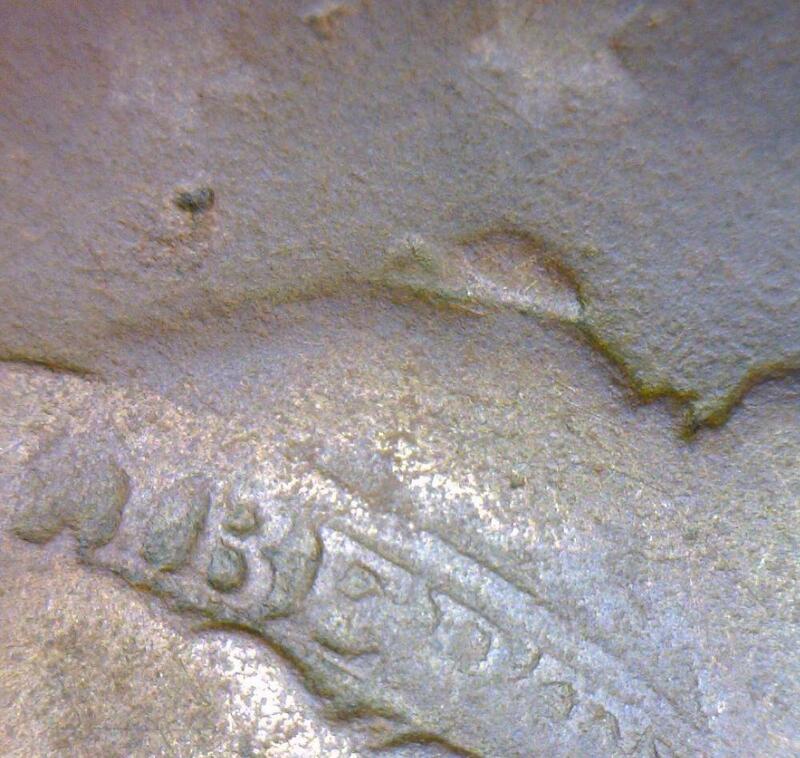 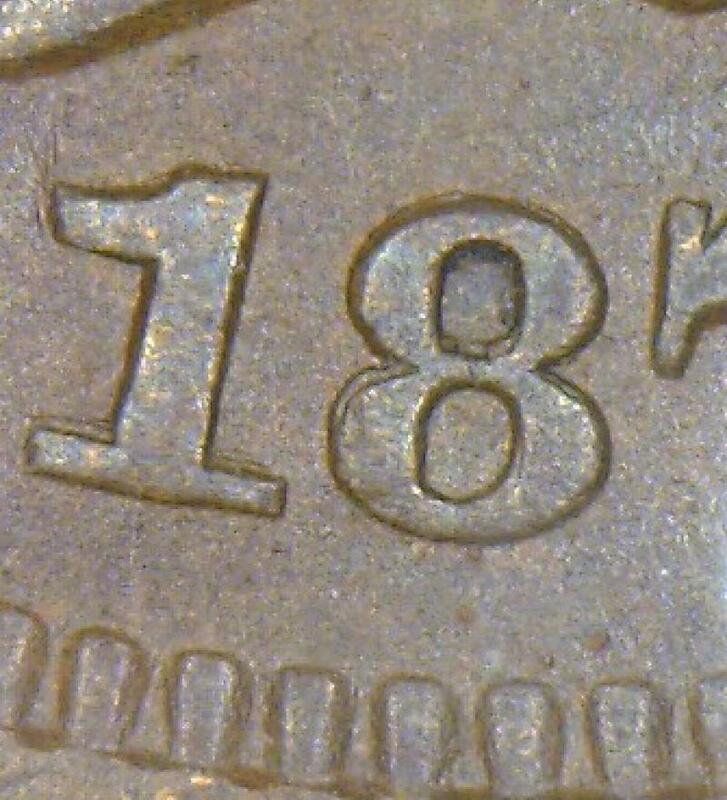 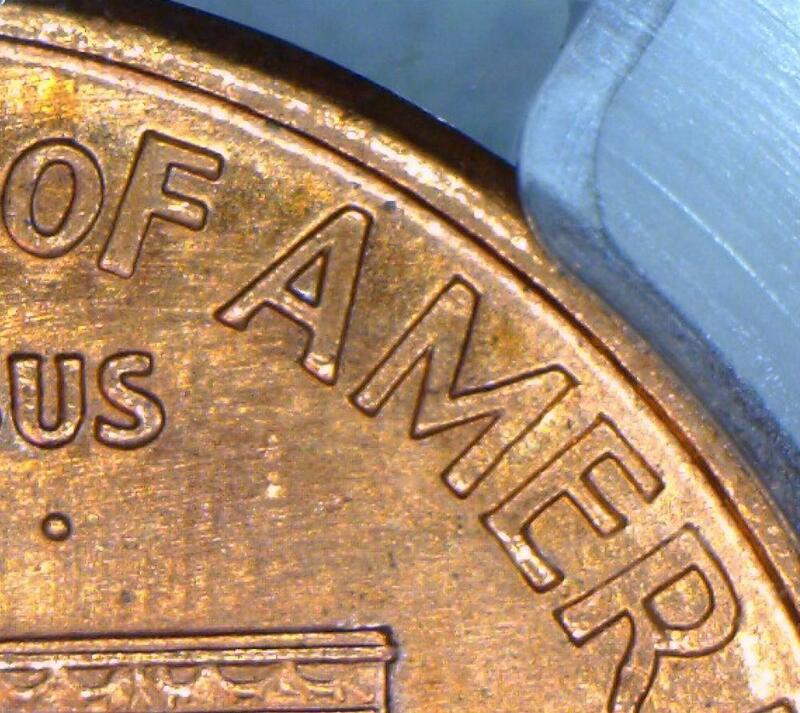 1970-S Small Date Lincoln Memorial Cent ICG MS-65 BN; Cool Color! 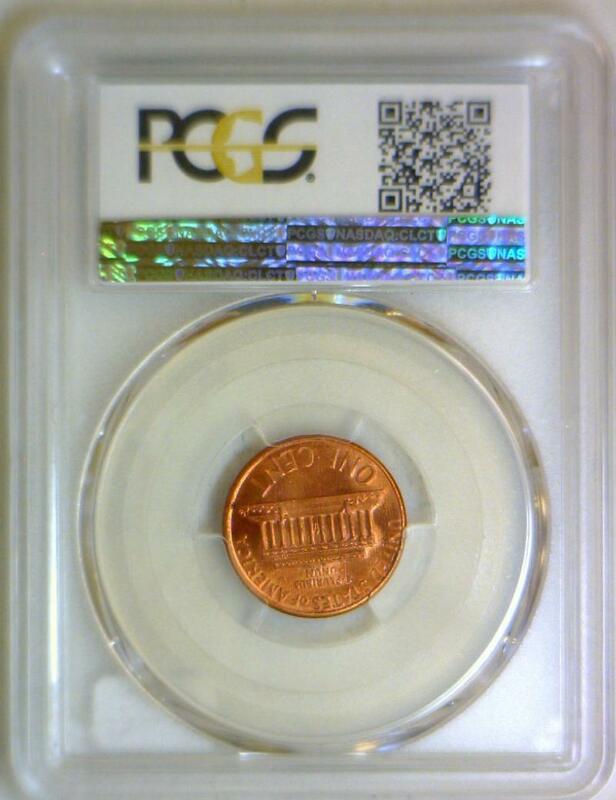 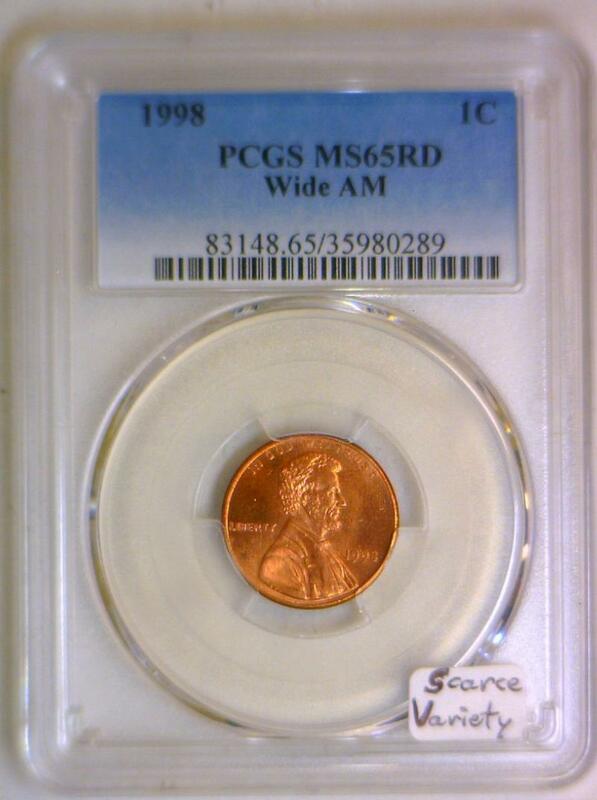 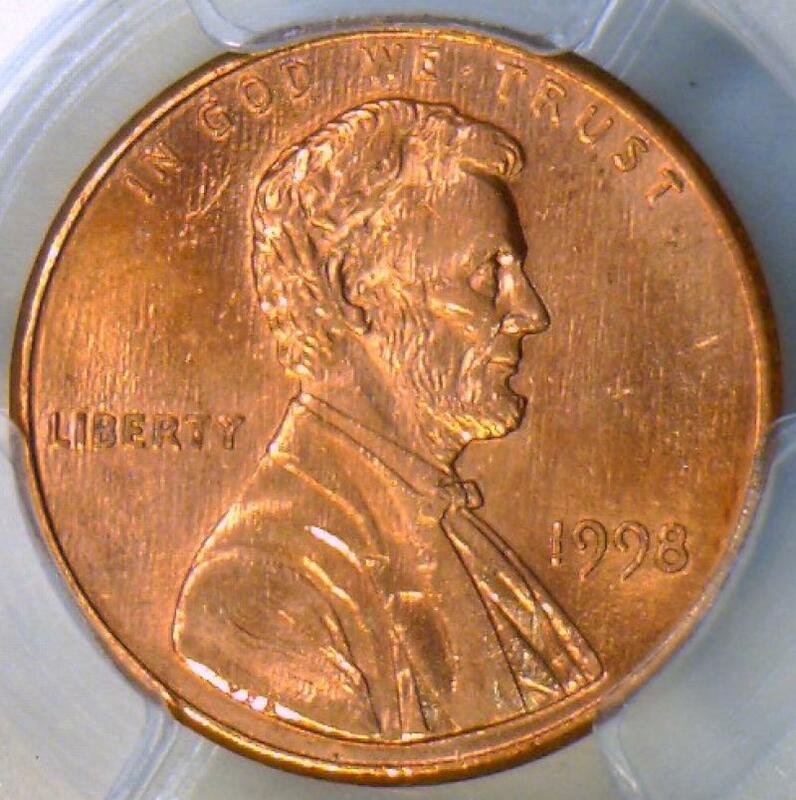 1998 Wide AM Lincoln Memorial Cent PCGS MS-65 RD; Scarce Variety! 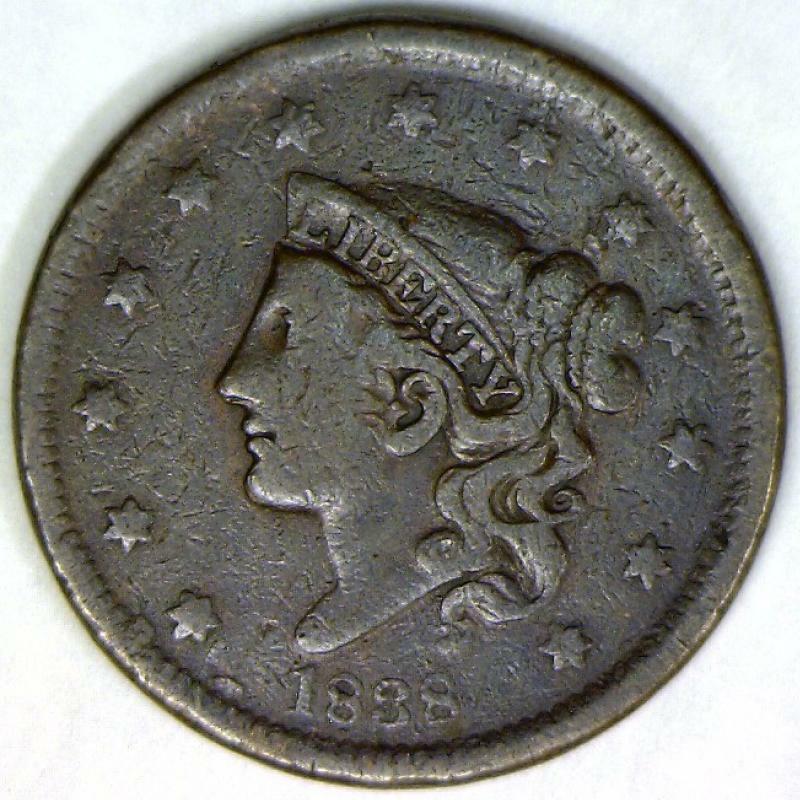 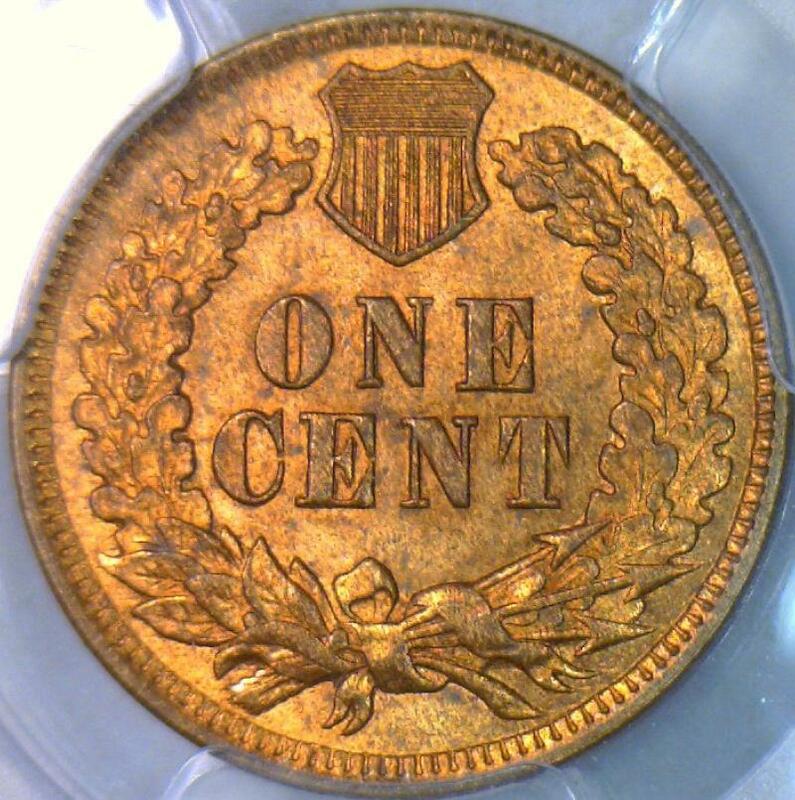 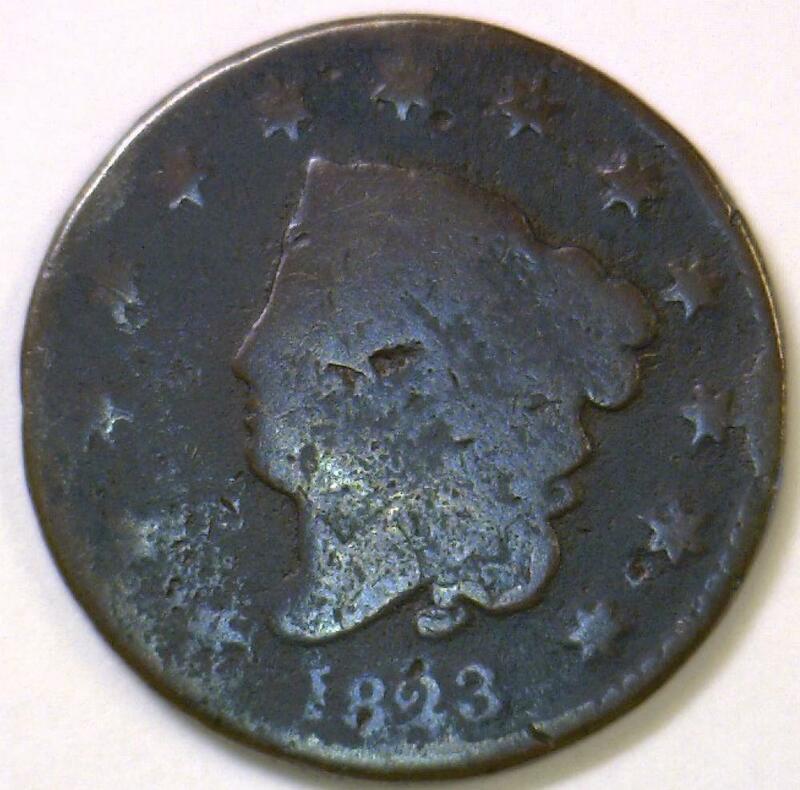 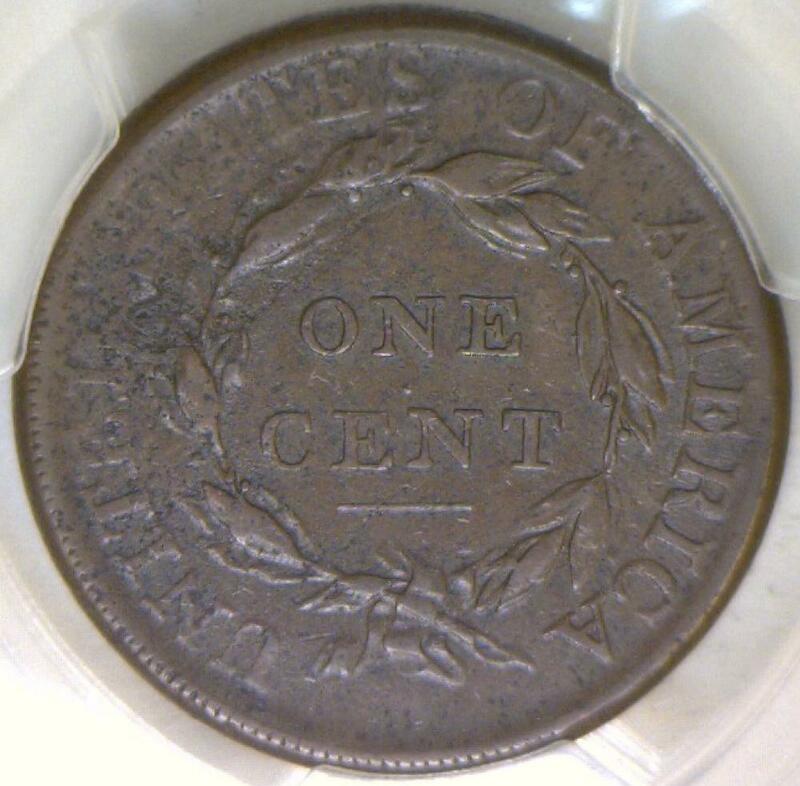 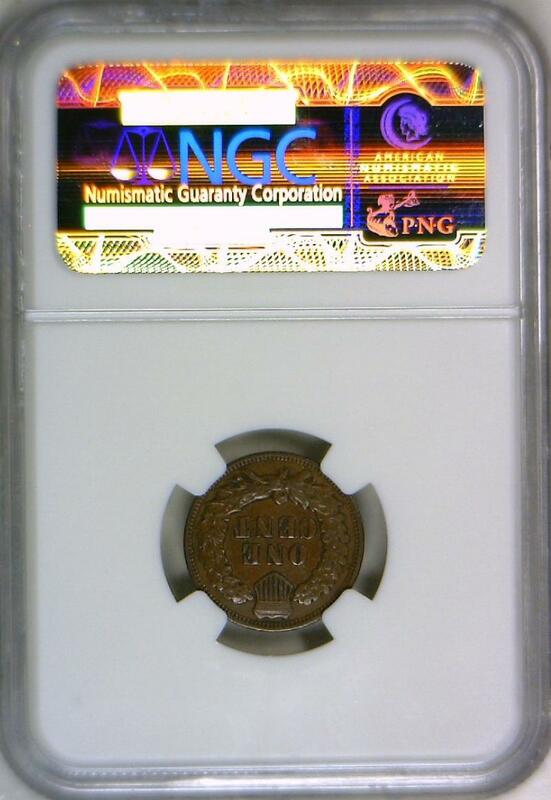 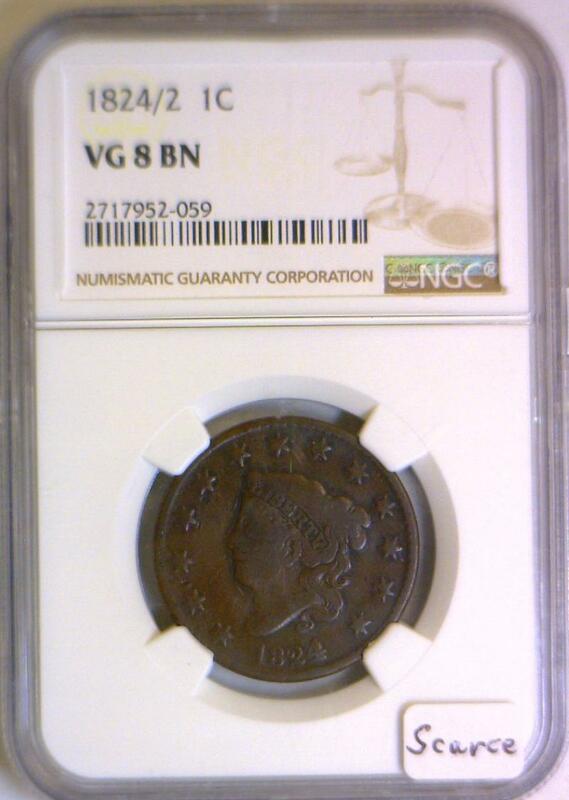 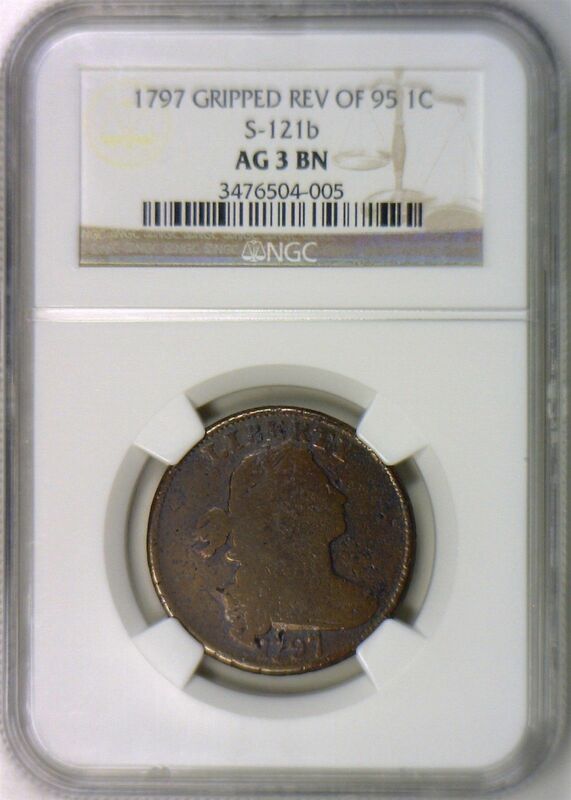 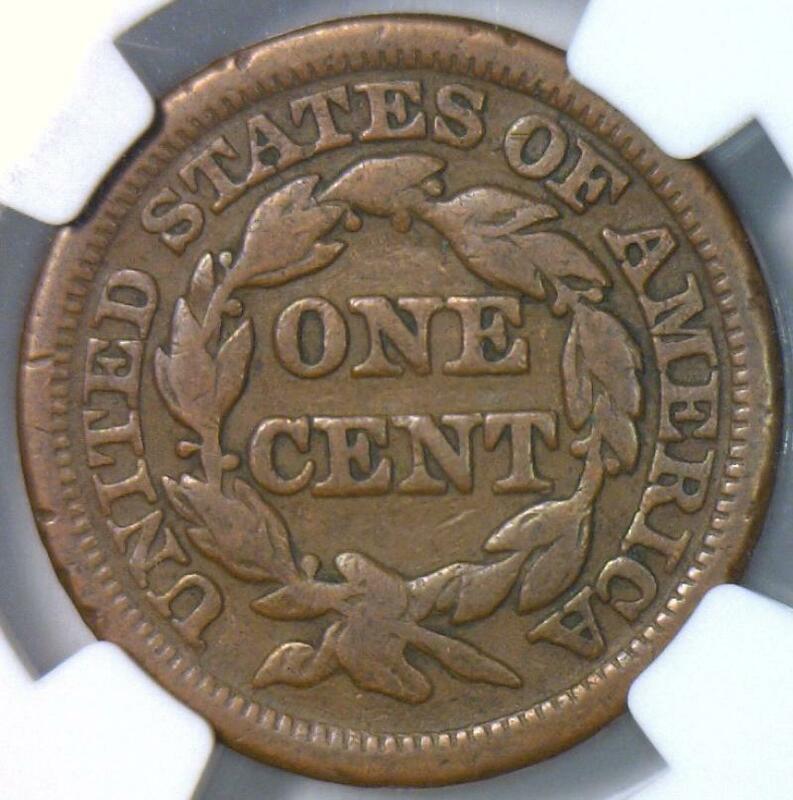 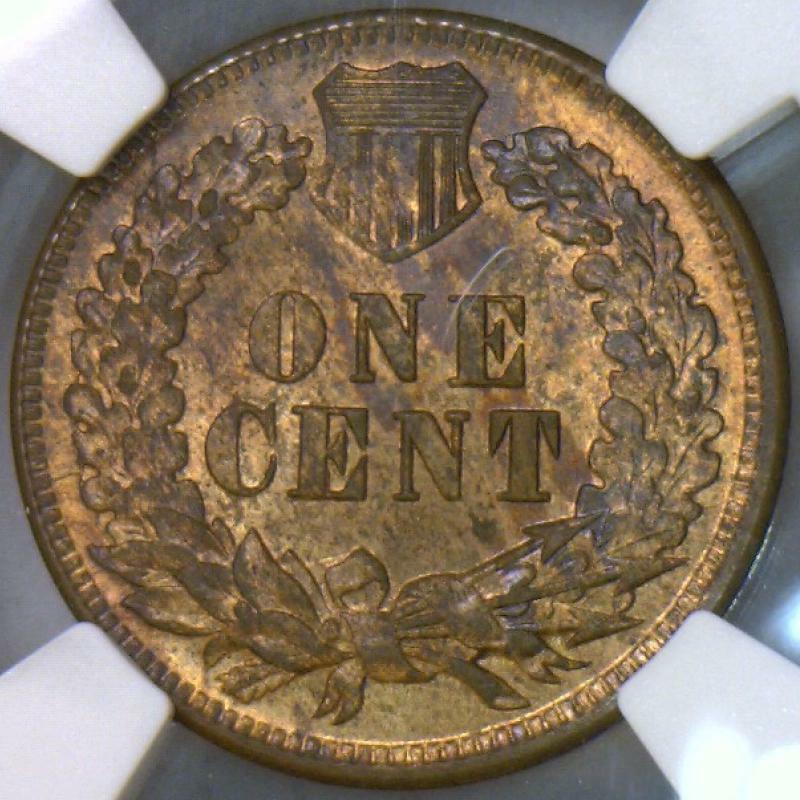 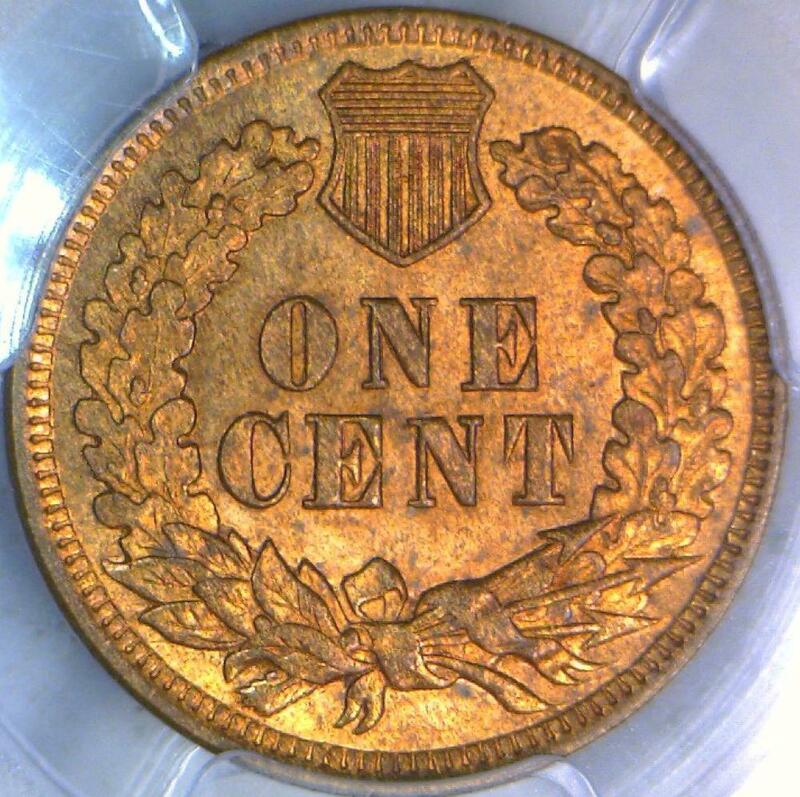 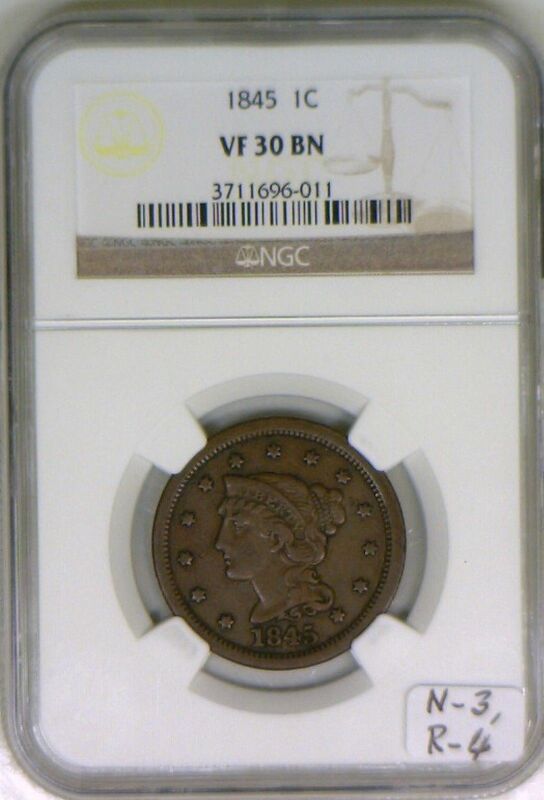 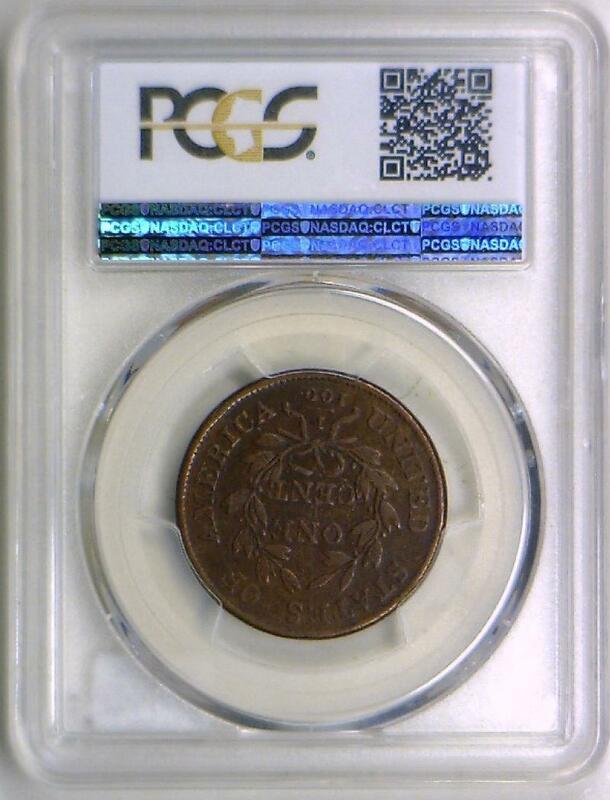 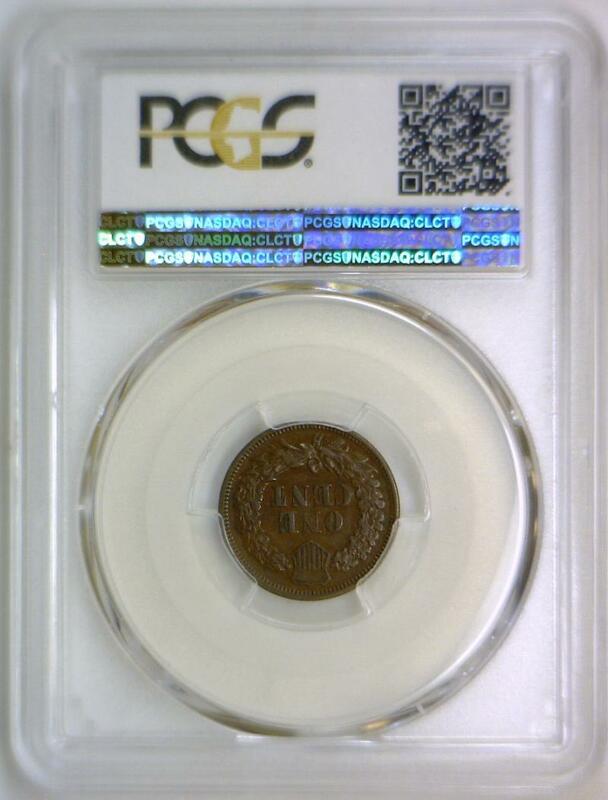 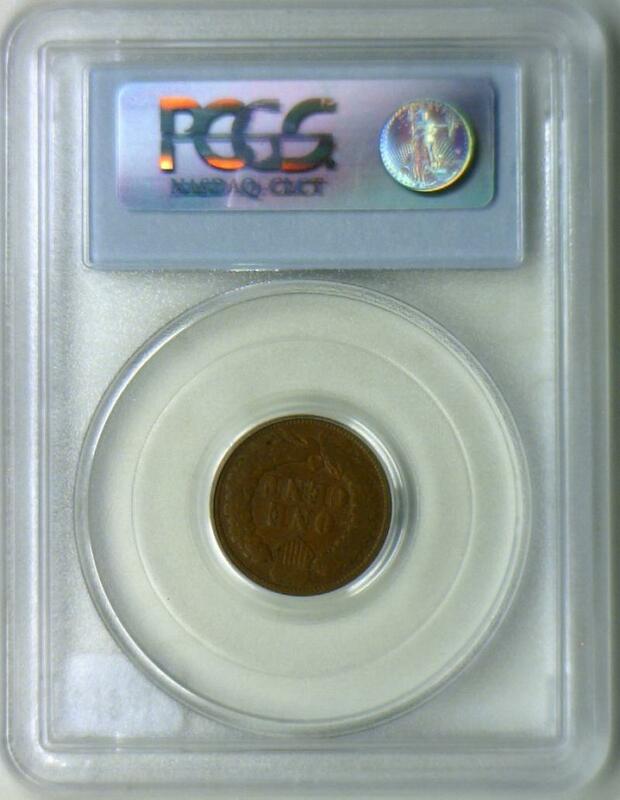 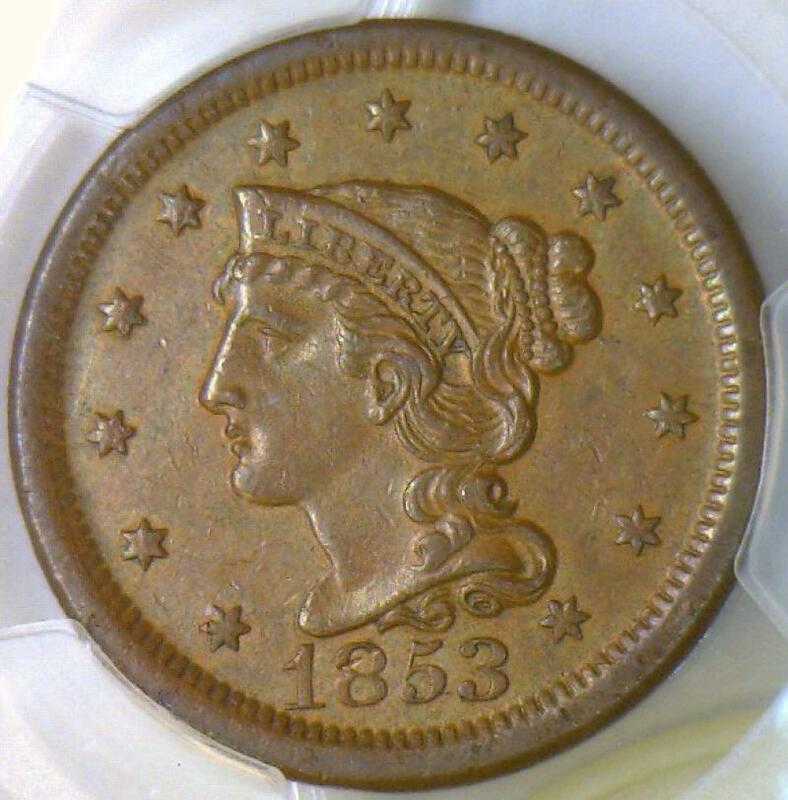 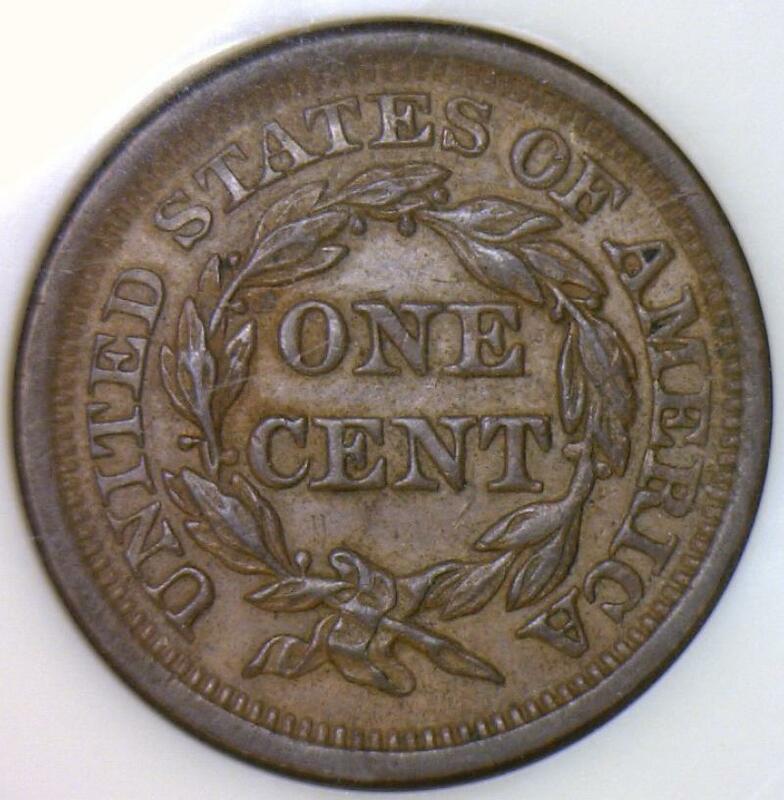 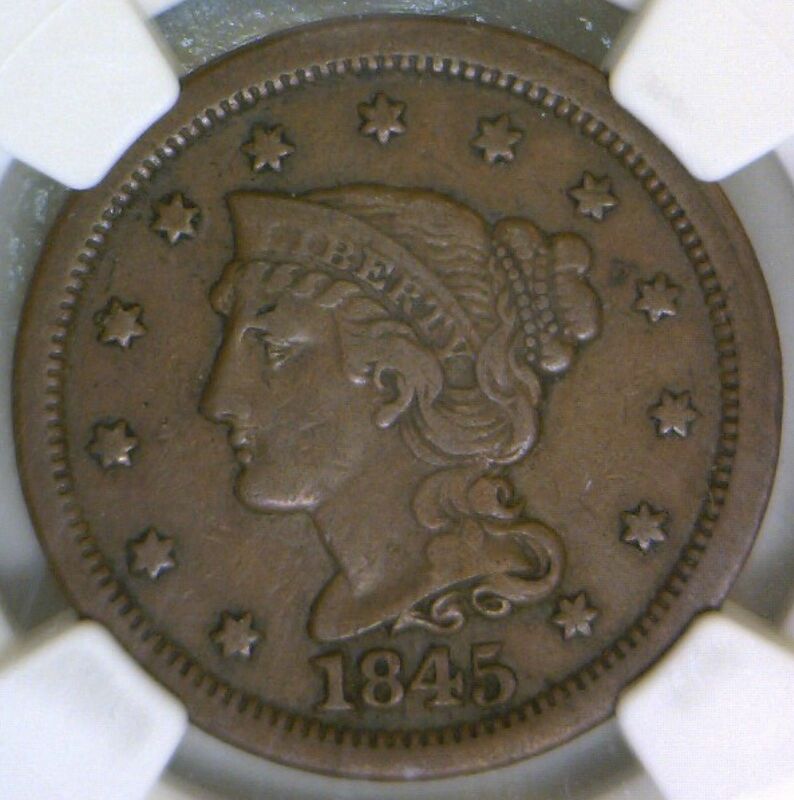 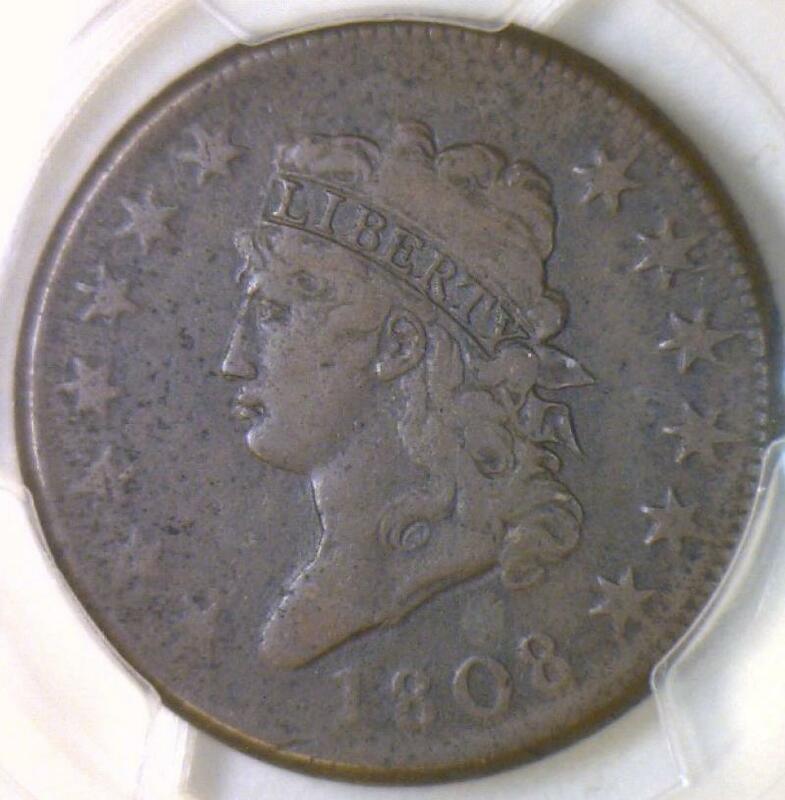 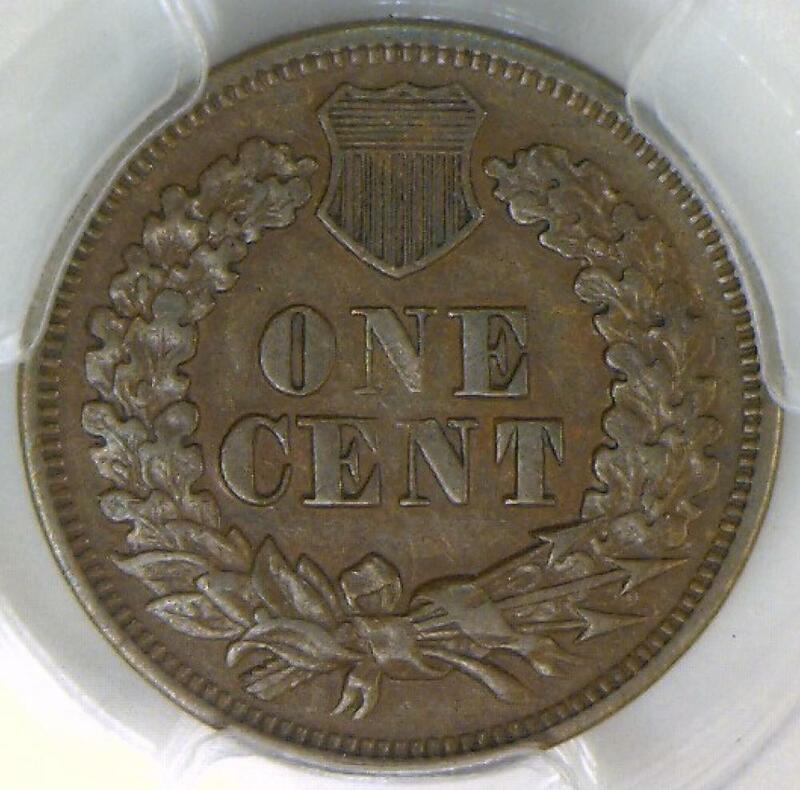 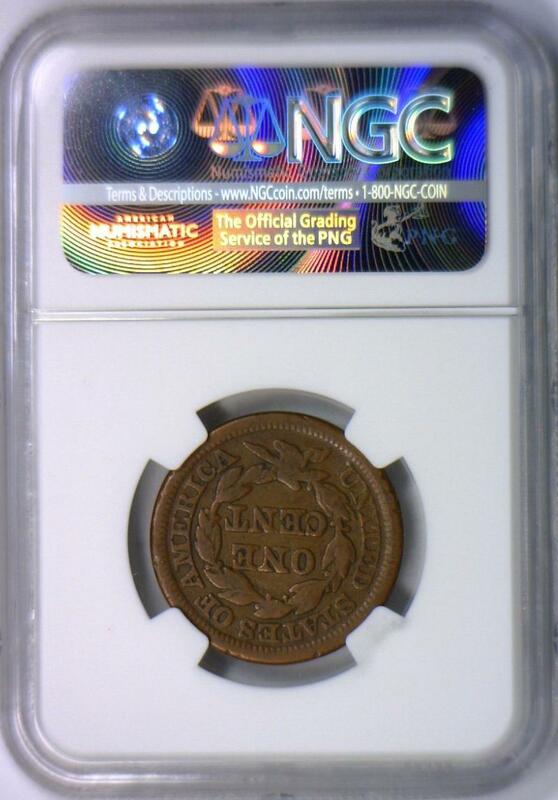 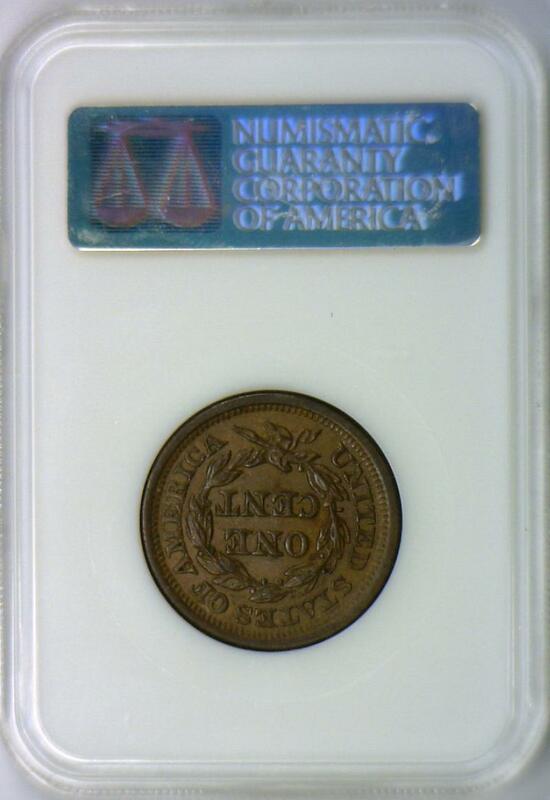 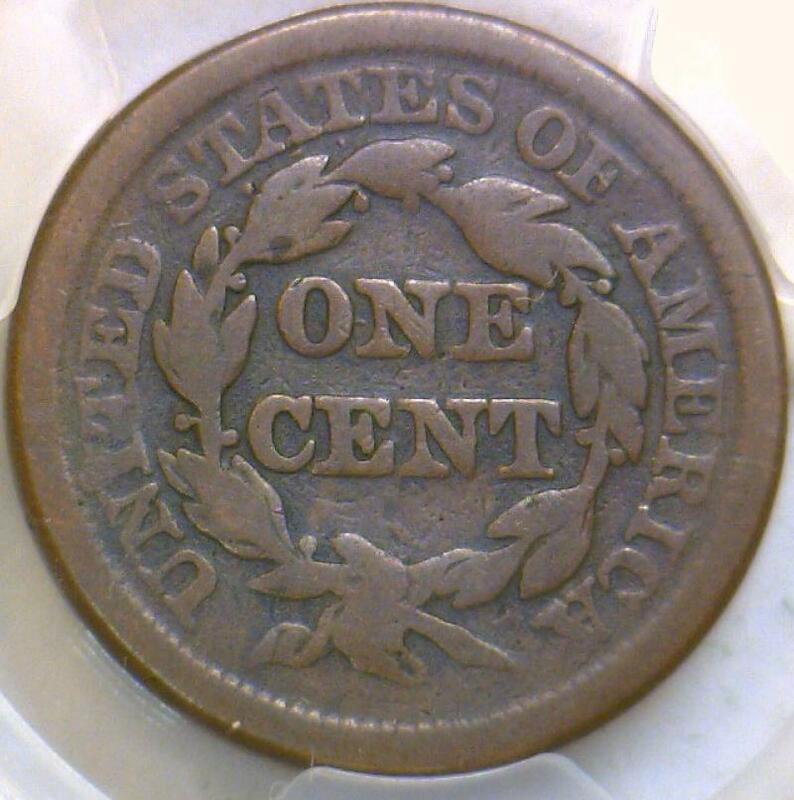 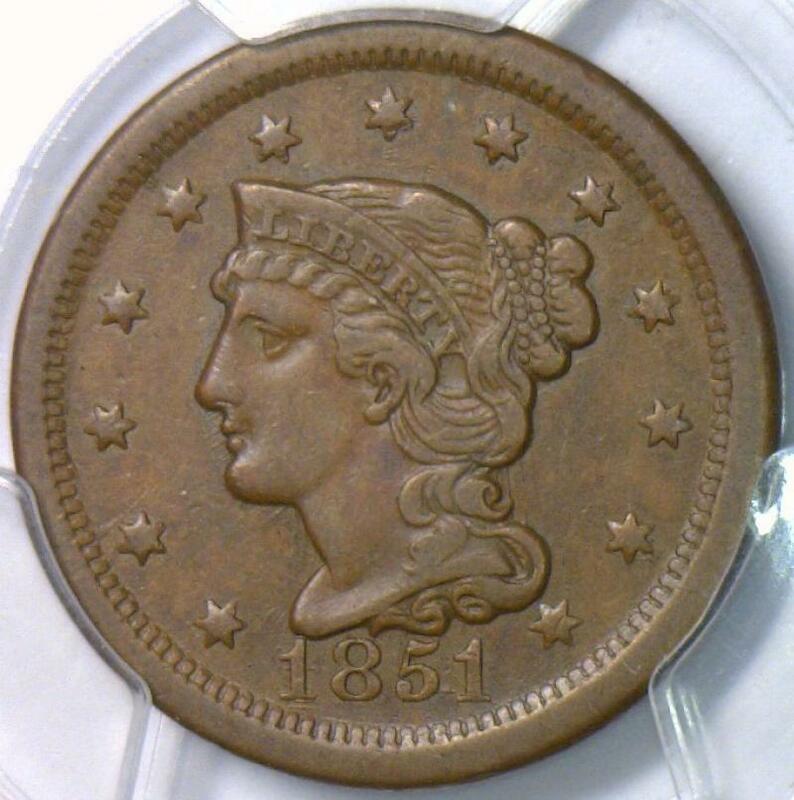 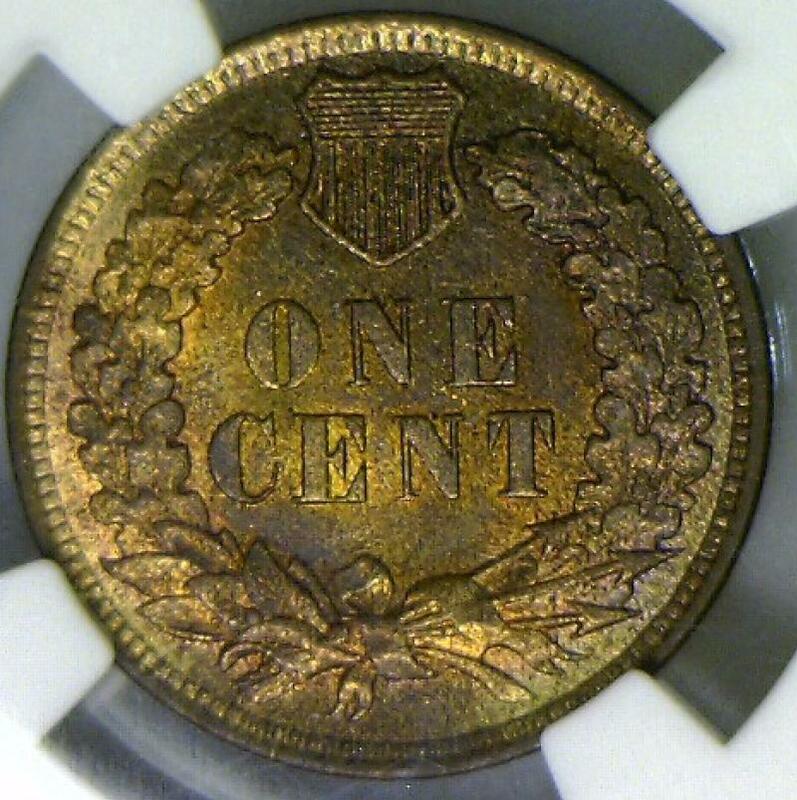 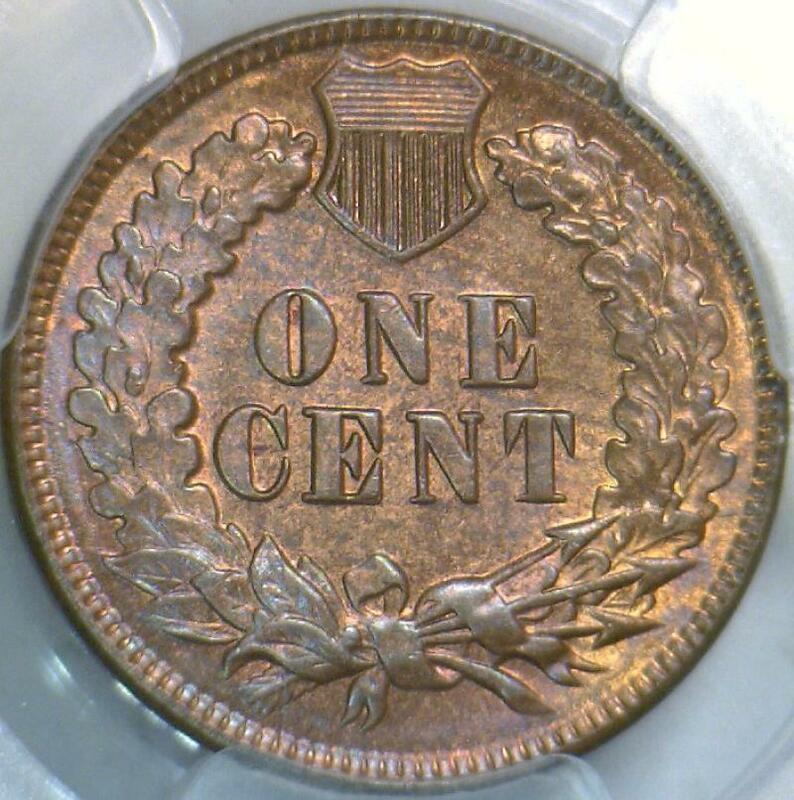 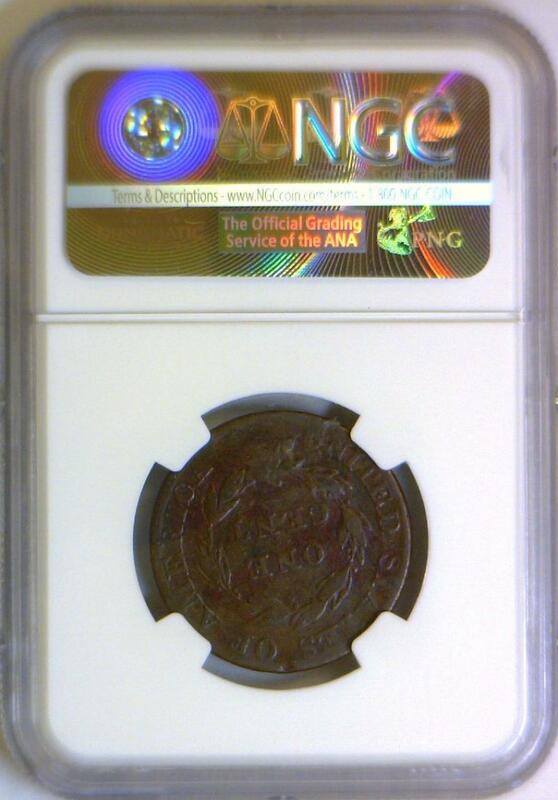 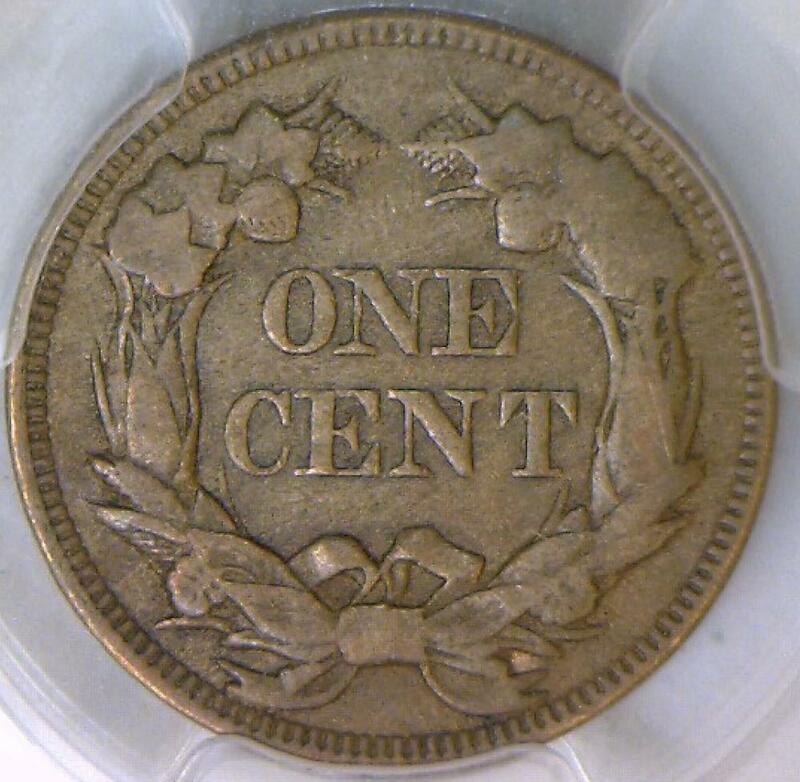 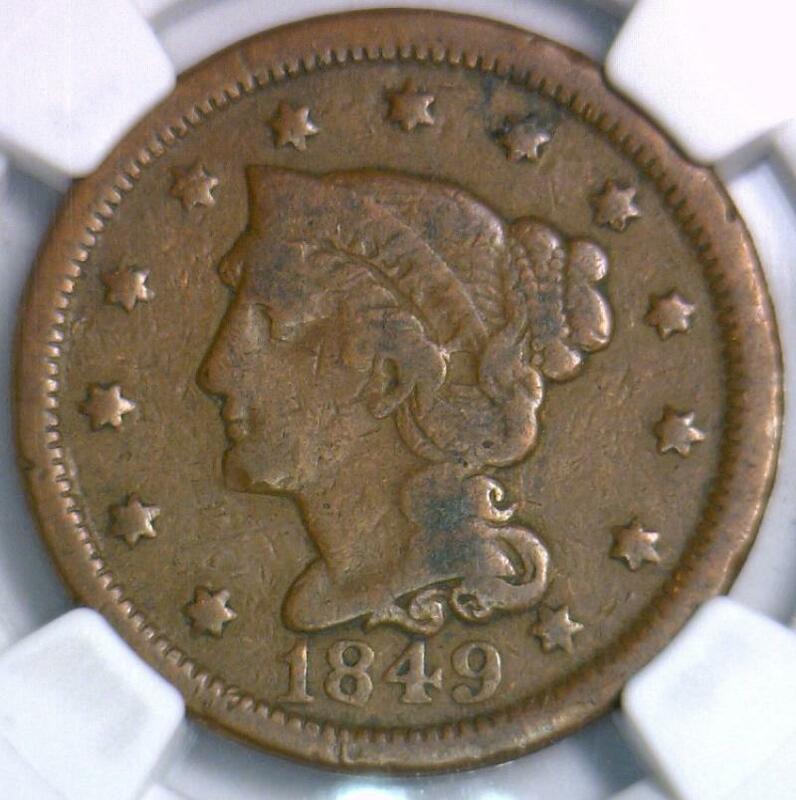 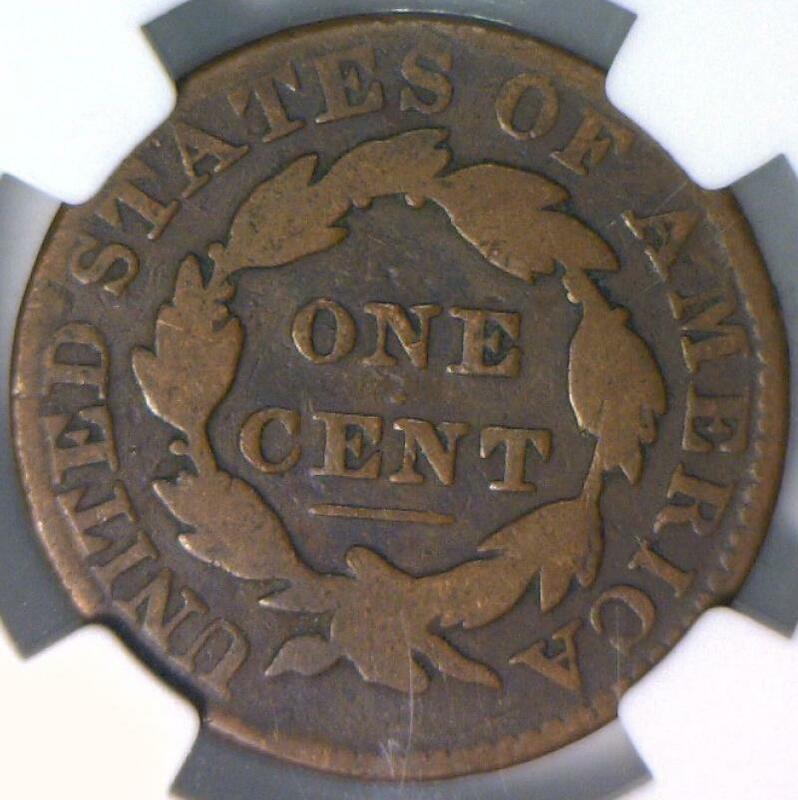 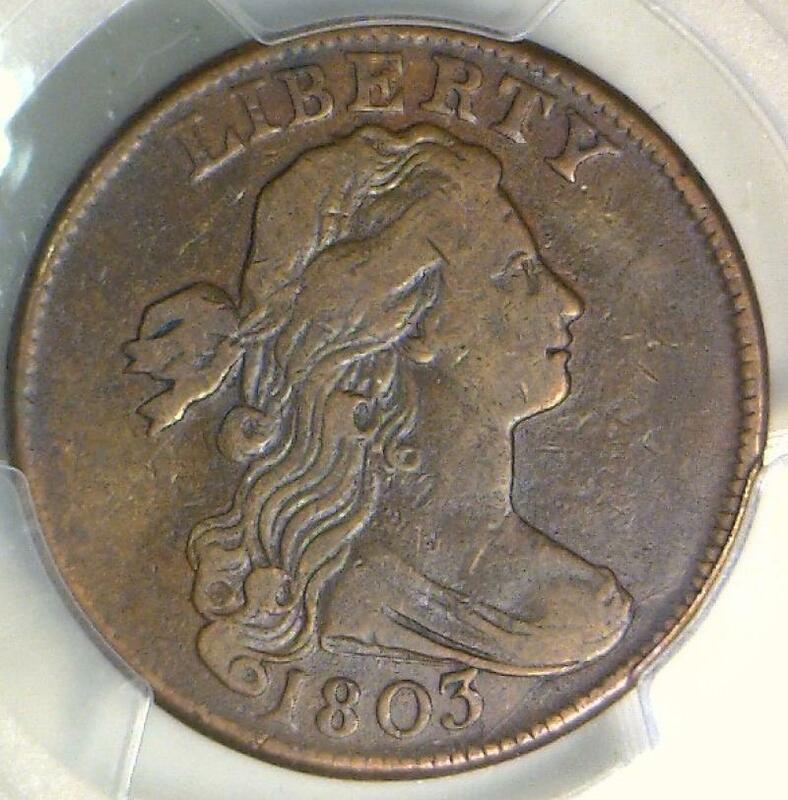 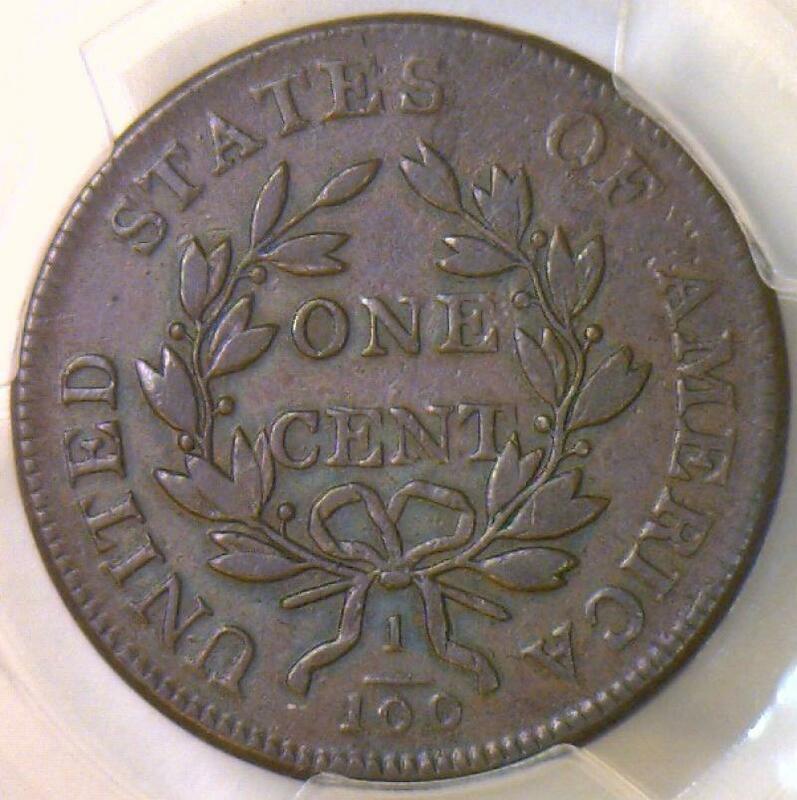 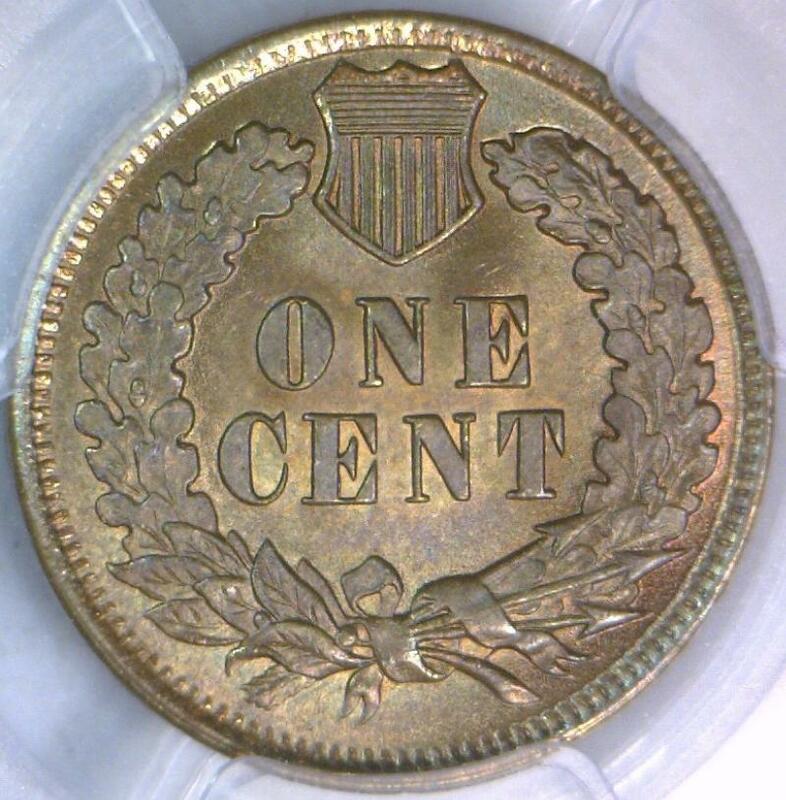 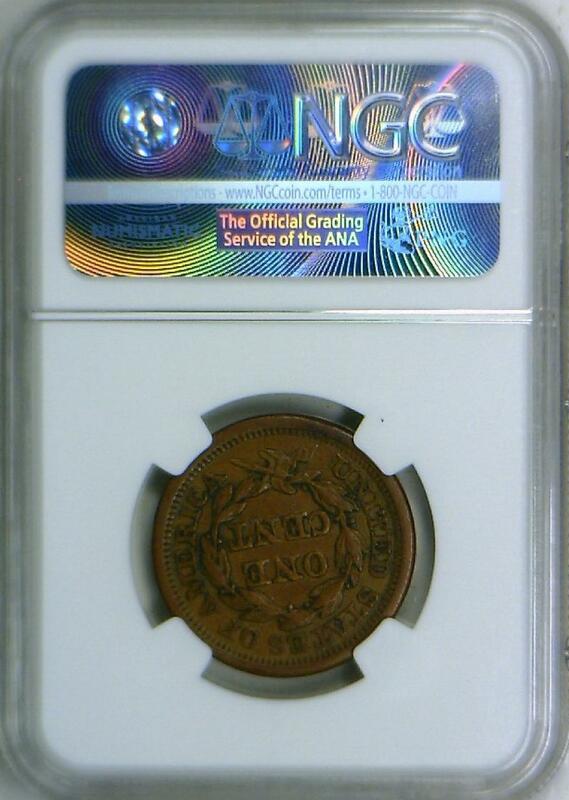 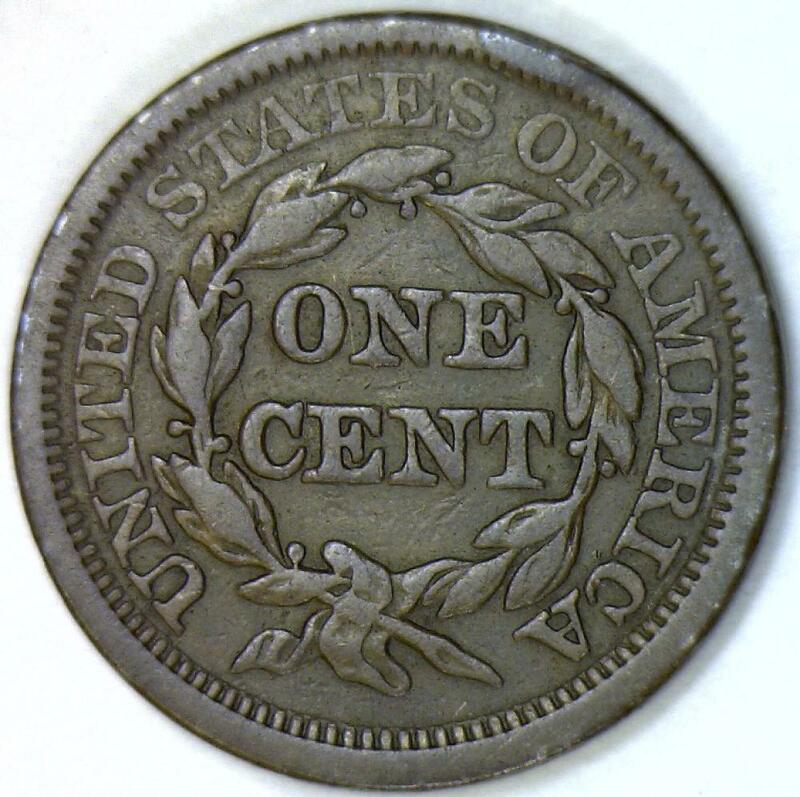 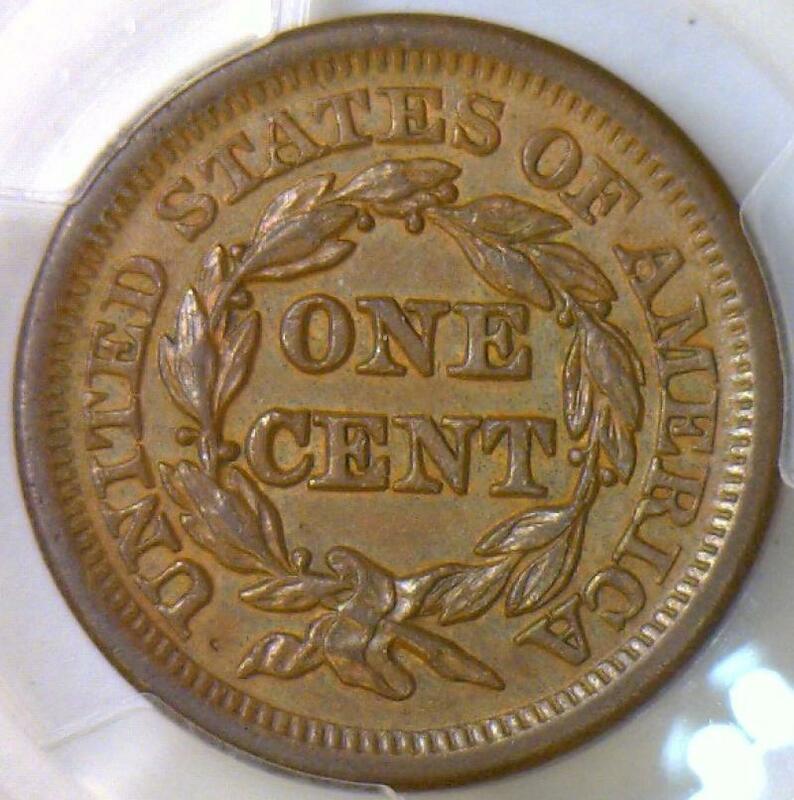 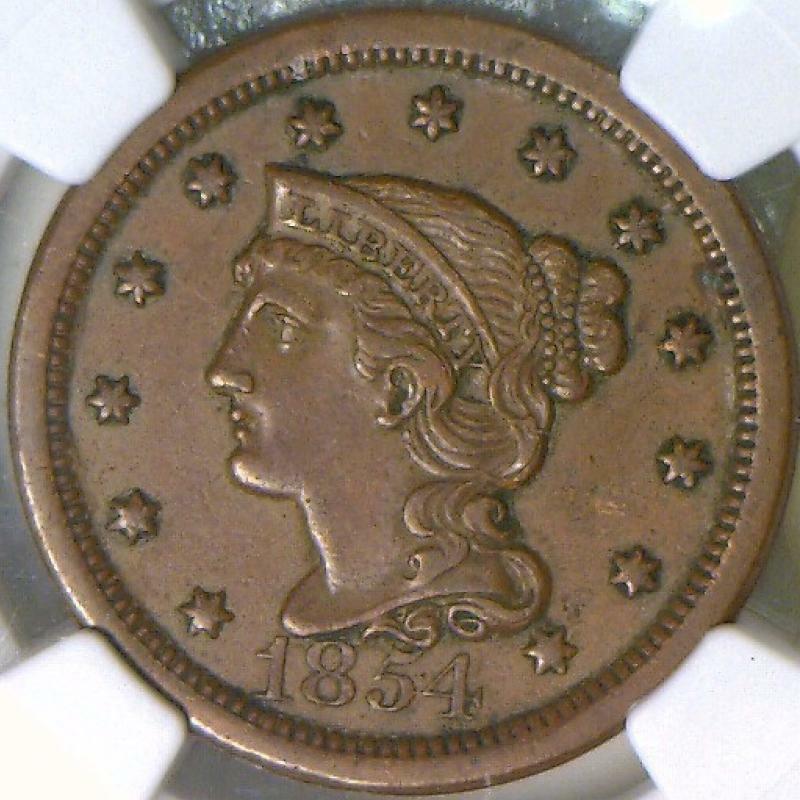 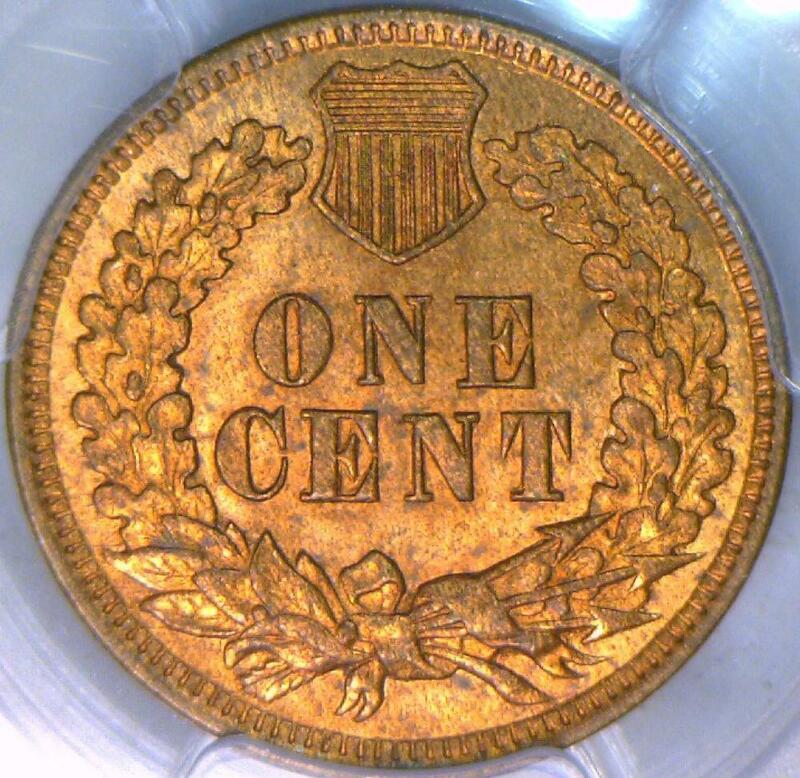 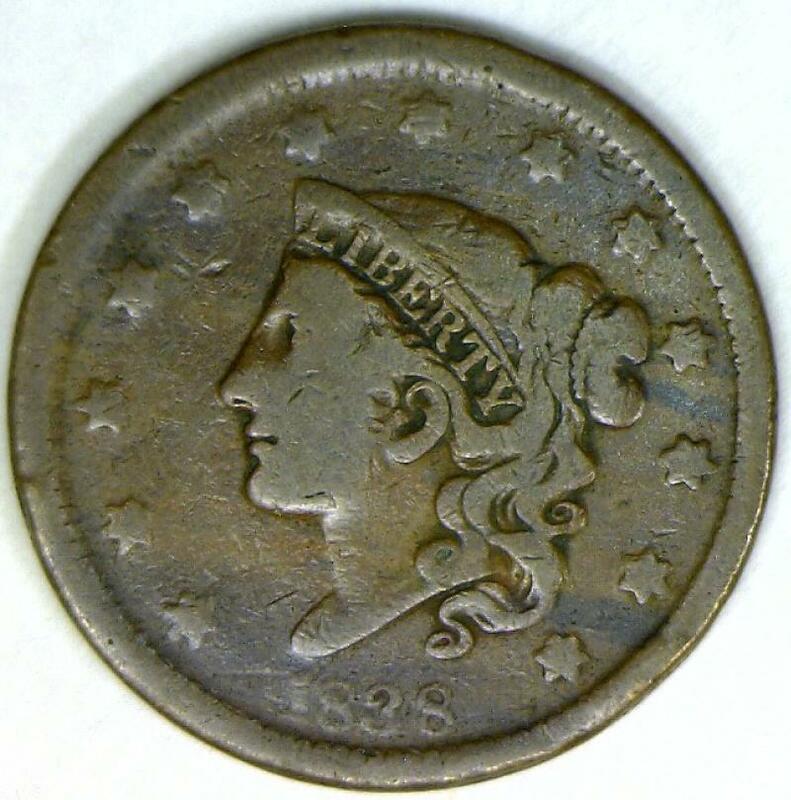 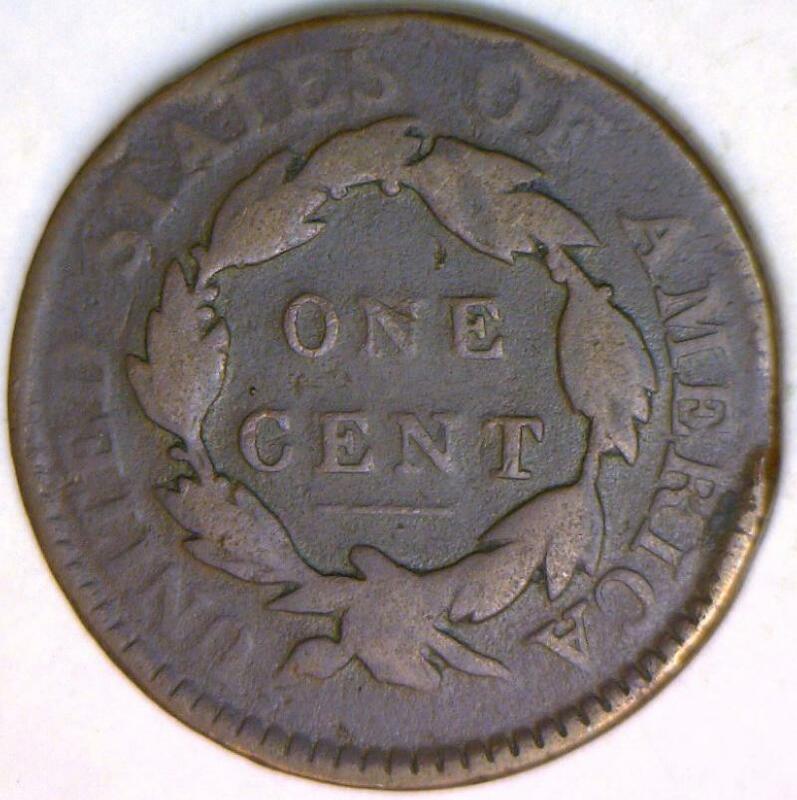 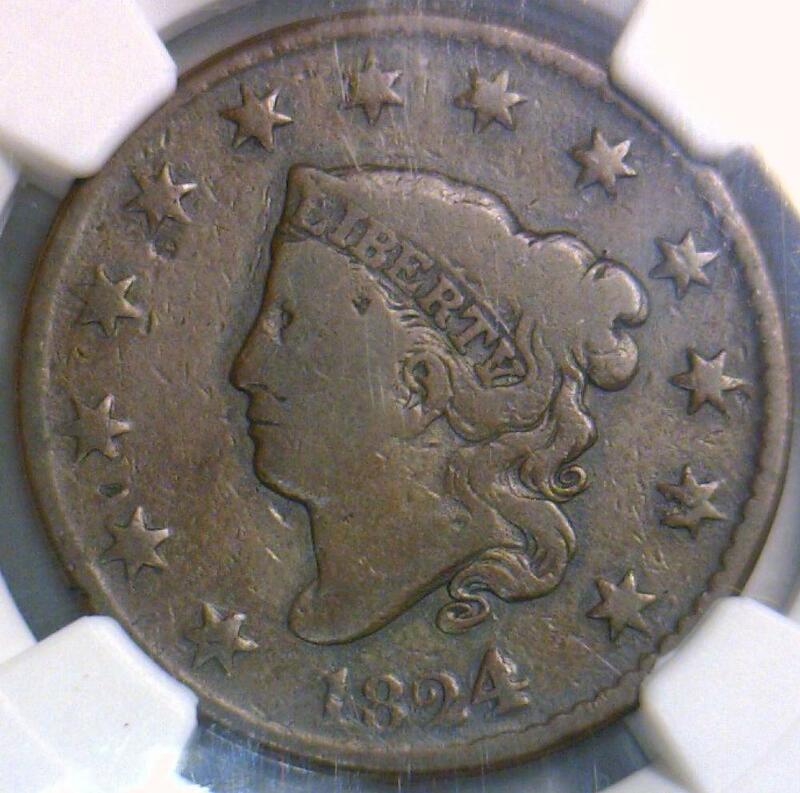 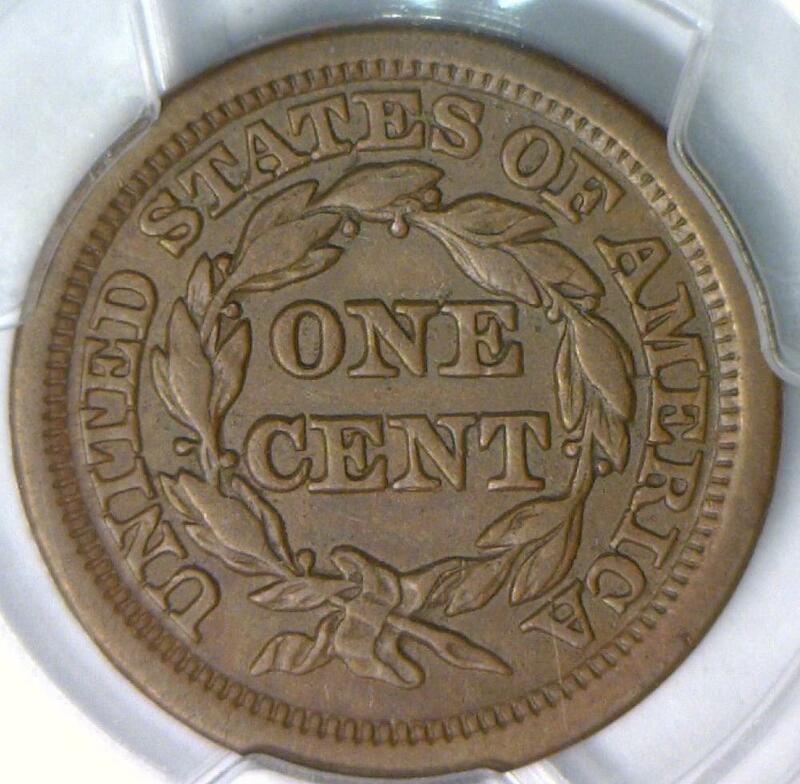 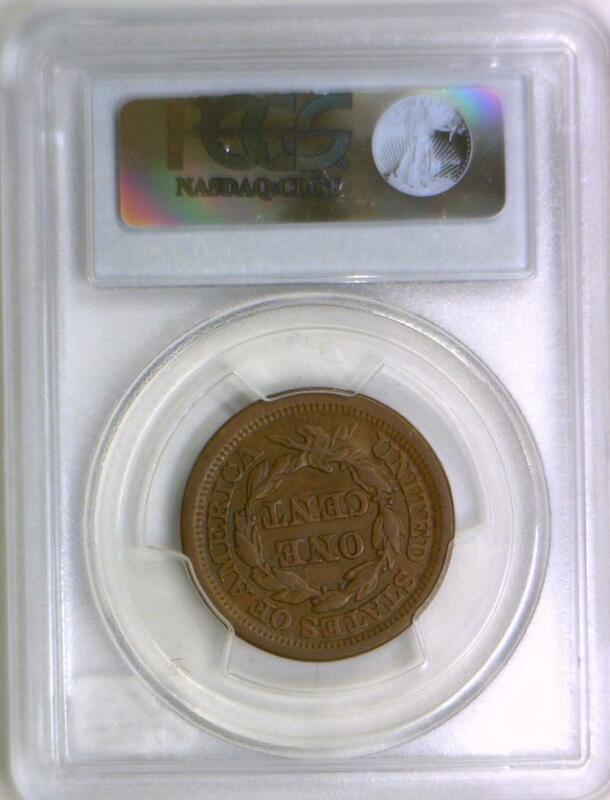 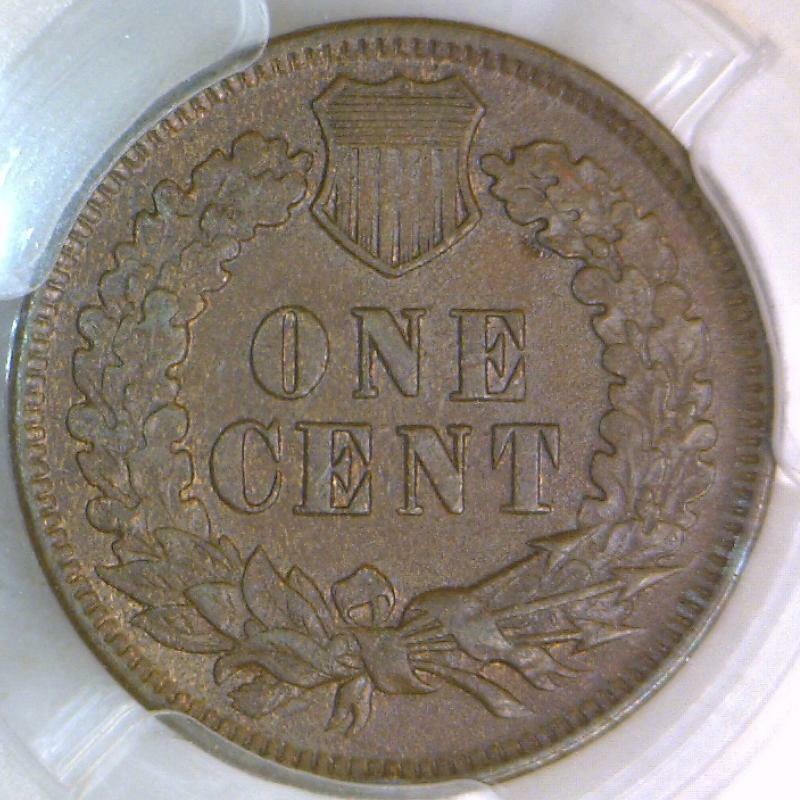 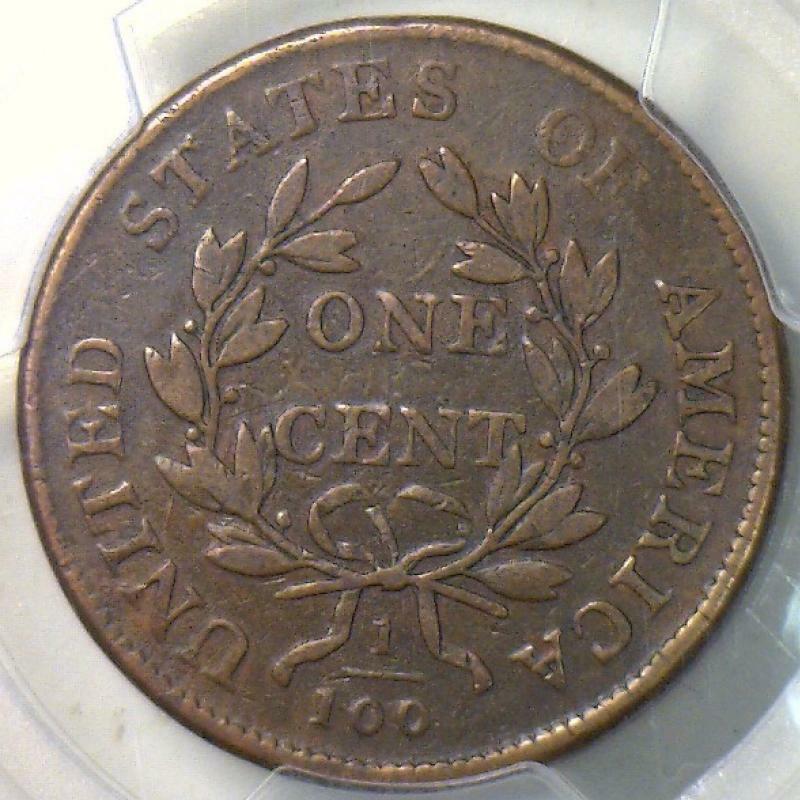 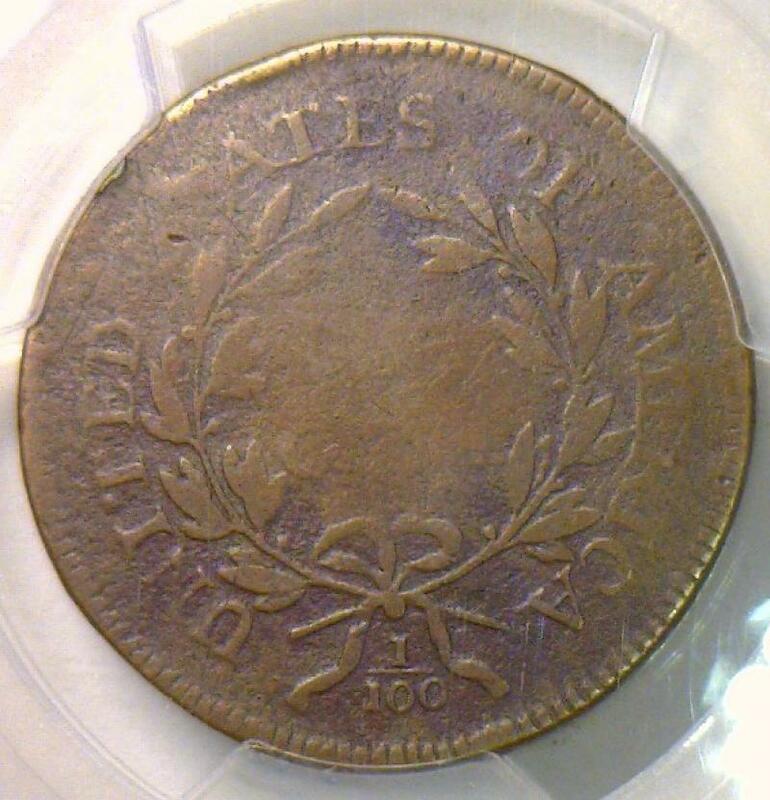 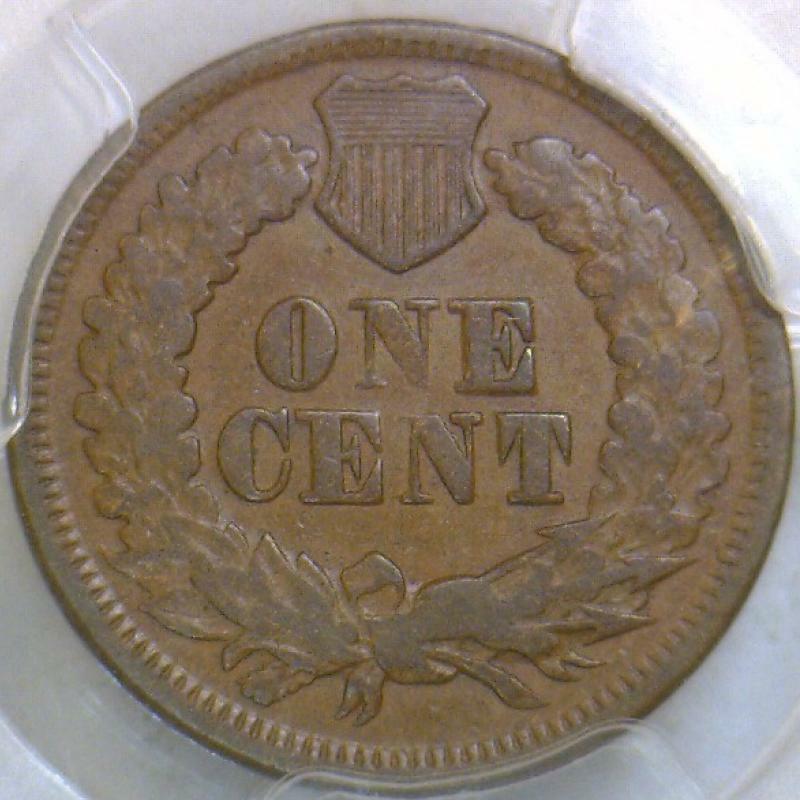 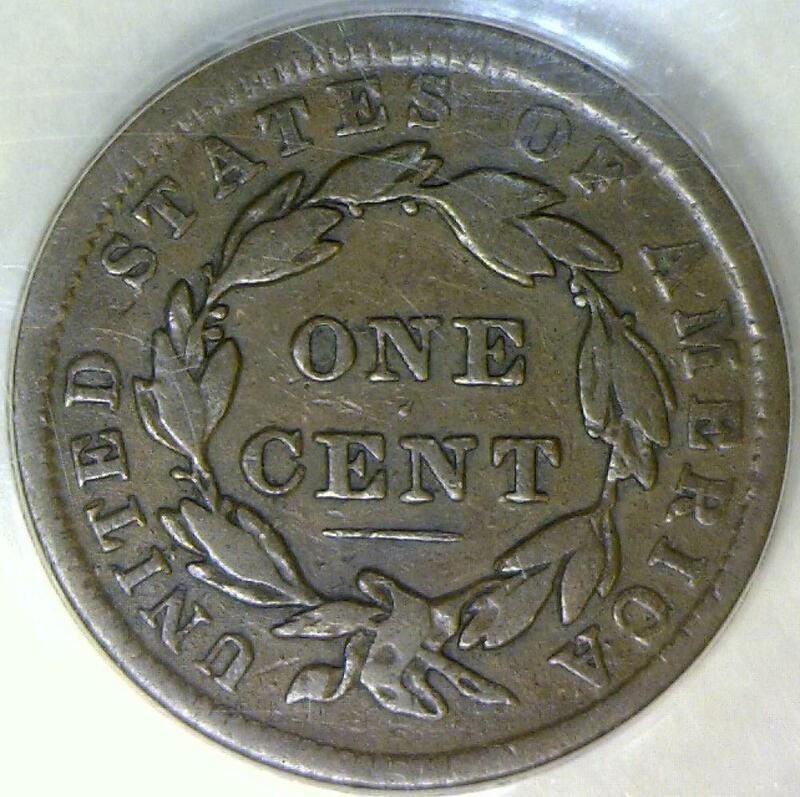 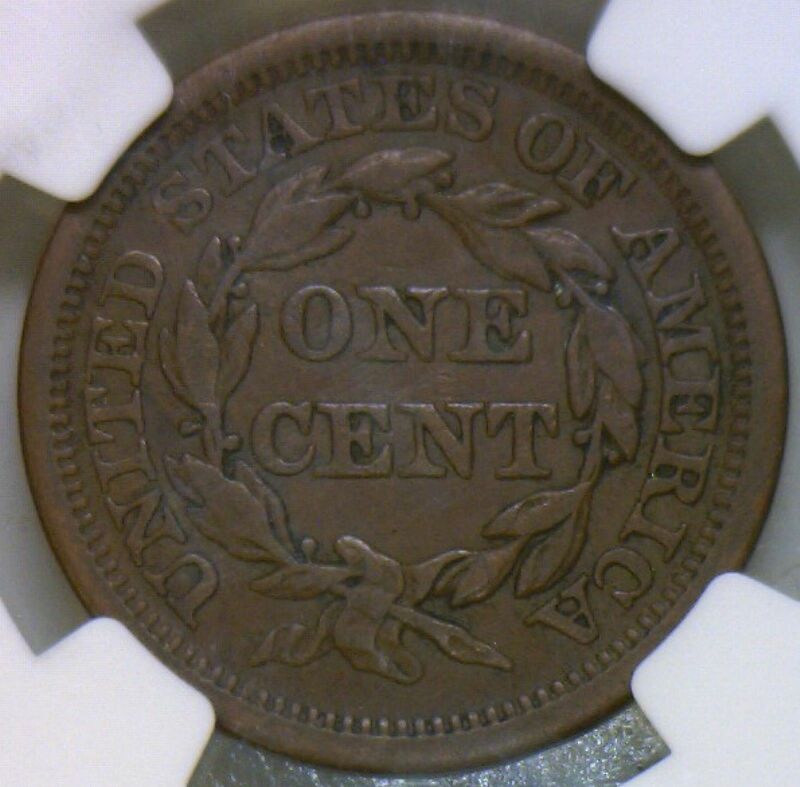 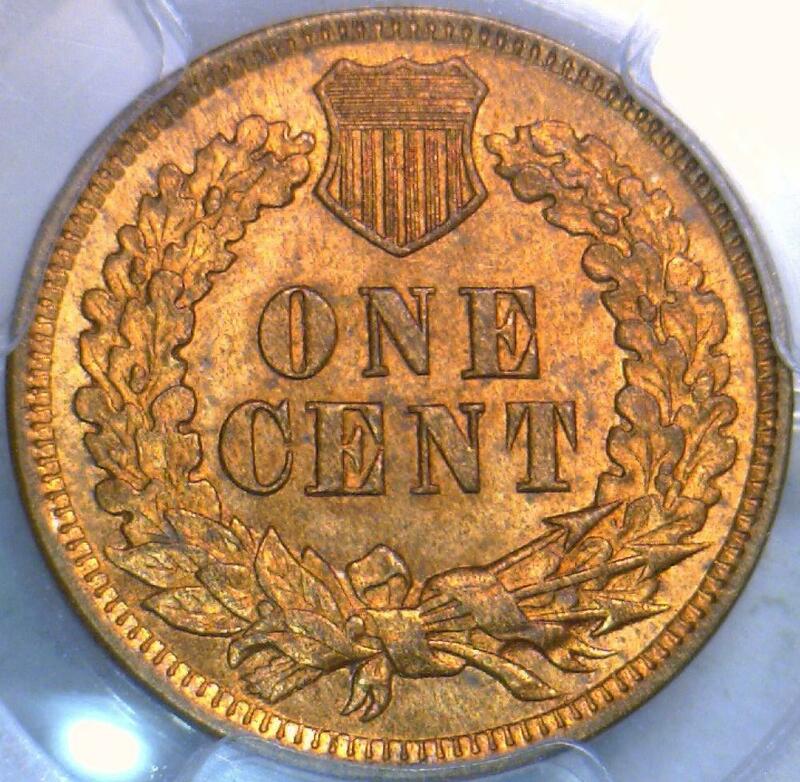 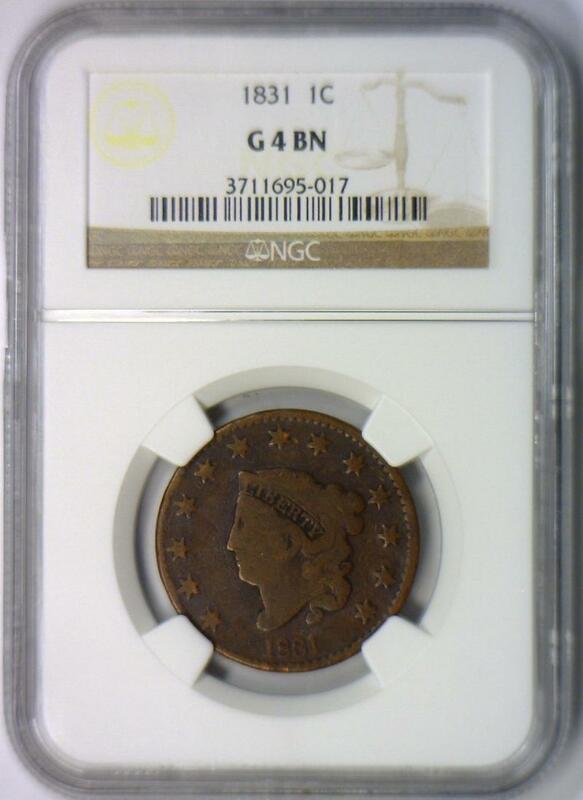 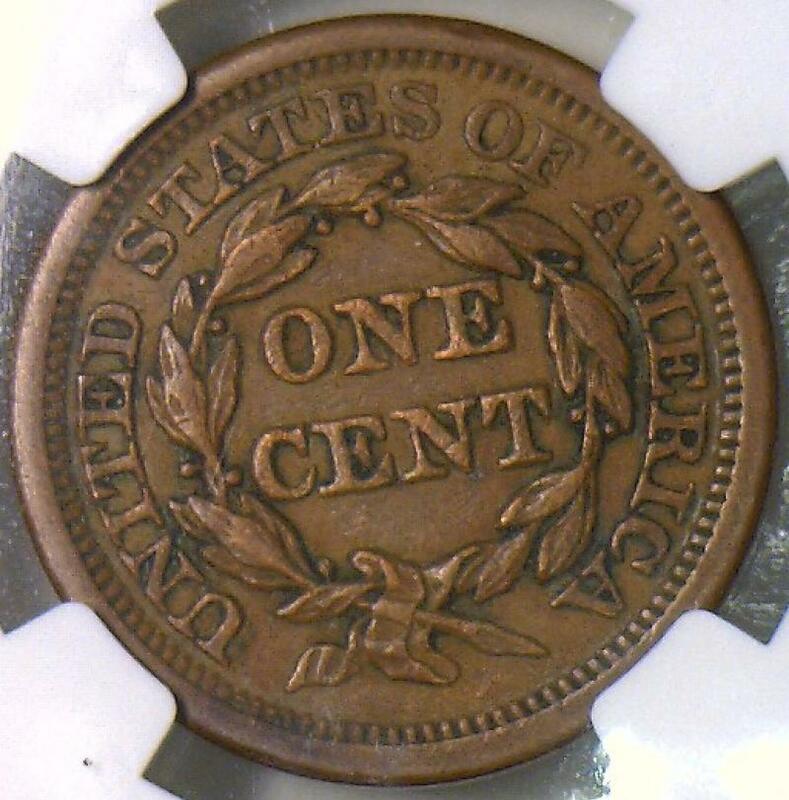 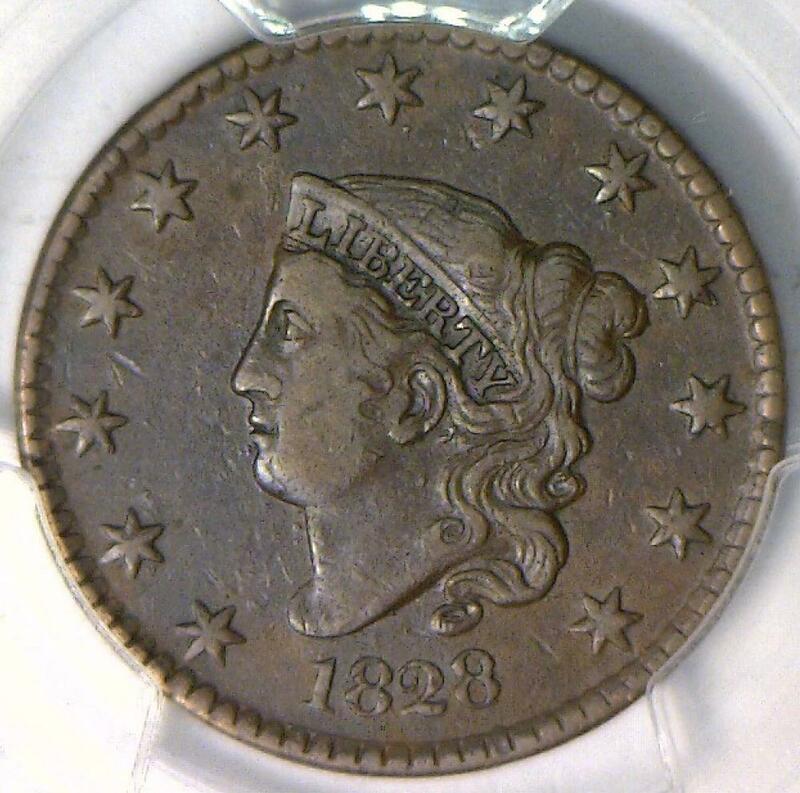 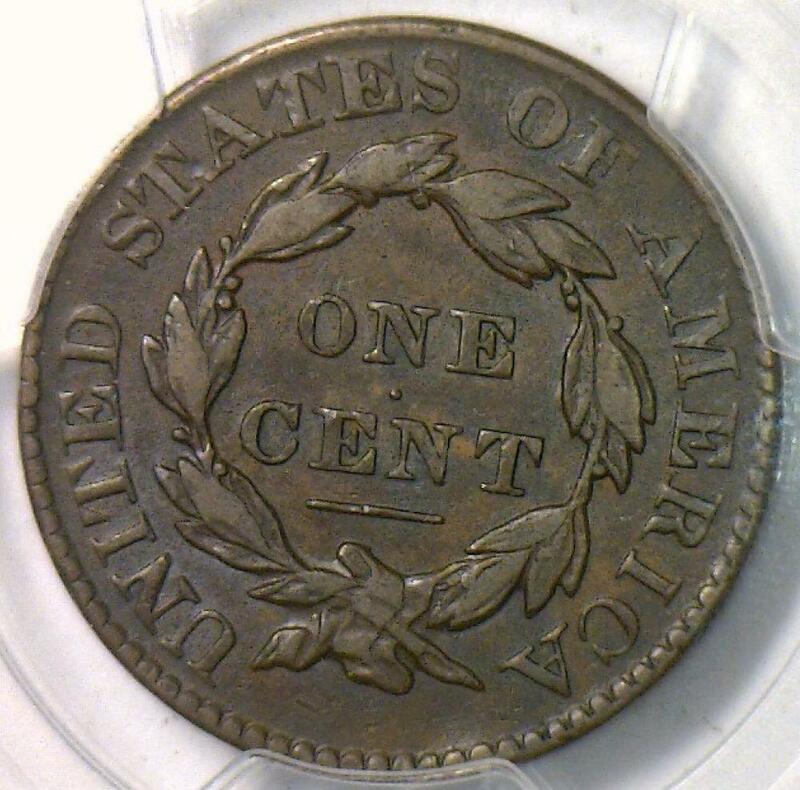 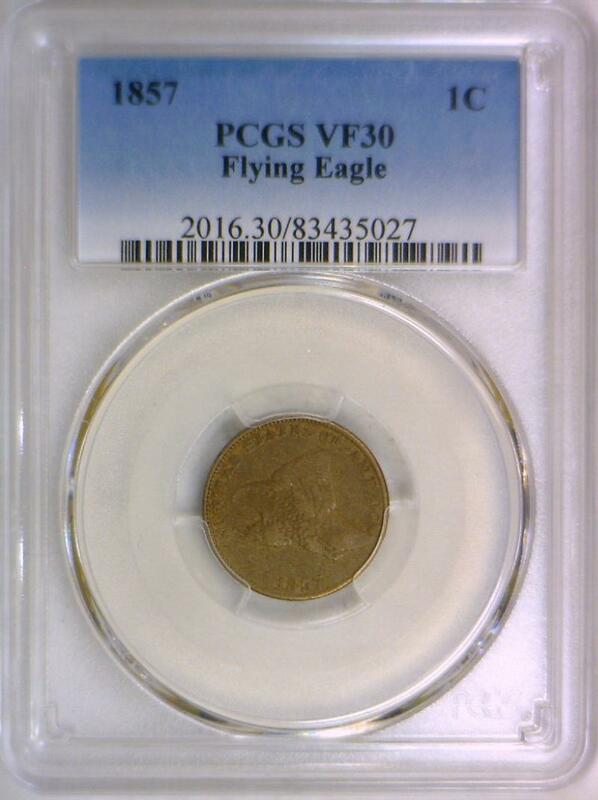 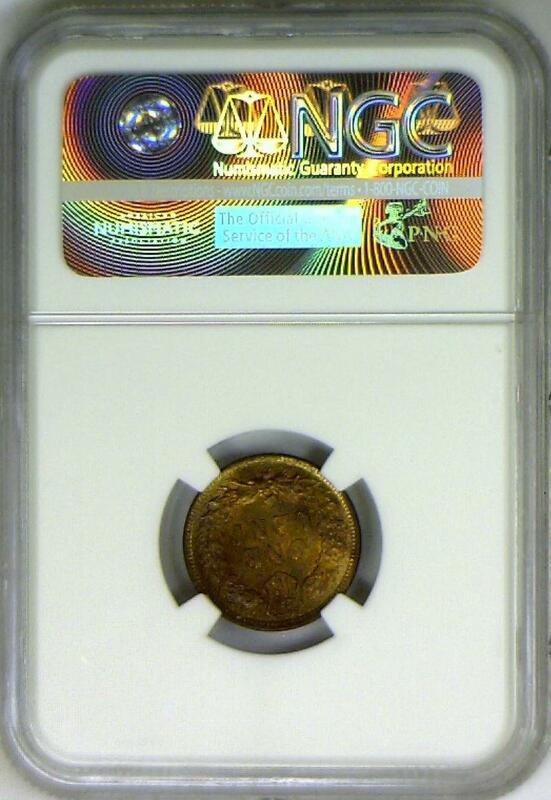 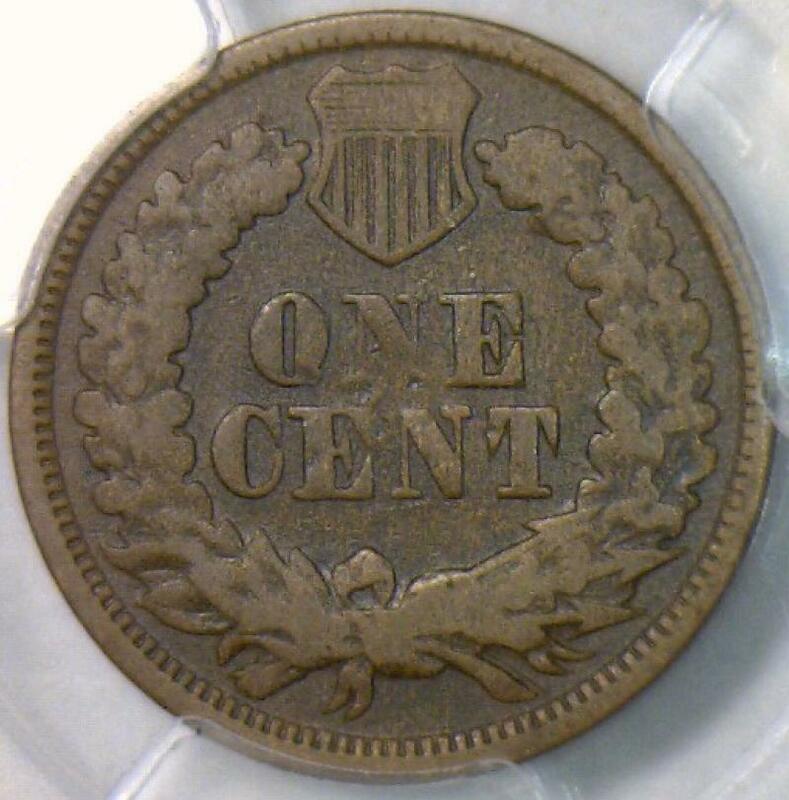 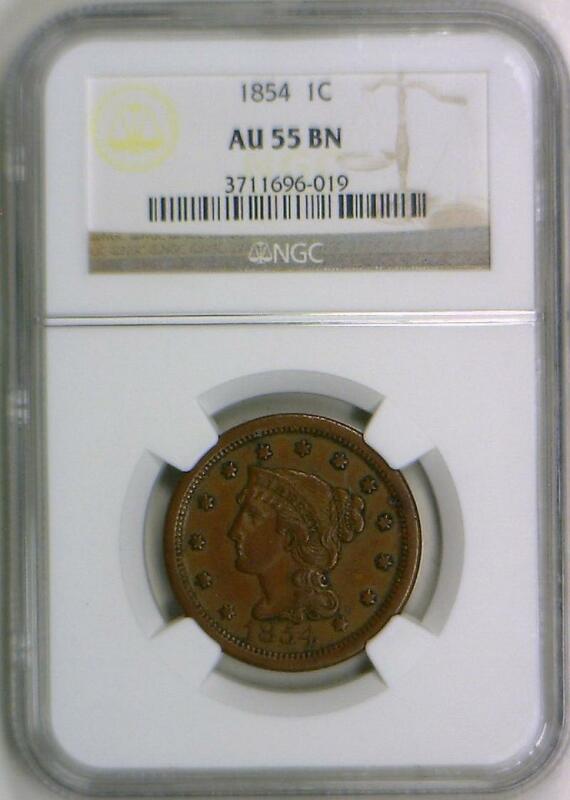 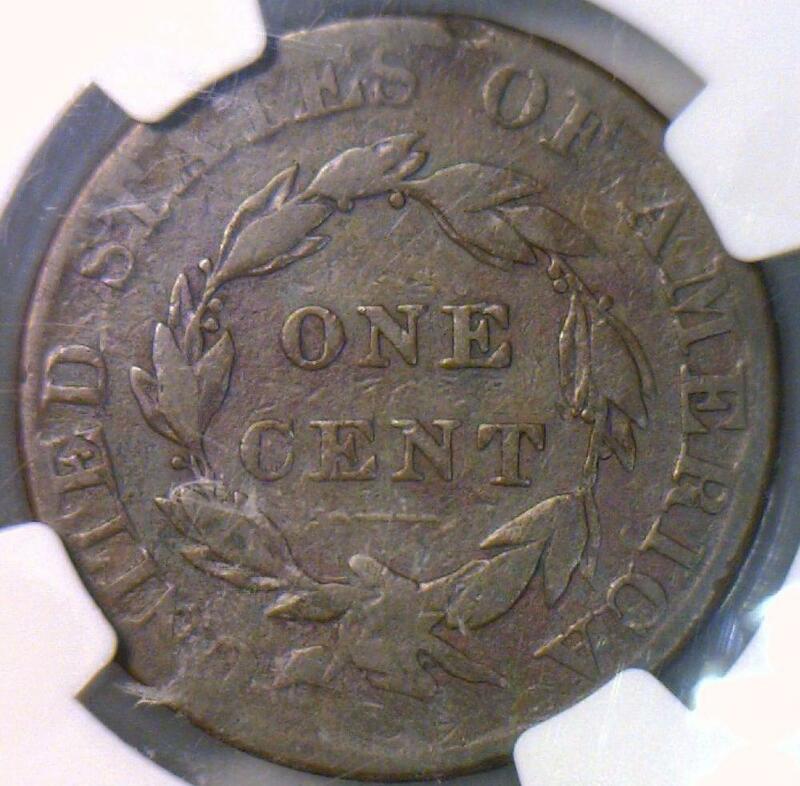 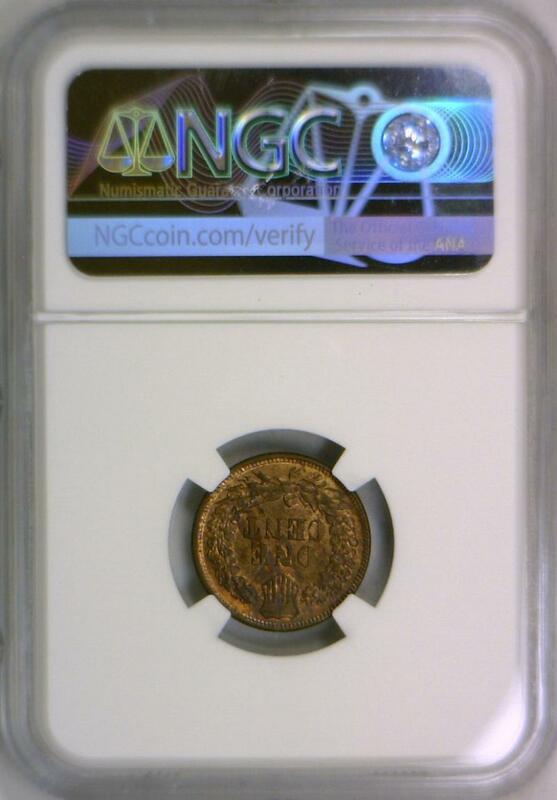 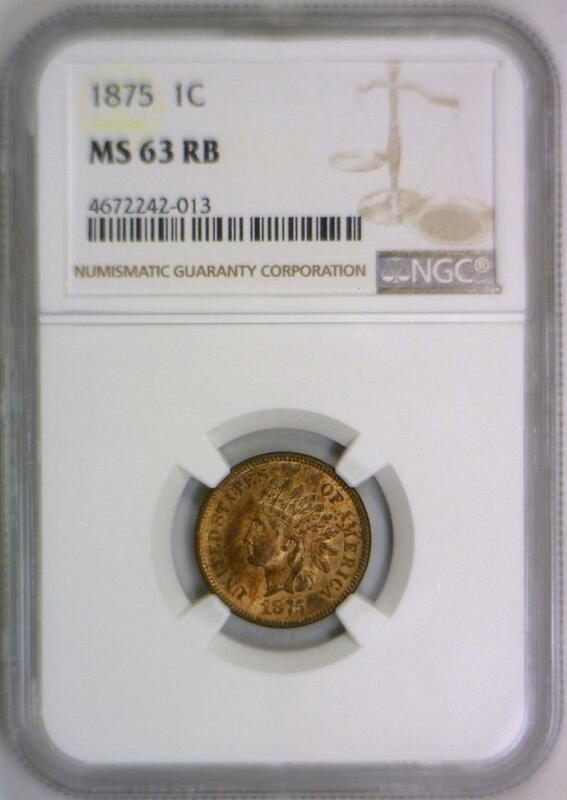 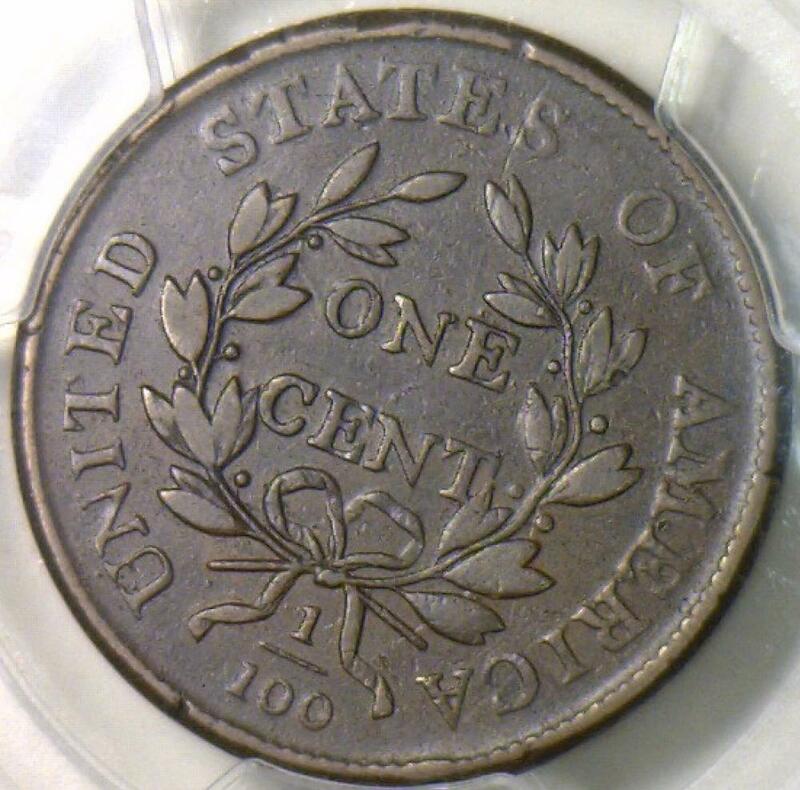 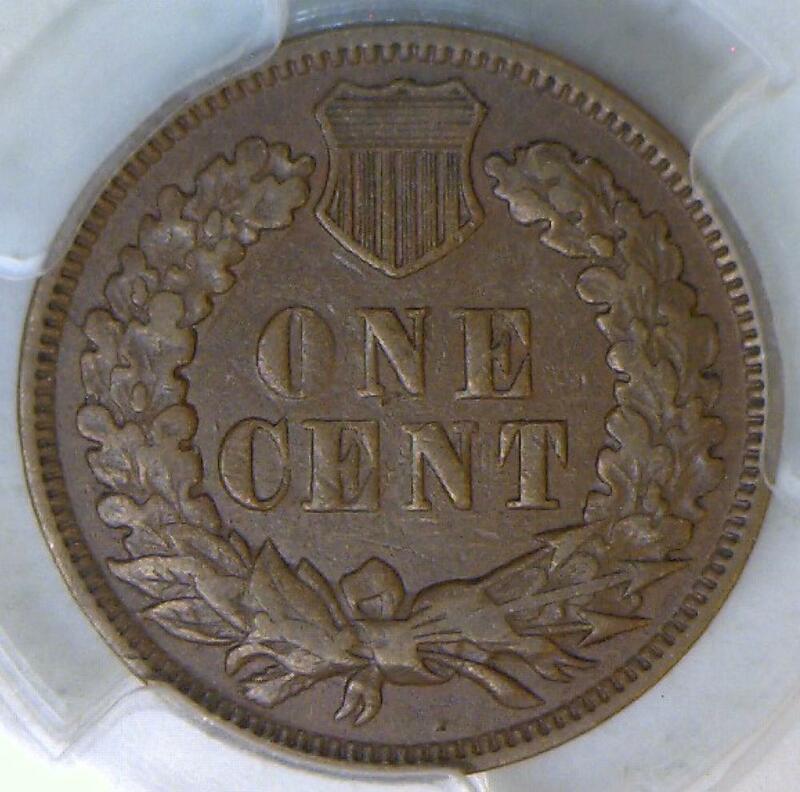 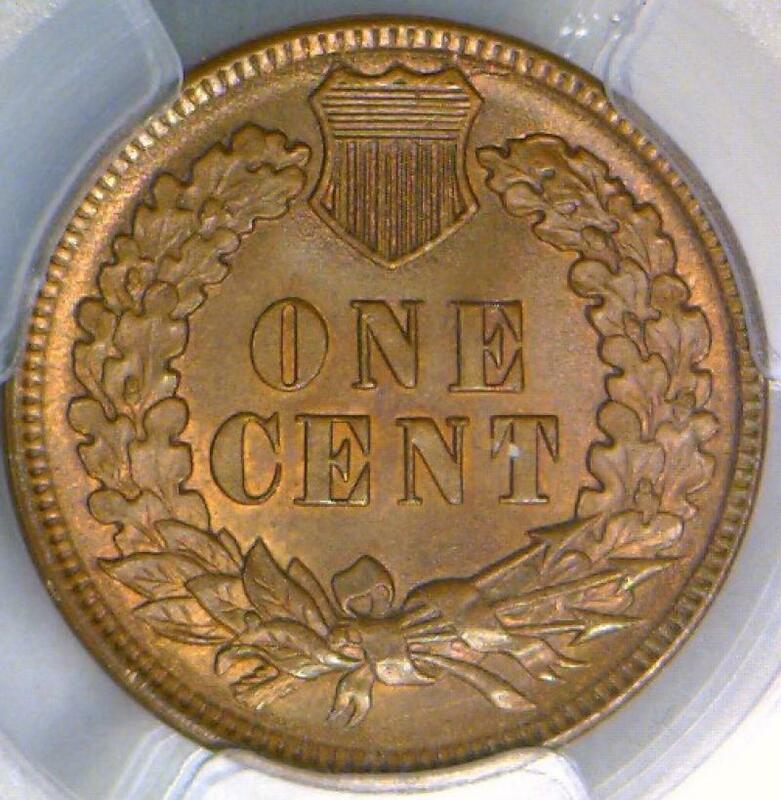 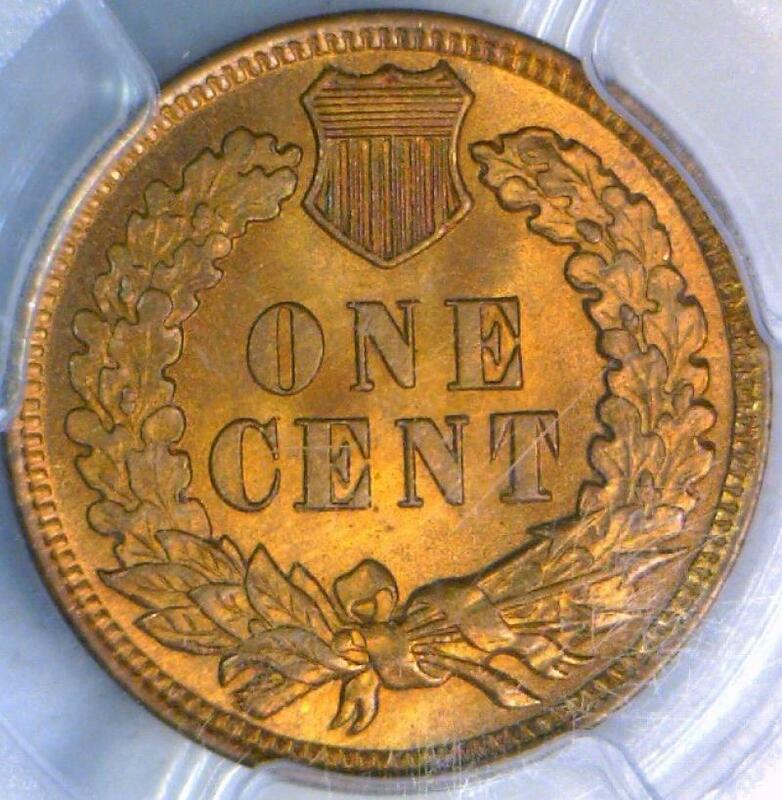 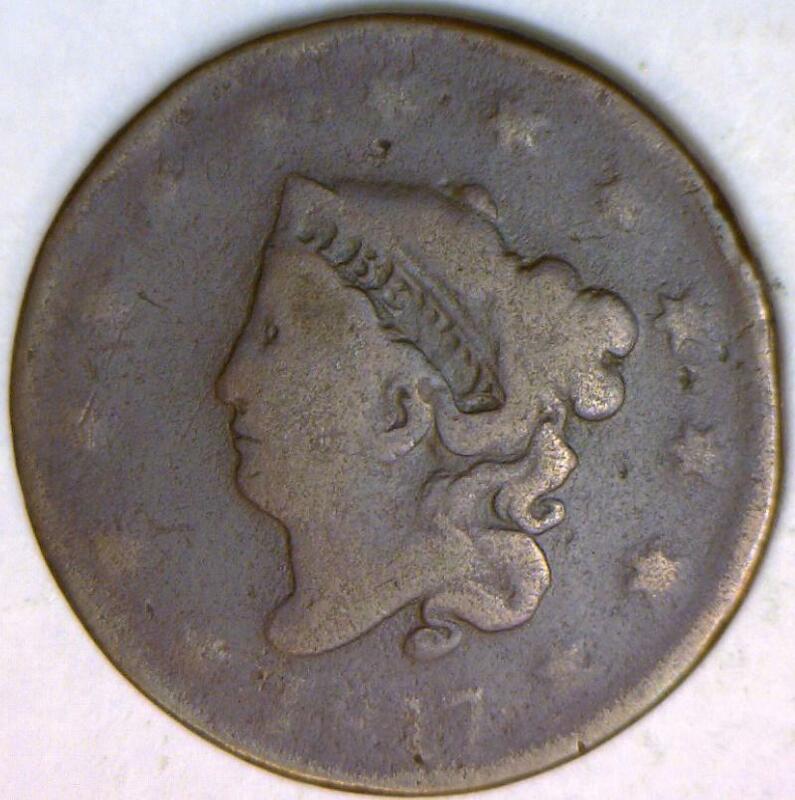 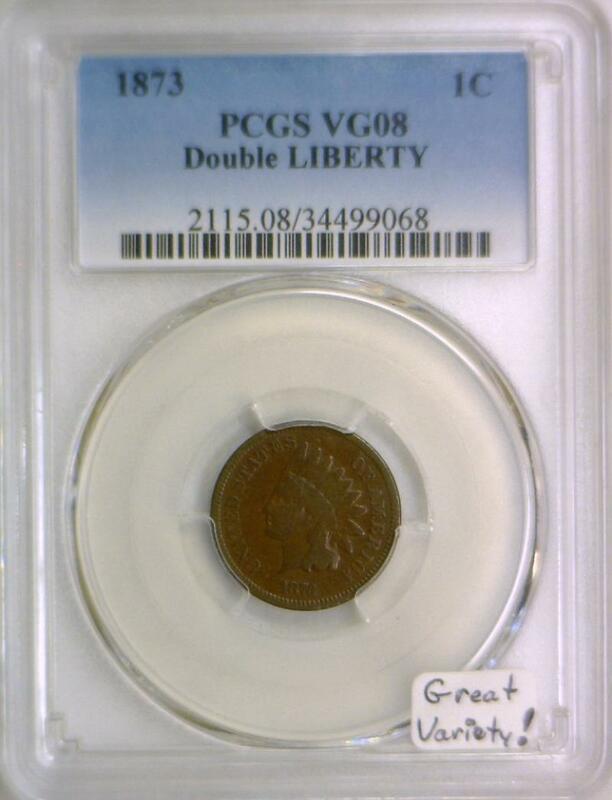 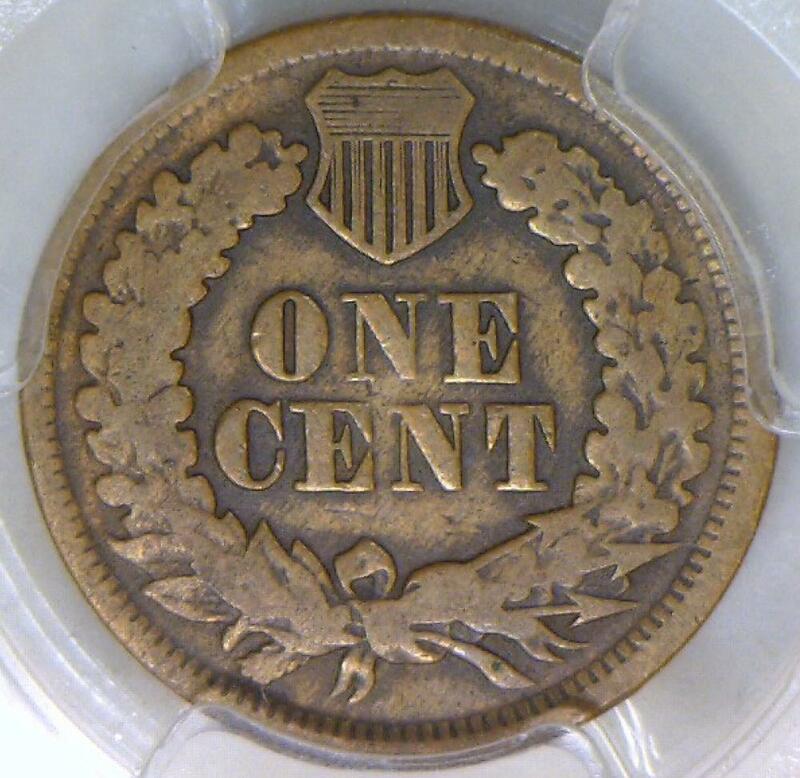 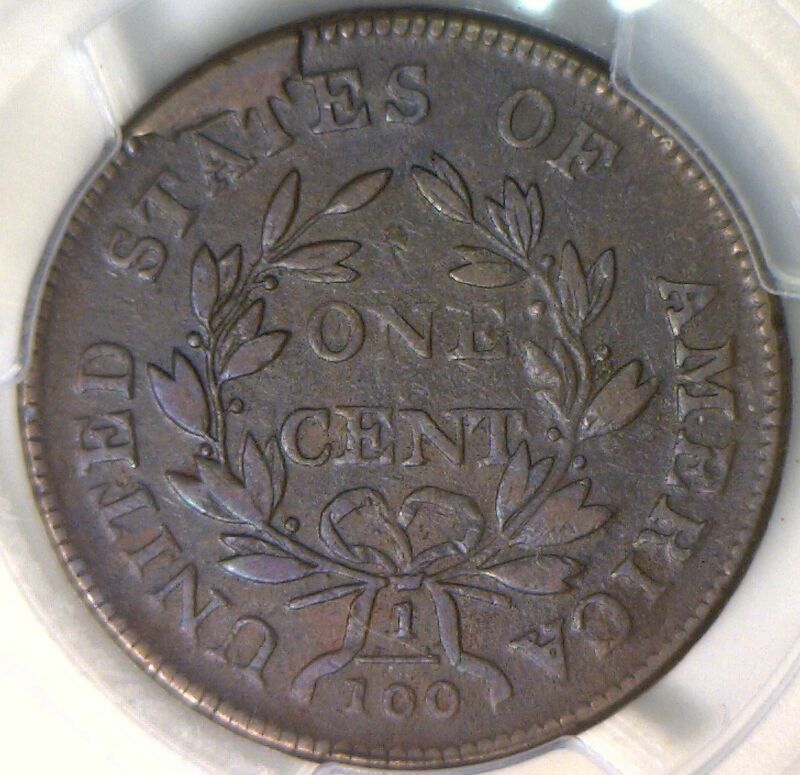 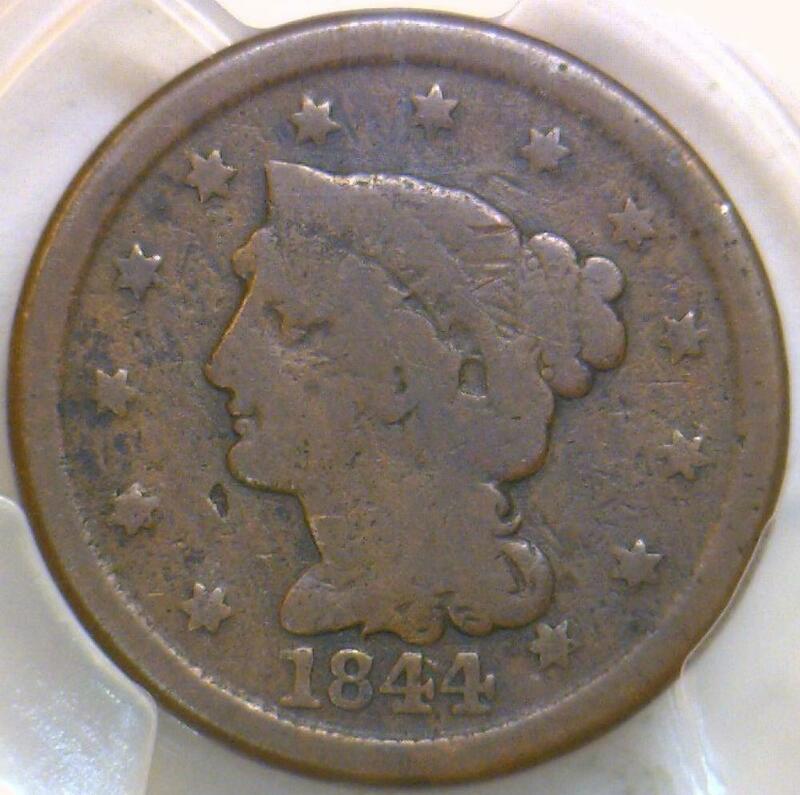 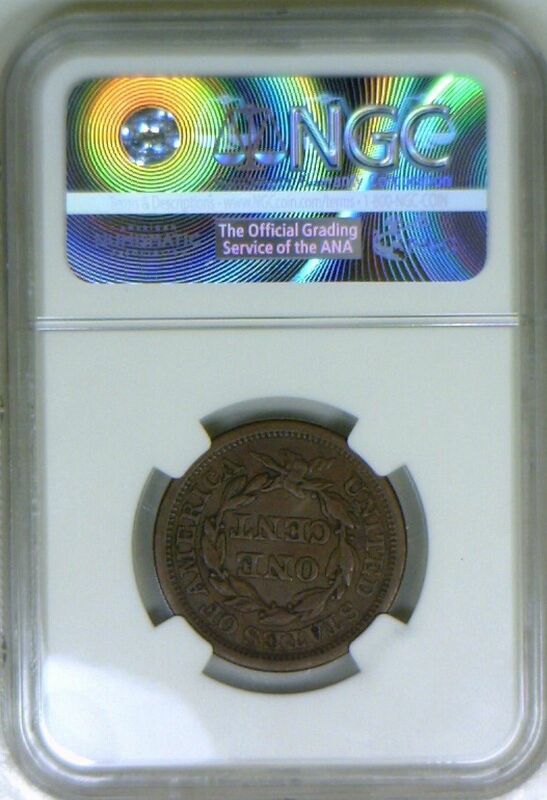 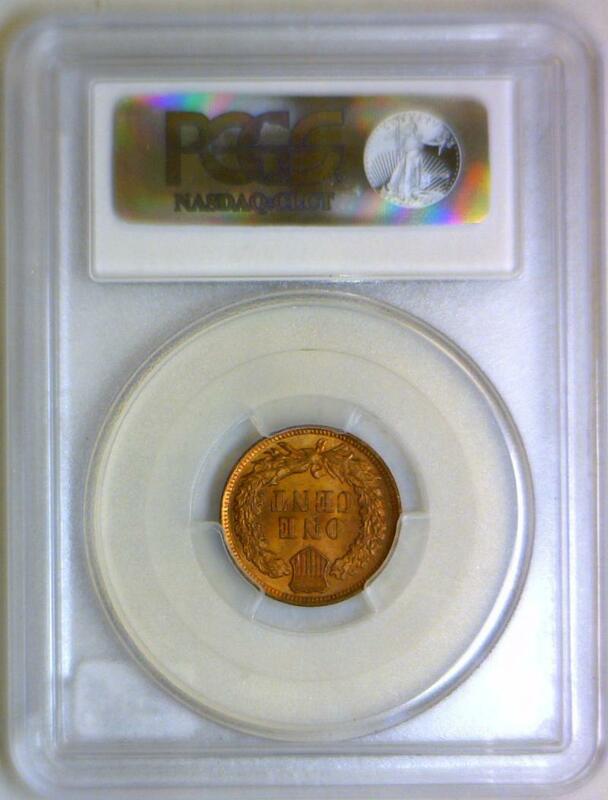 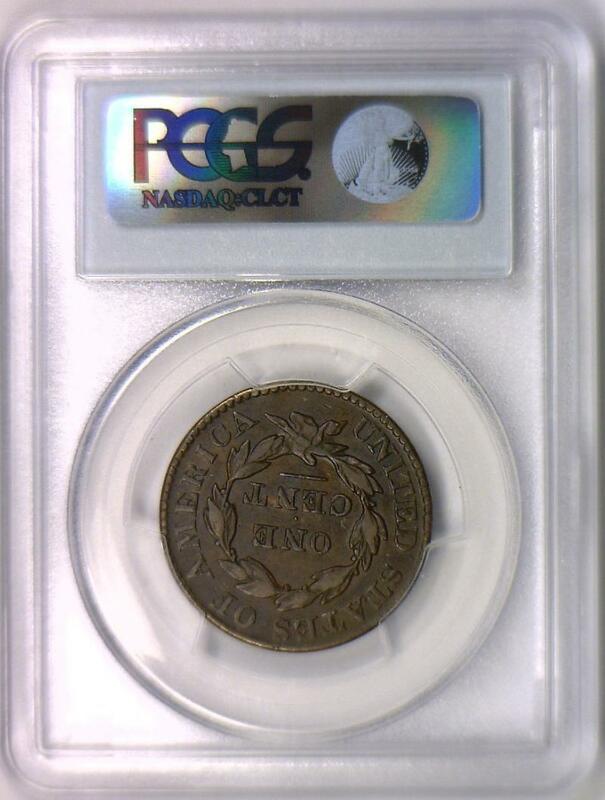 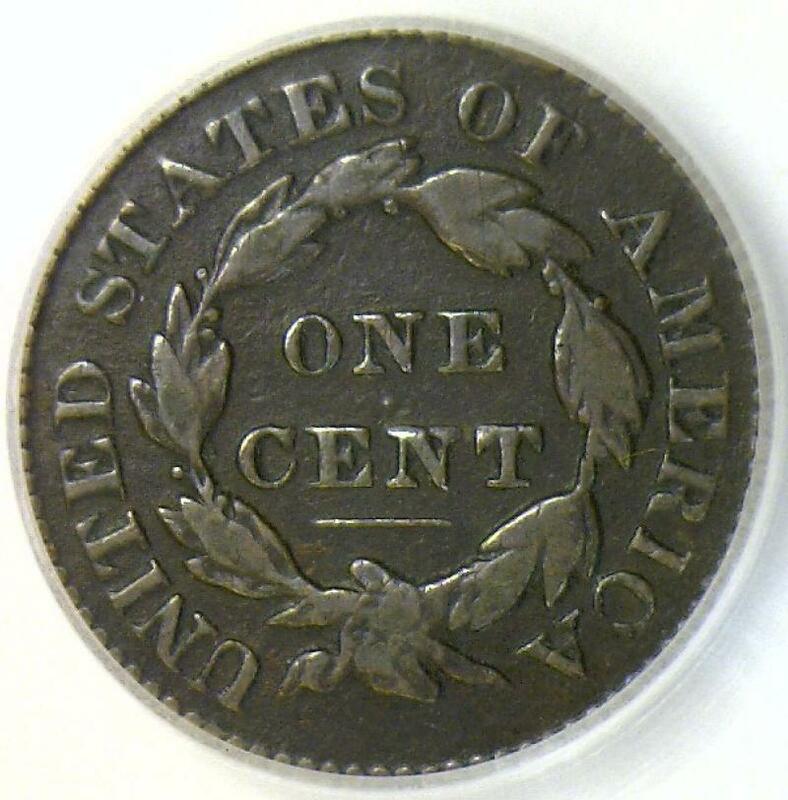 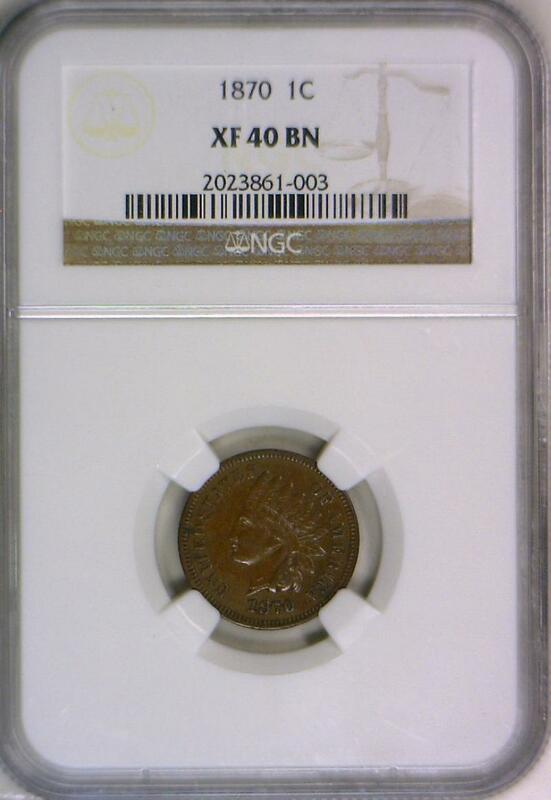 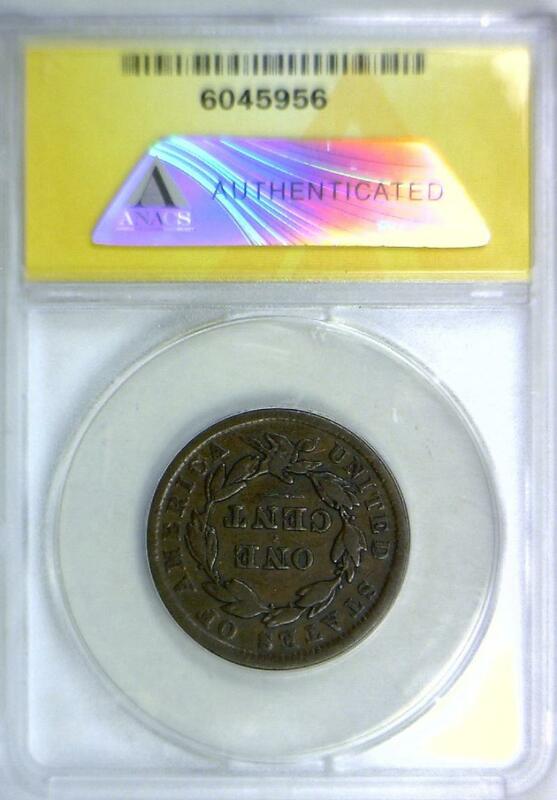 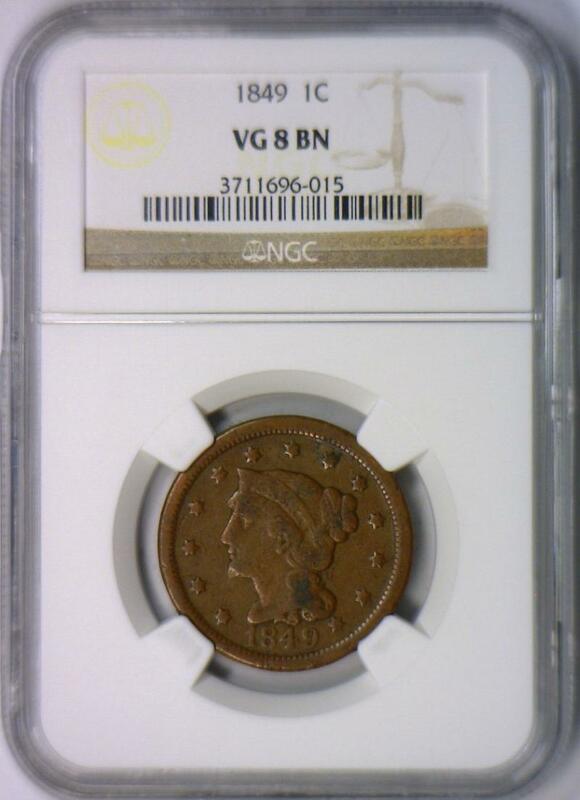 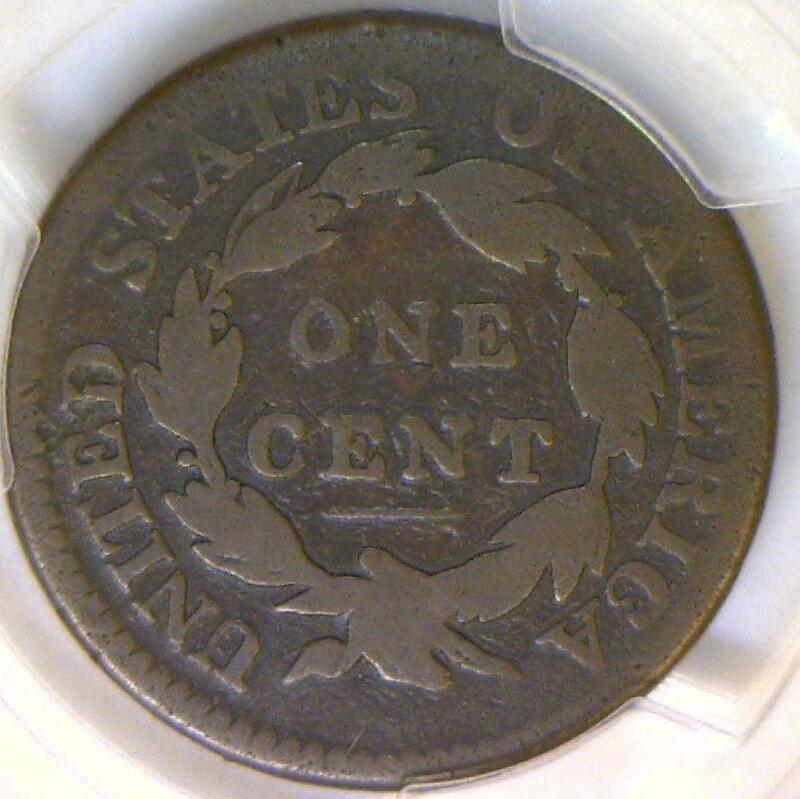 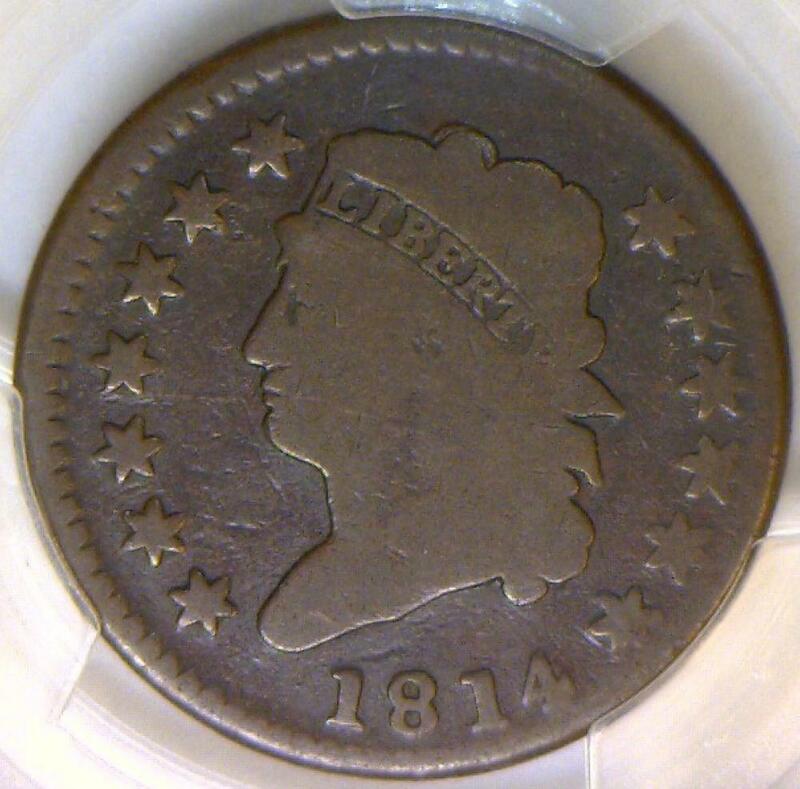 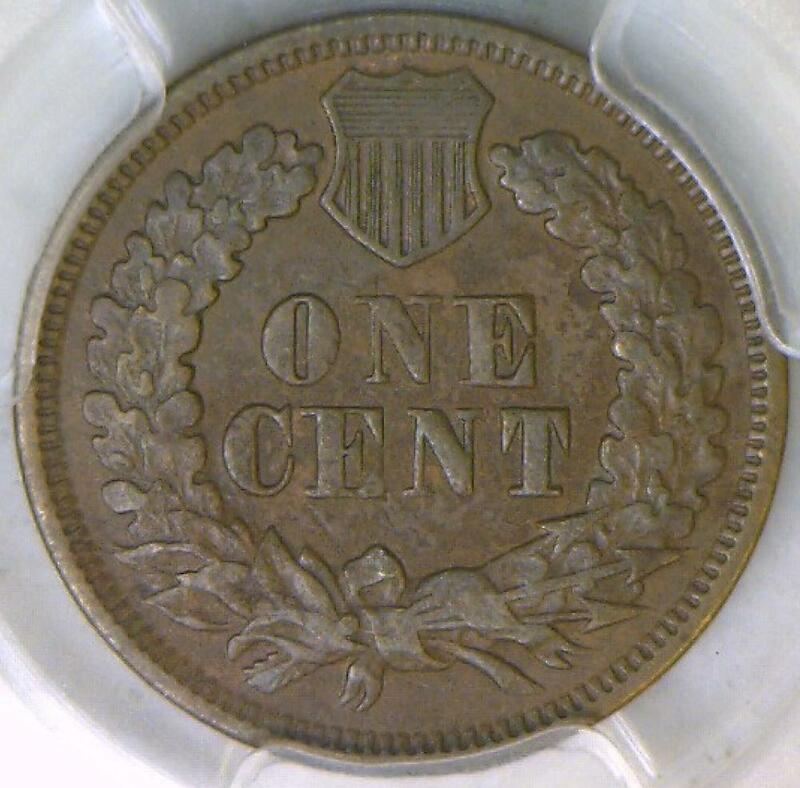 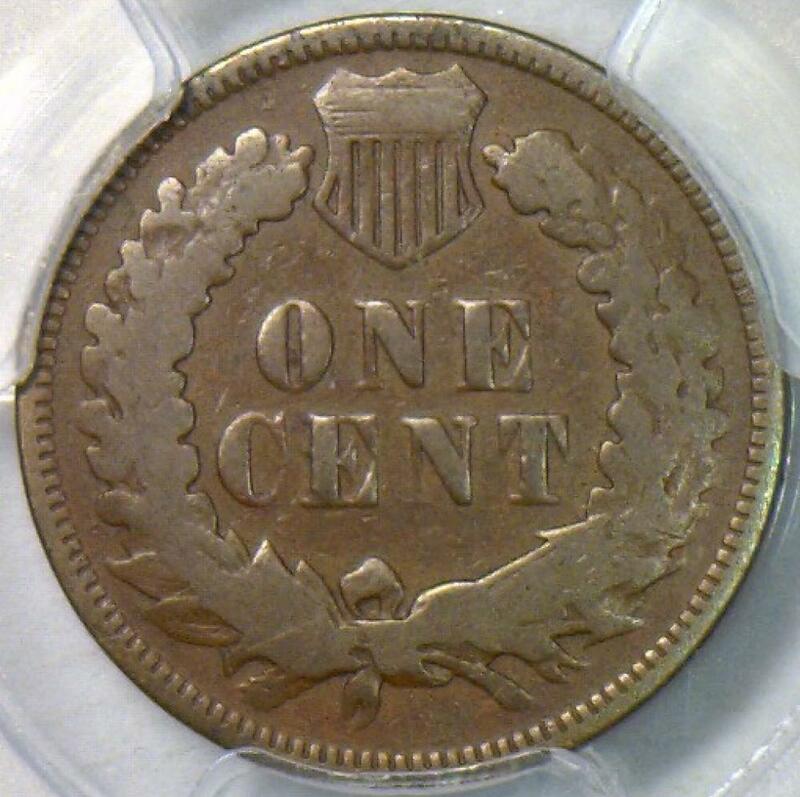 1845 Large Cent NGC VF-30; N-3 Variety, R-4. 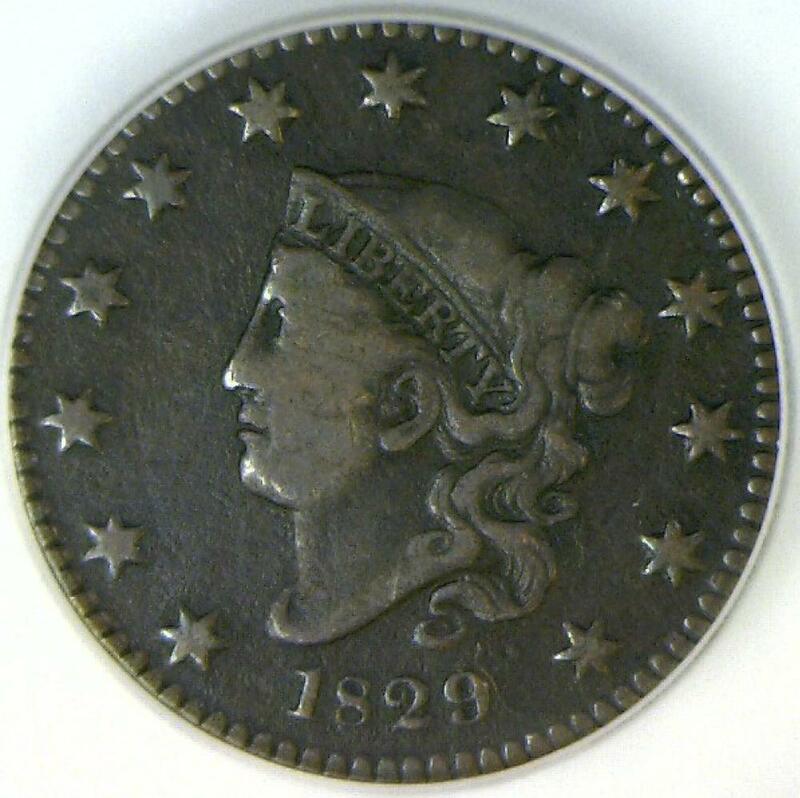 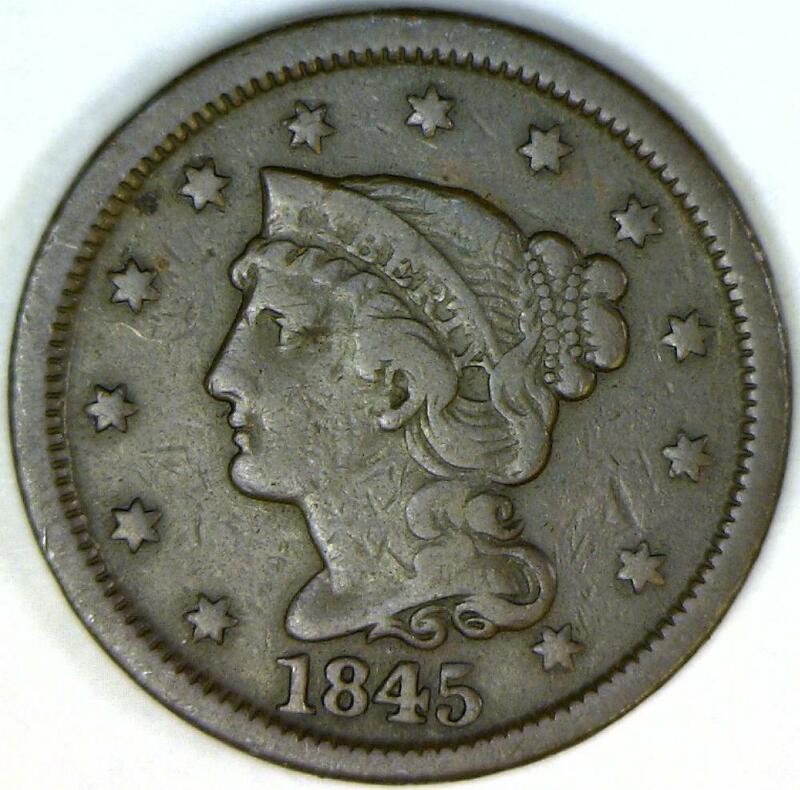 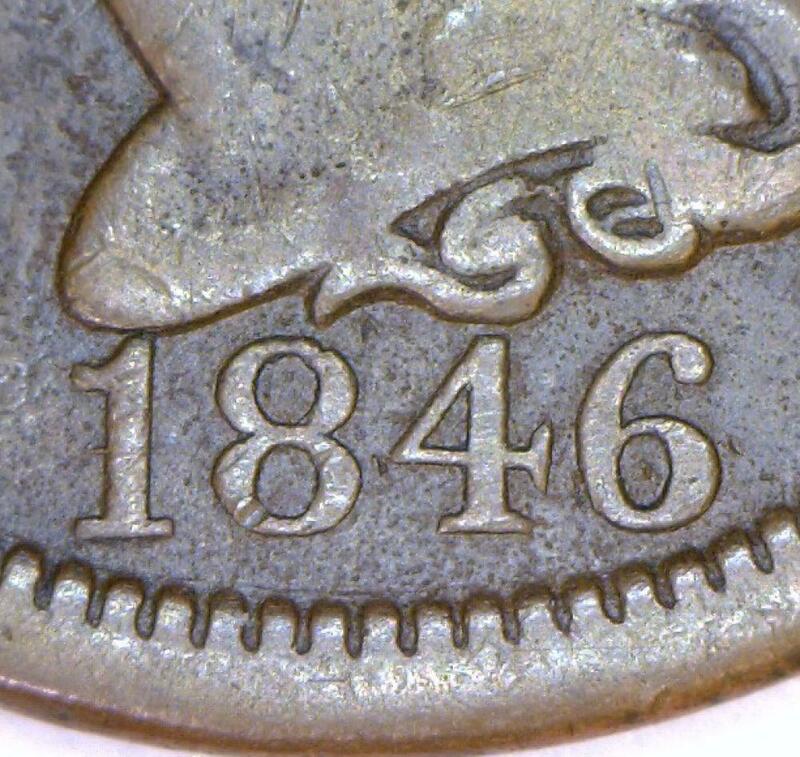 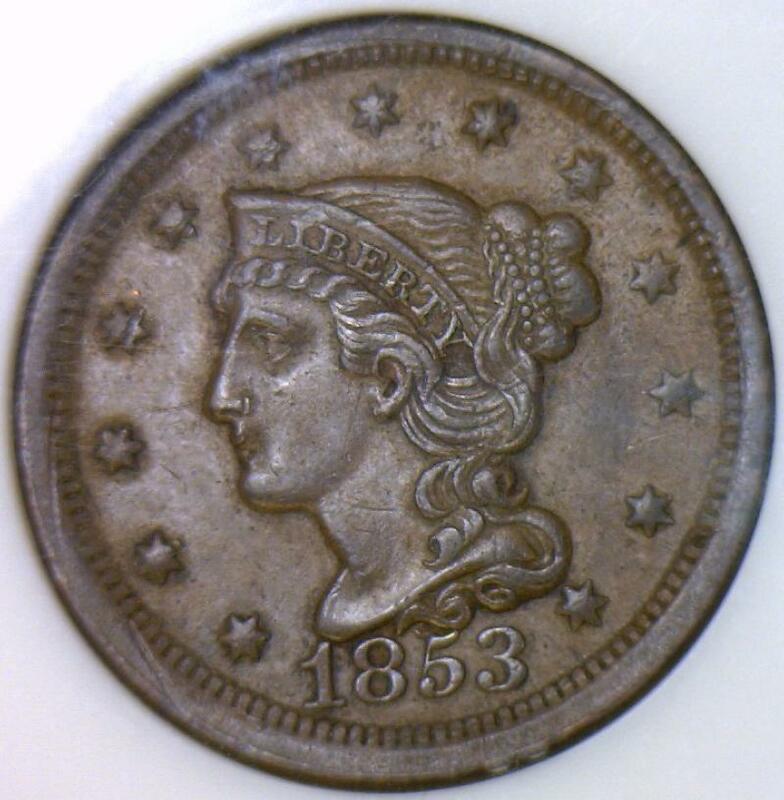 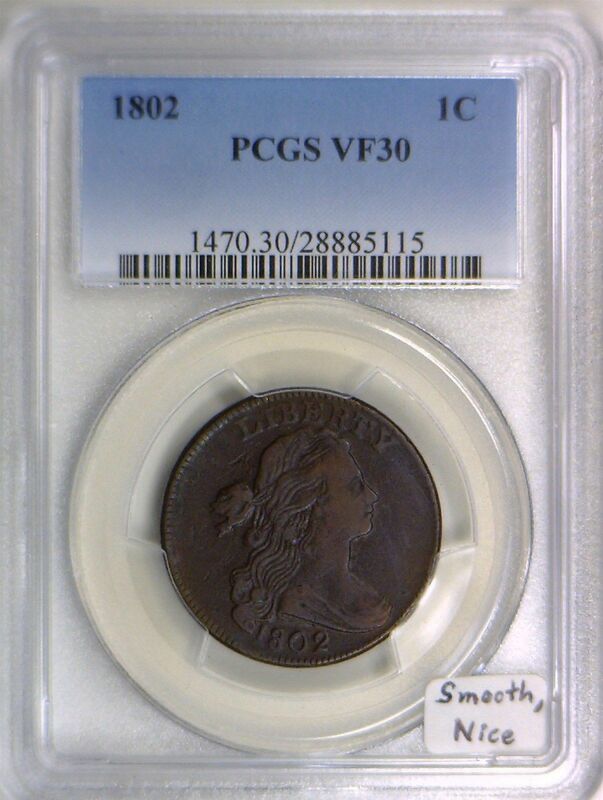 1842 Small Date Braided Hair Large Cent PCGS MS-62 BN; Nice Luster! 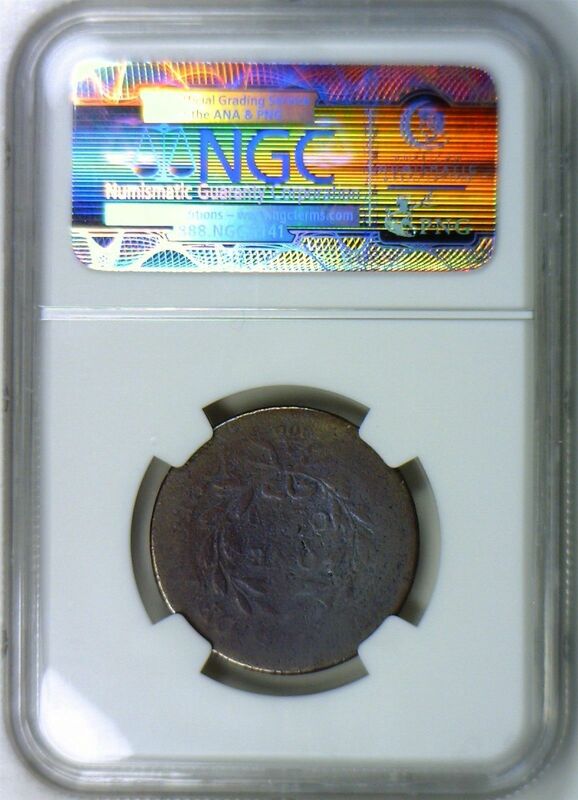 1853 Large Cent NGC AU-55; N-15 R.P.D. 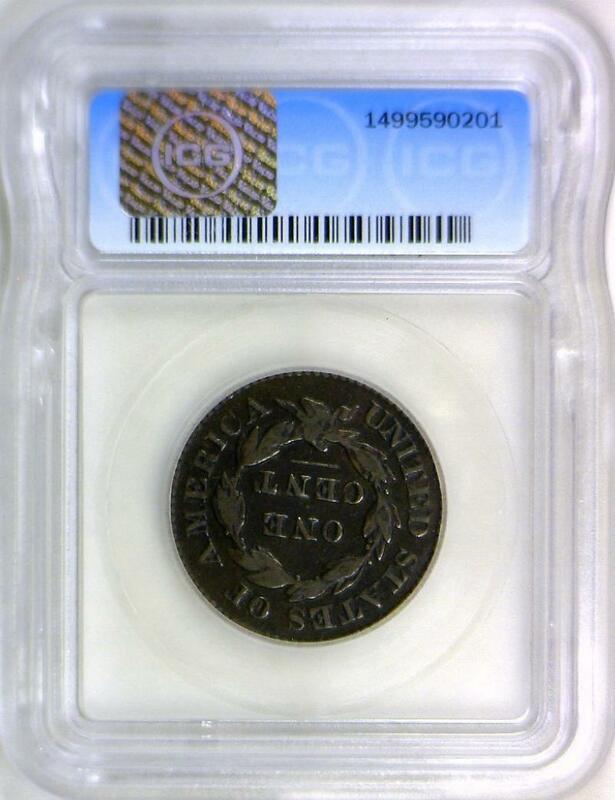 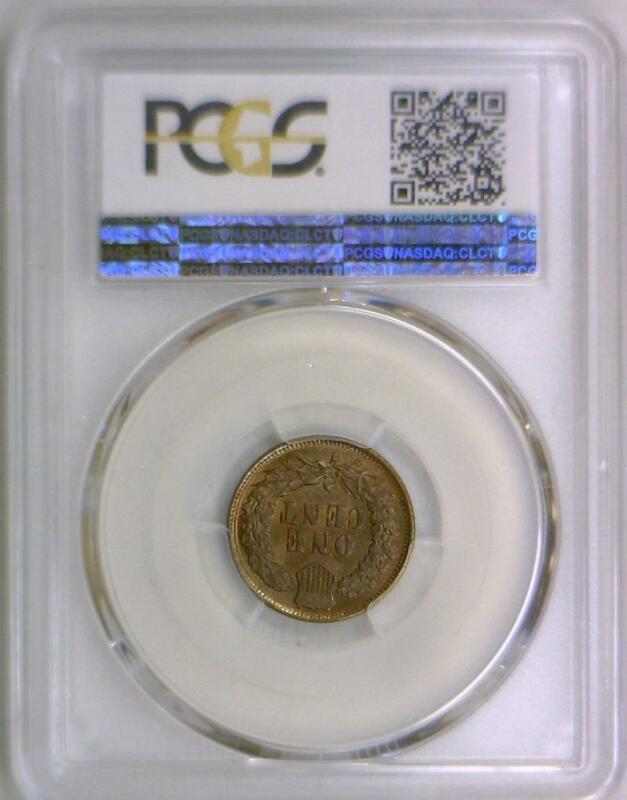 1853 Large Cent PCGS AU-55; Nice Frosty Luster! 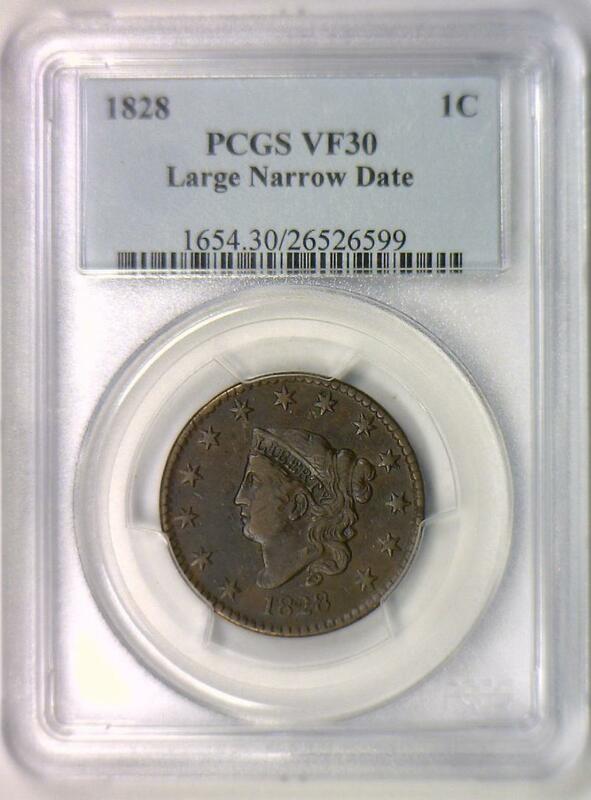 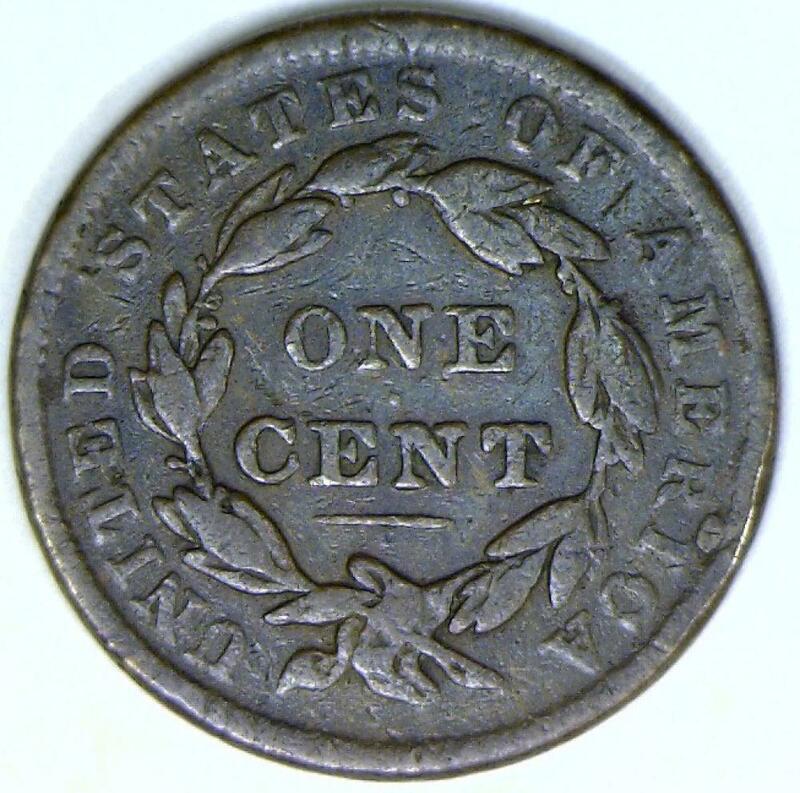 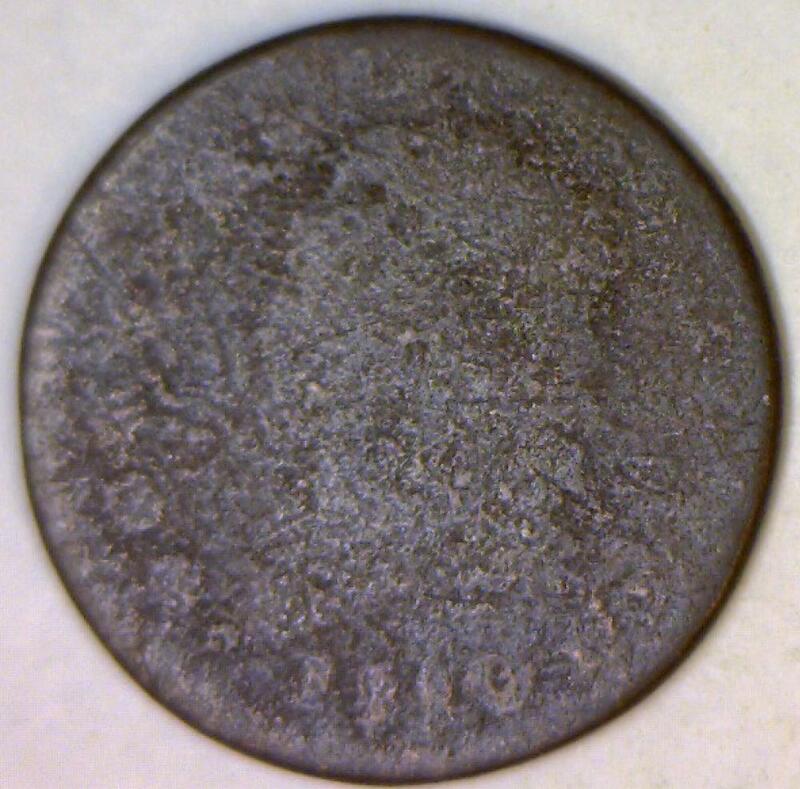 1820 Large Date Large Cent PCGS AU-55; N-11, Low C.C. 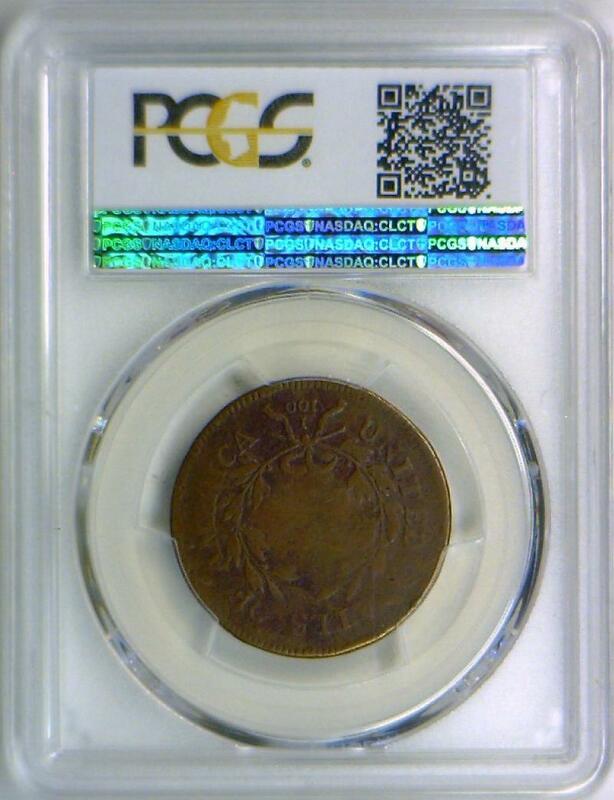 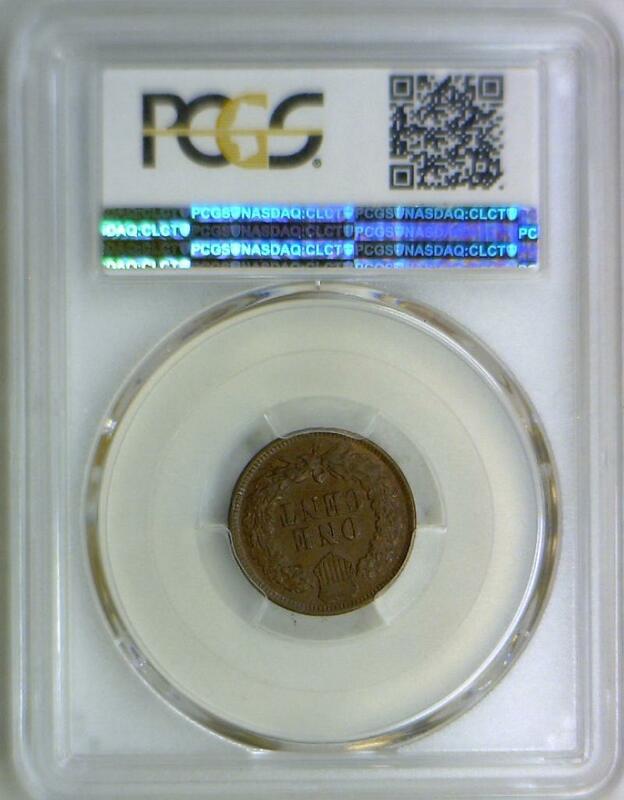 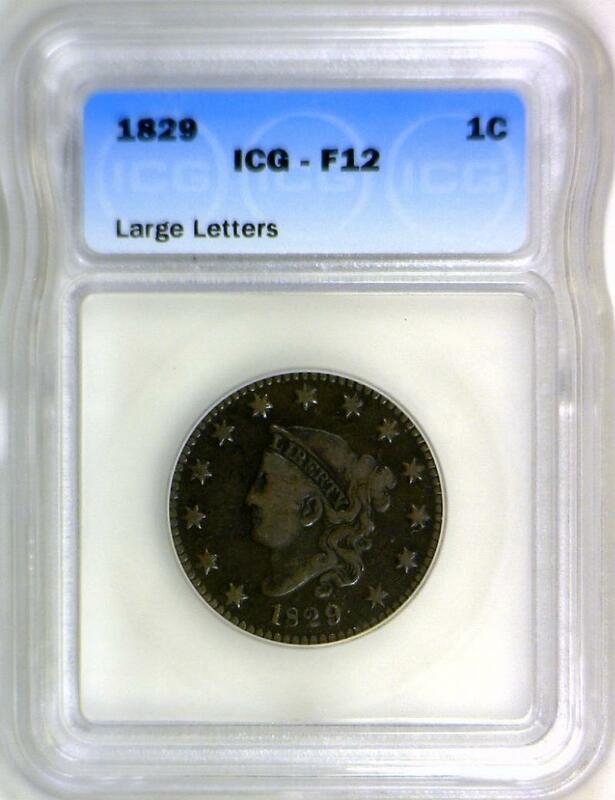 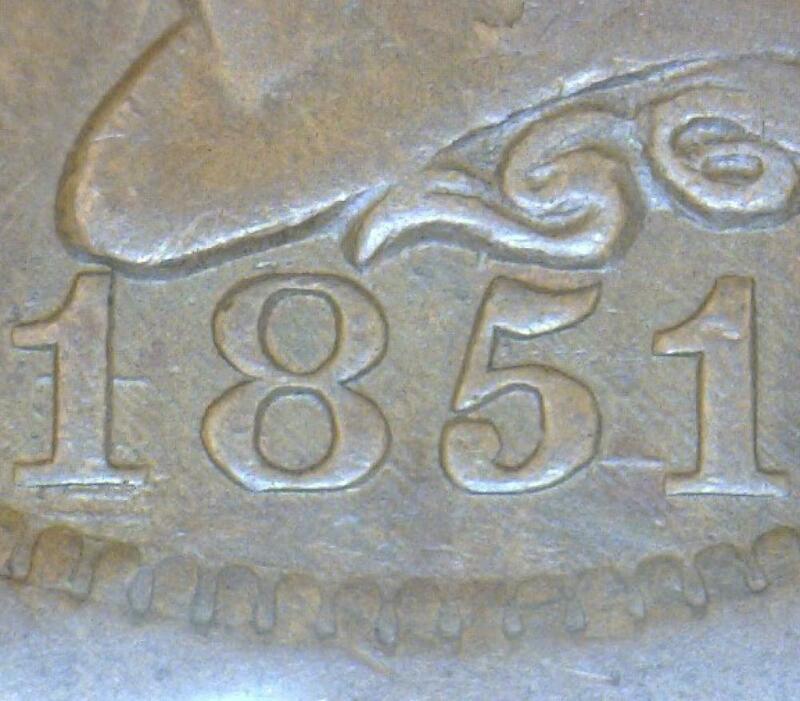 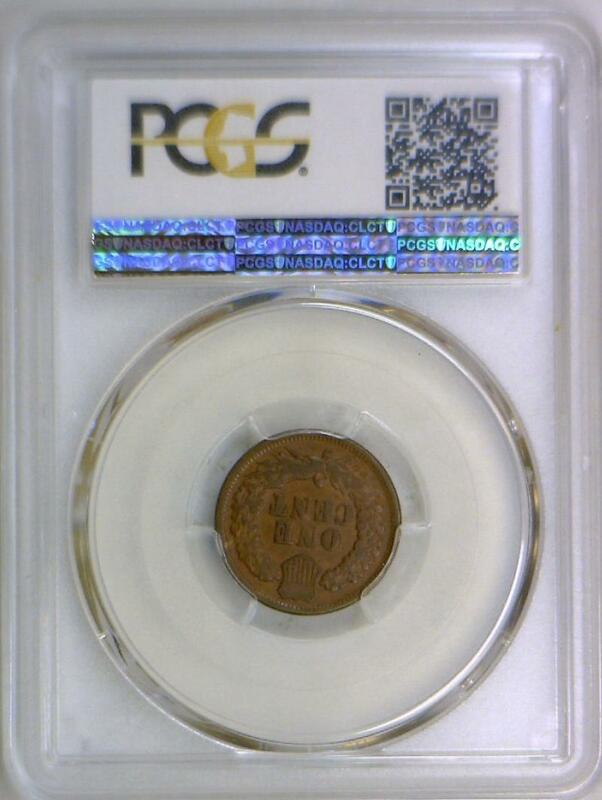 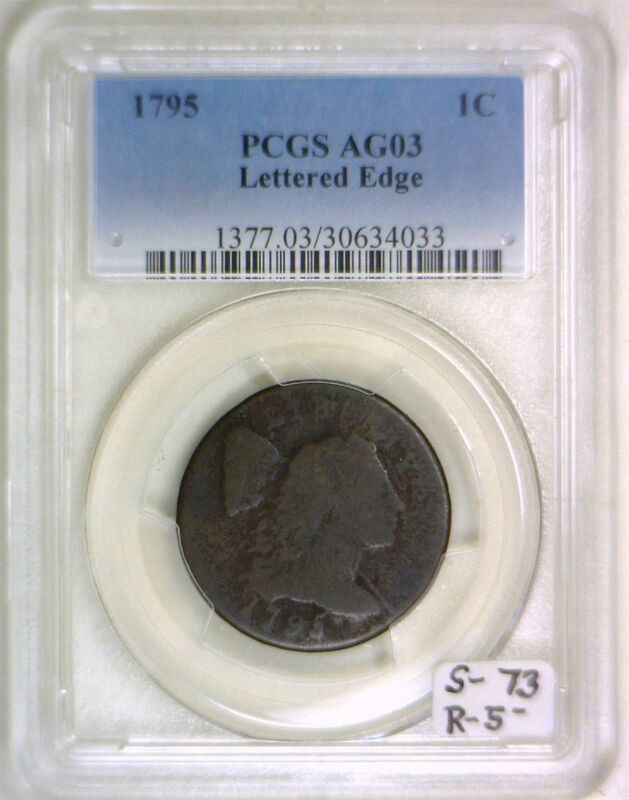 1831 Medium Letters Large Cent PCGS MS-62 BN; Premium Quality! 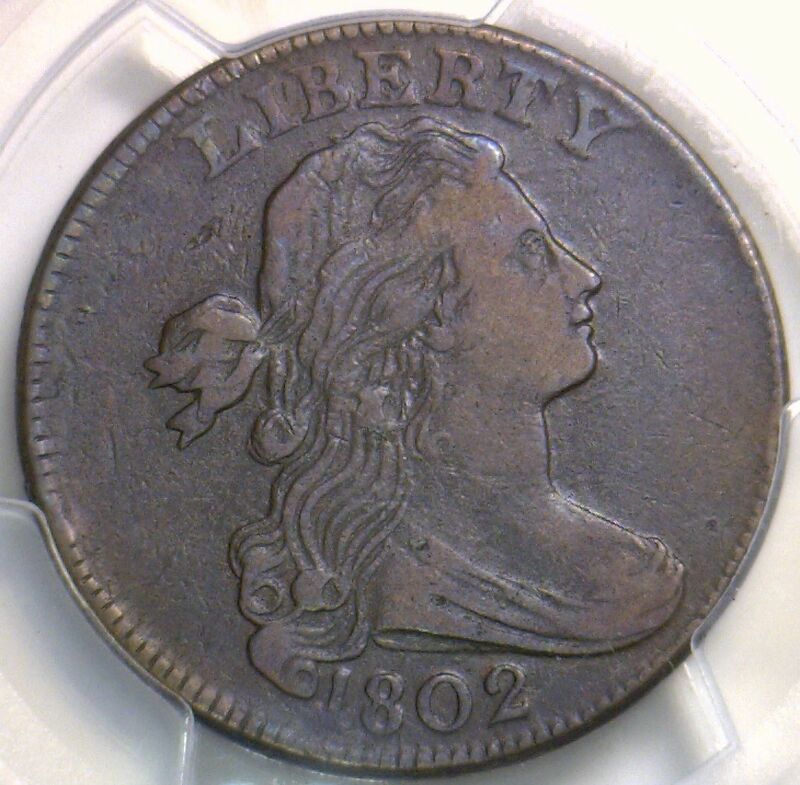 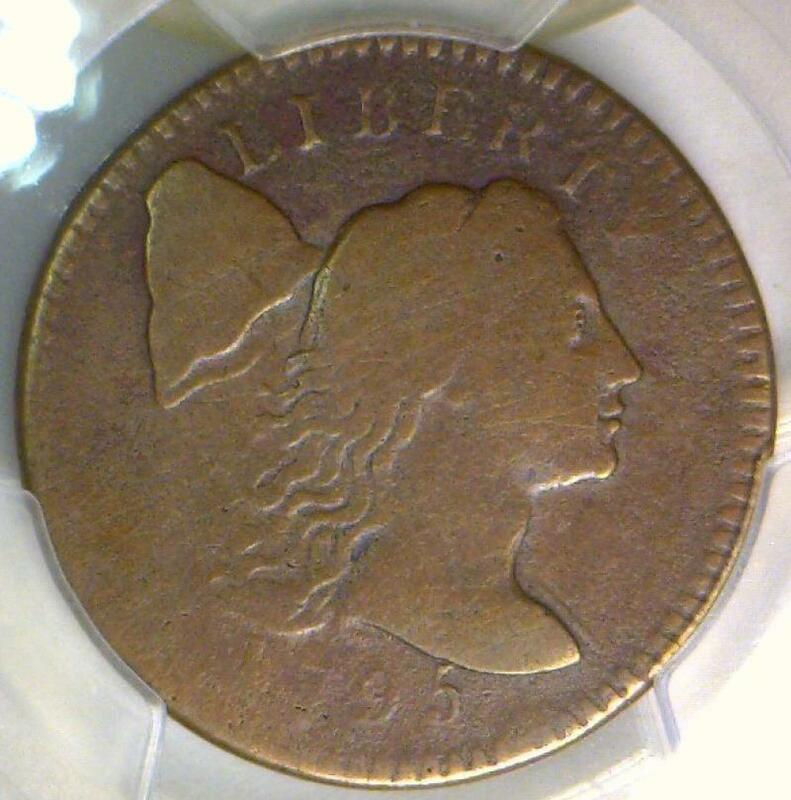 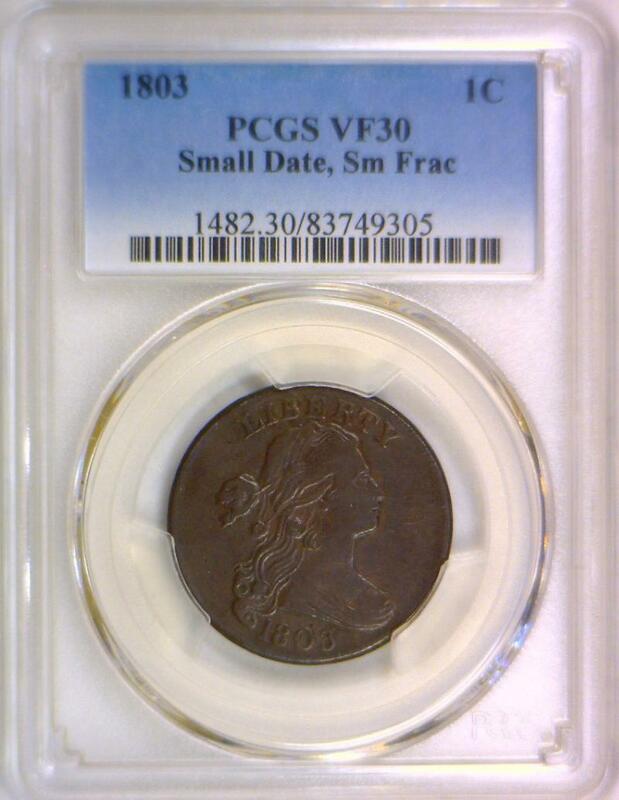 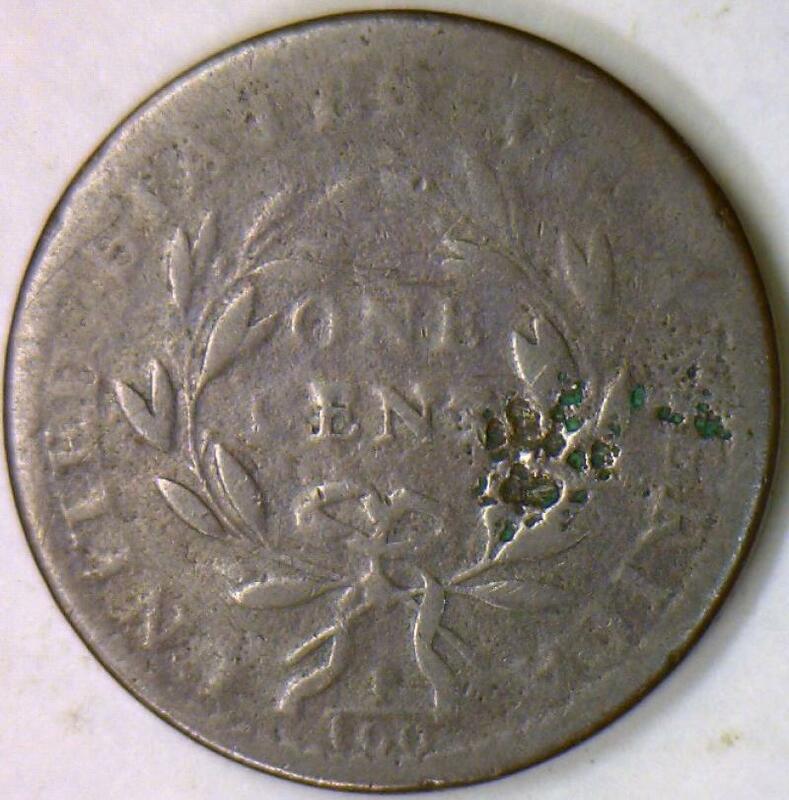 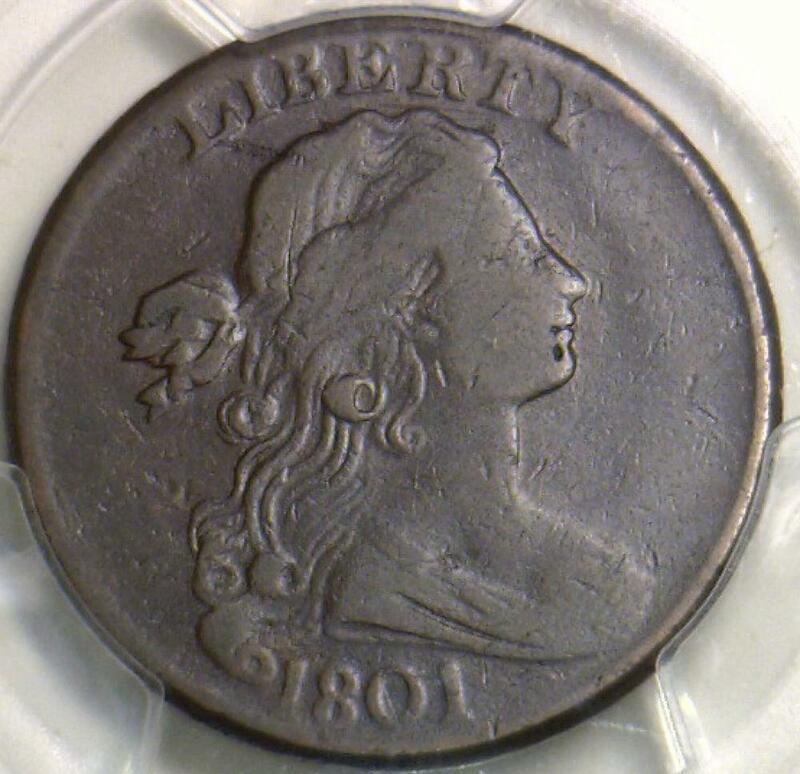 1797 Large Cent PCGS VF-30; Rev. 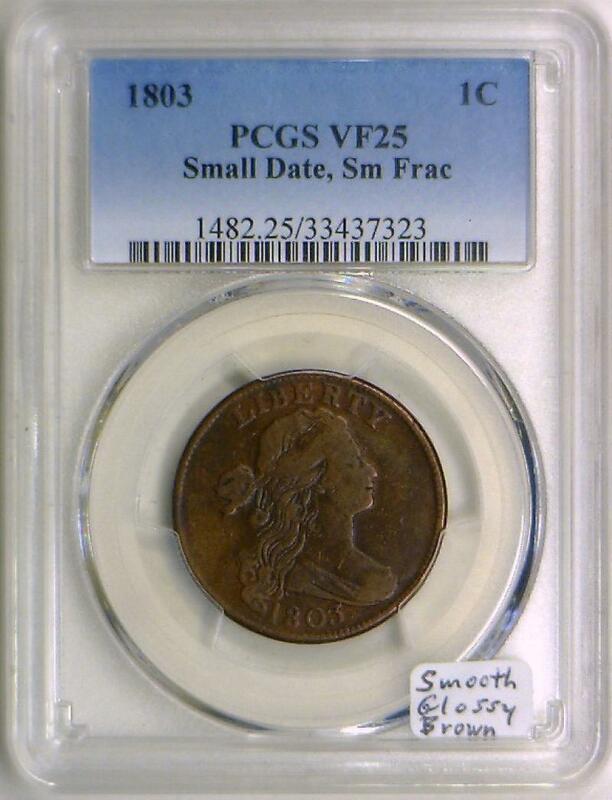 of 1797,Stems; Smooth And Attractive! 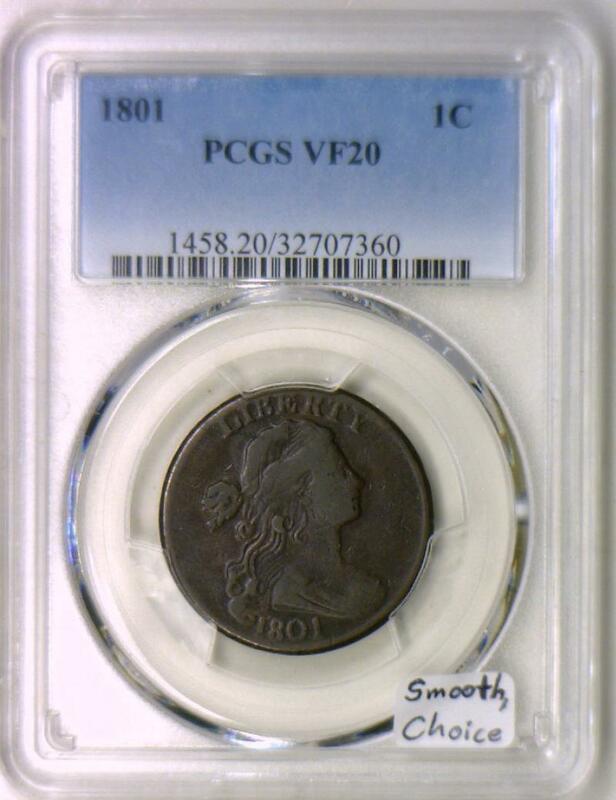 1801 Large Cent PCGS VF-25; 1/000; Smooth And Nice! 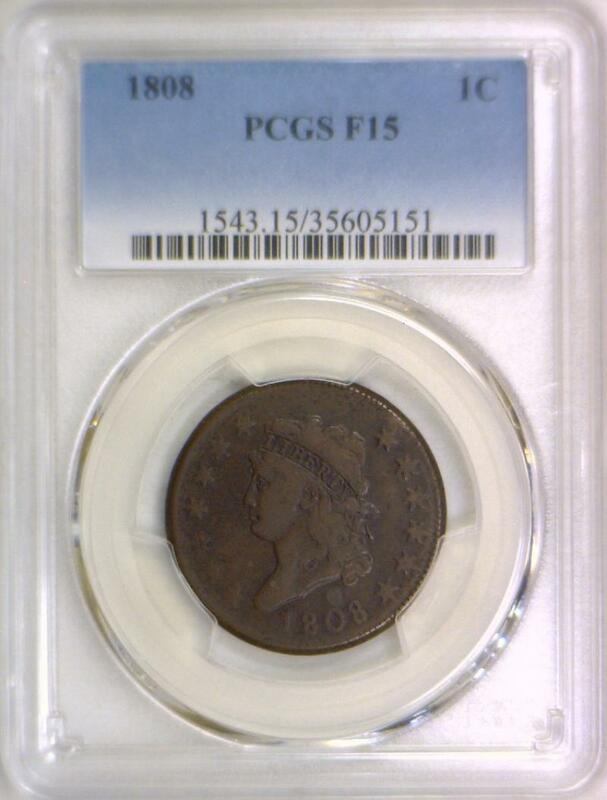 1804 Draped Bust Large Cent; PCGS Certified F Details; Decent Coin! 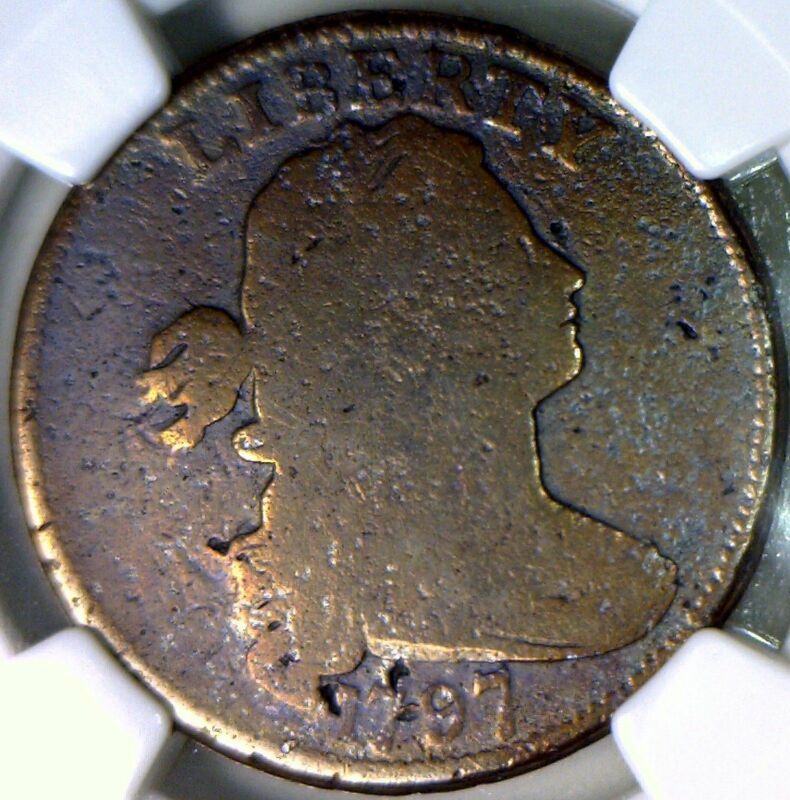 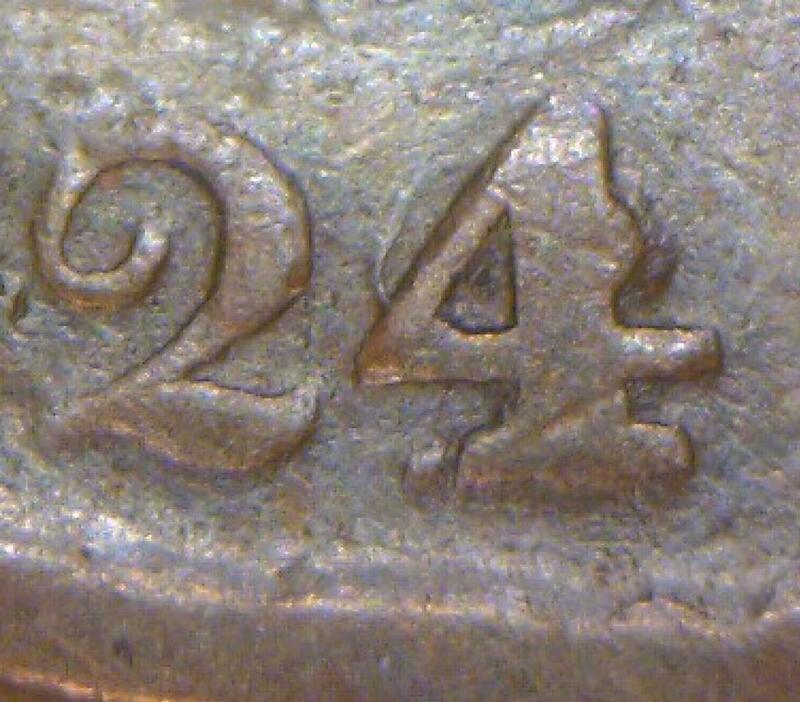 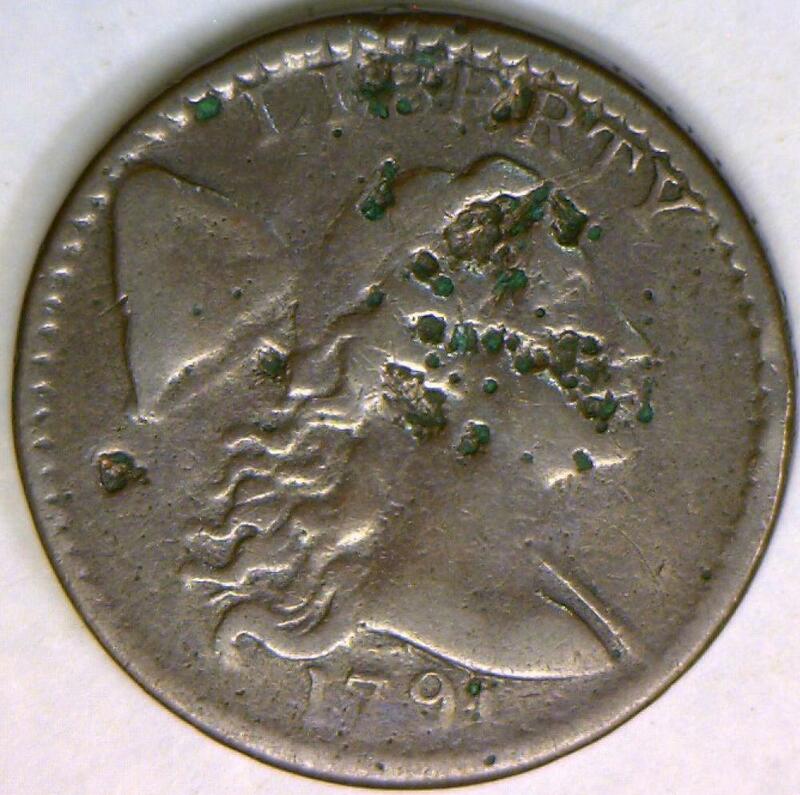 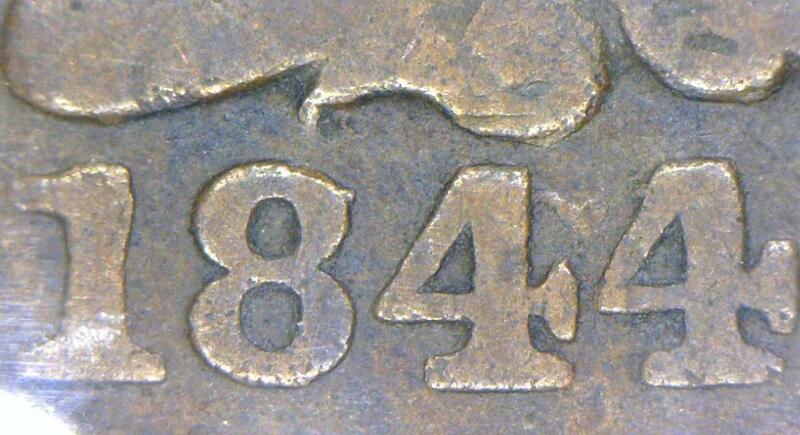 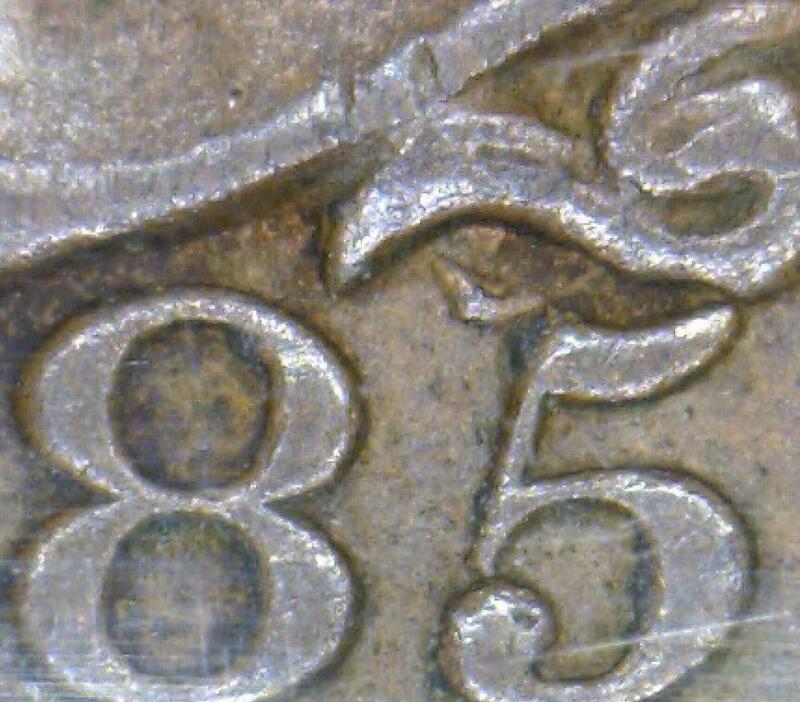 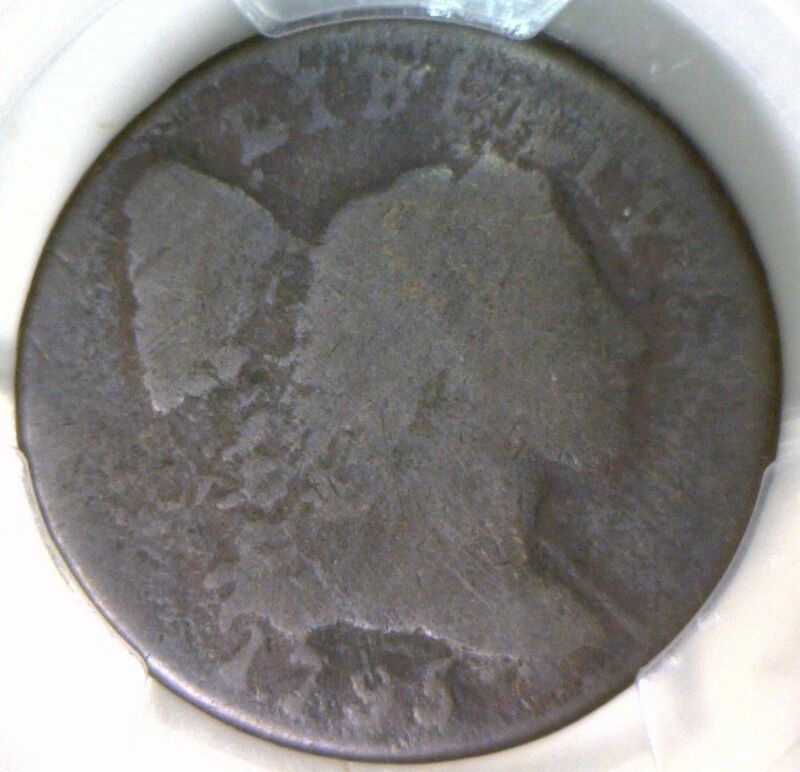 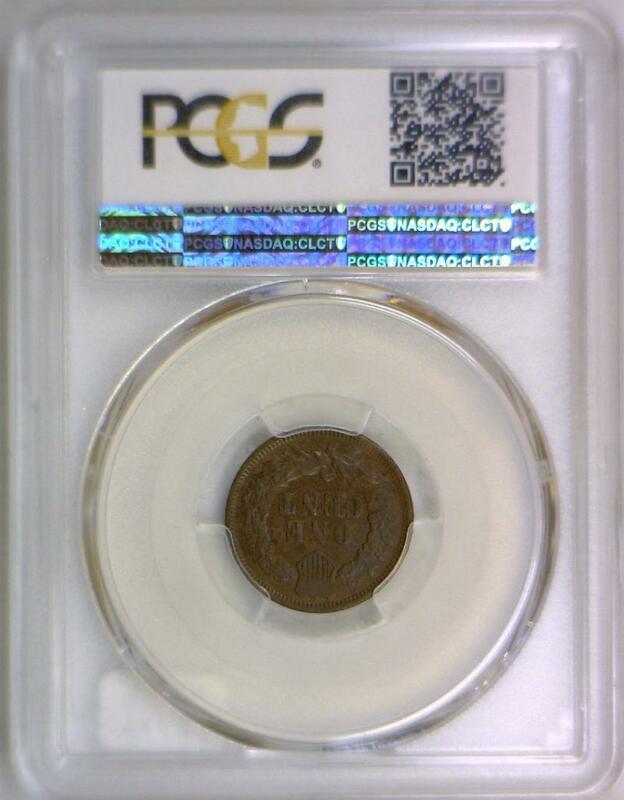 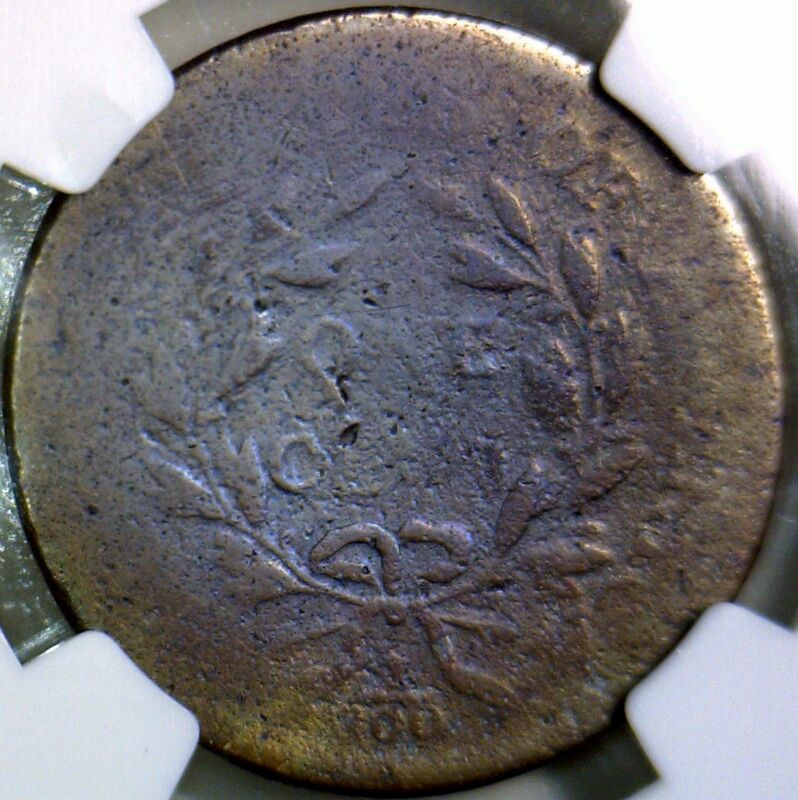 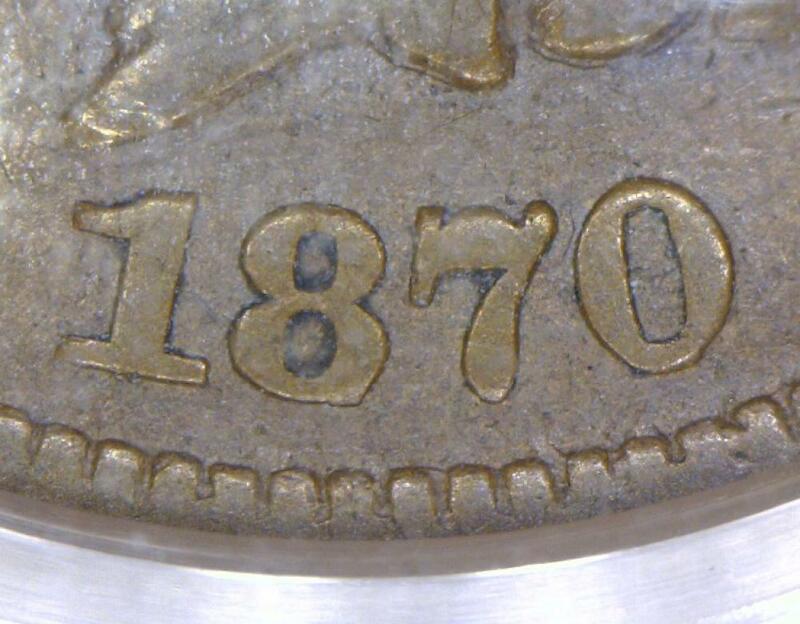 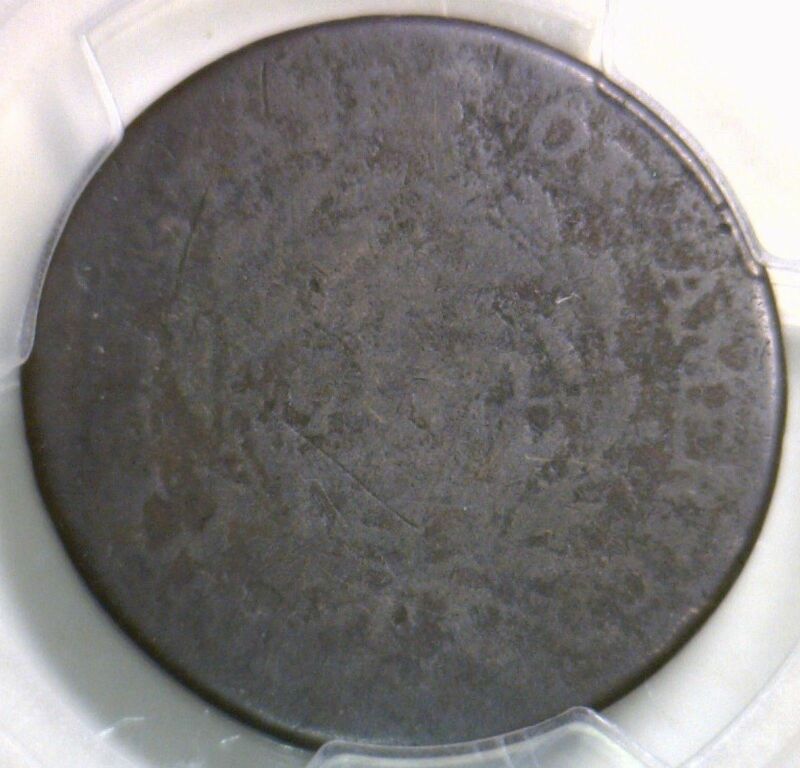 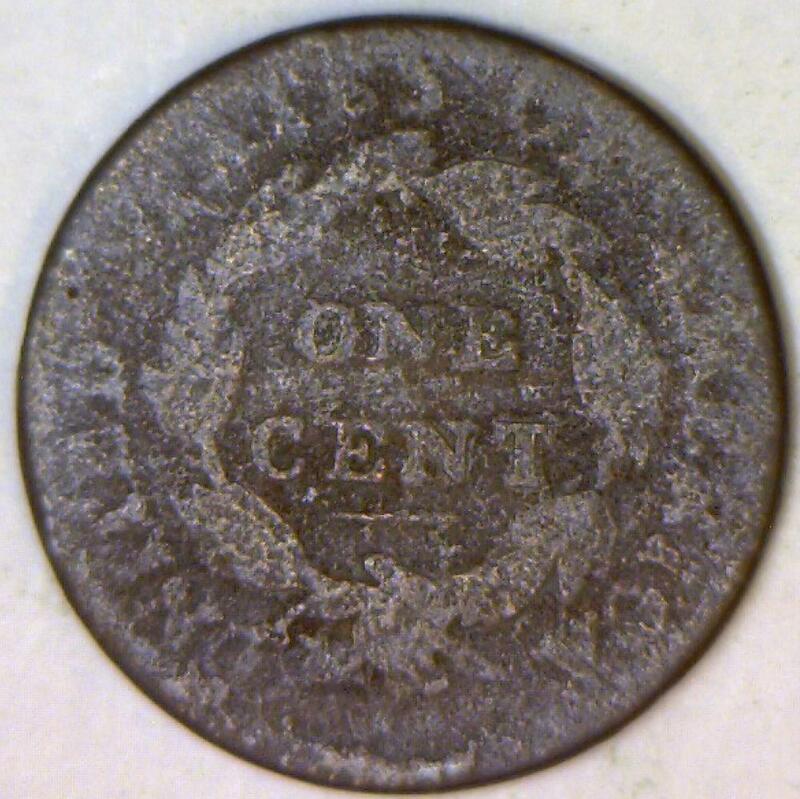 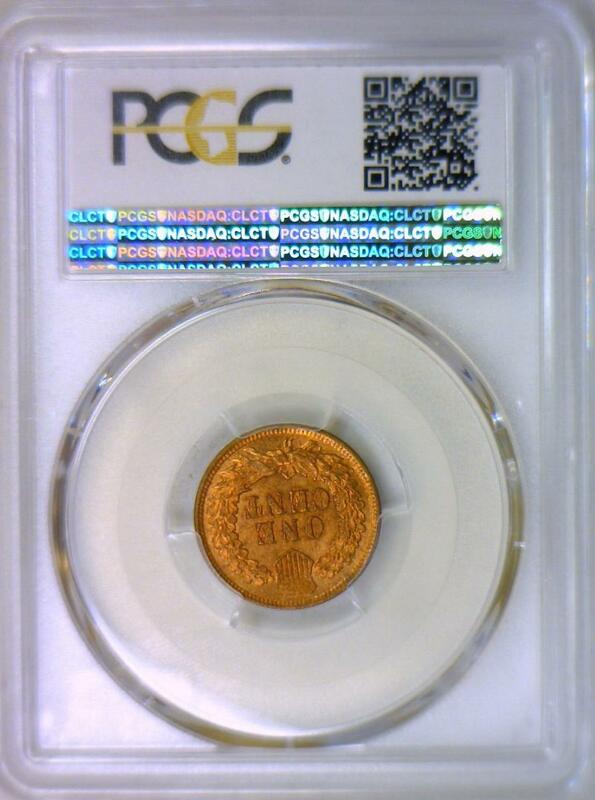 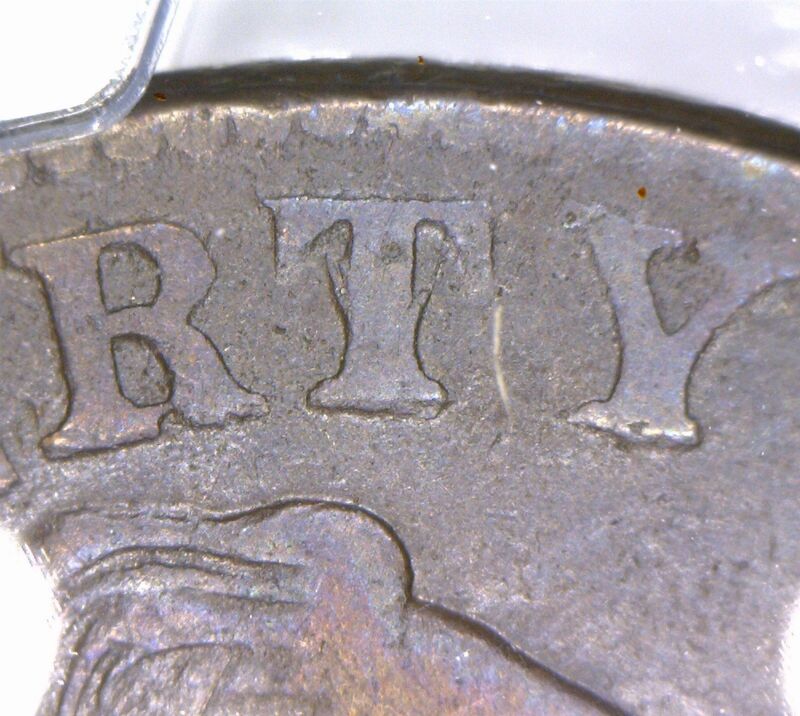 1795 Plain Edge Large Cent PCGS VF Details; Very Decent! 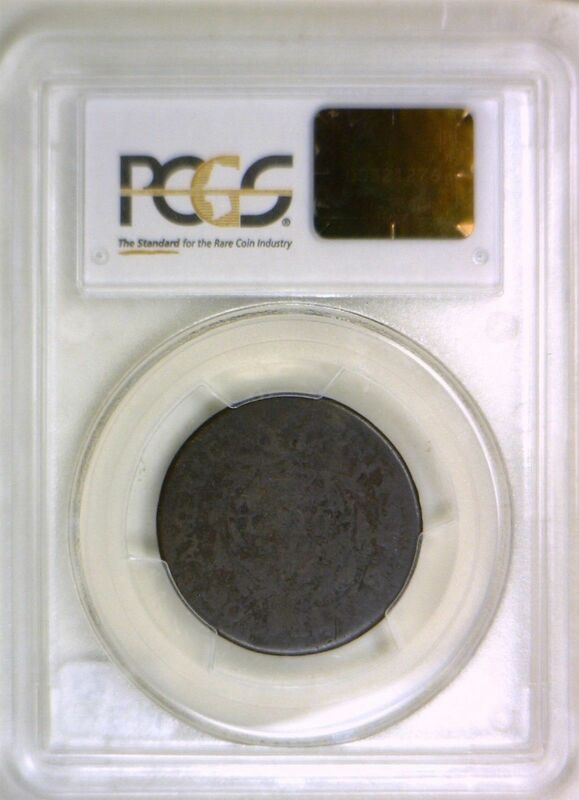 1859 Indian Head Cent PCGS MS-63; Premium Quality; Luster! 1860 Pointed Bust Indian Head Cent PCGS MS-64; A Premium Quality Example! 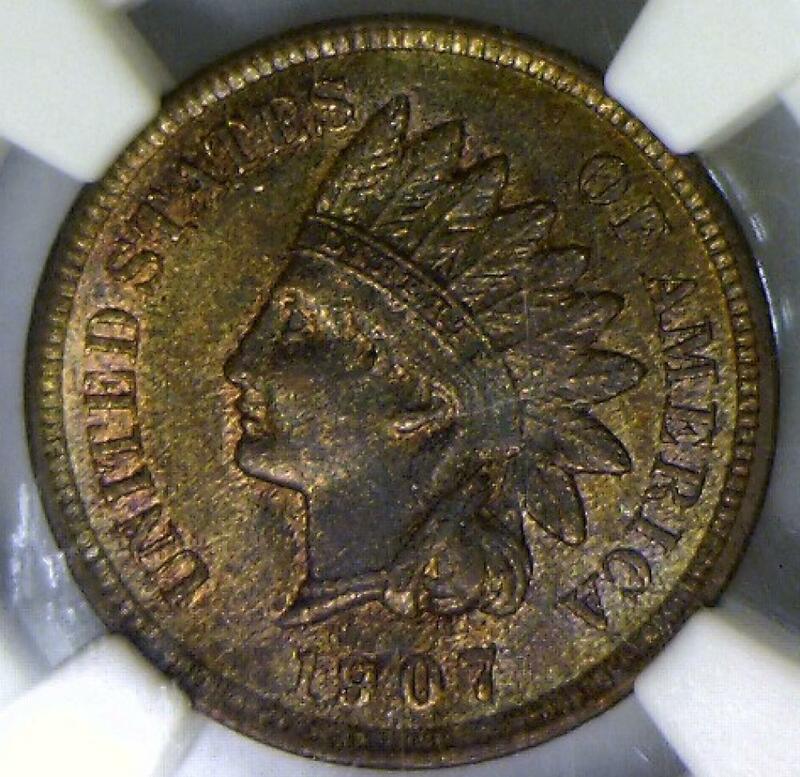 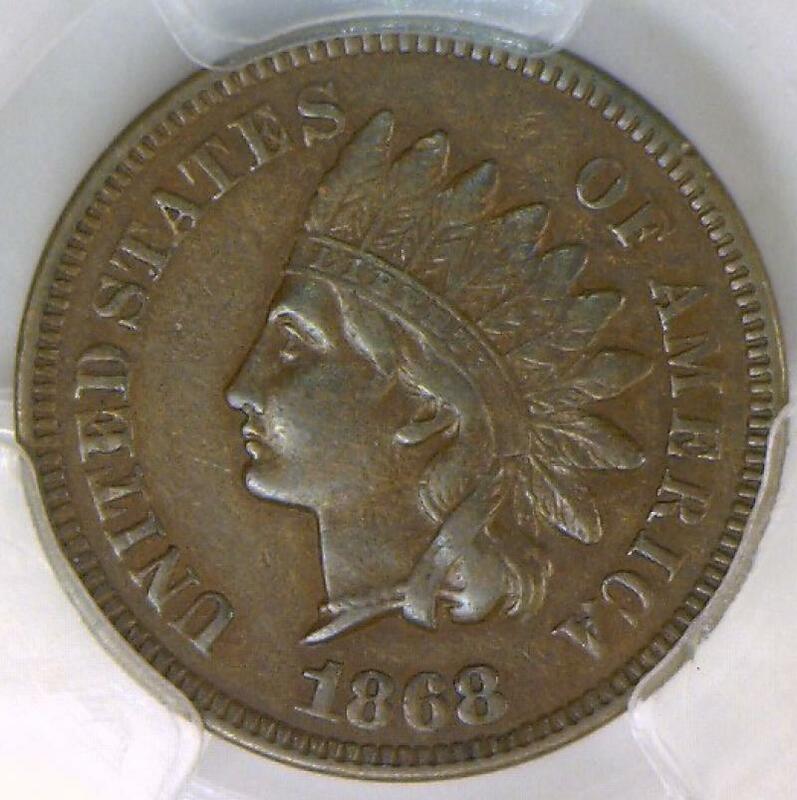 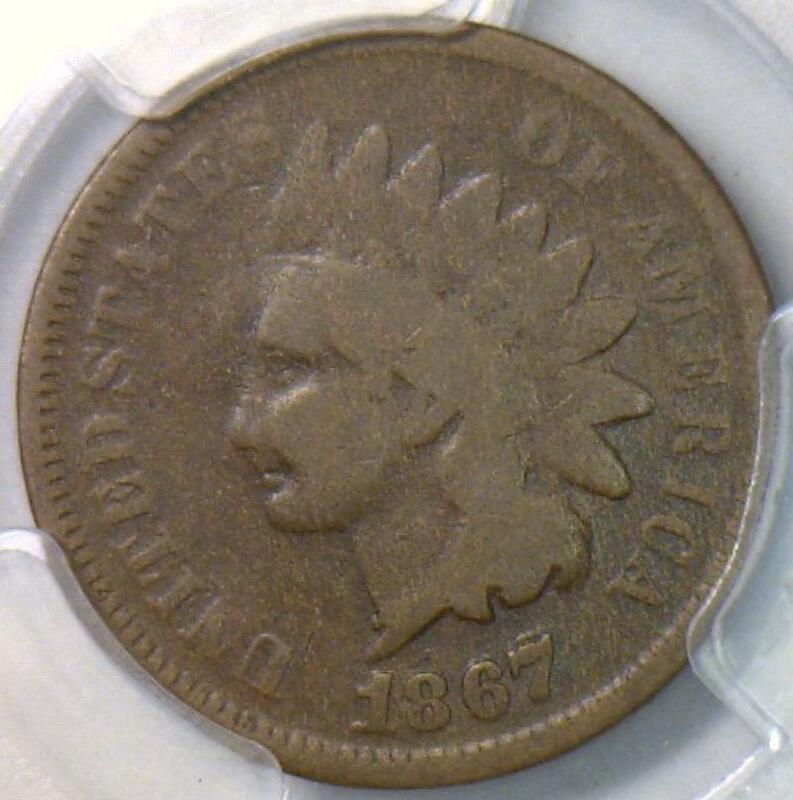 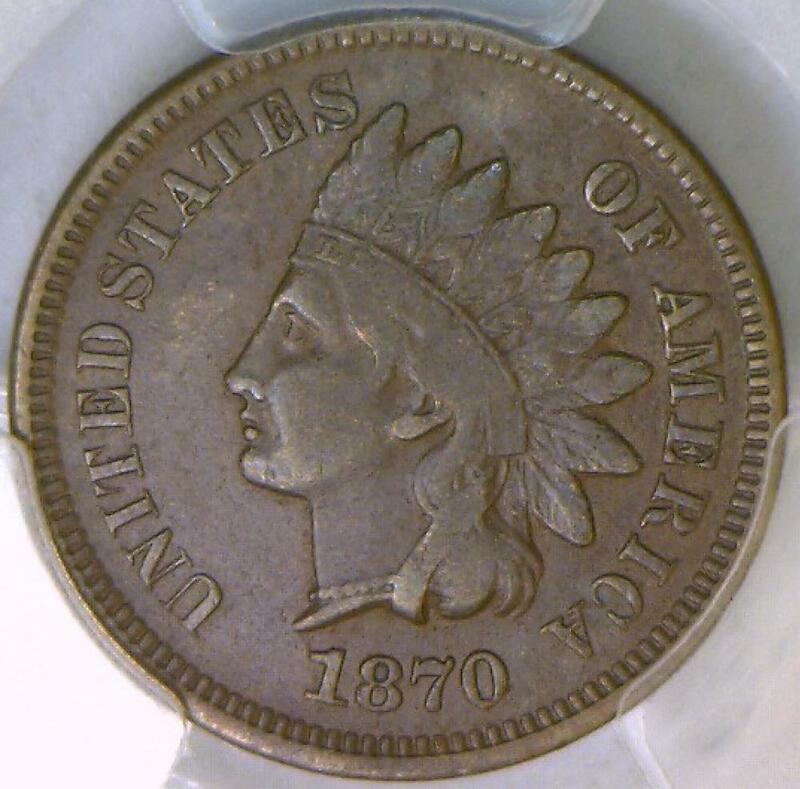 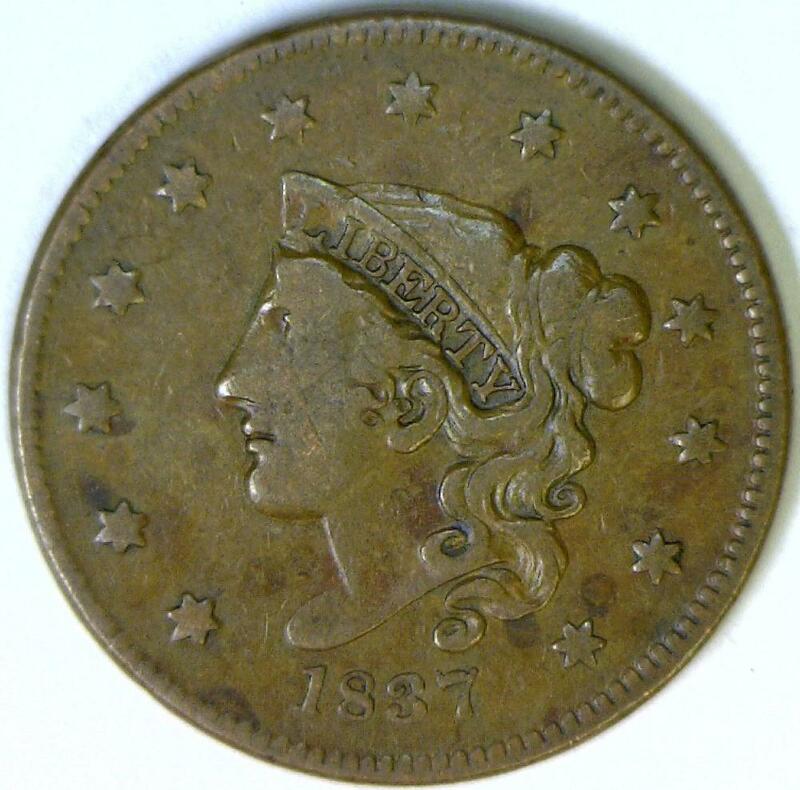 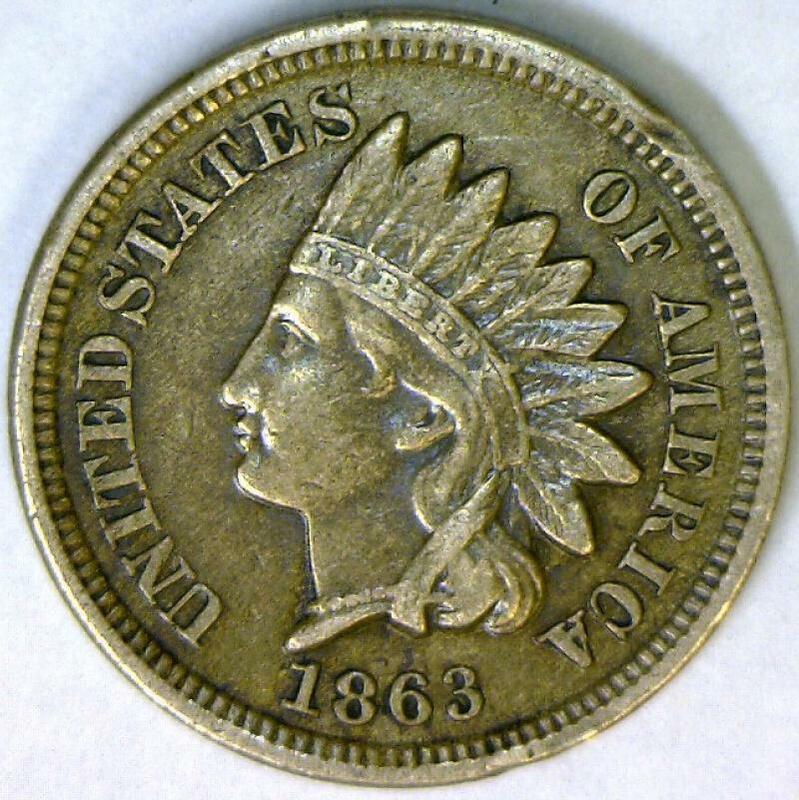 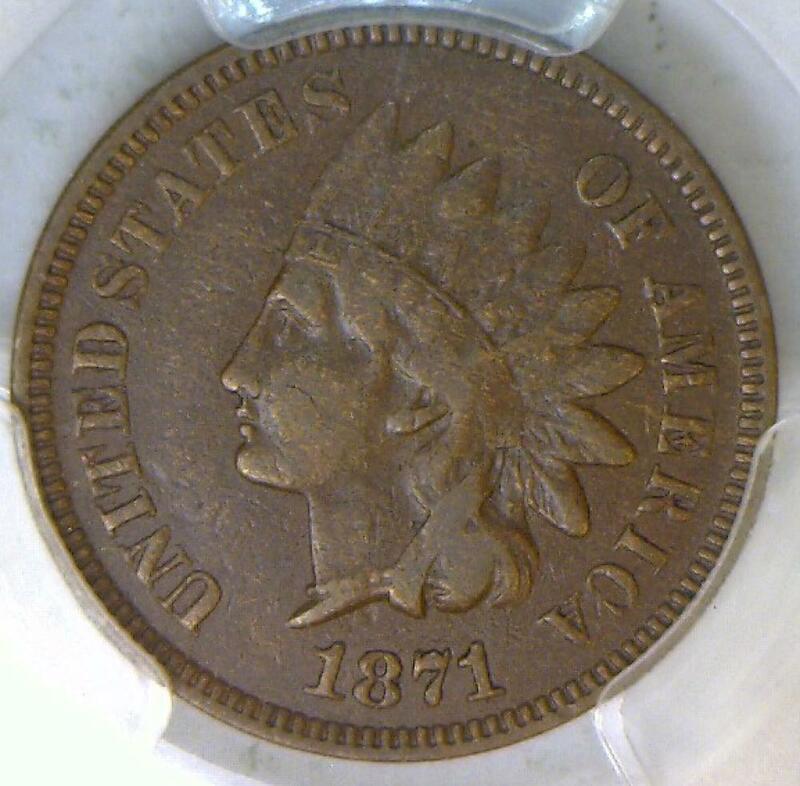 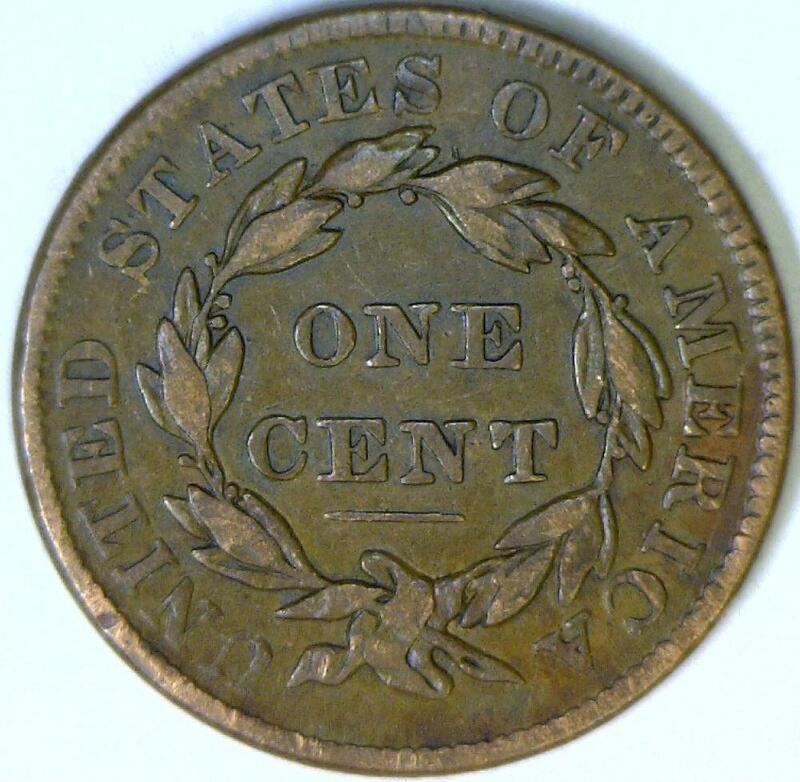 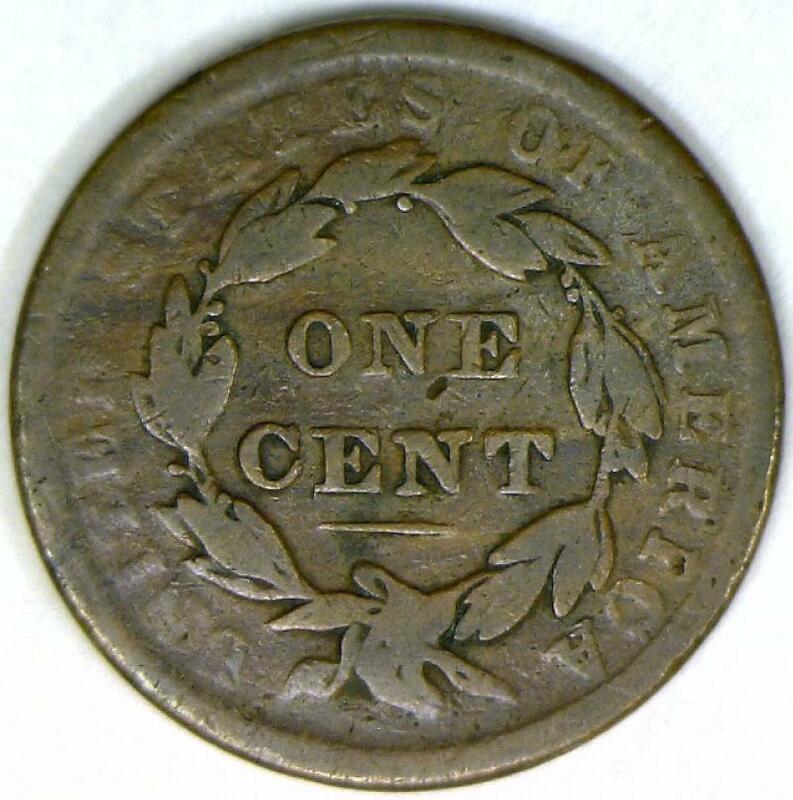 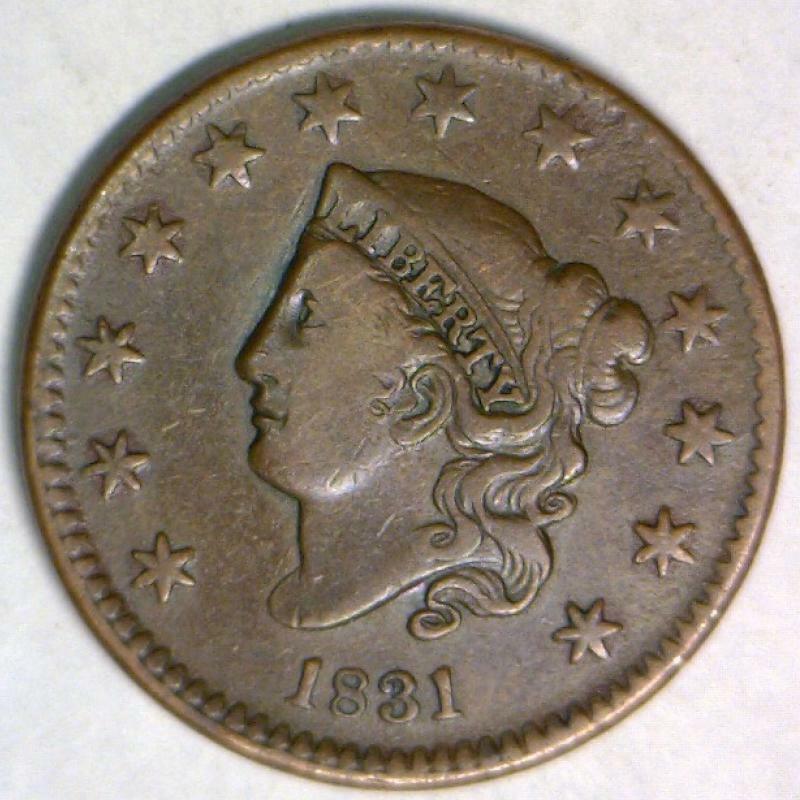 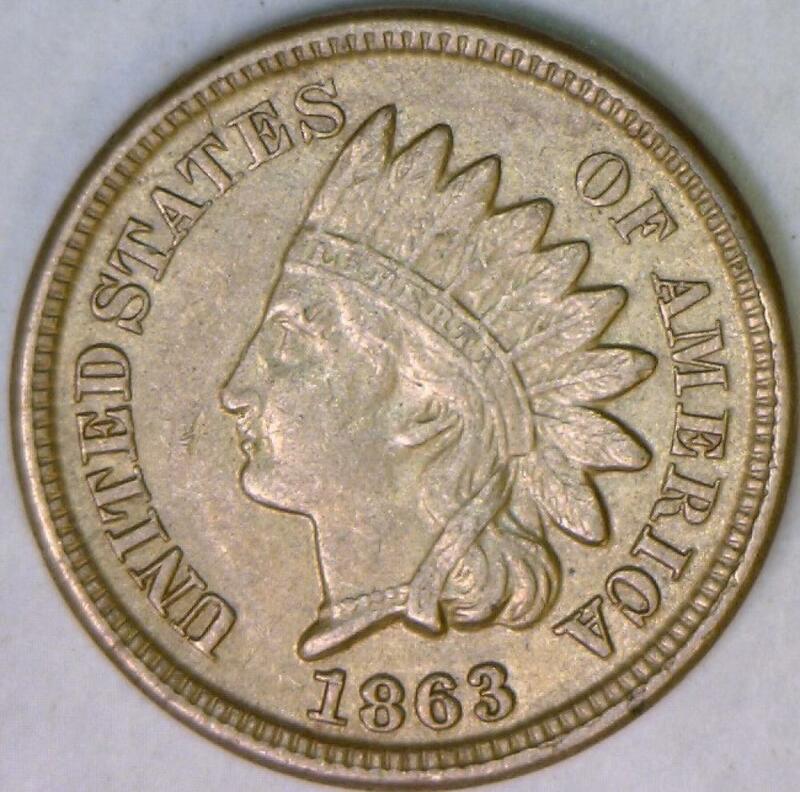 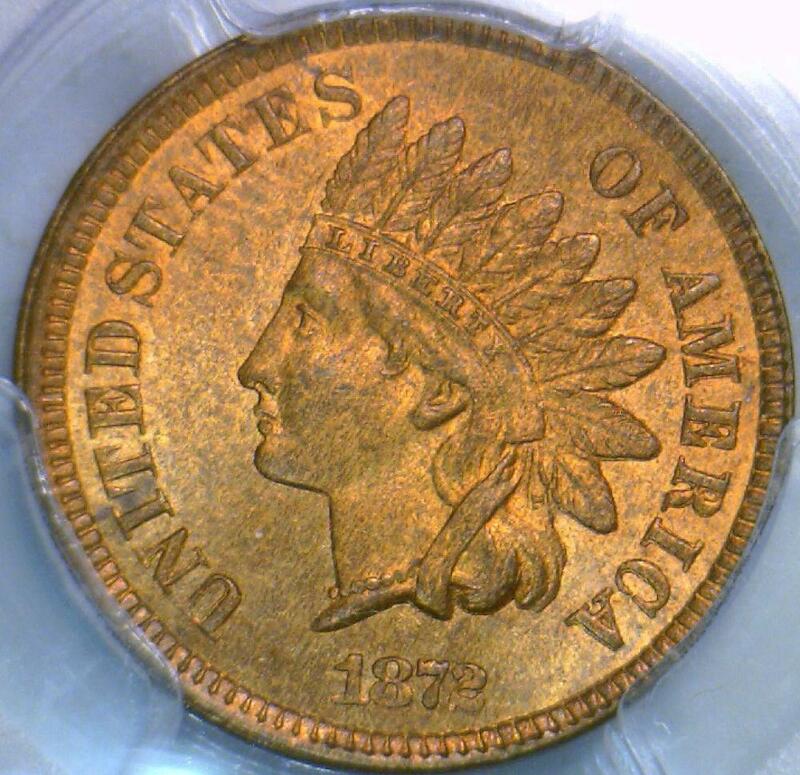 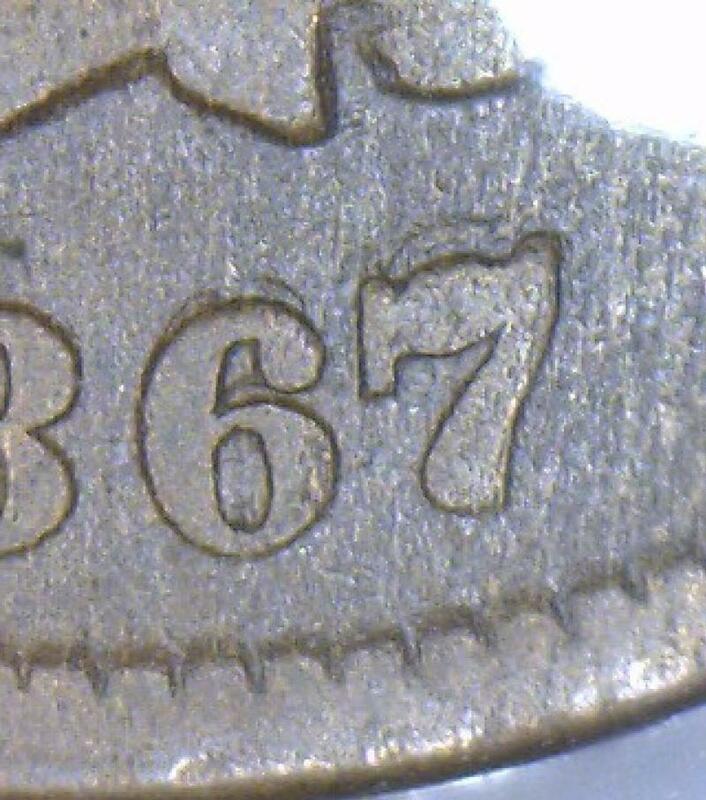 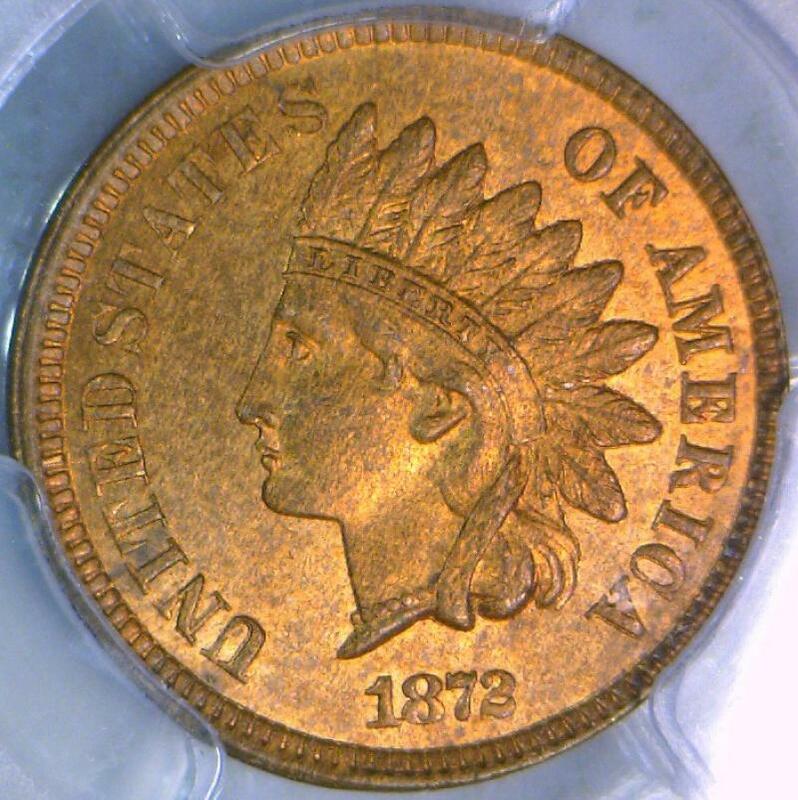 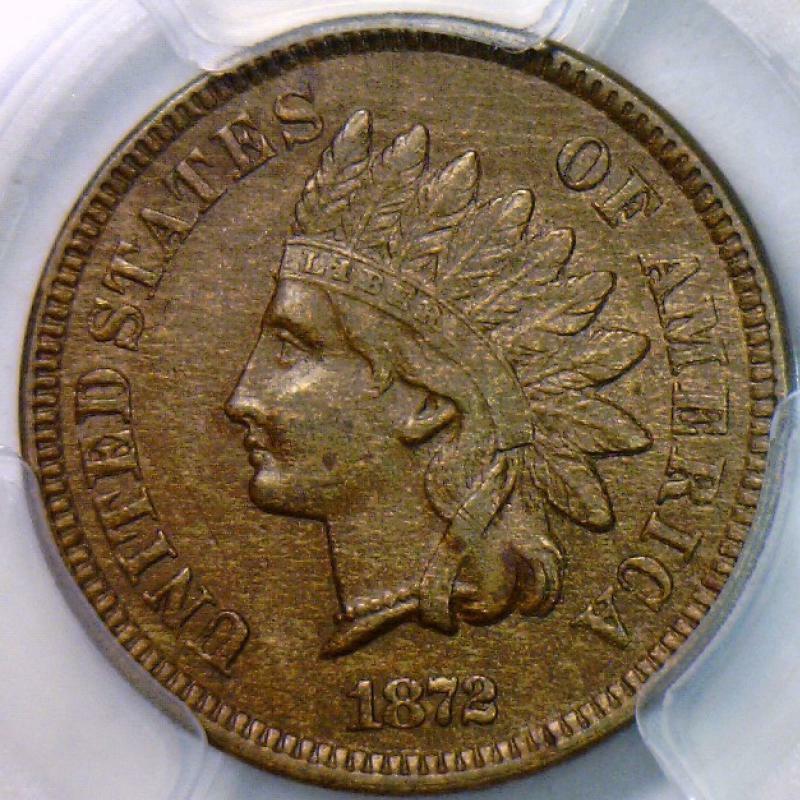 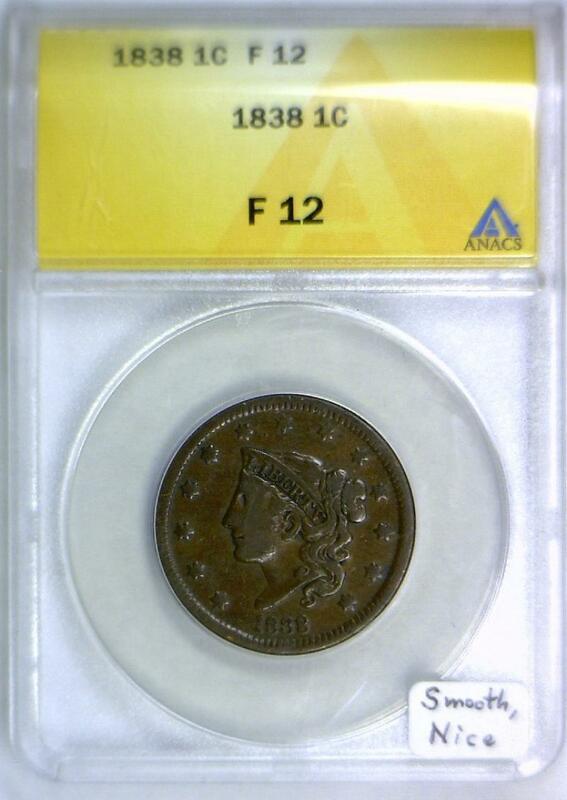 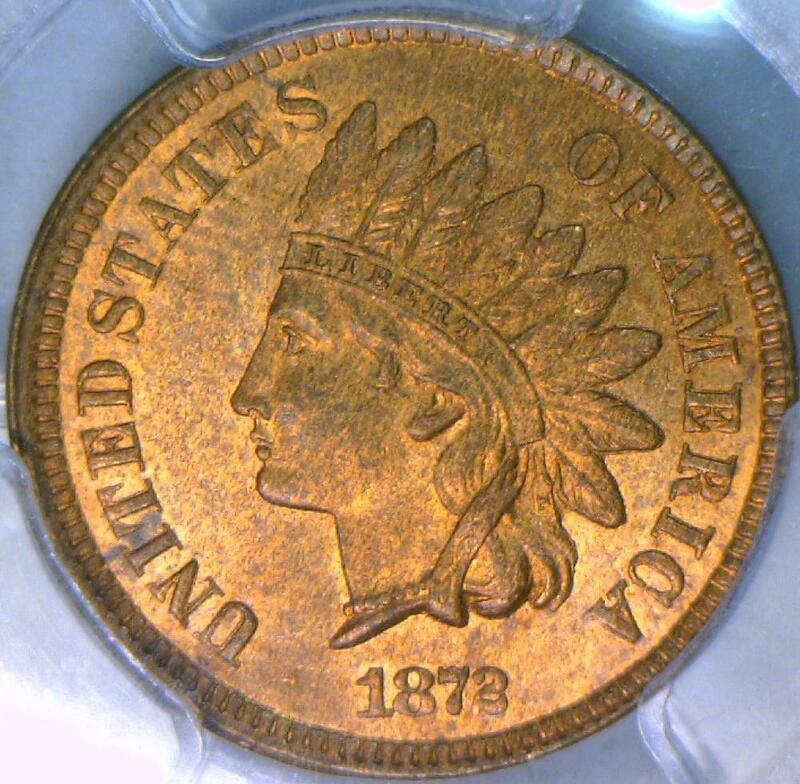 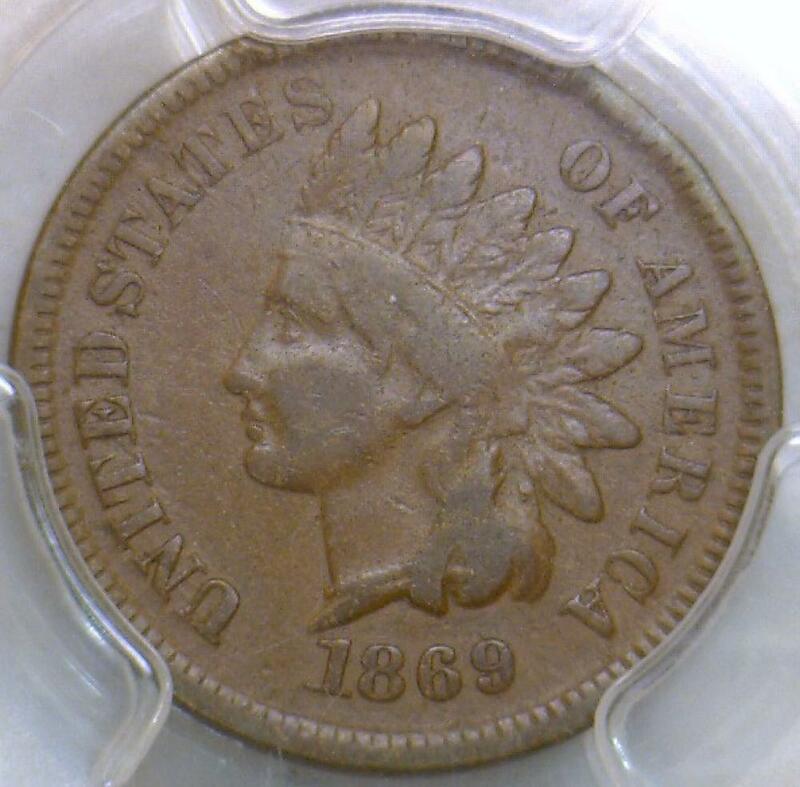 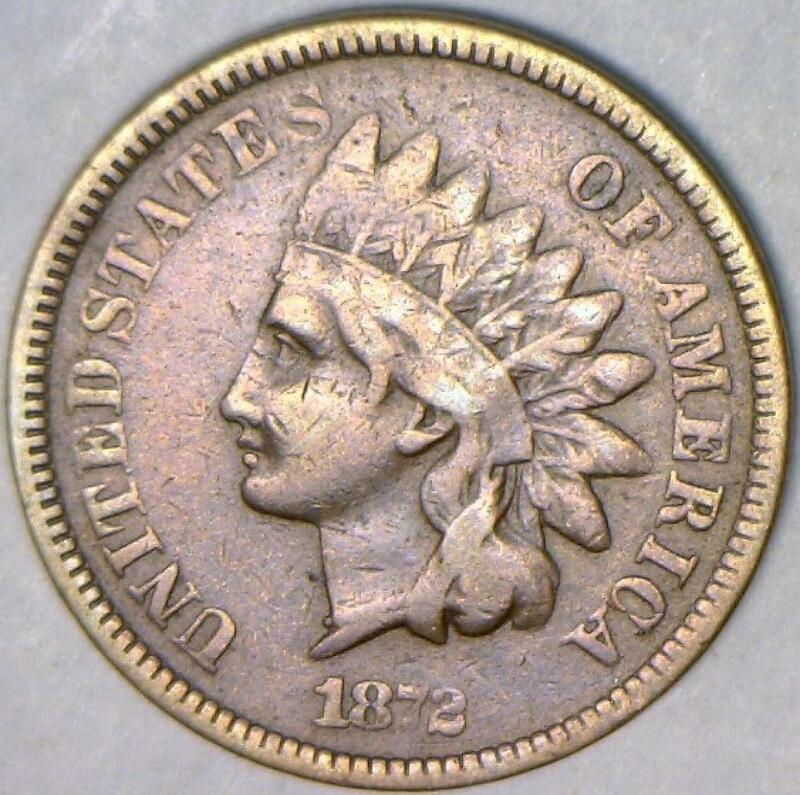 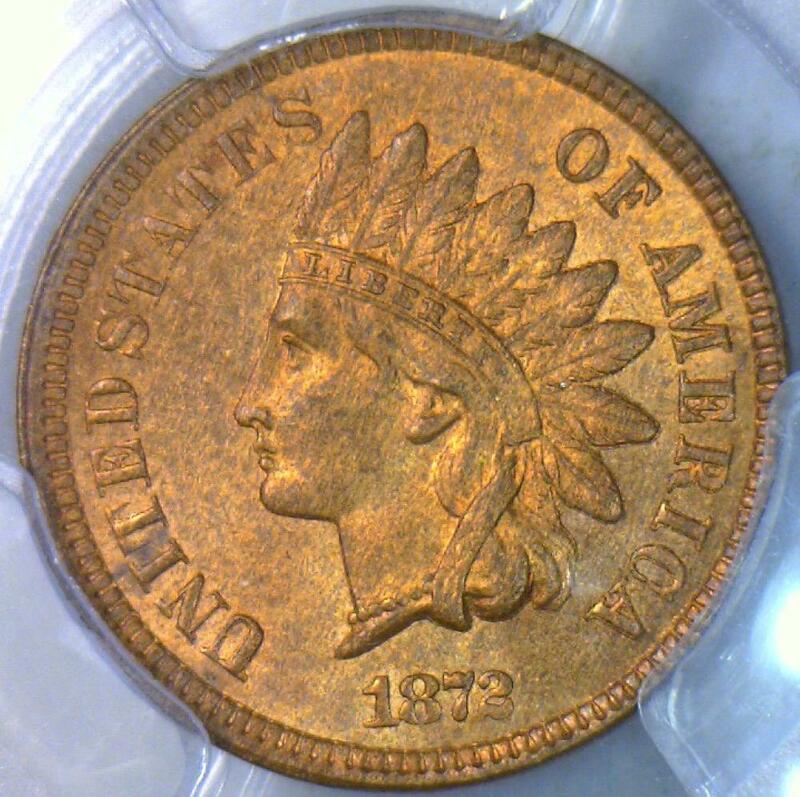 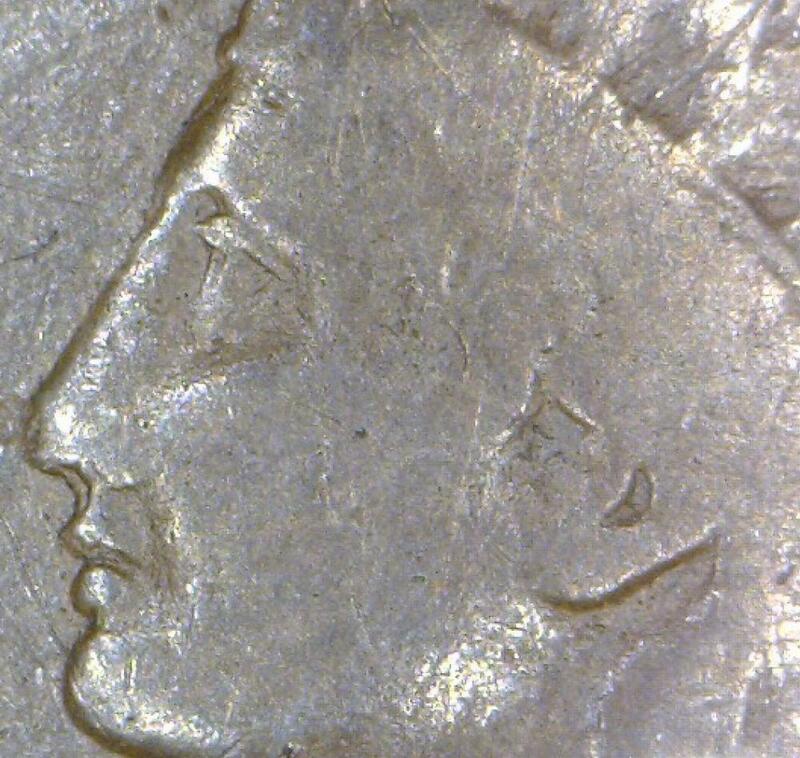 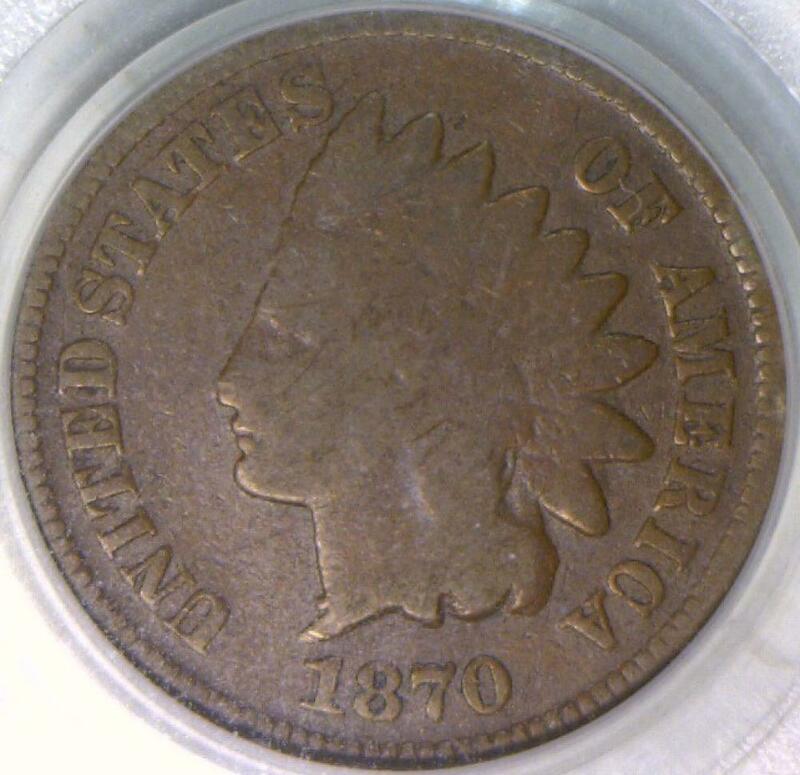 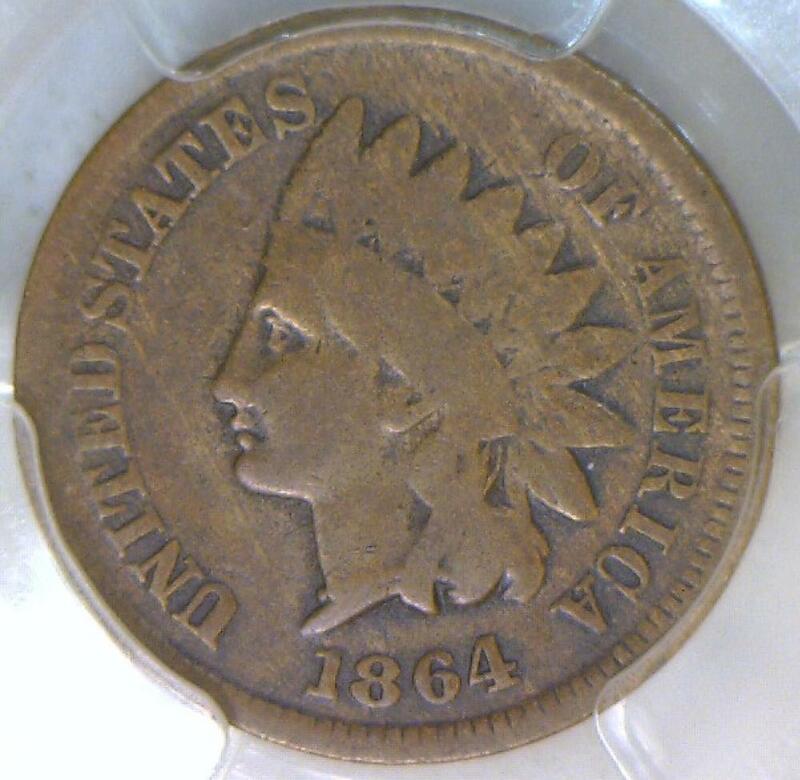 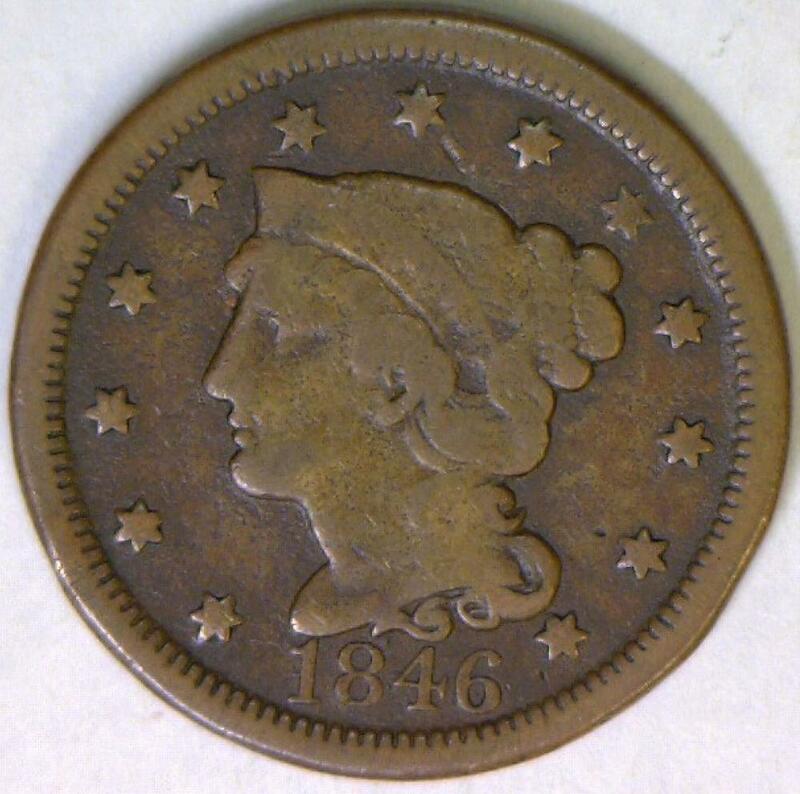 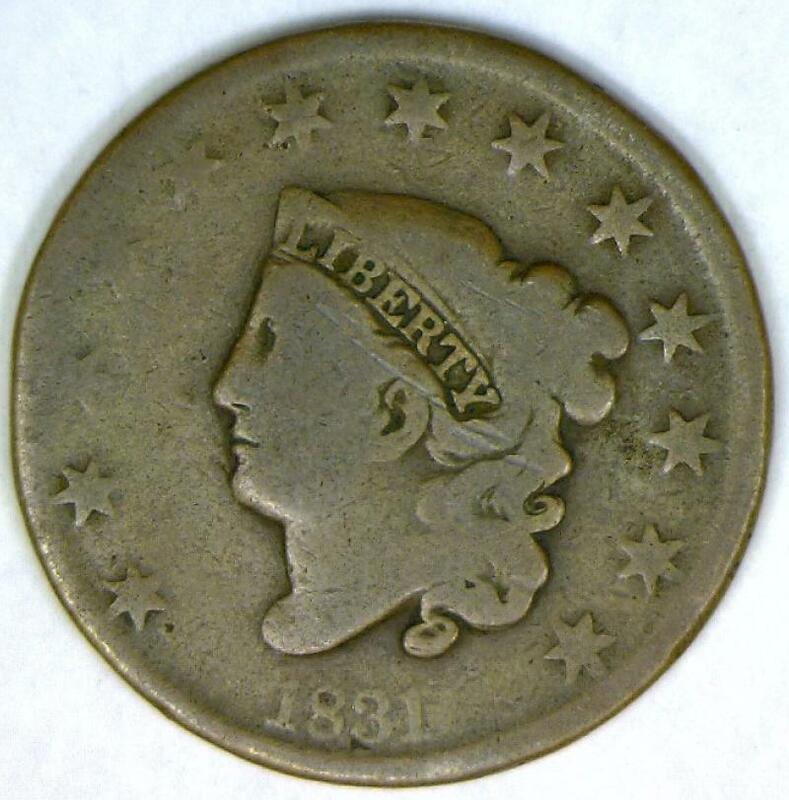 1863 Indian Head Cent; Choice AU-Unc. 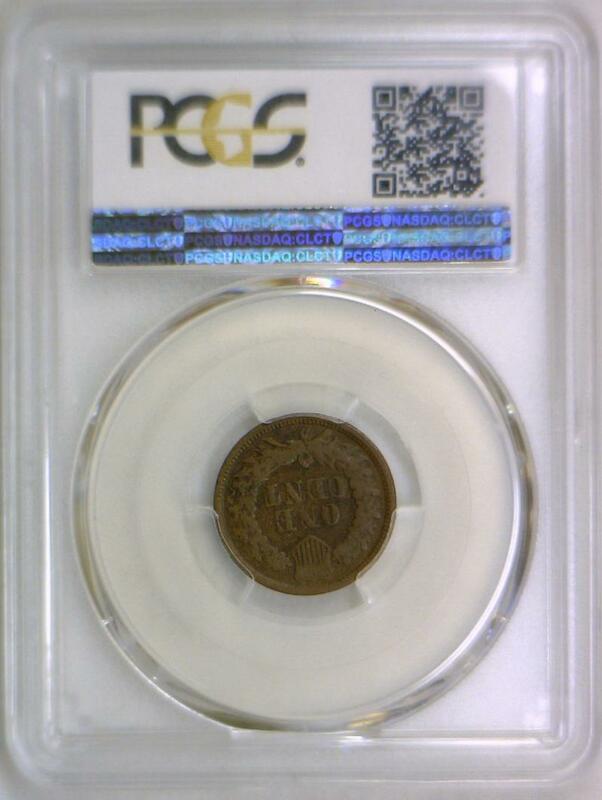 1864 Bronze Indian Head Cent PCGS MS-64 RB; Mostly Red! 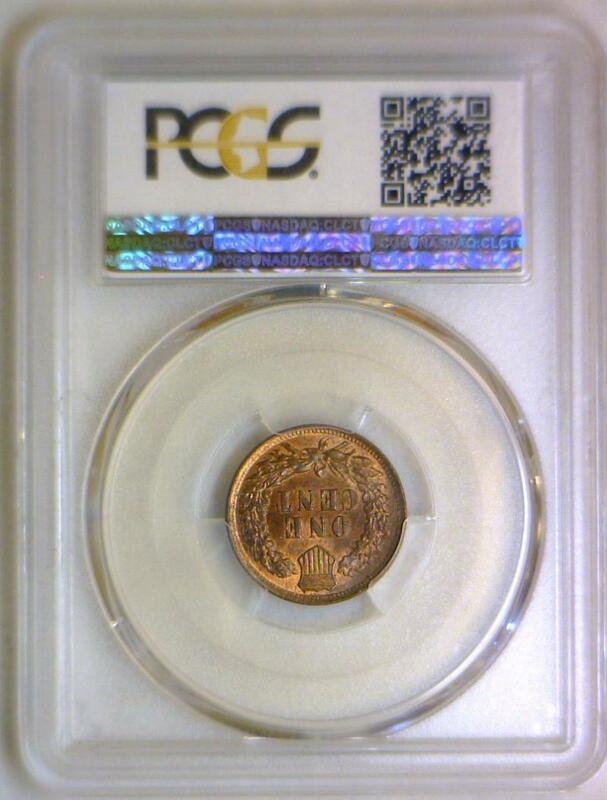 1864 Indian Head Cent PCGS MS-64; Copper Nickel; Premium Quality! 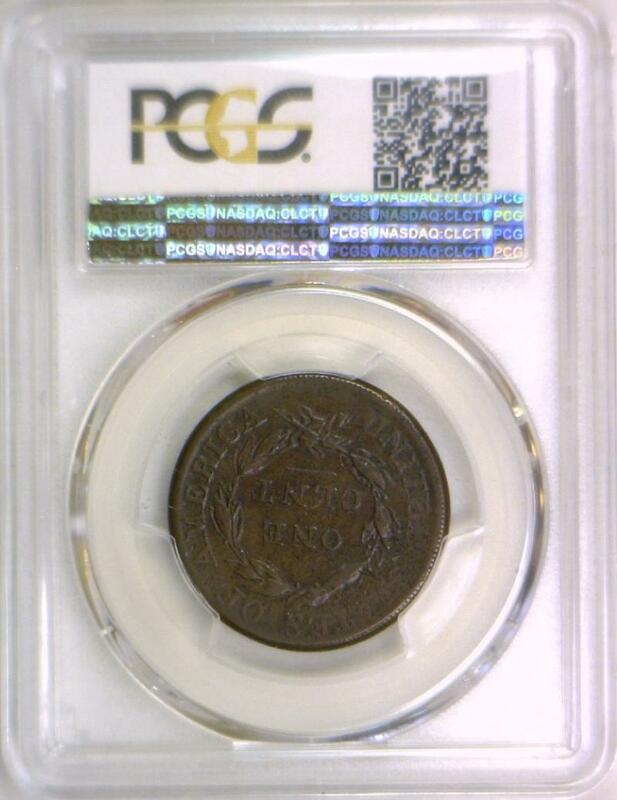 1864 L On Ribbon Indian Cent PCGS G-06; Looks VG! 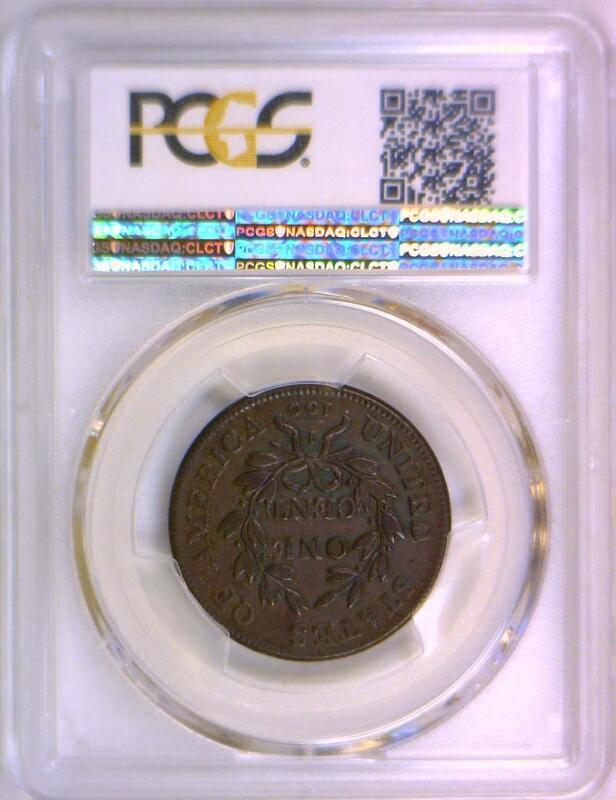 1873 Double LIBERTY Indian Head Cent PCGS VG-08; Great Variety! 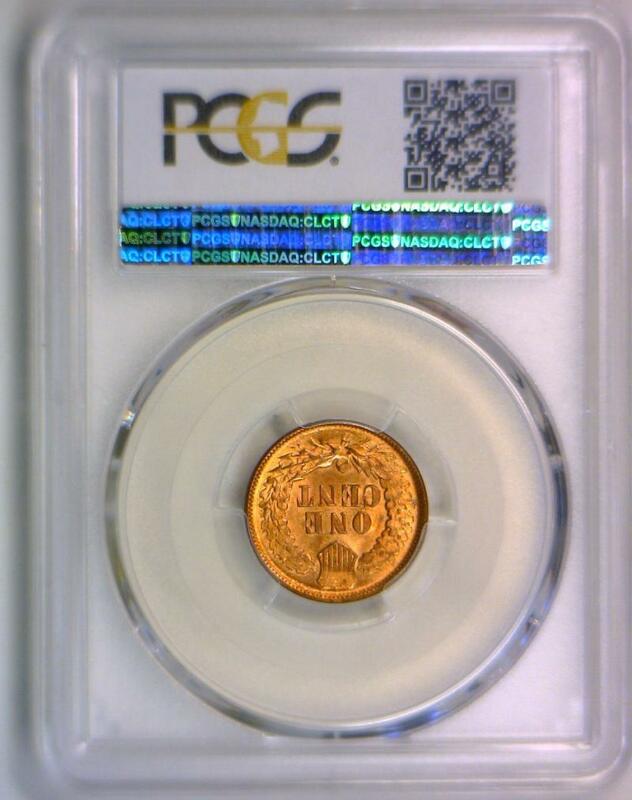 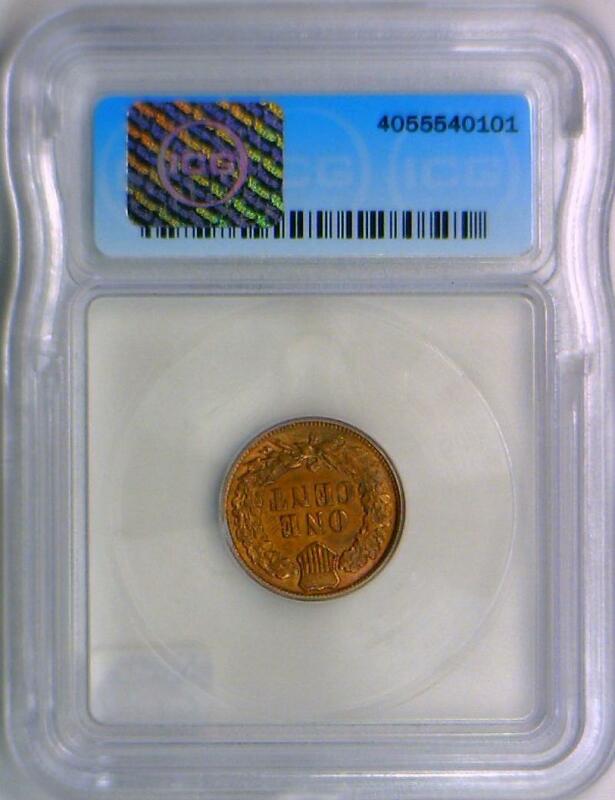 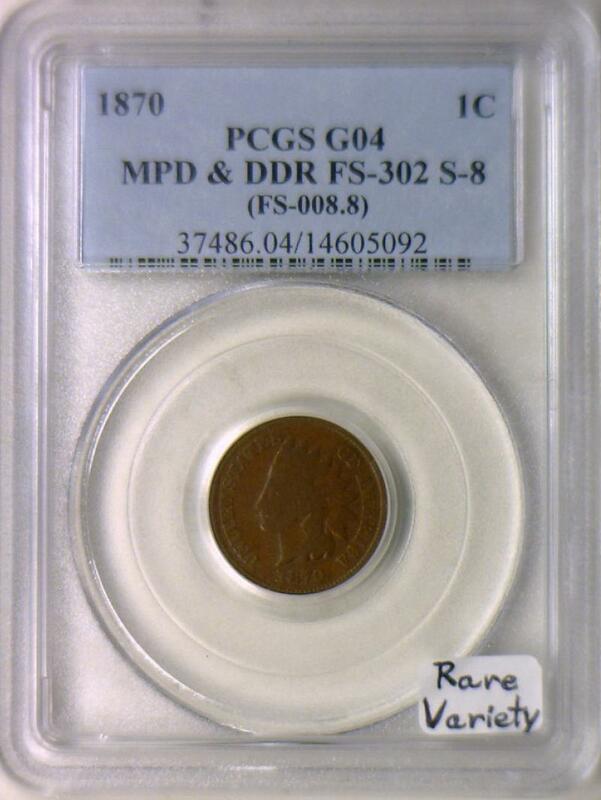 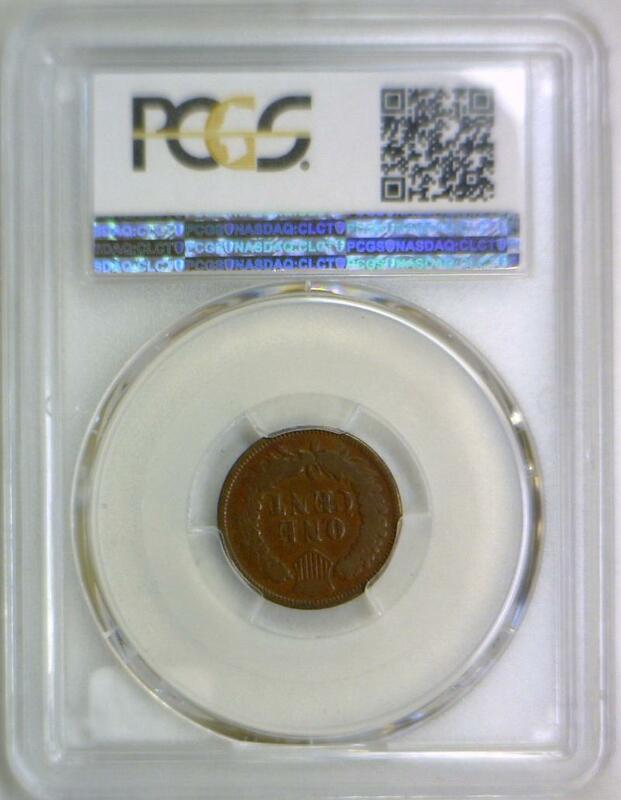 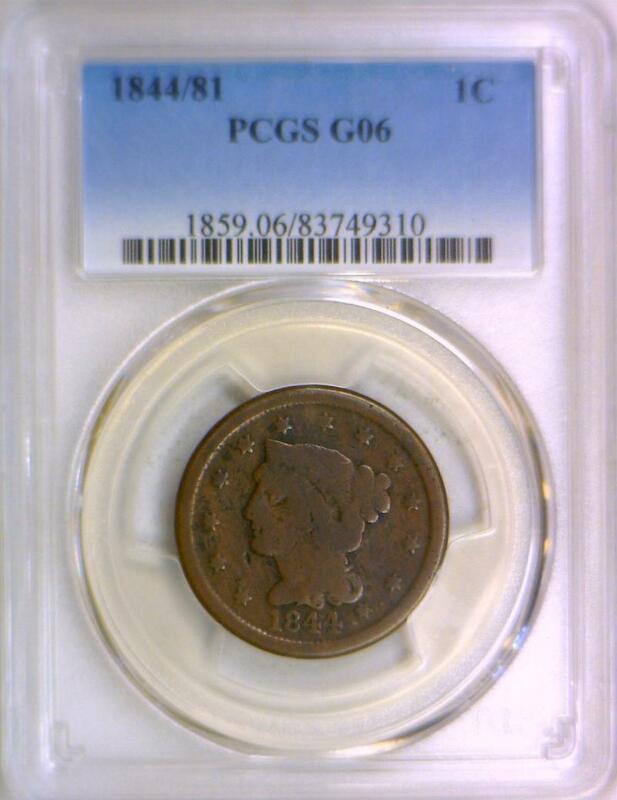 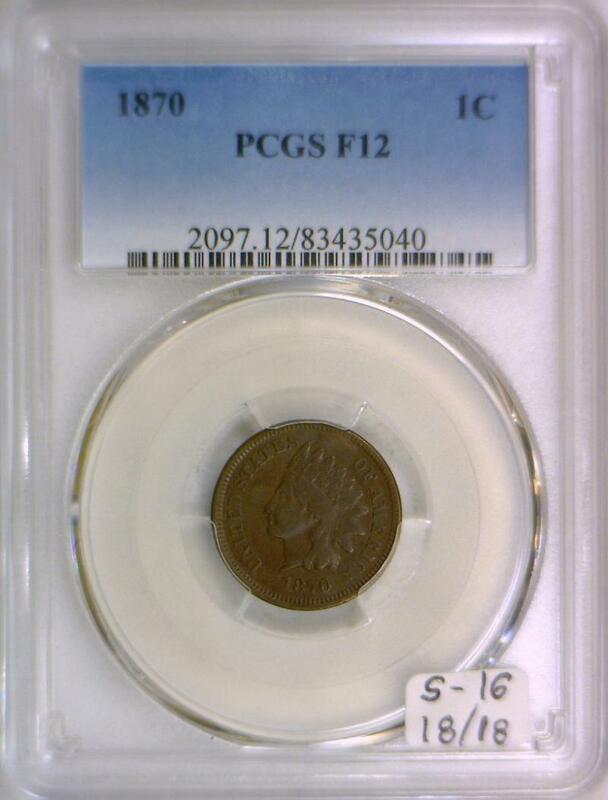 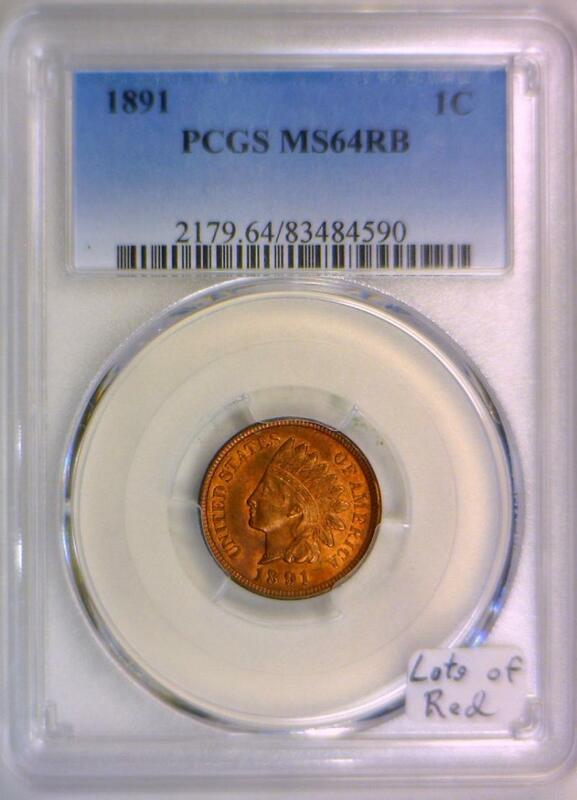 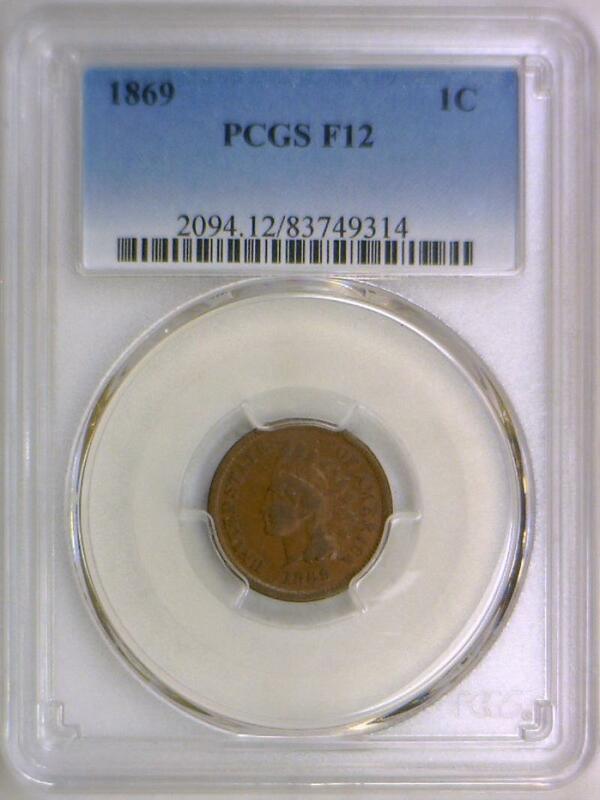 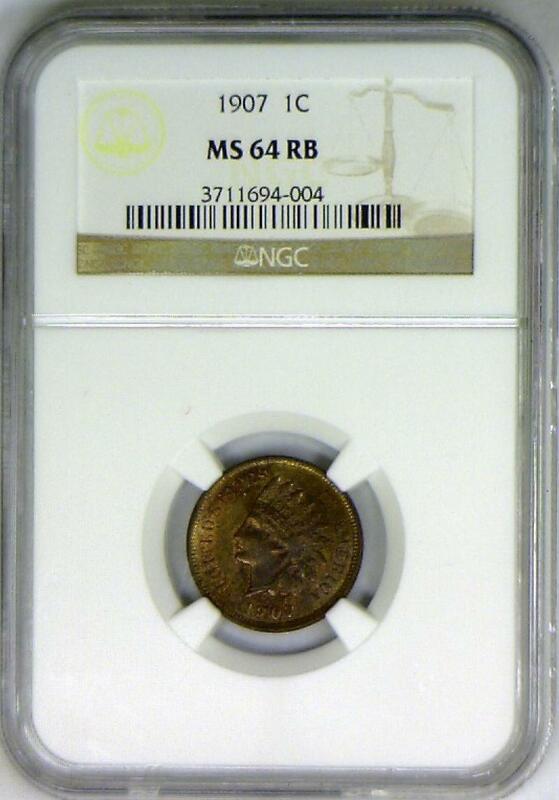 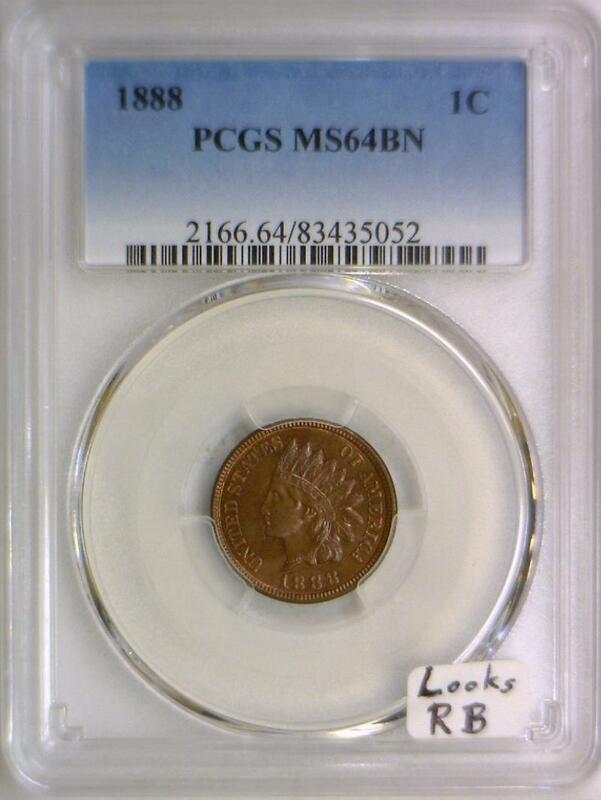 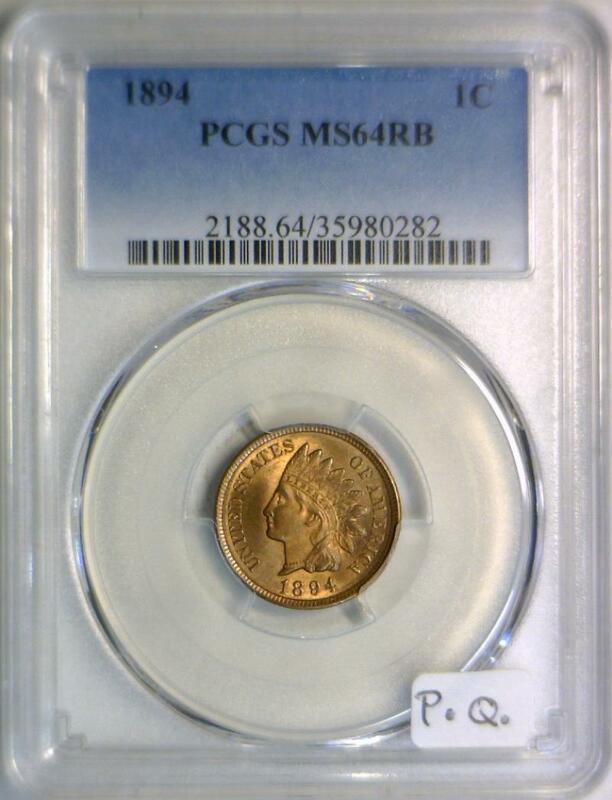 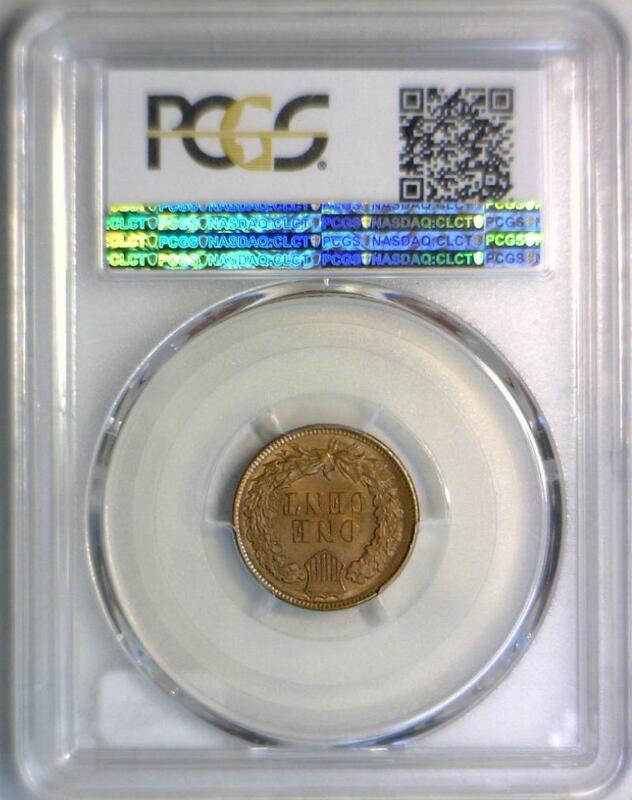 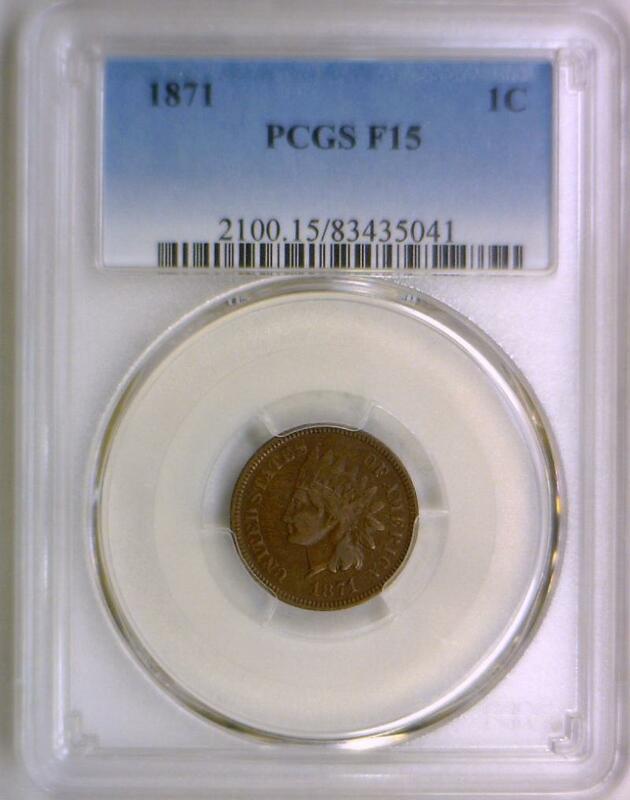 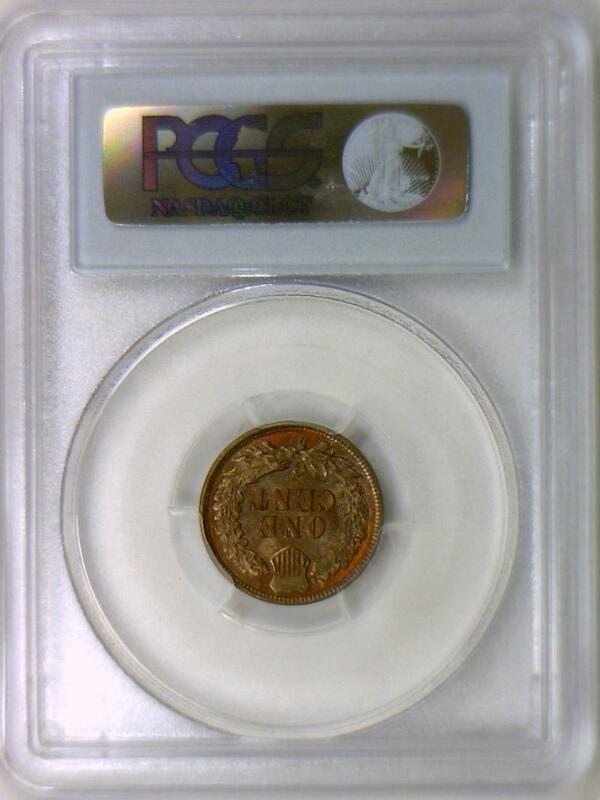 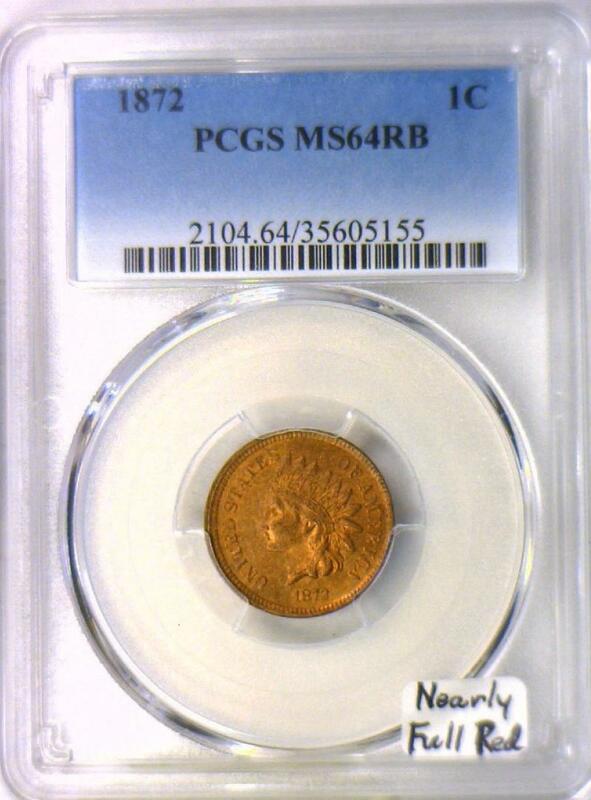 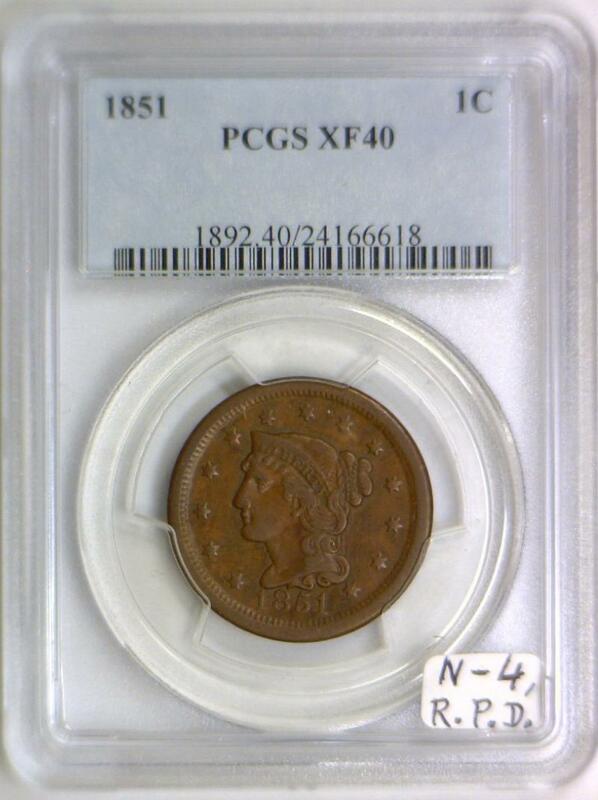 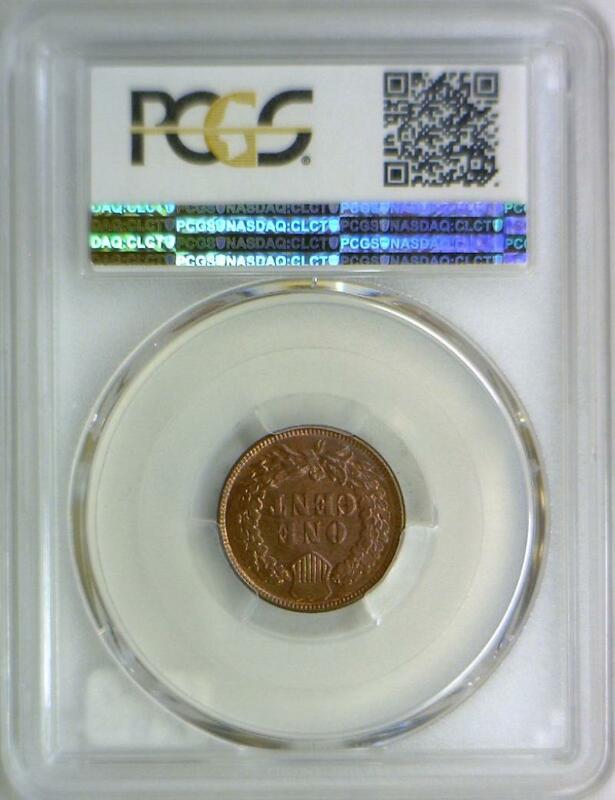 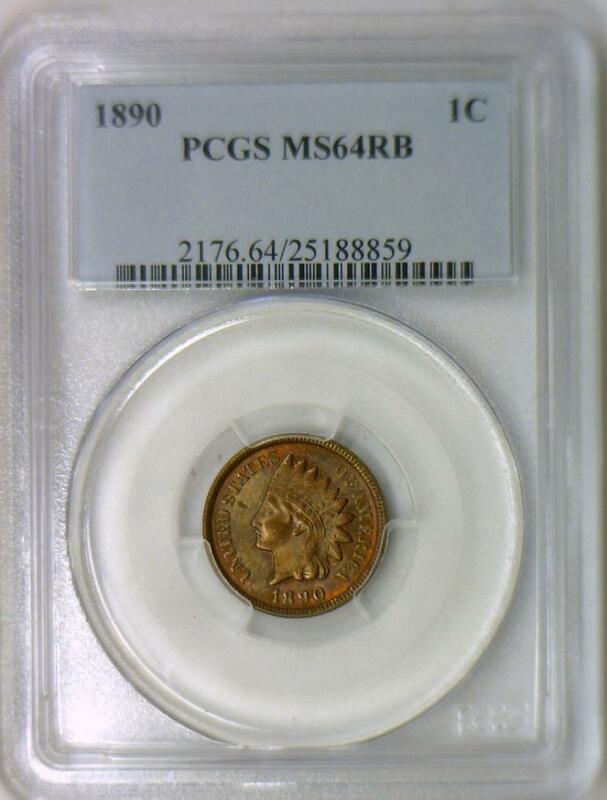 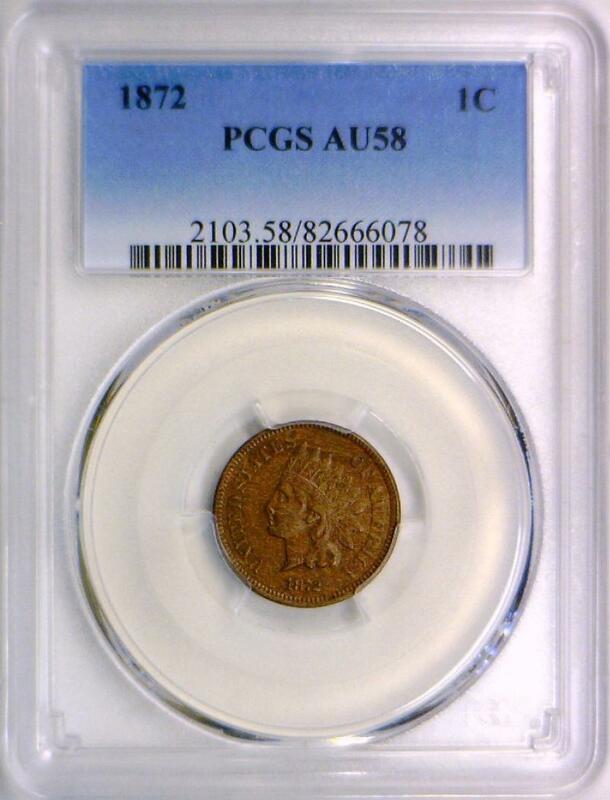 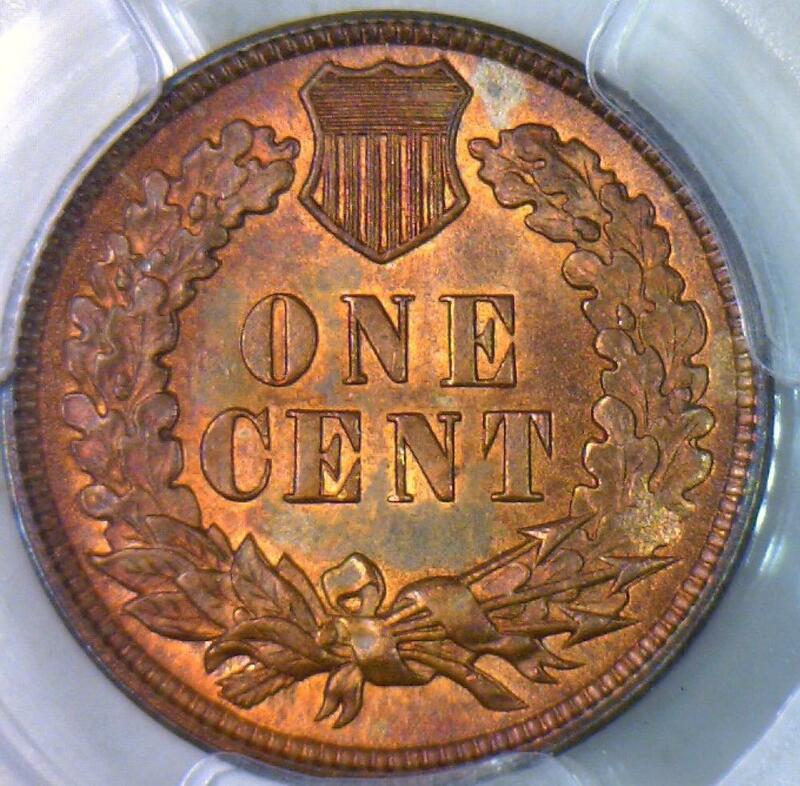 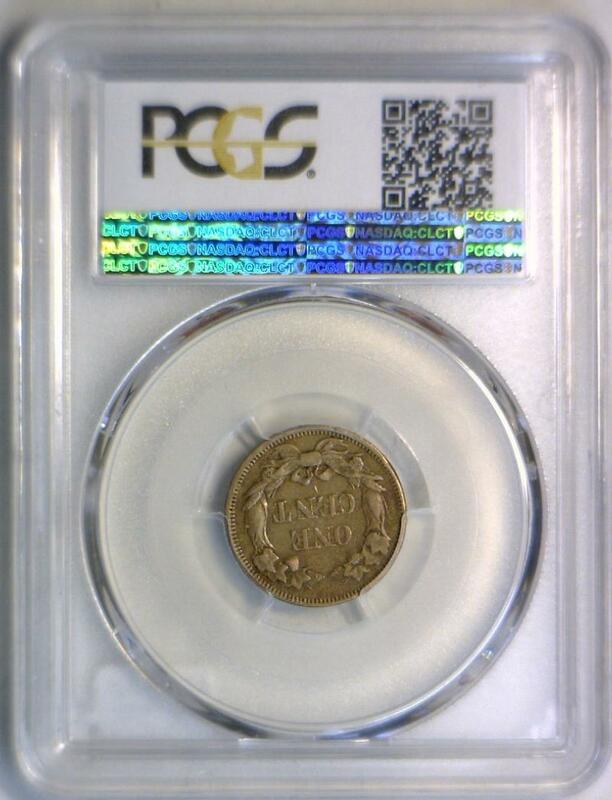 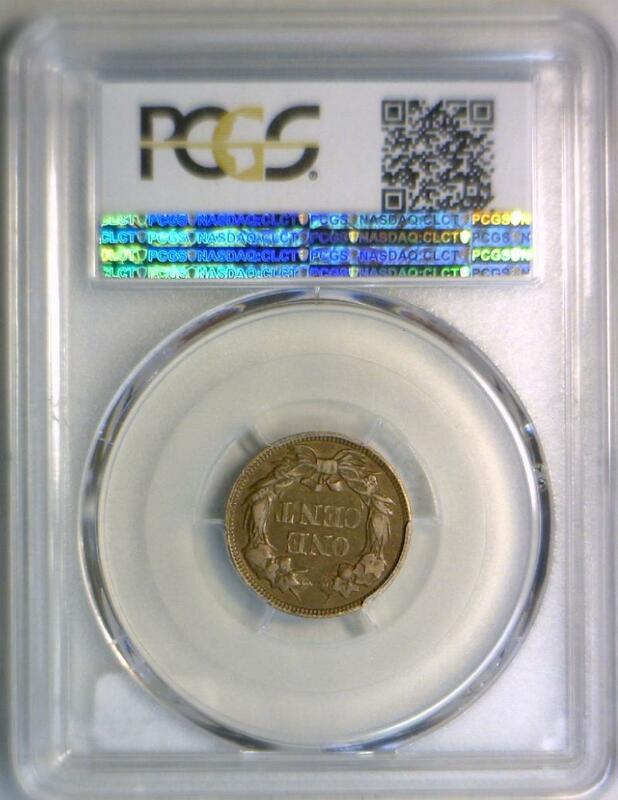 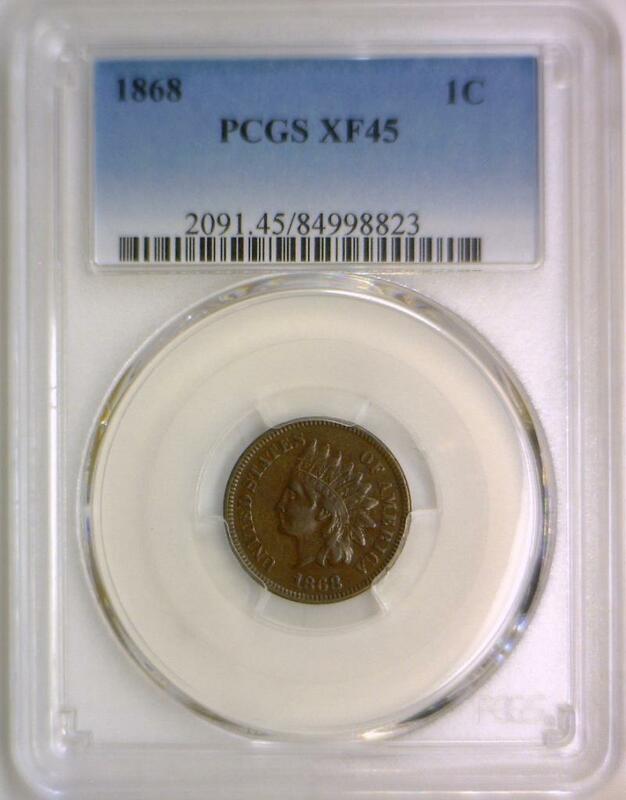 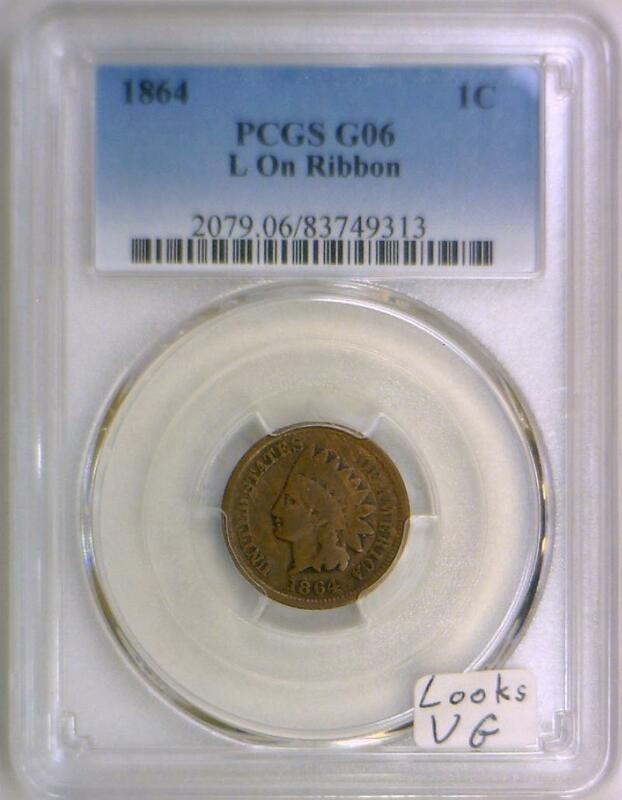 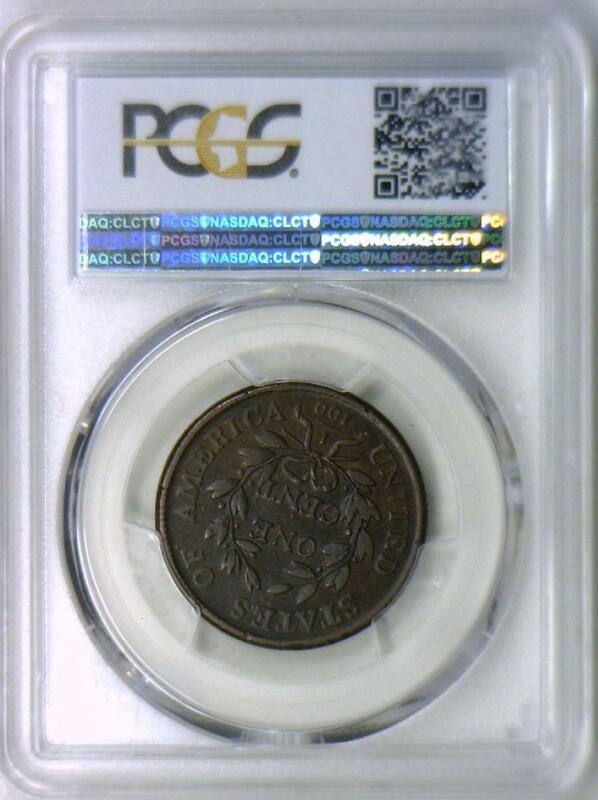 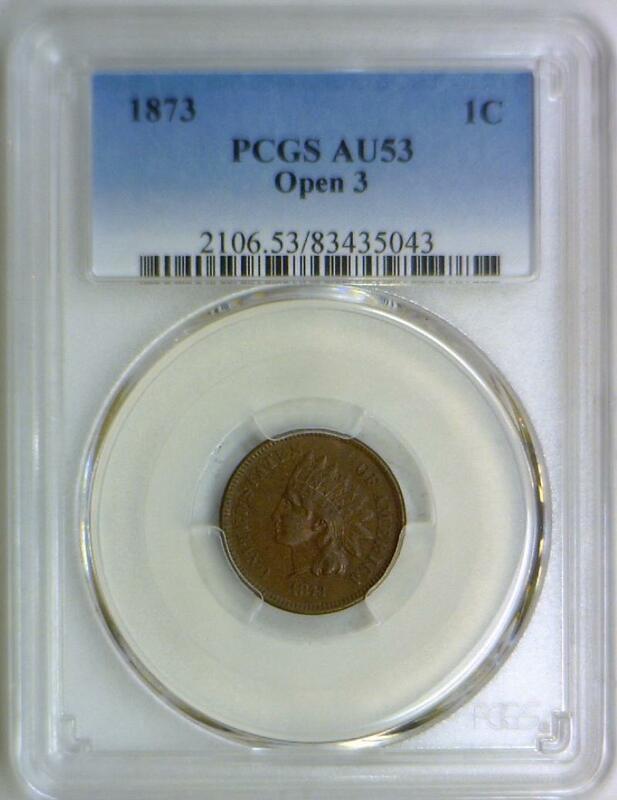 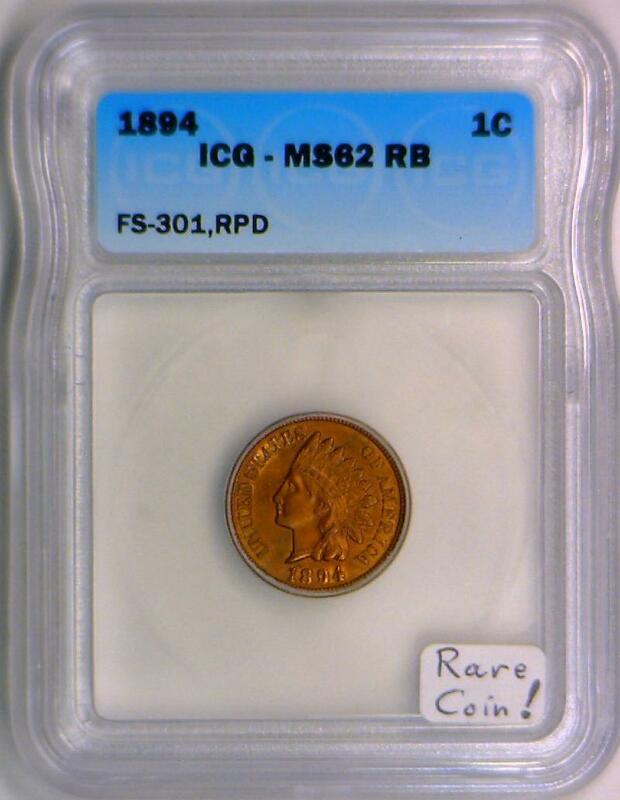 1875 Indian Cent PCGS MS-64 RB; Good Looking Coin! 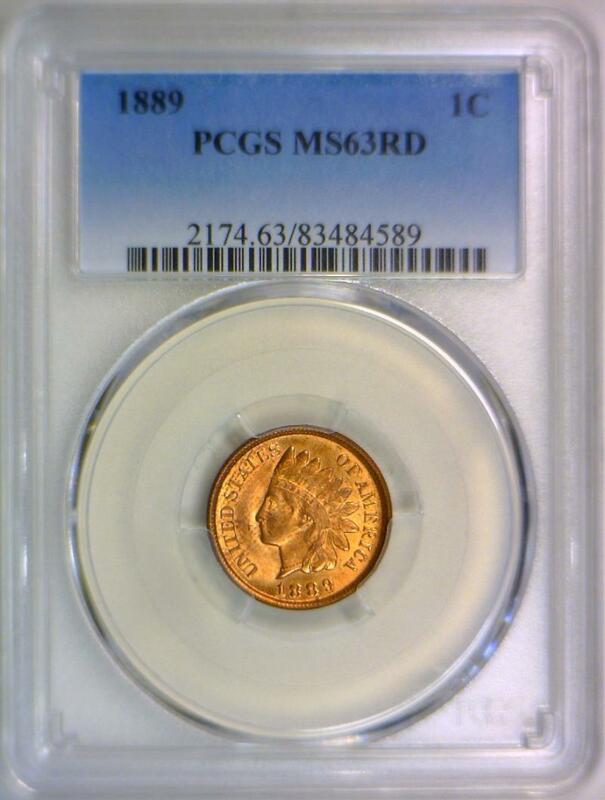 1888 Indian Head Cent PCGS MS-64 BN; Looks RB! 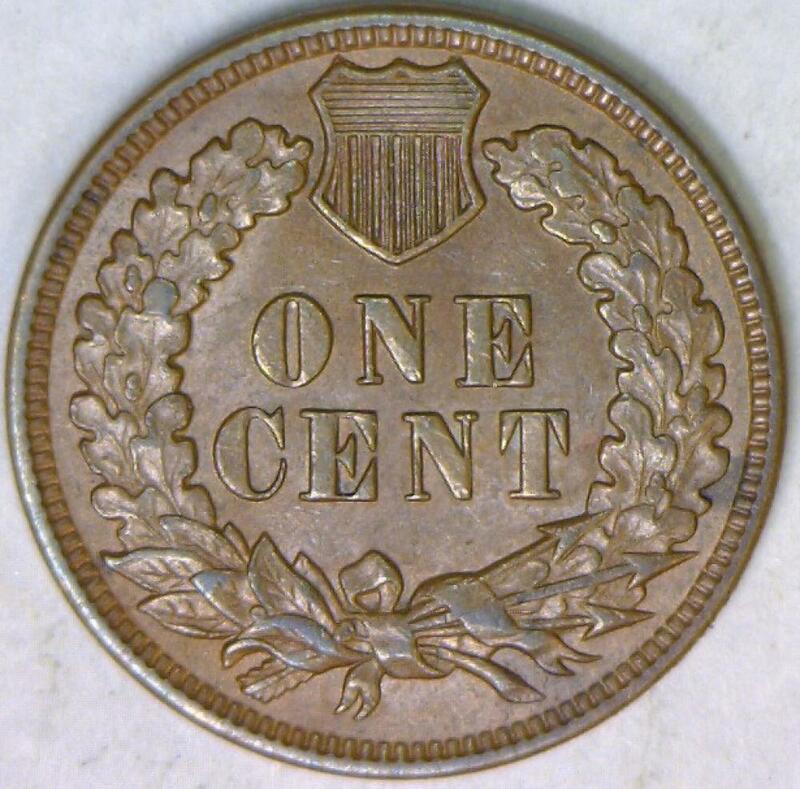 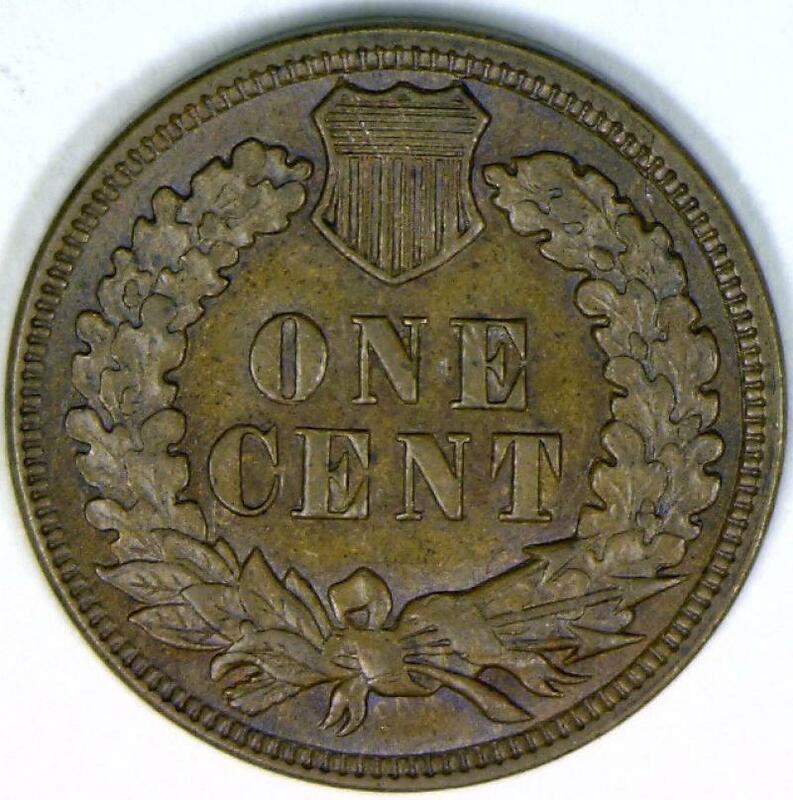 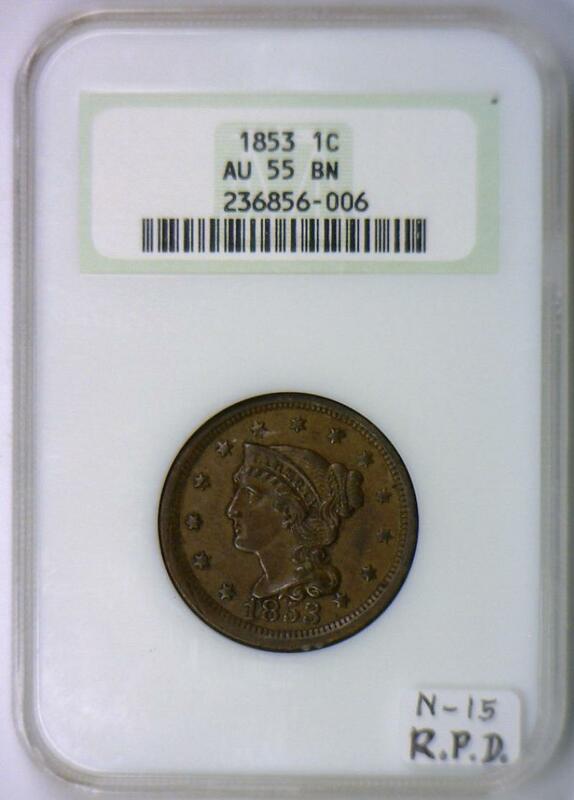 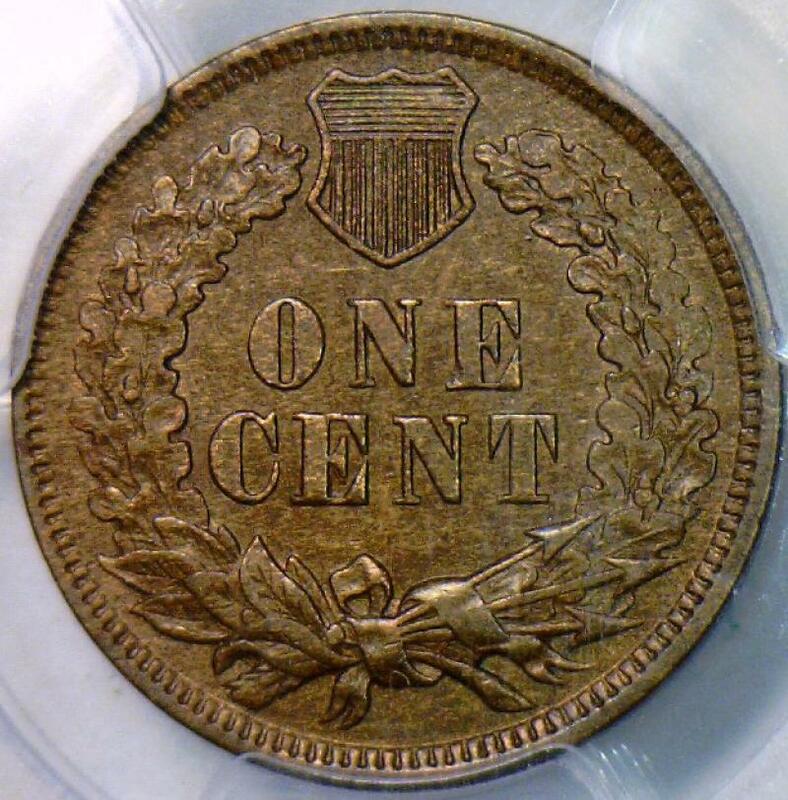 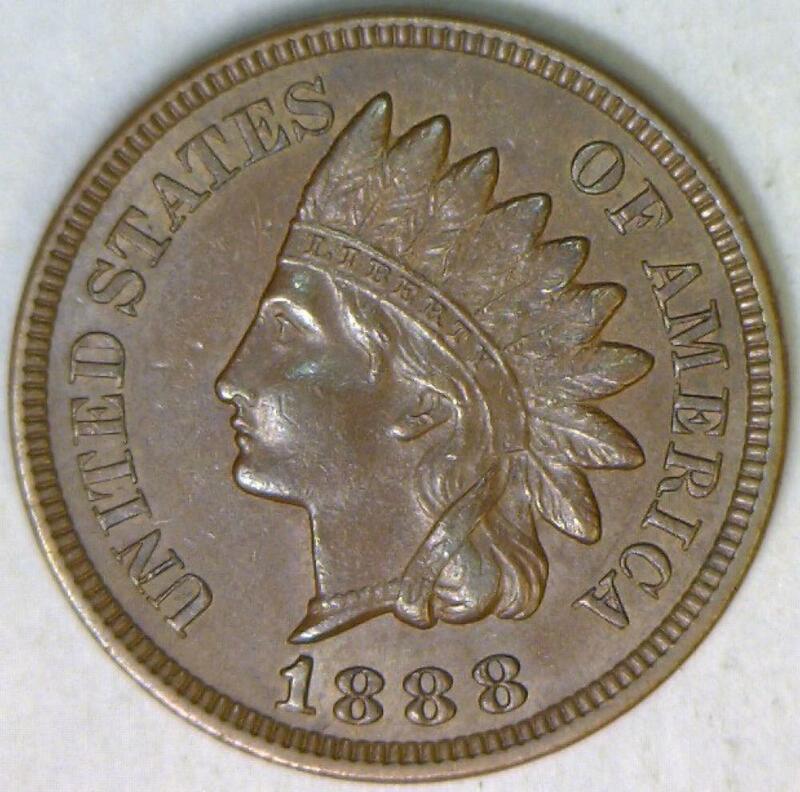 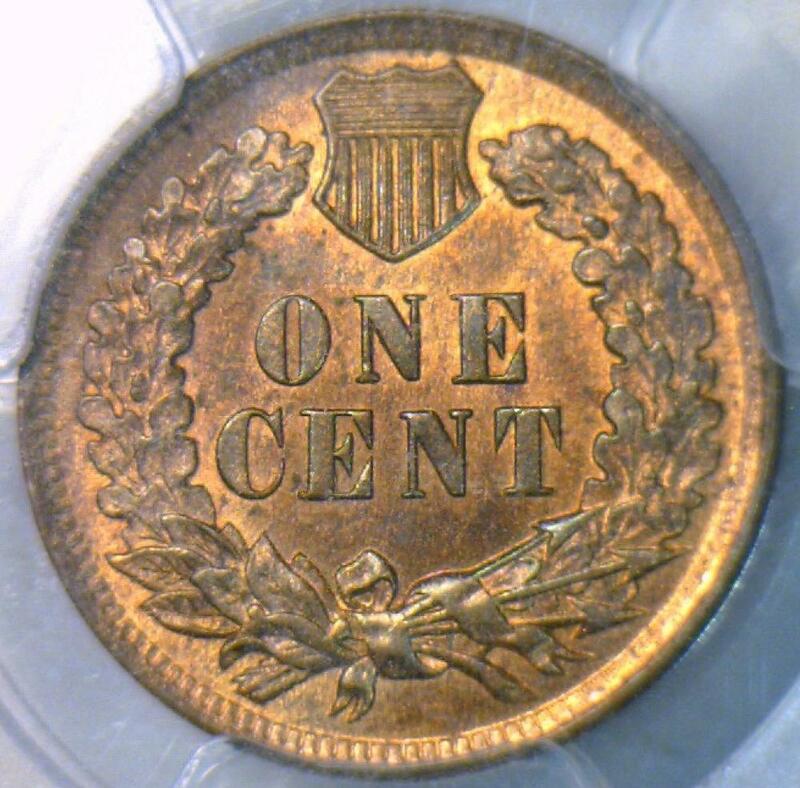 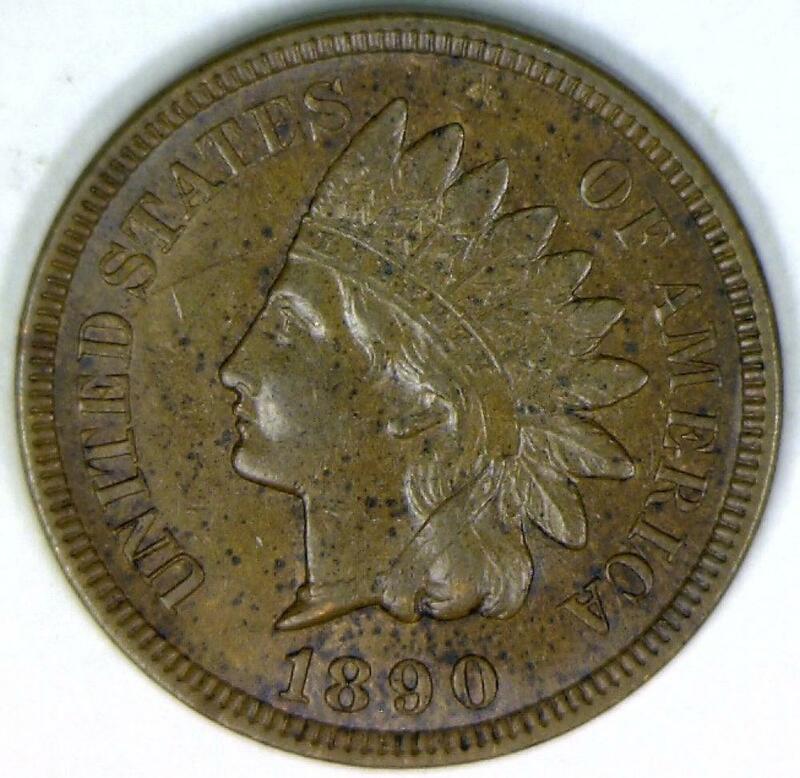 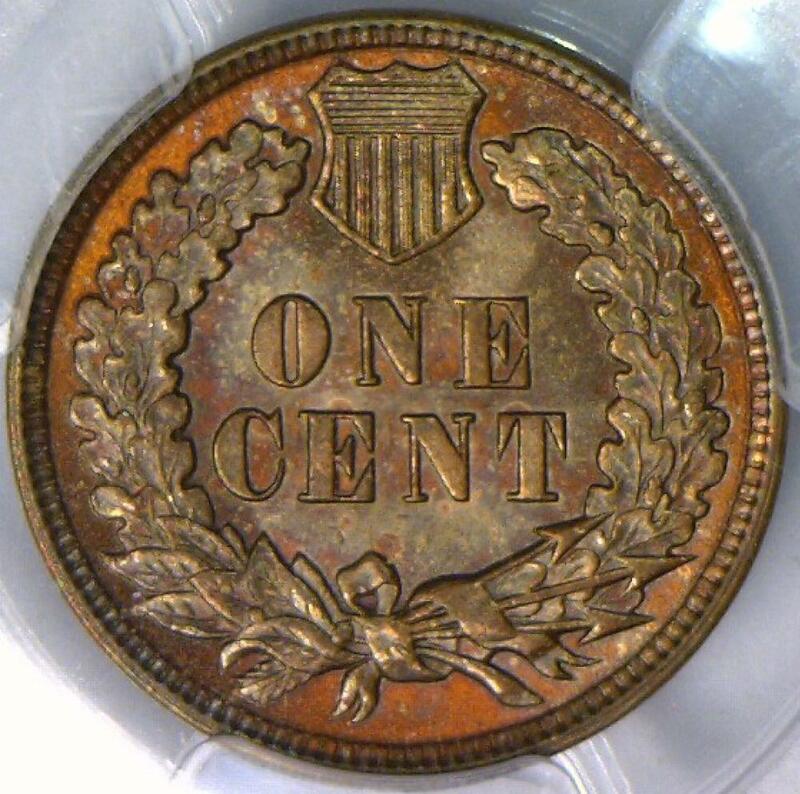 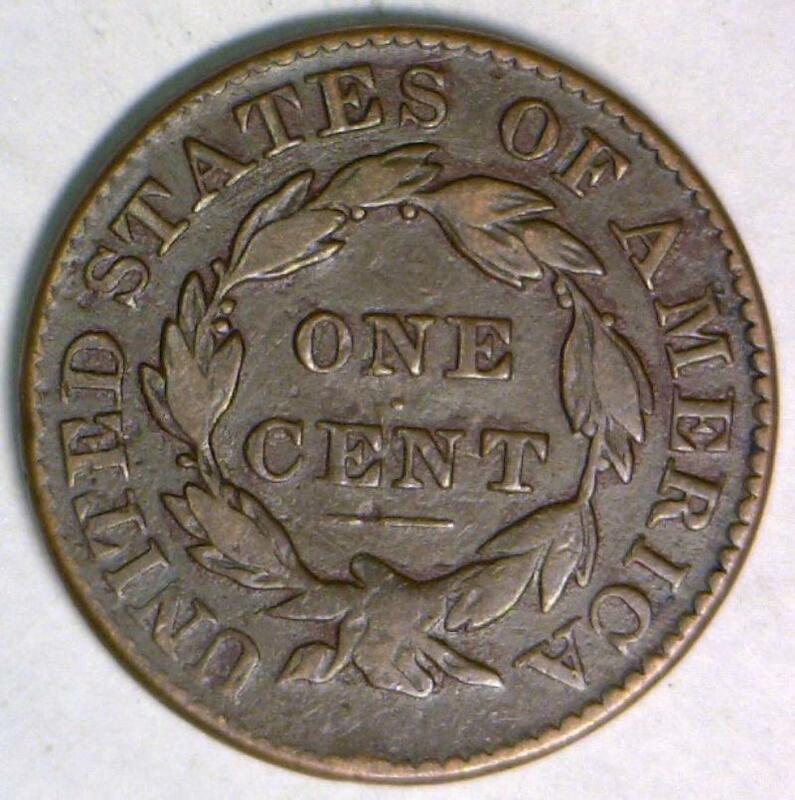 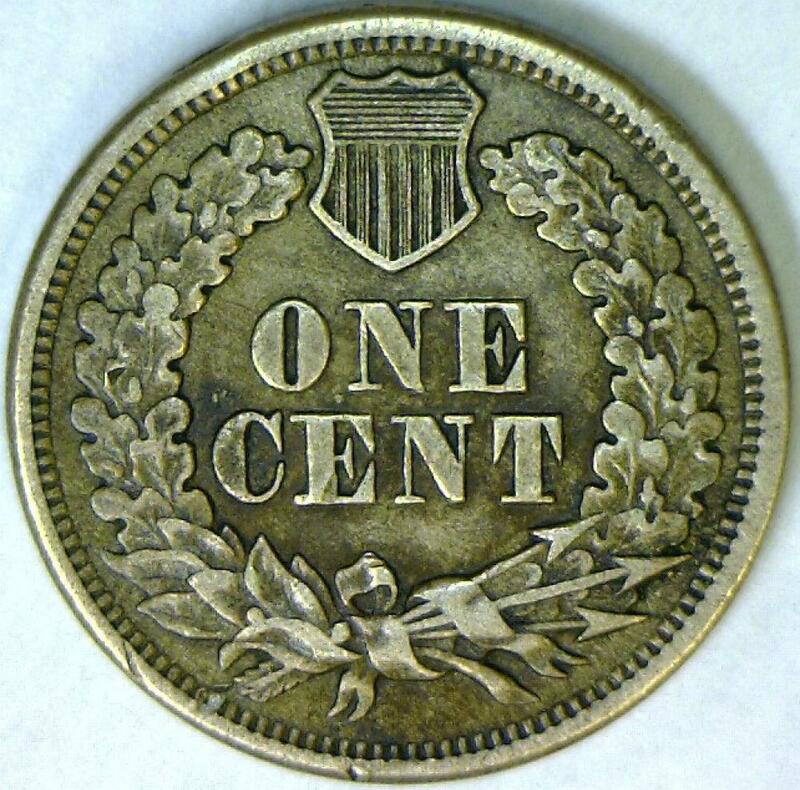 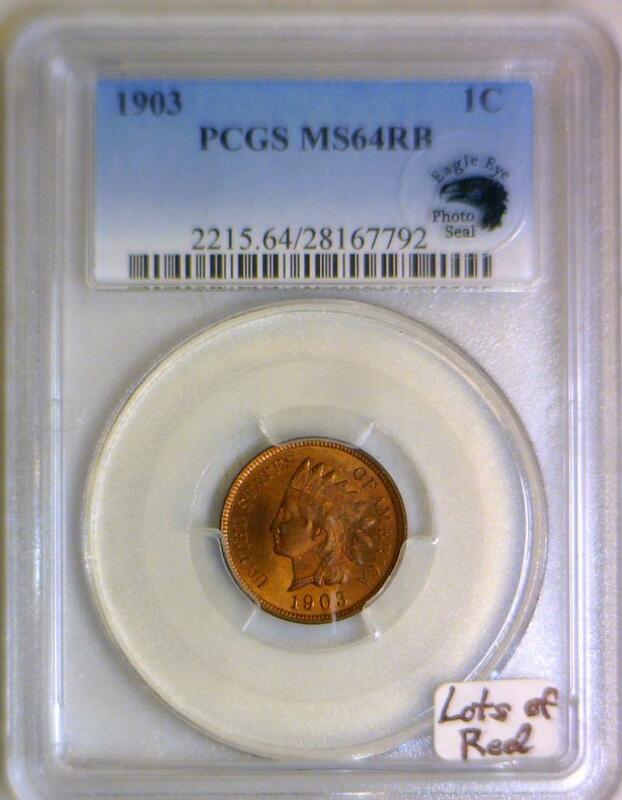 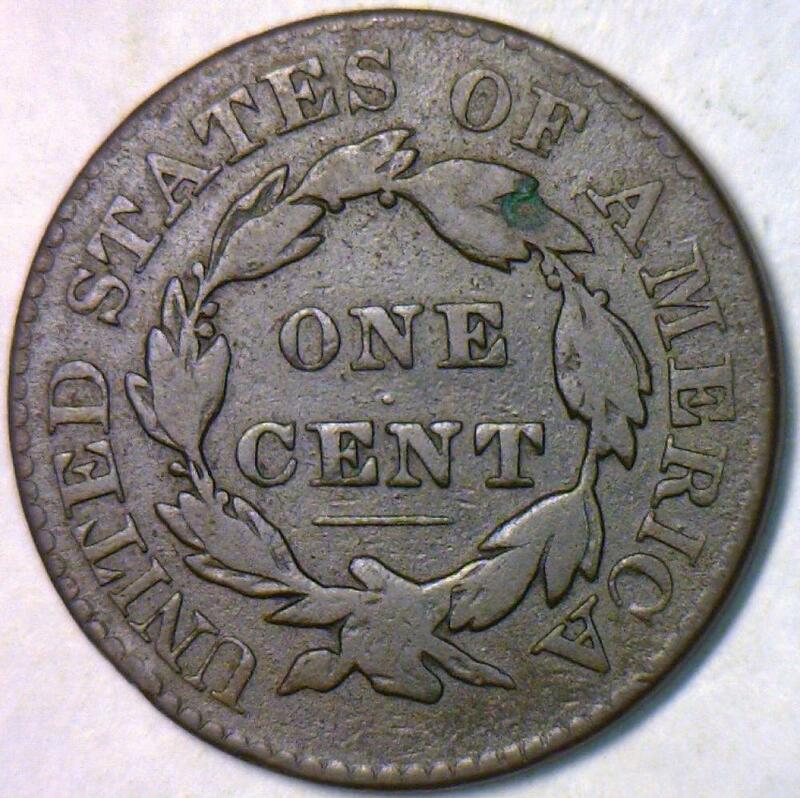 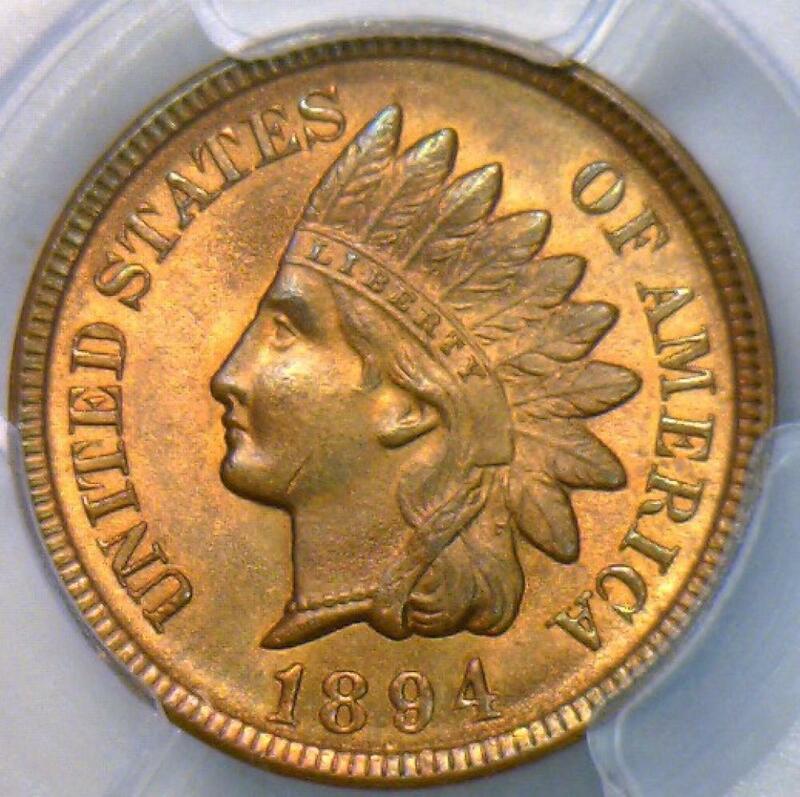 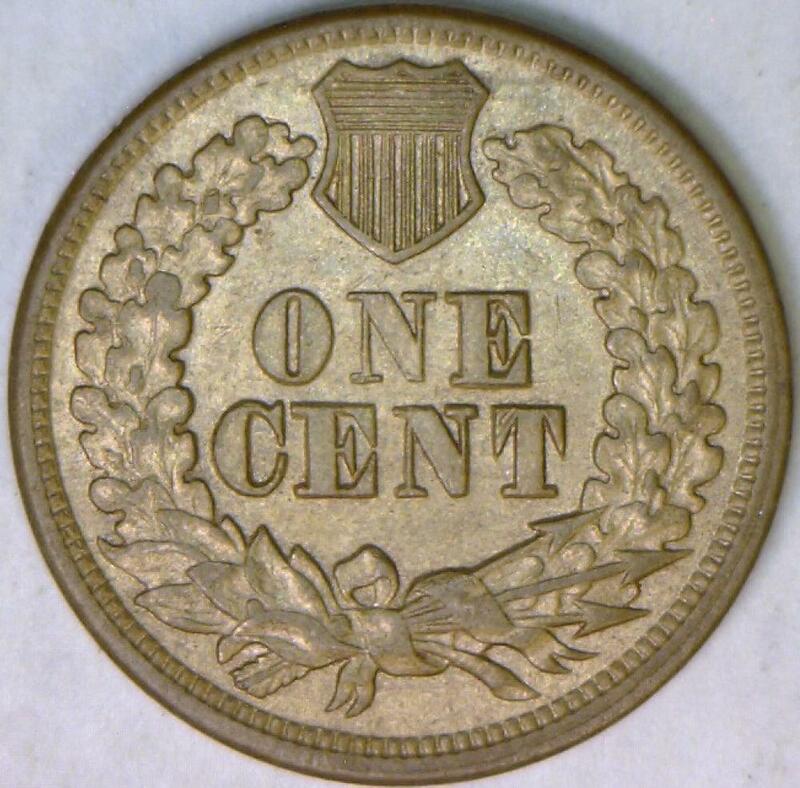 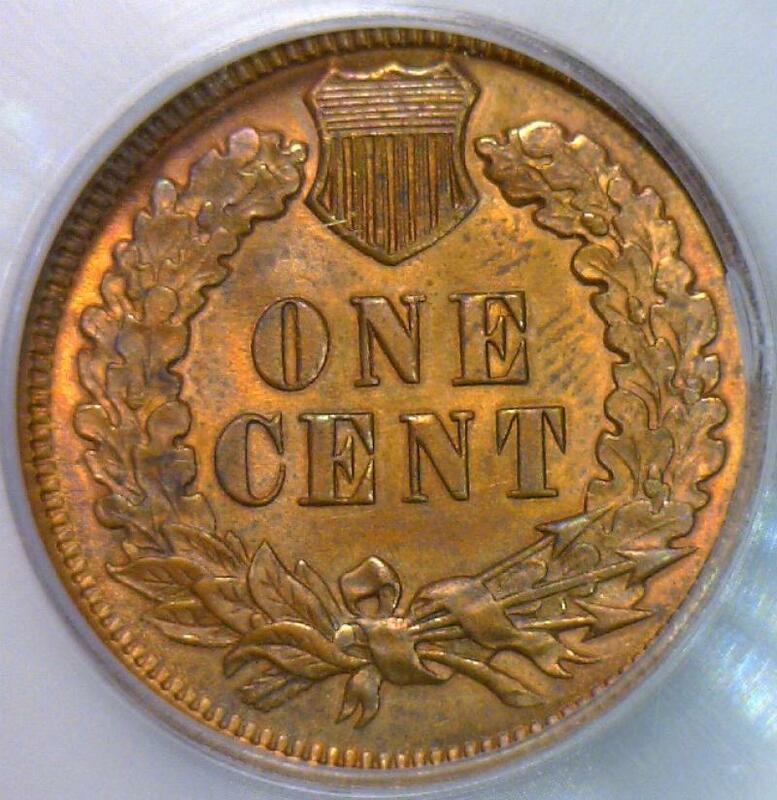 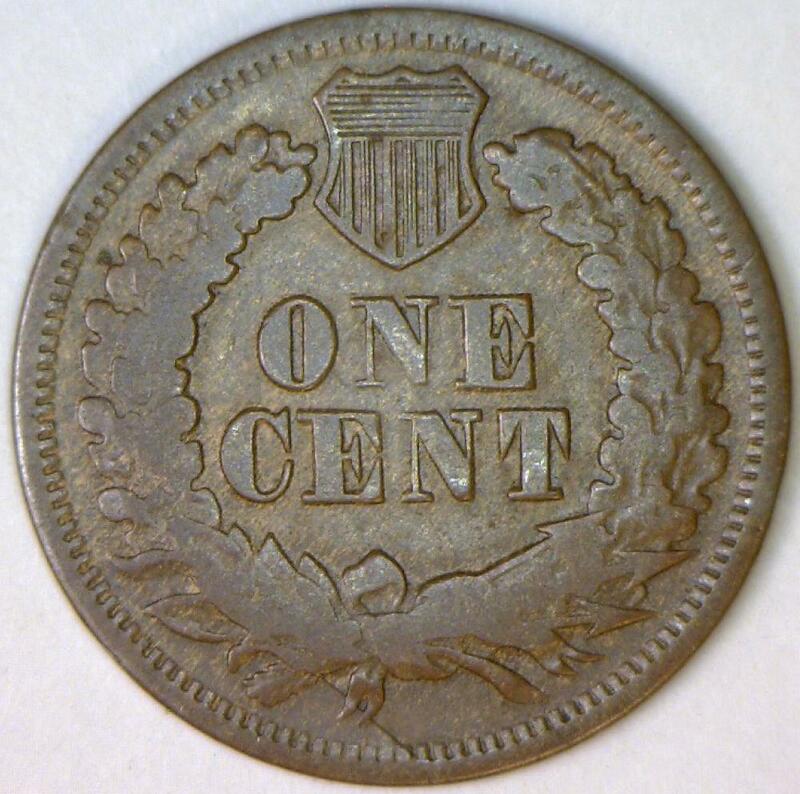 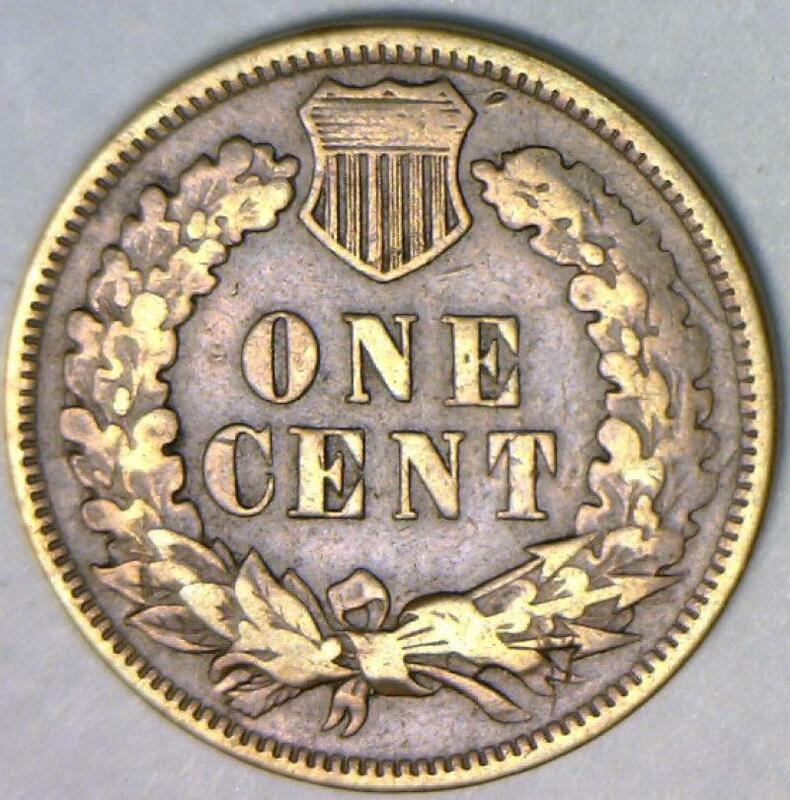 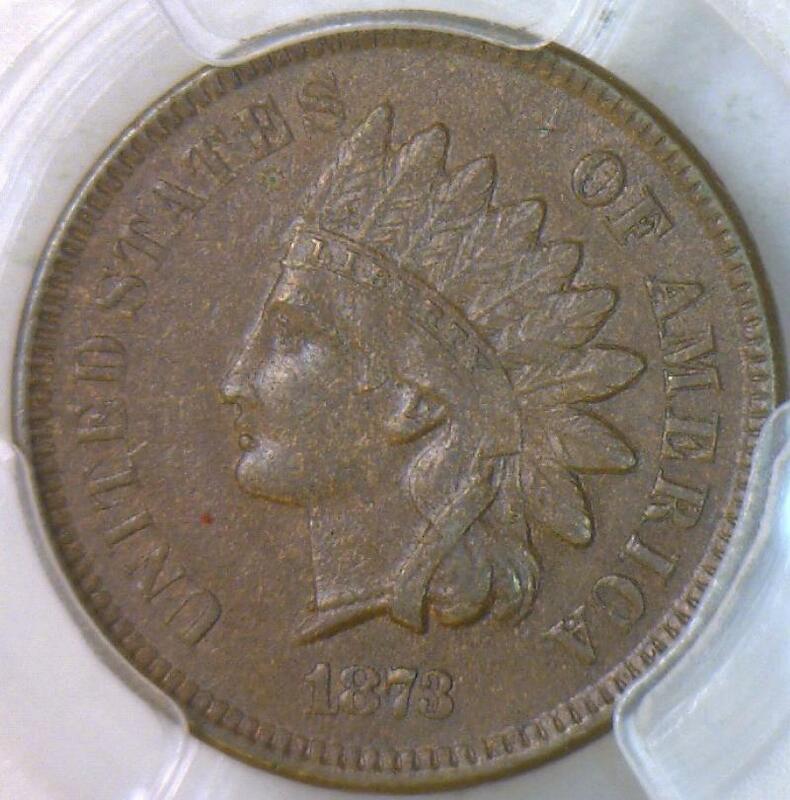 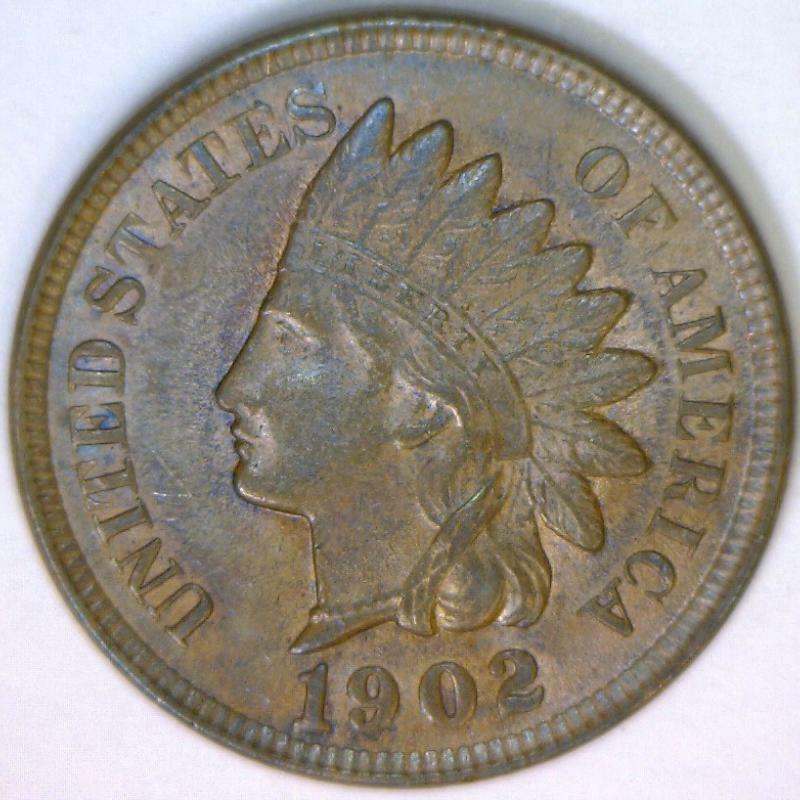 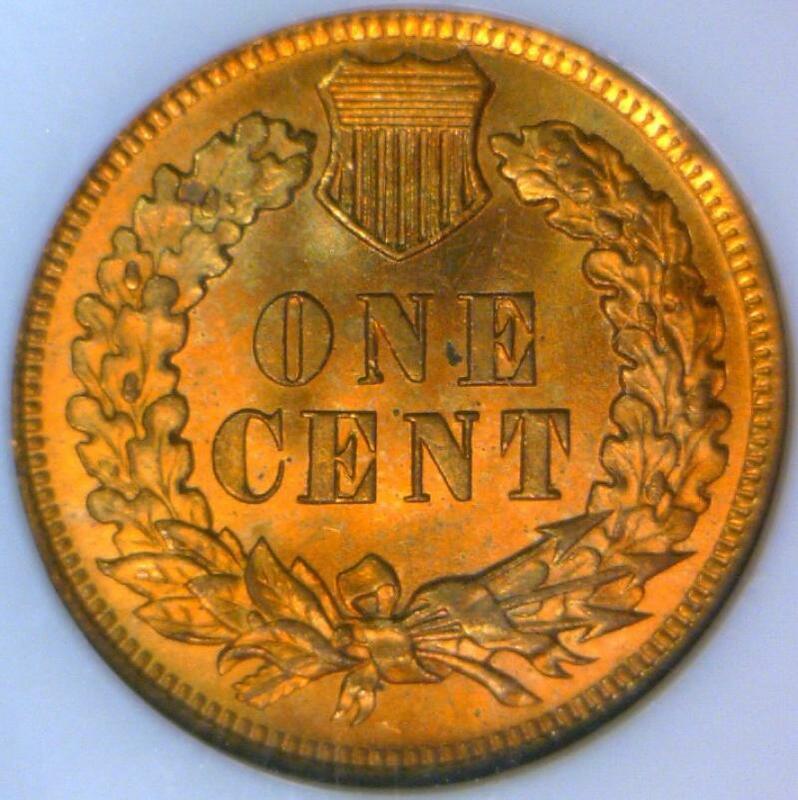 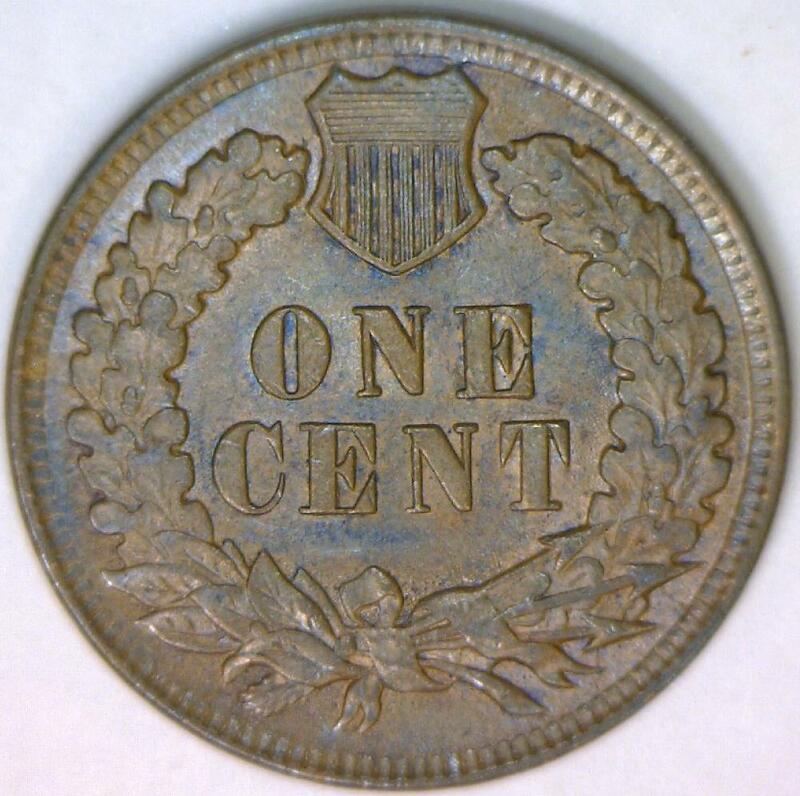 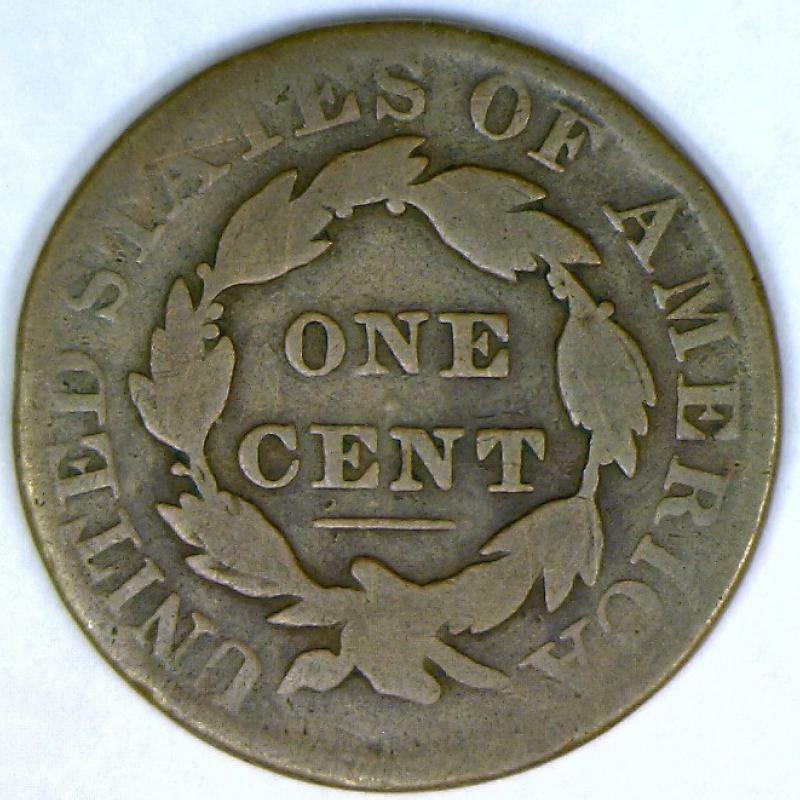 1890 Indian Cent; Choice AU-Unc. 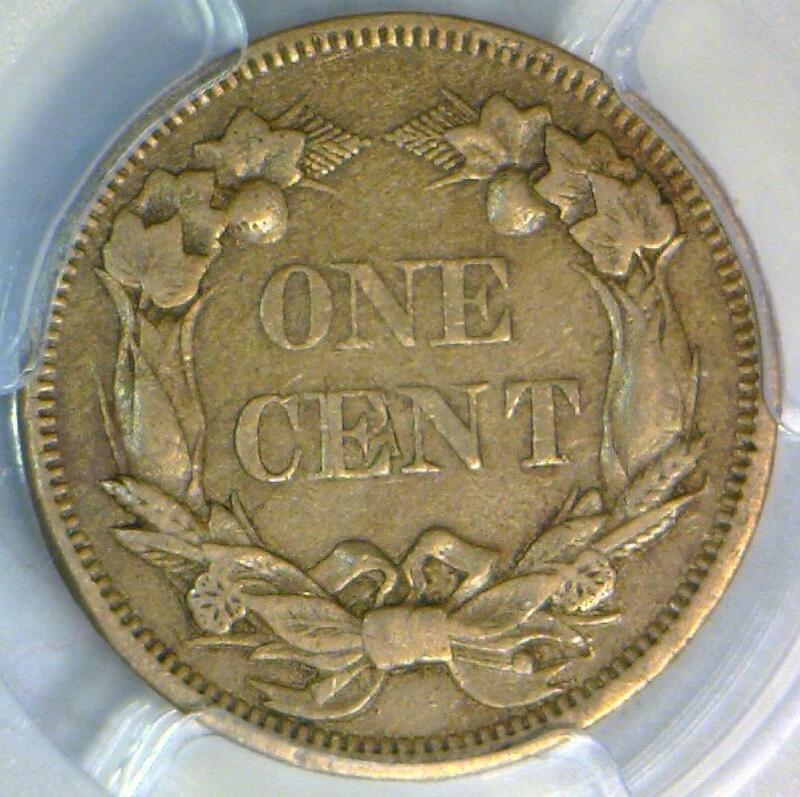 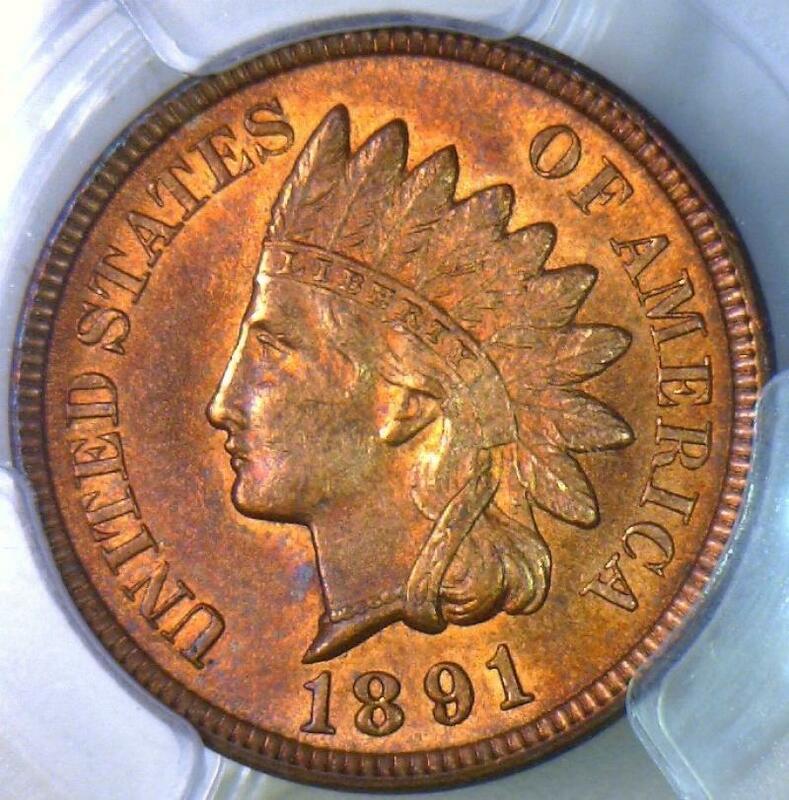 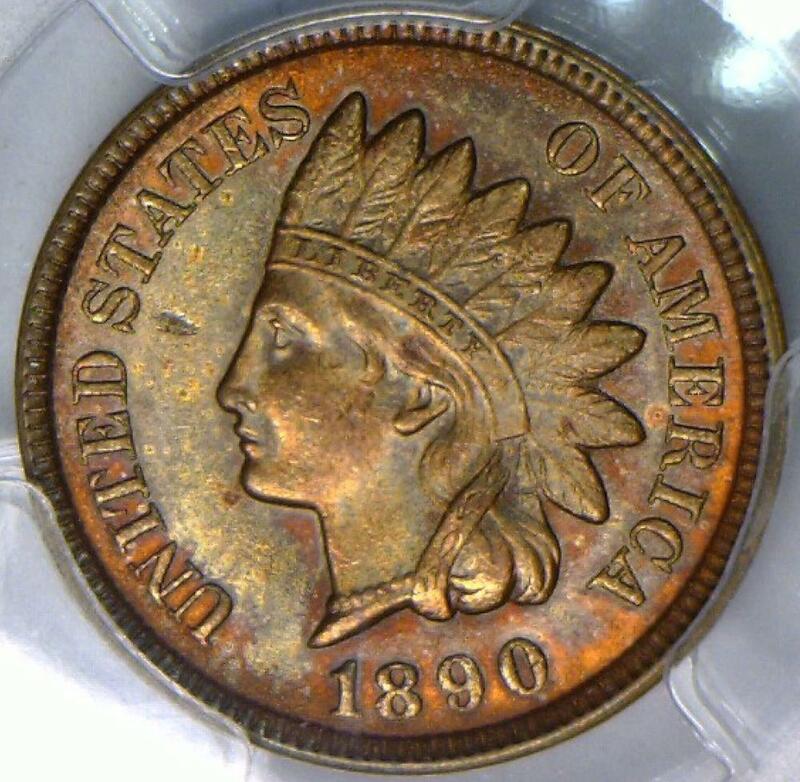 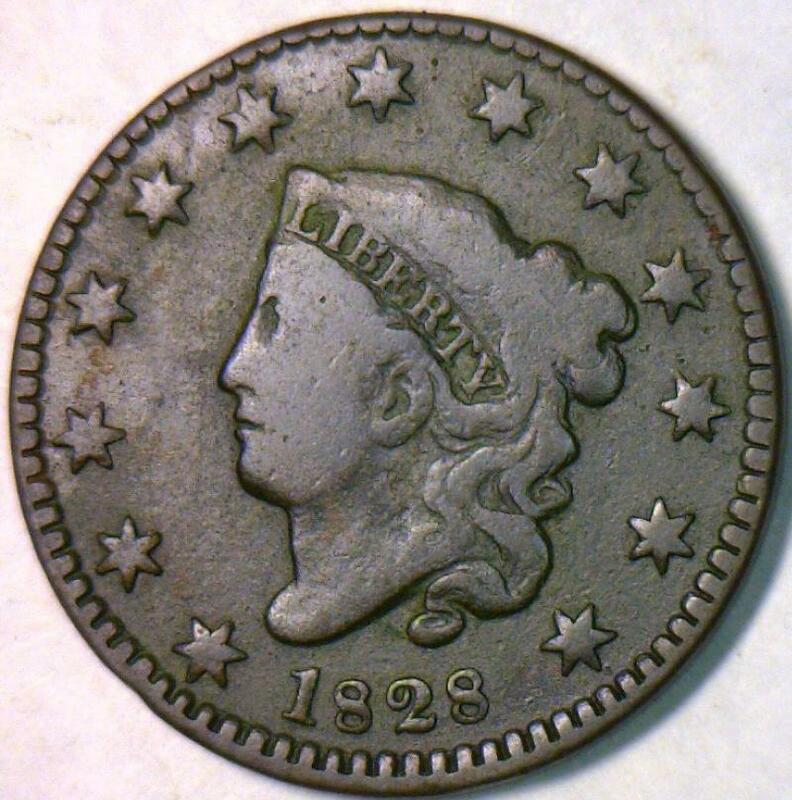 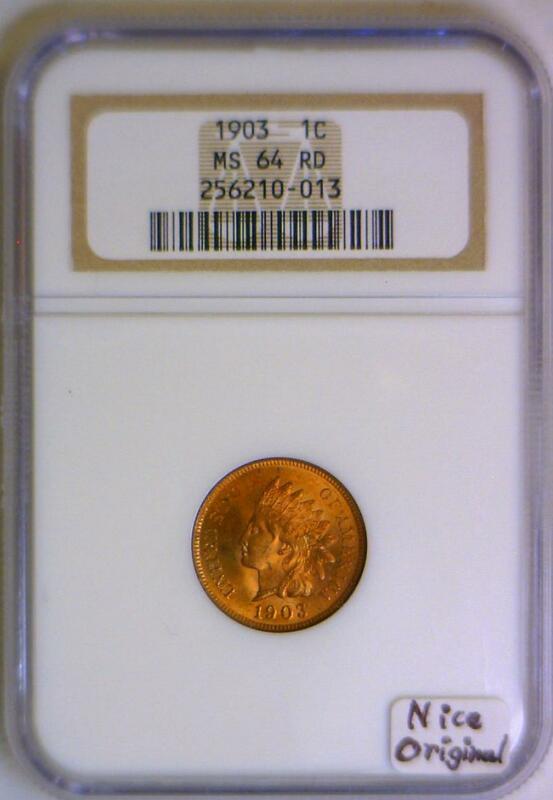 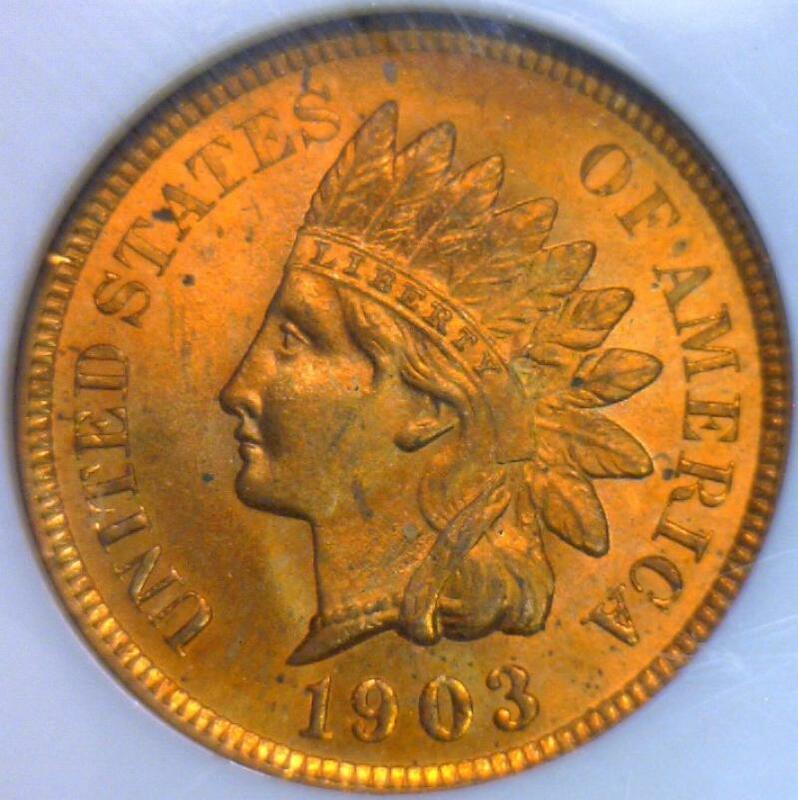 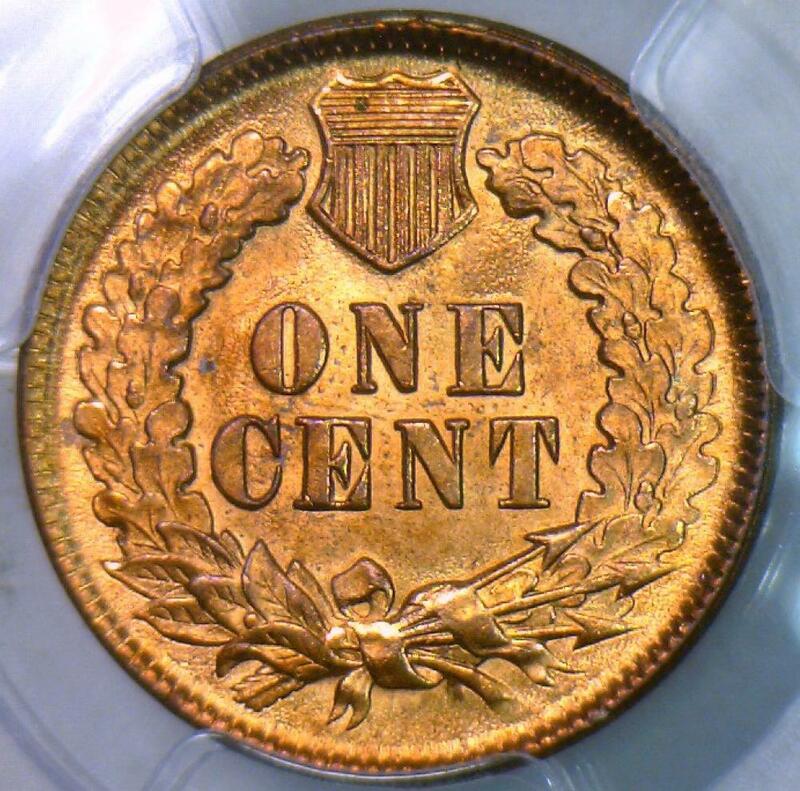 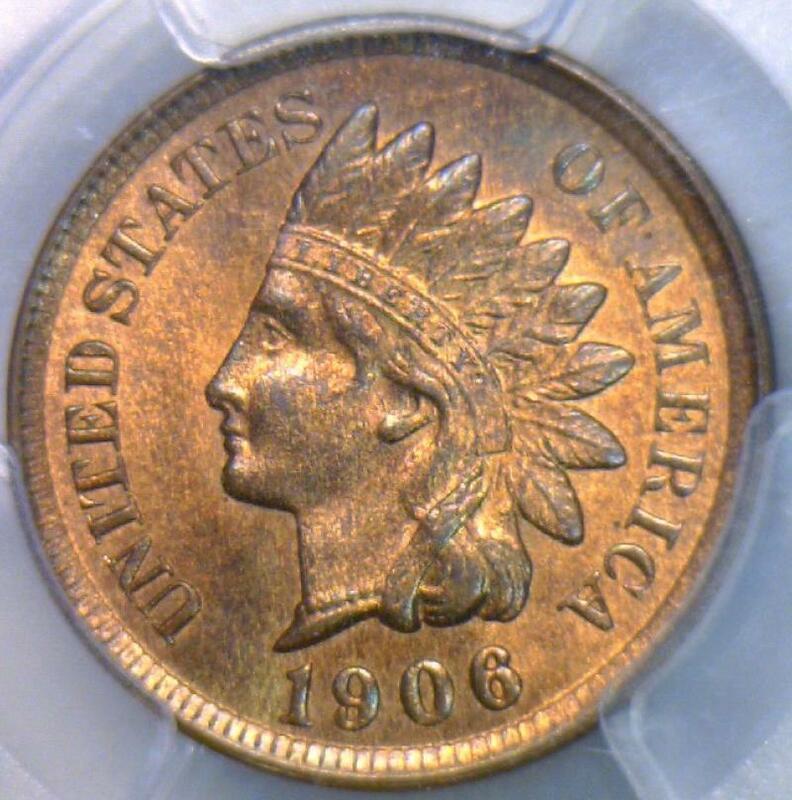 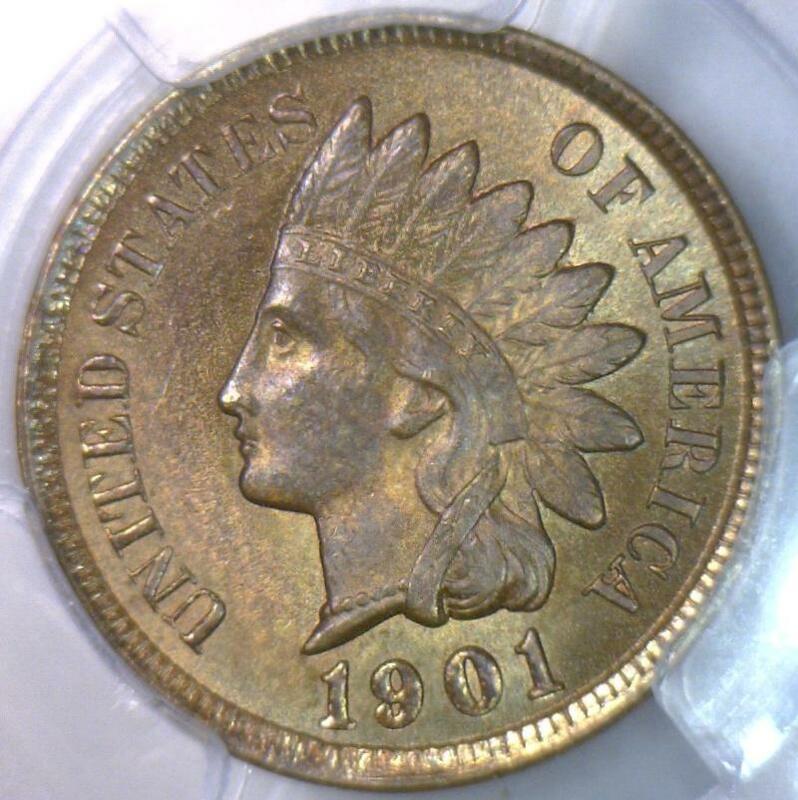 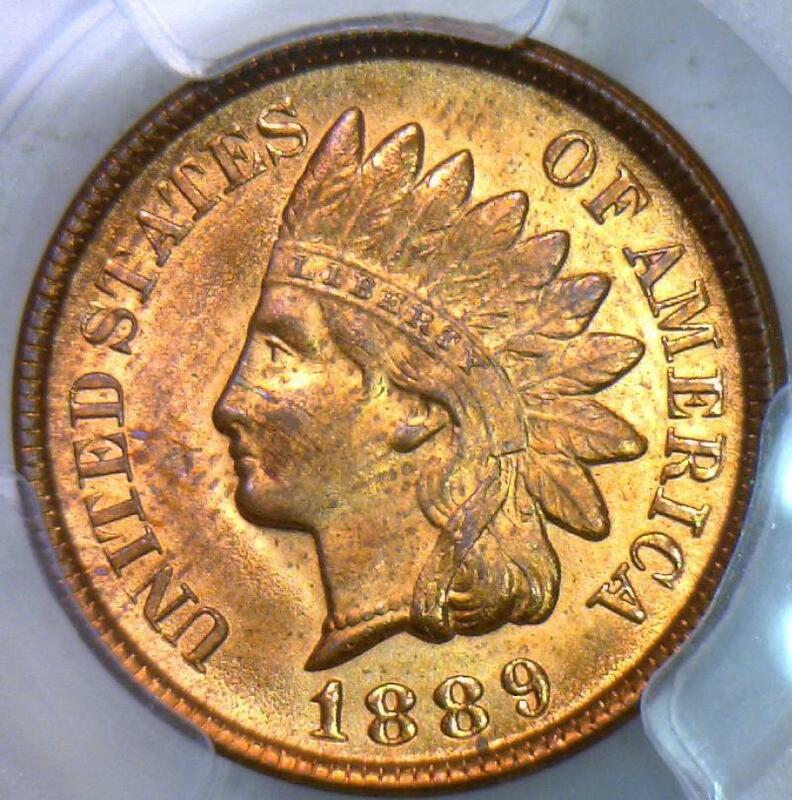 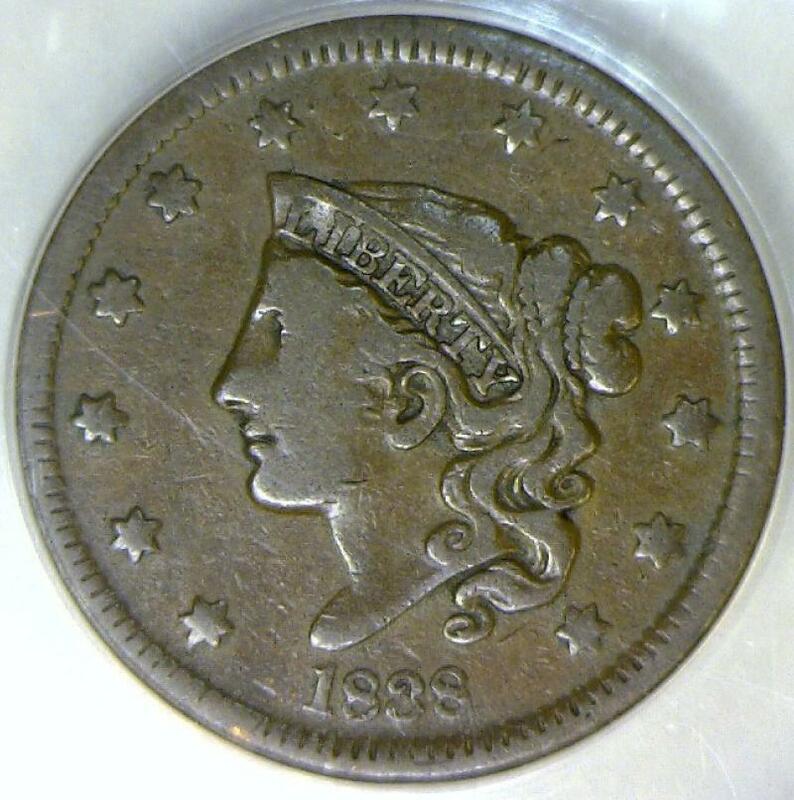 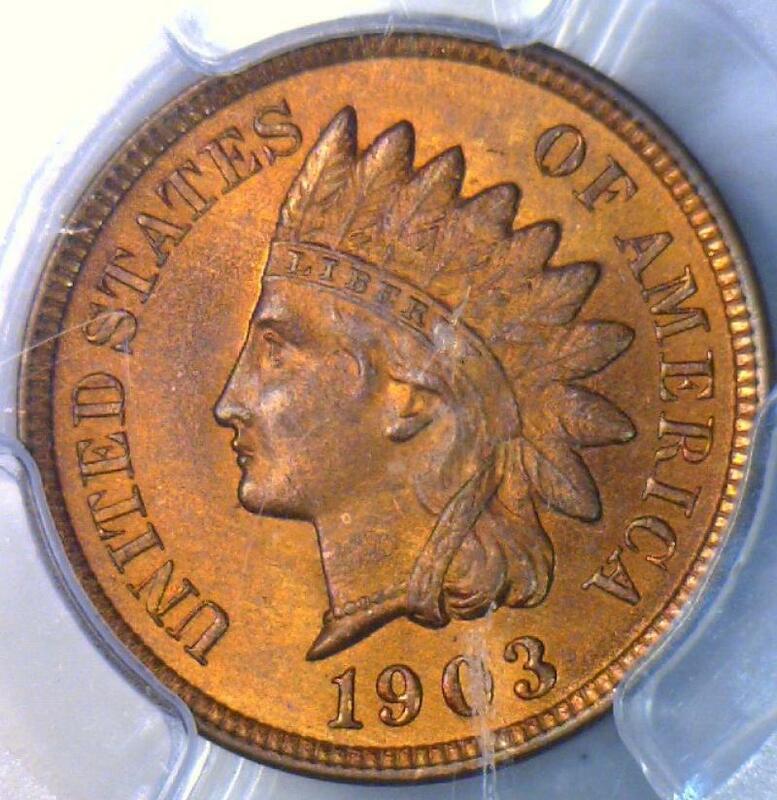 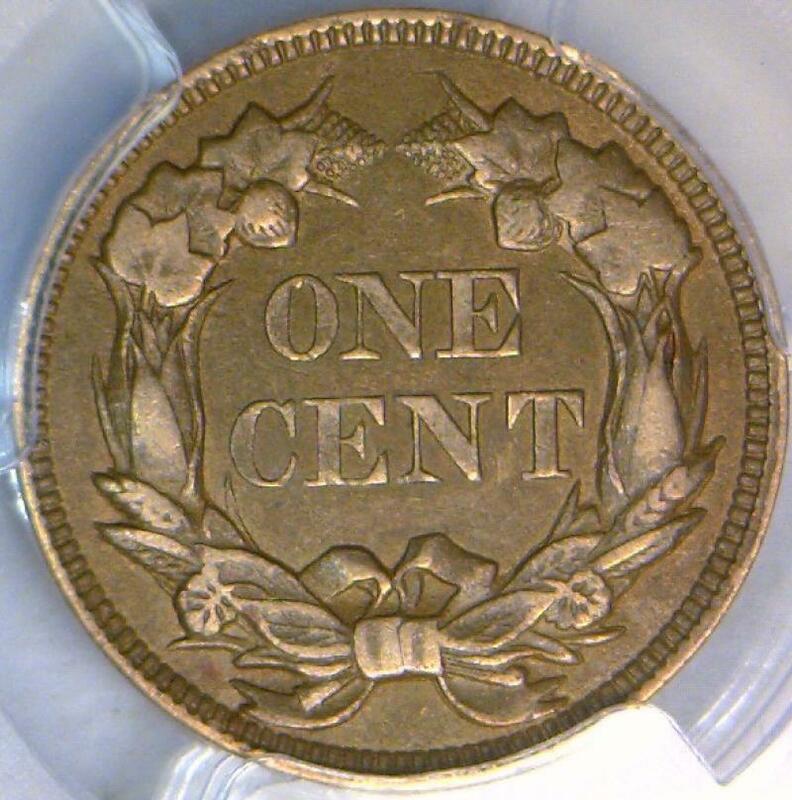 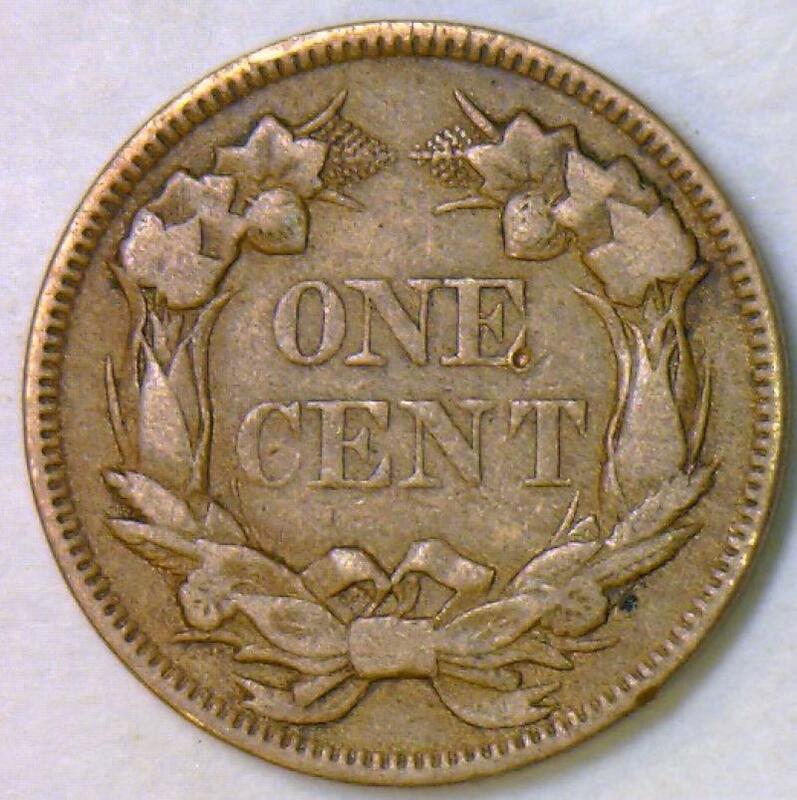 1902 Indian Head Cent; Lustrous Choice AU-Unc.